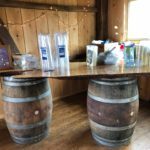 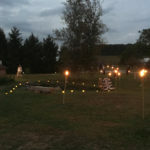 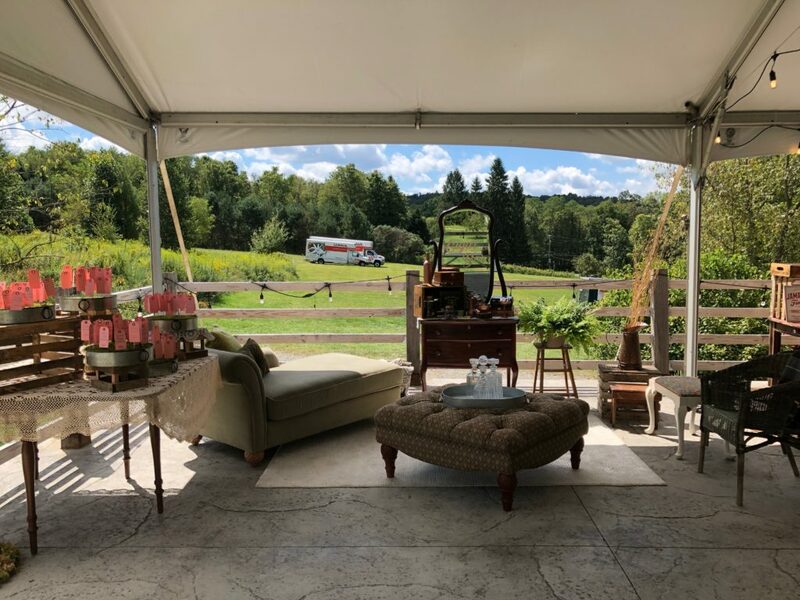 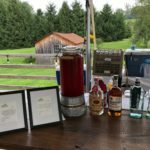 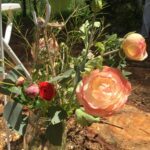 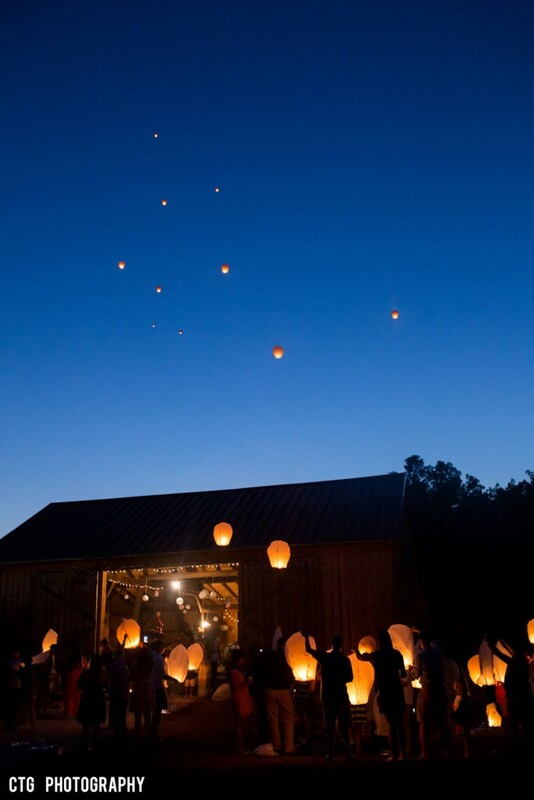 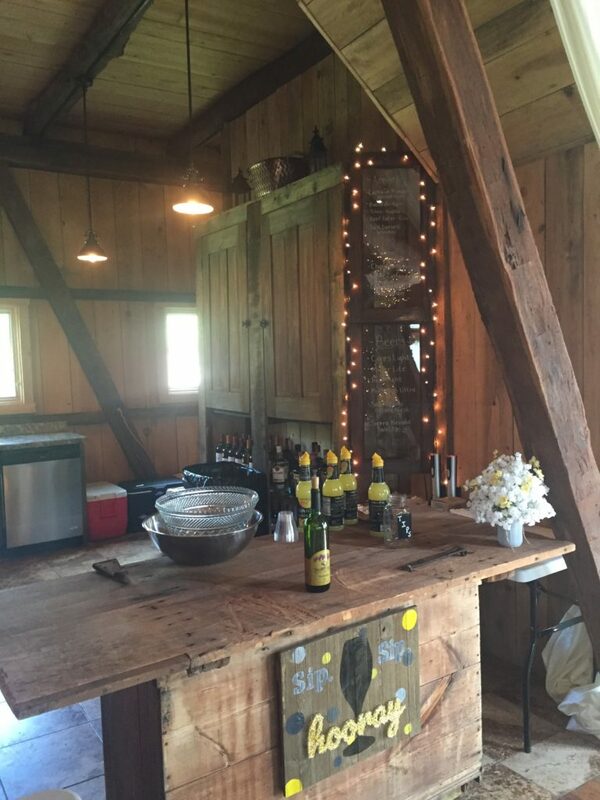 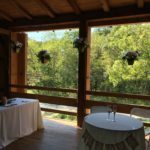 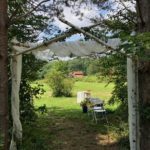 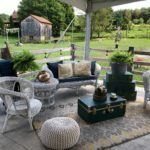 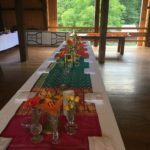 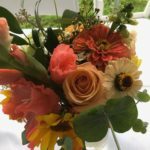 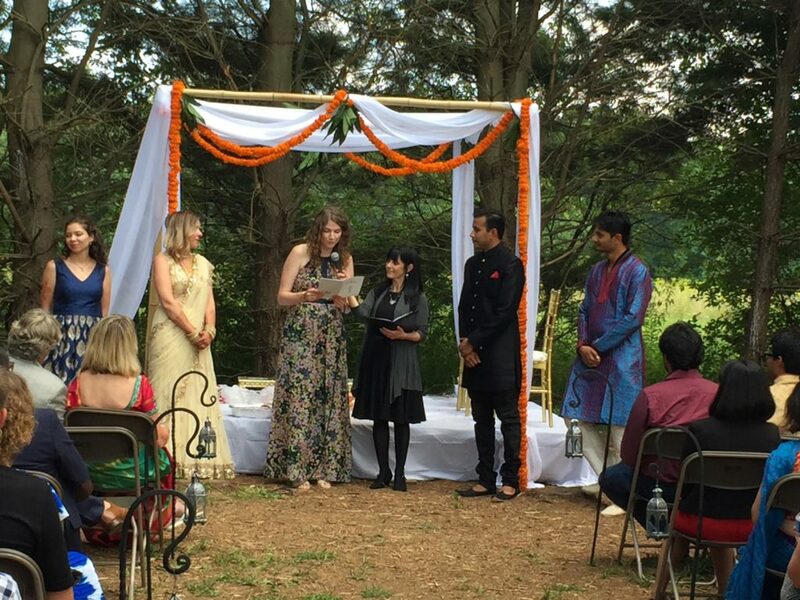 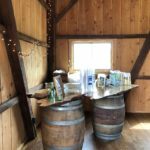 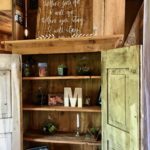 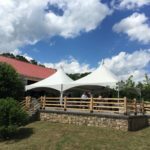 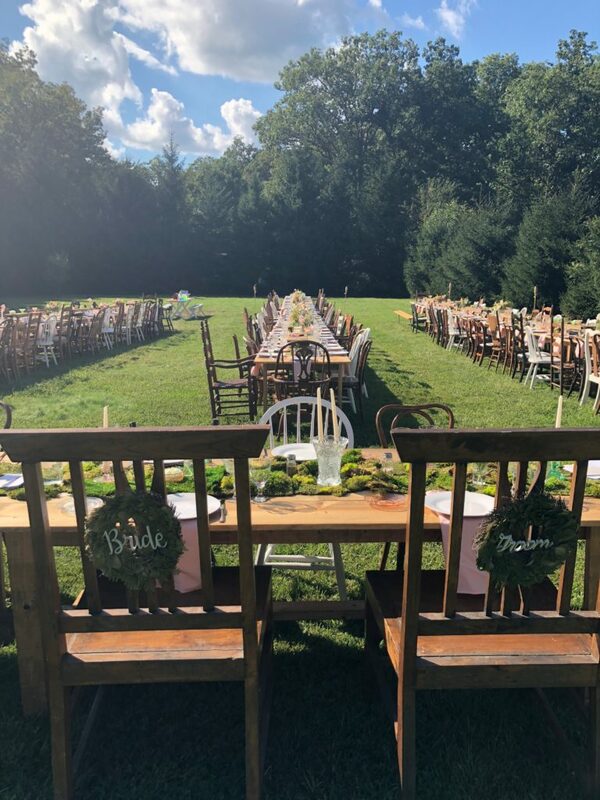 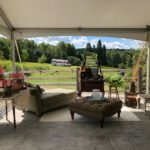 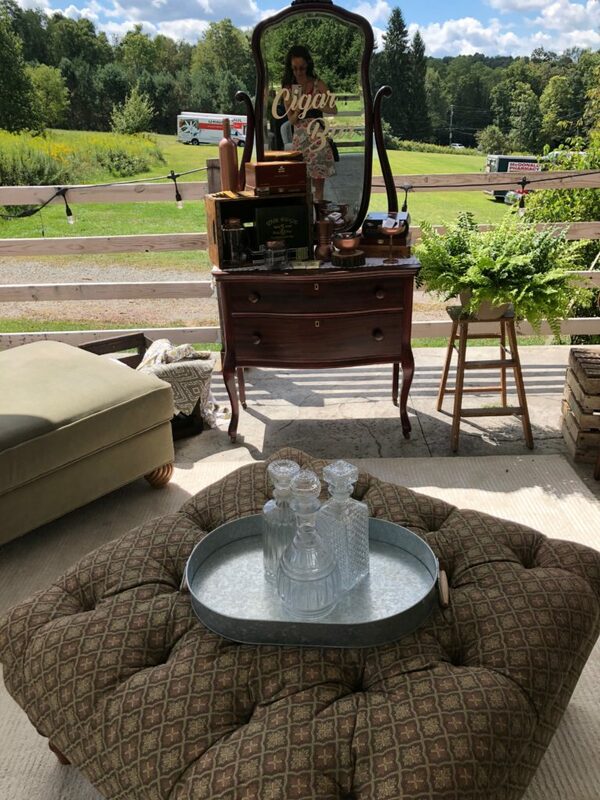 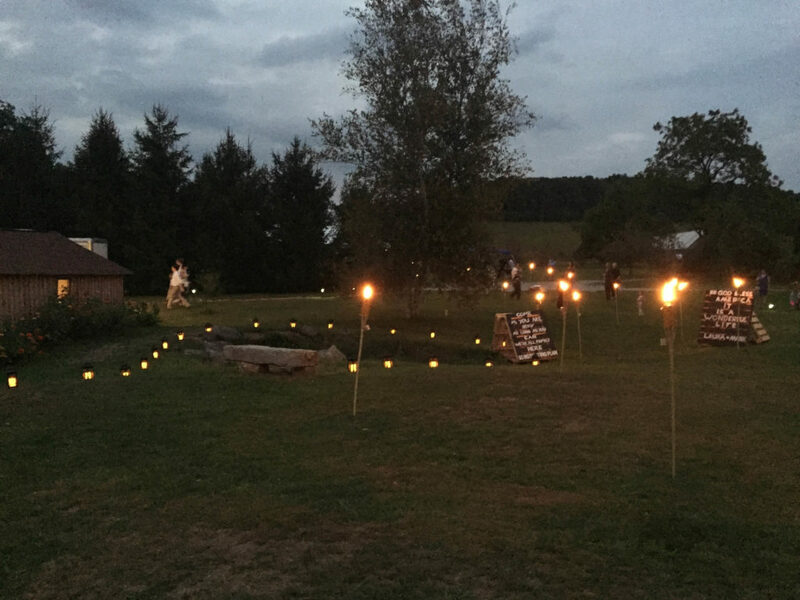 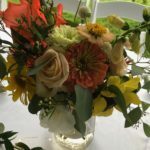 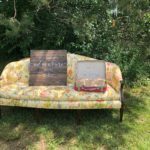 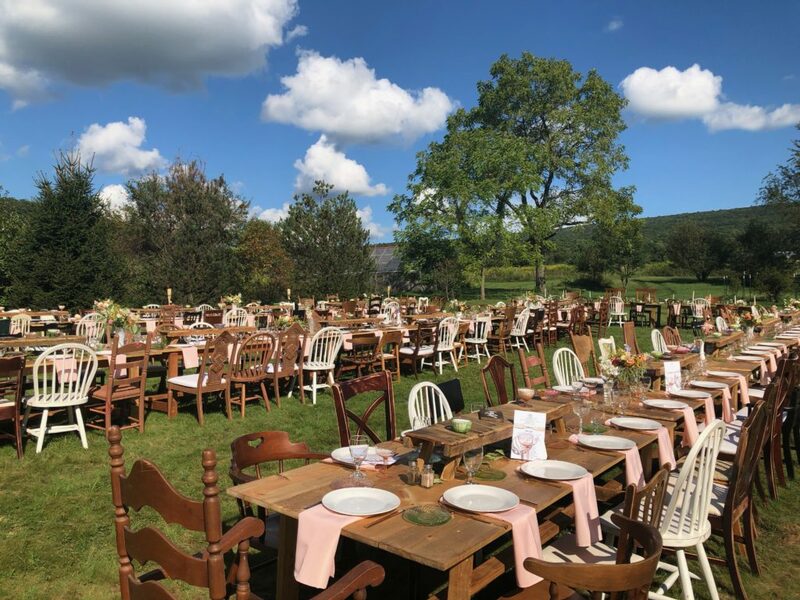 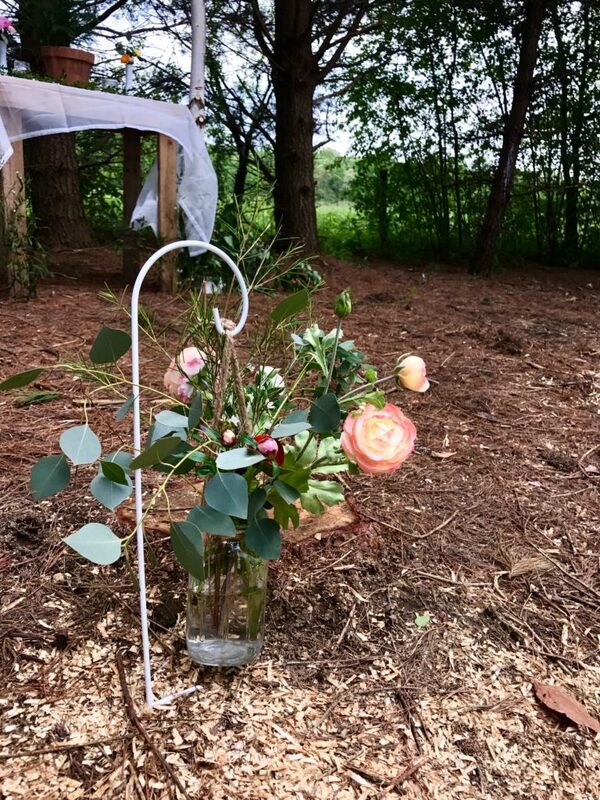 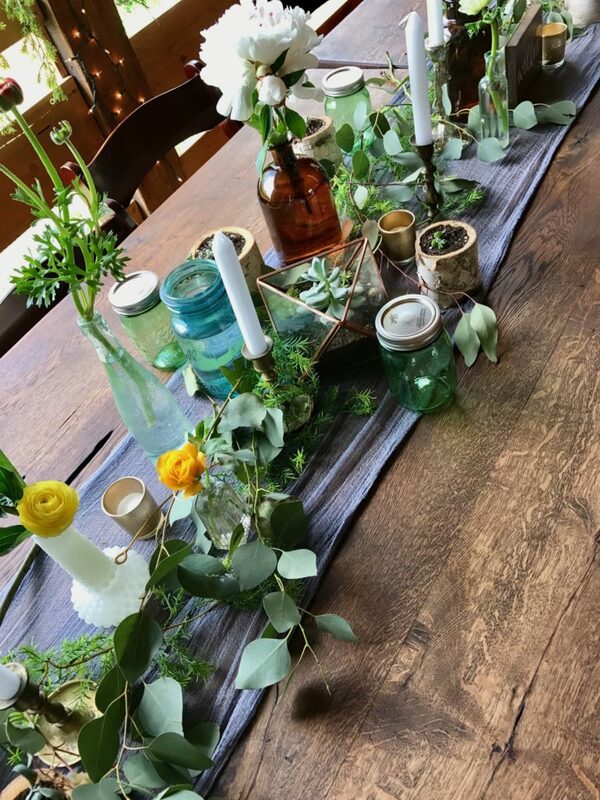 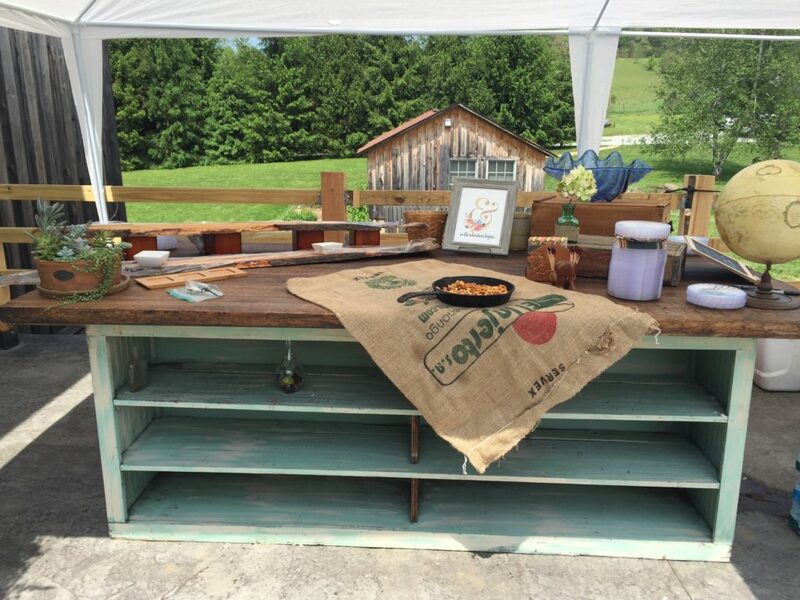 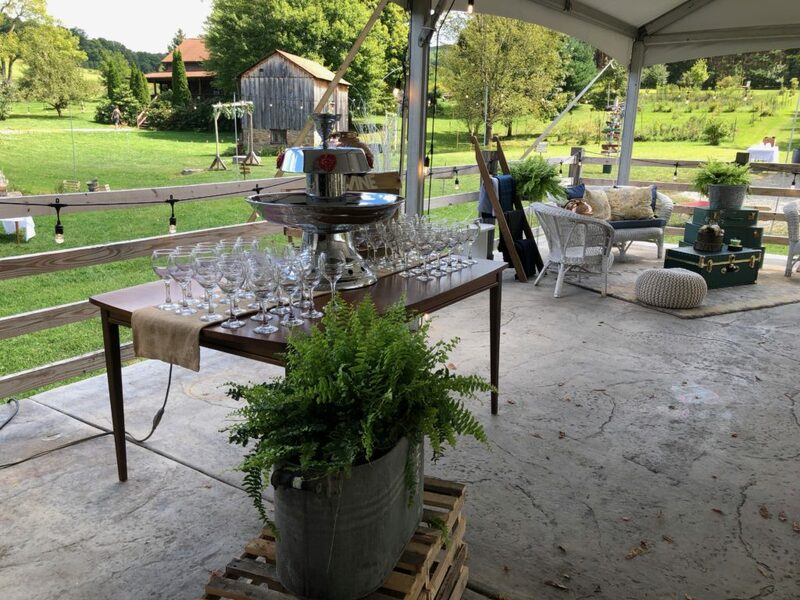 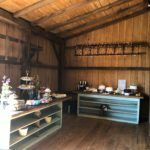 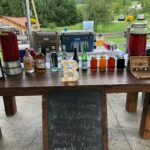 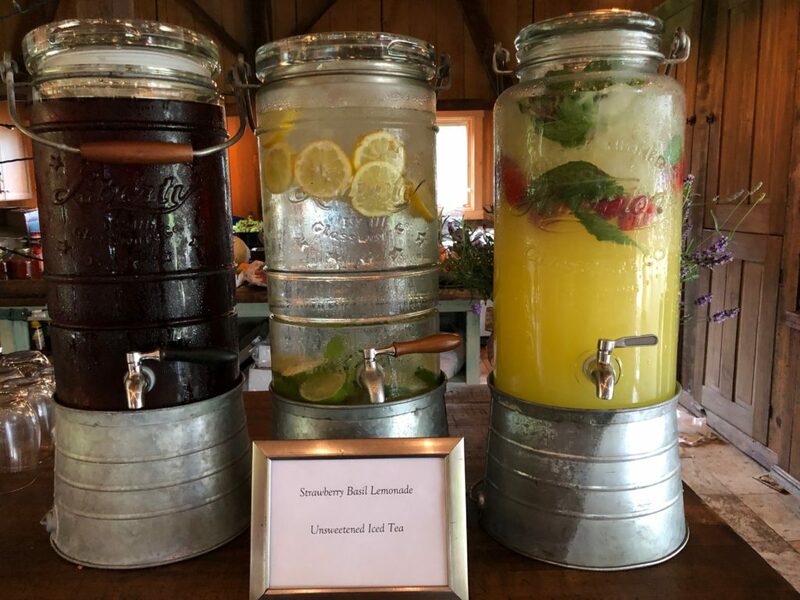 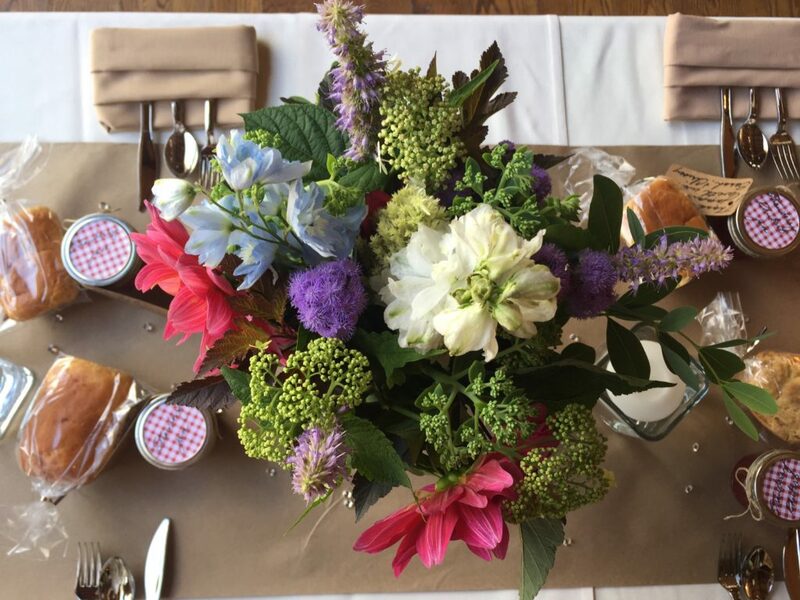 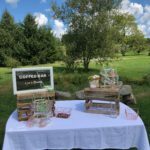 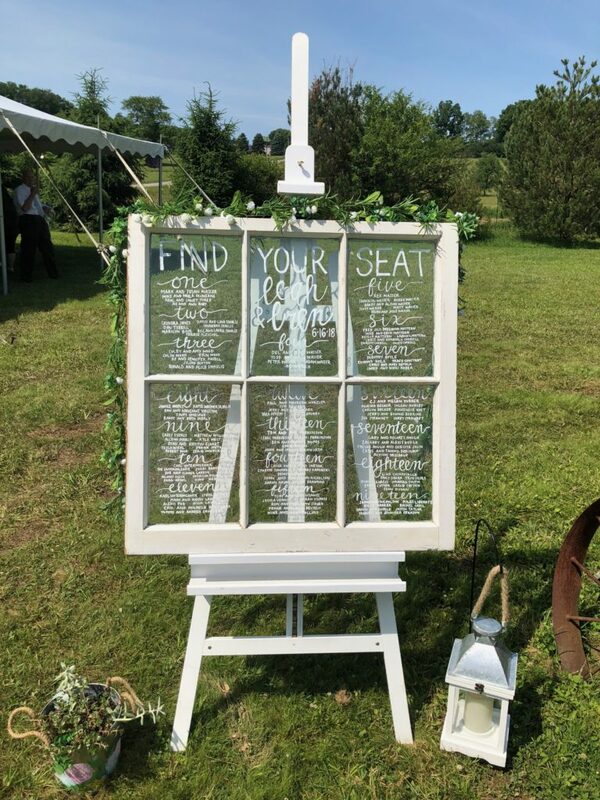 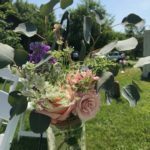 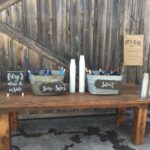 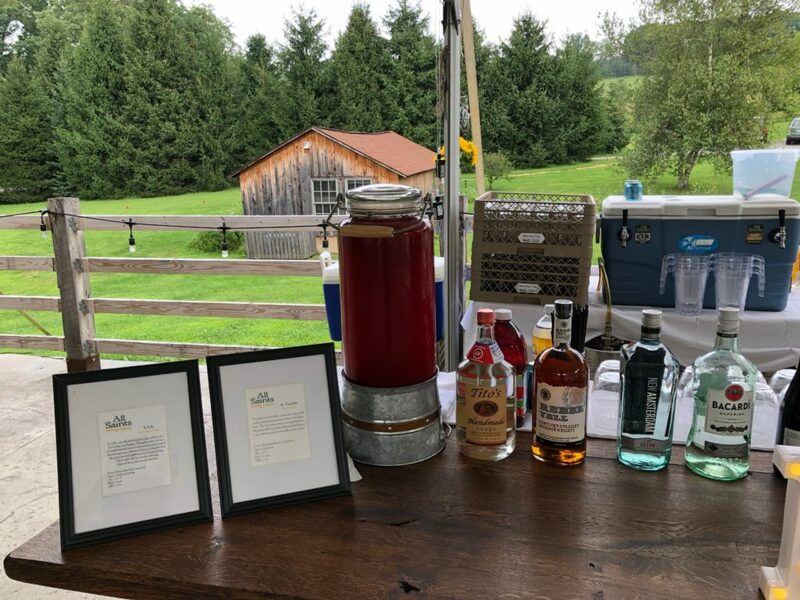 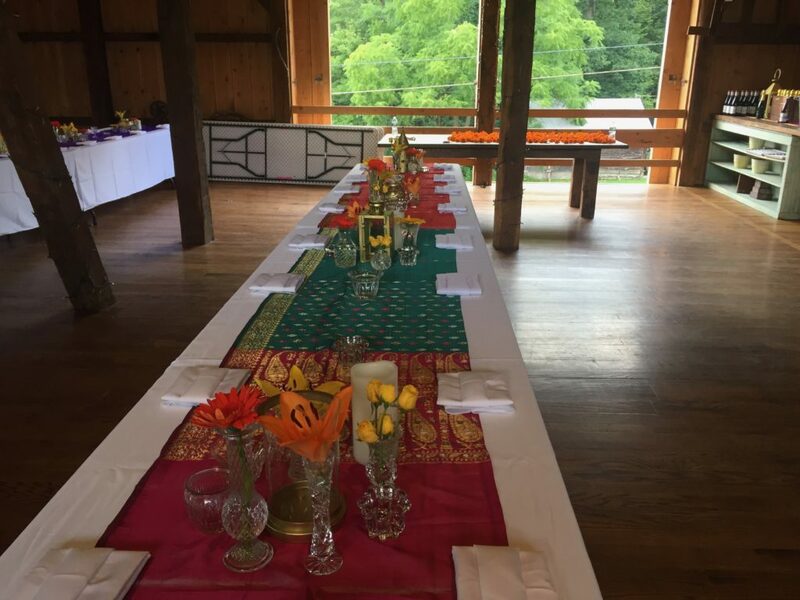 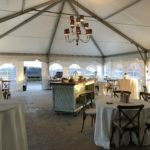 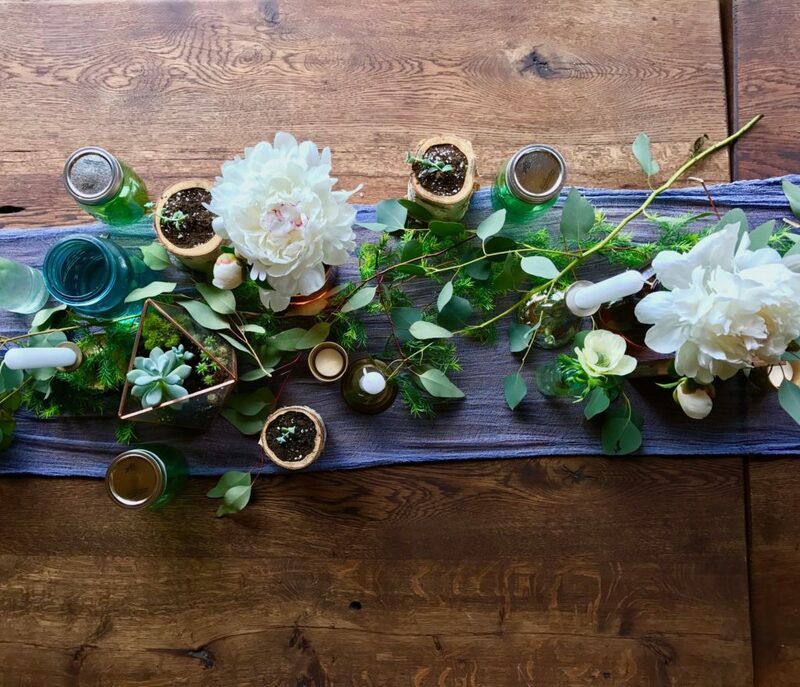 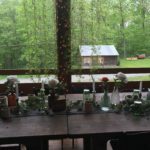 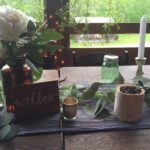 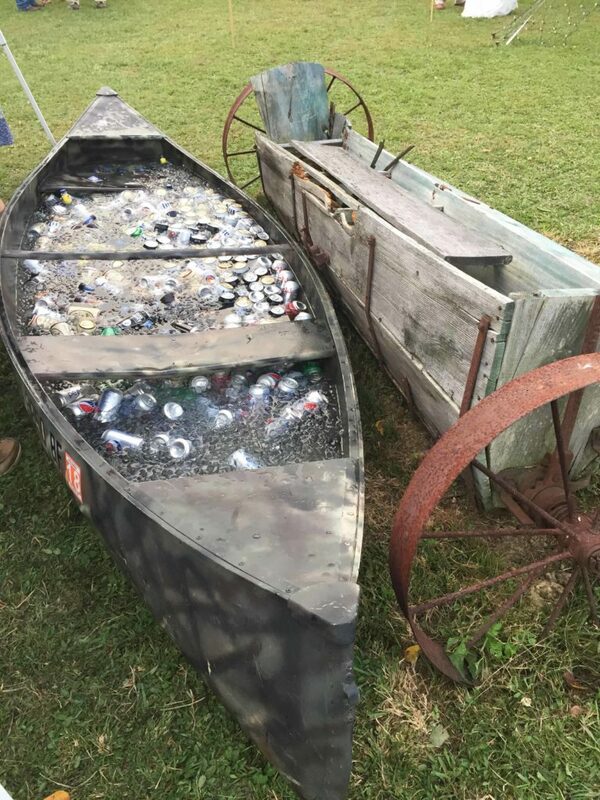 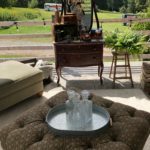 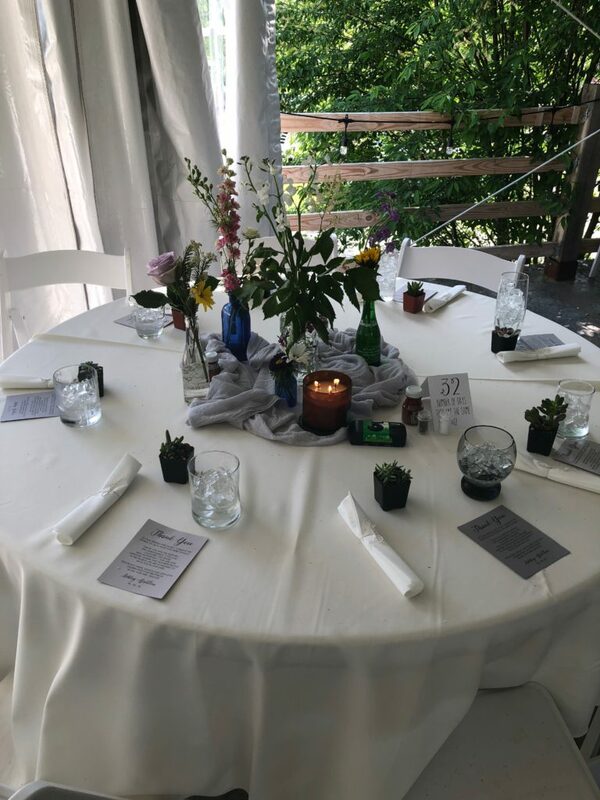 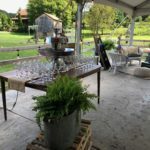 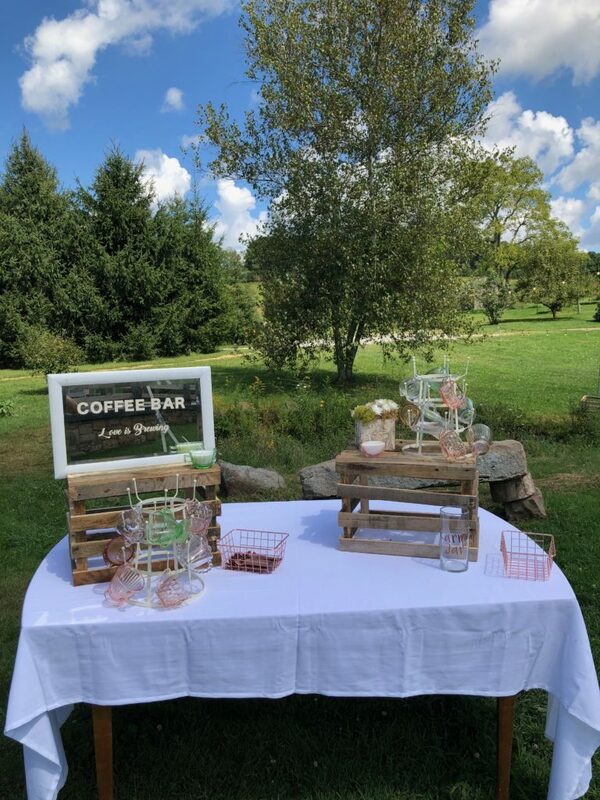 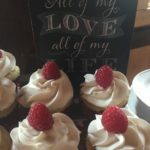 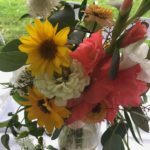 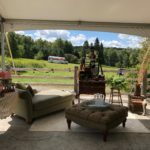 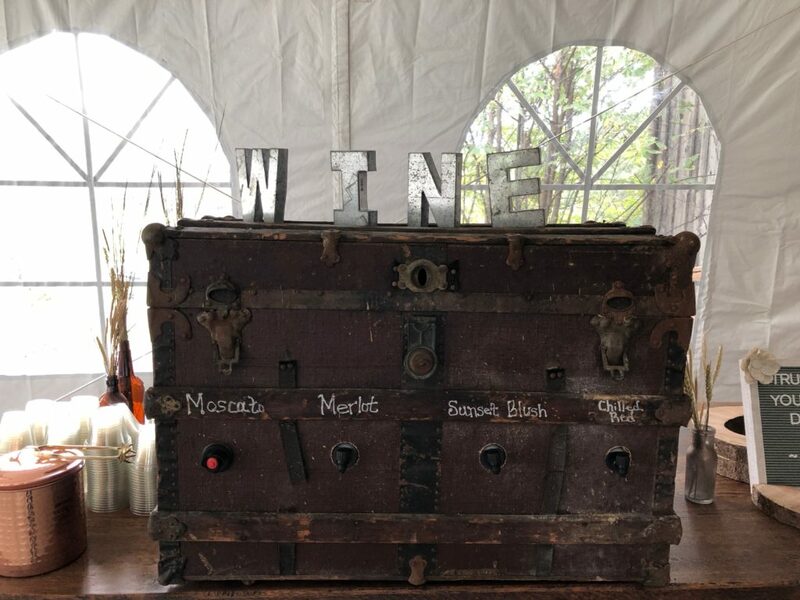 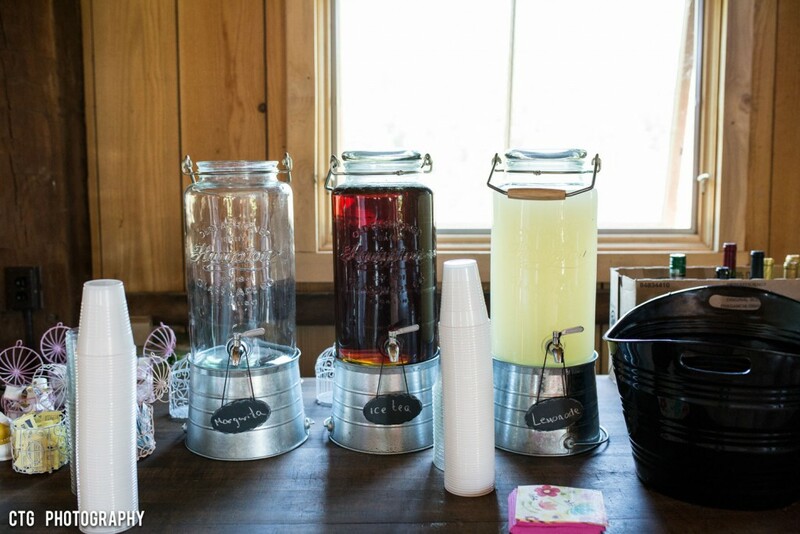 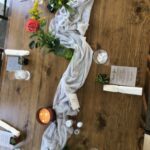 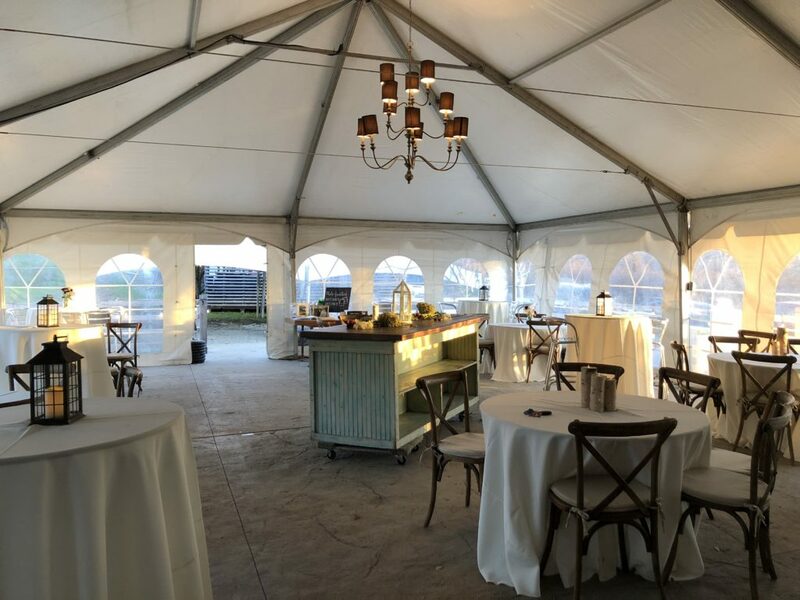 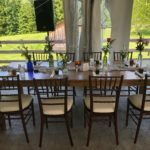 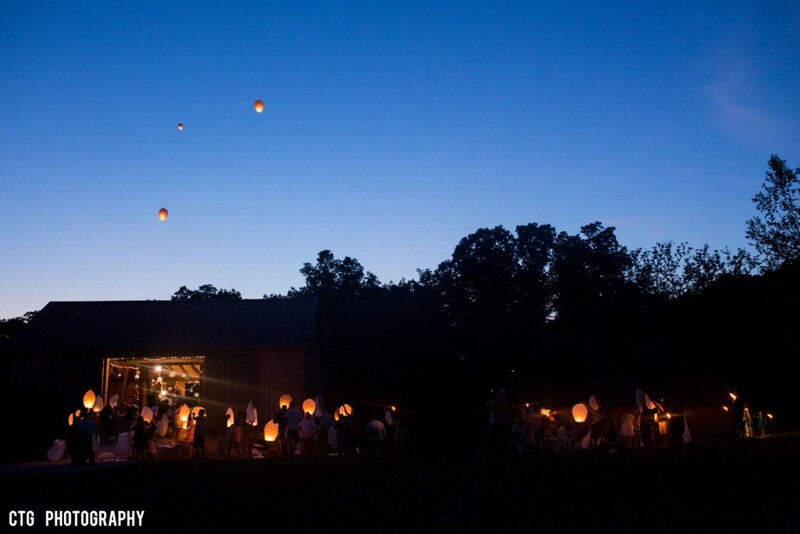 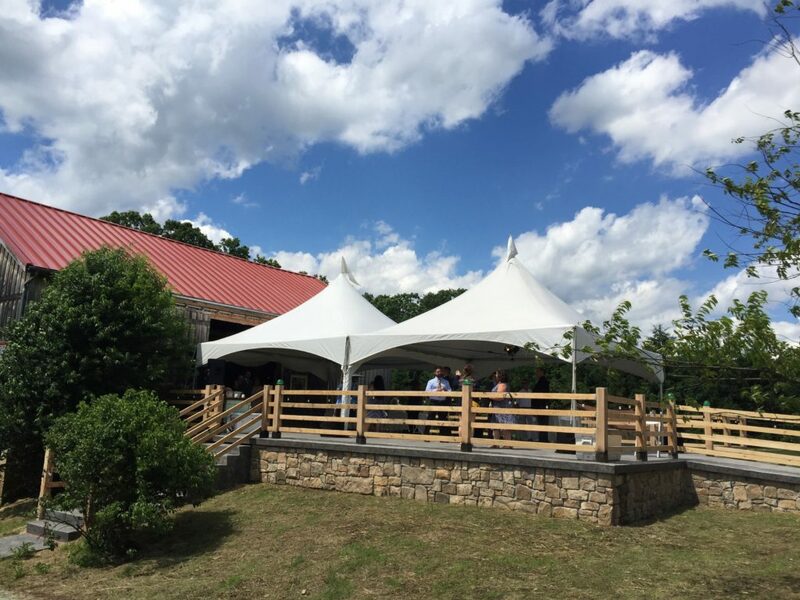 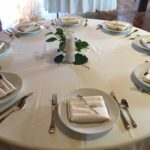 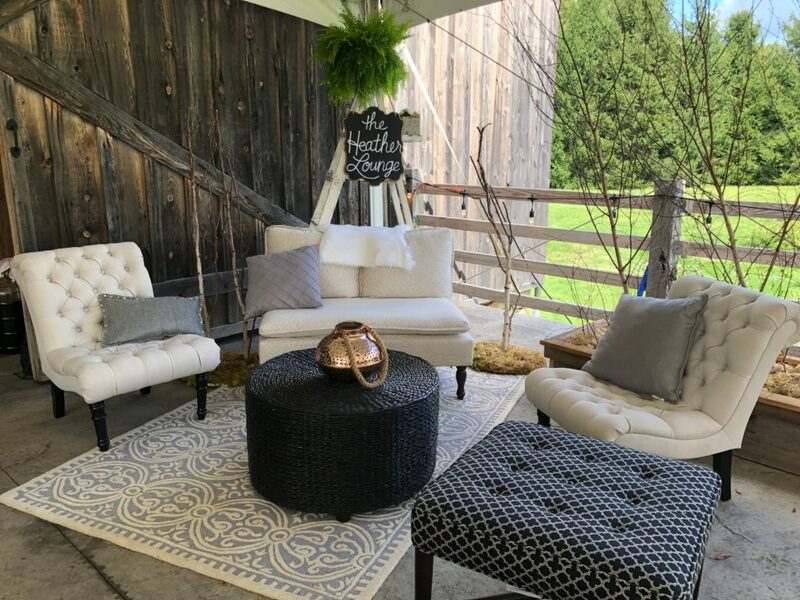 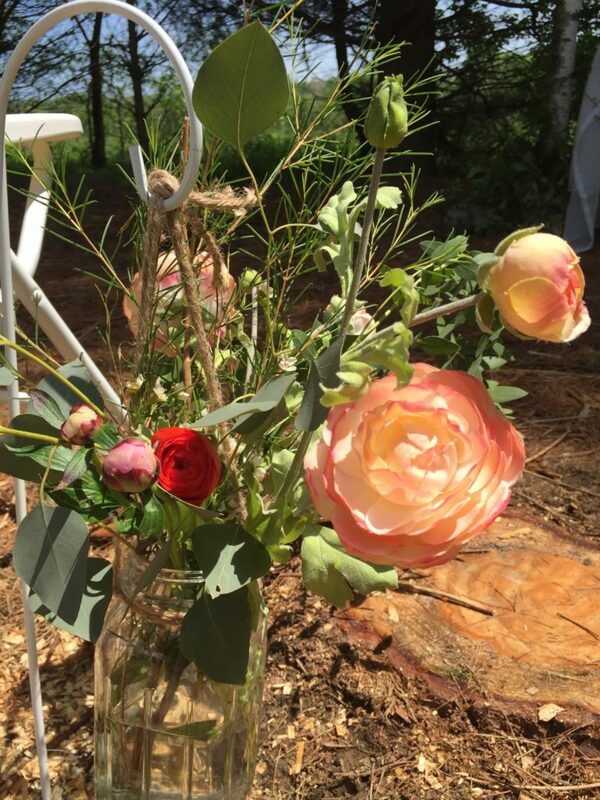 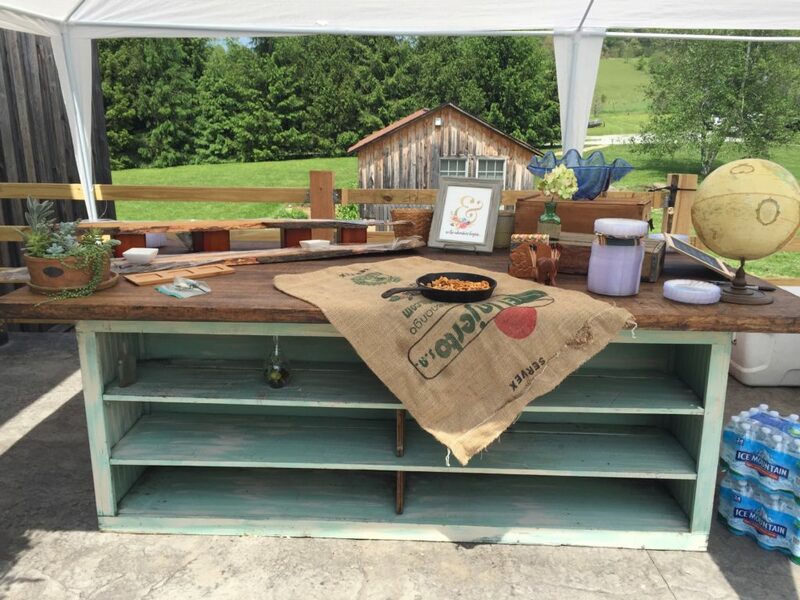 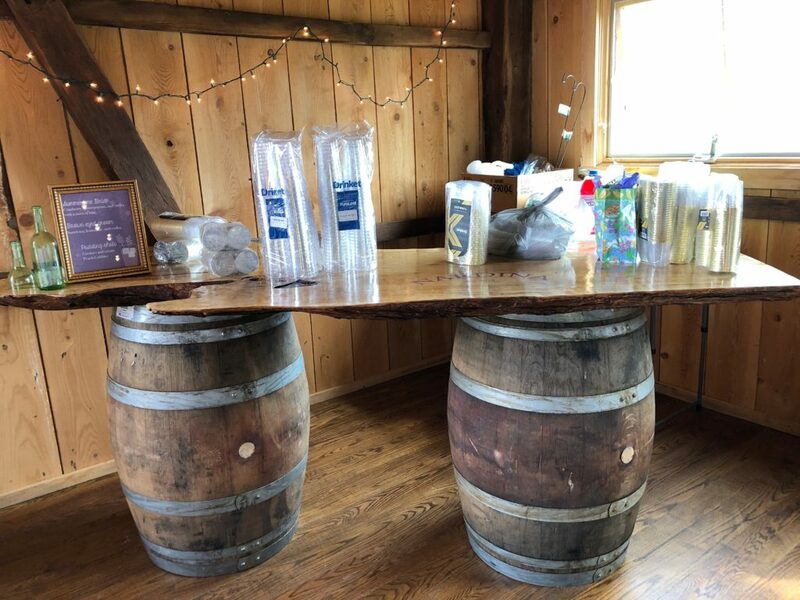 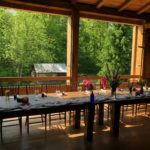 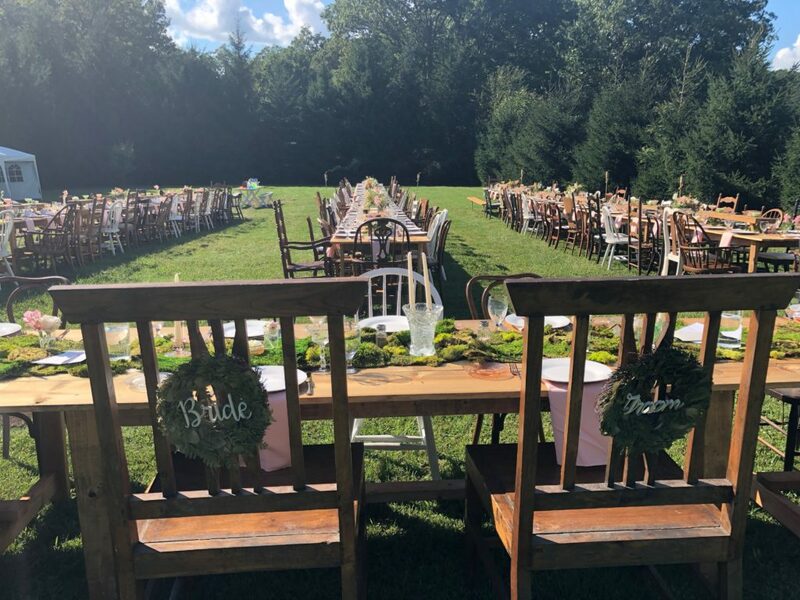 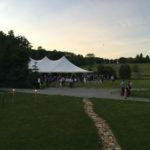 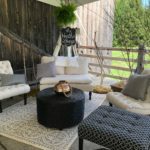 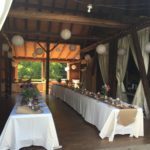 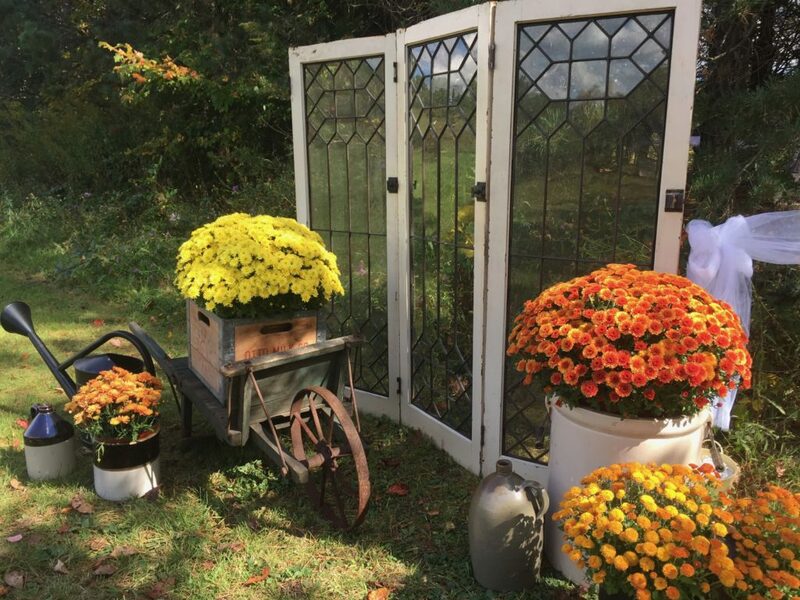 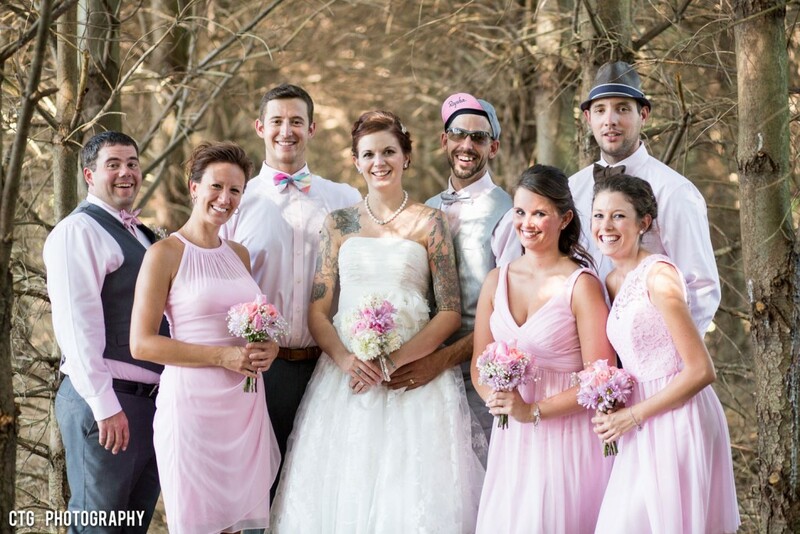 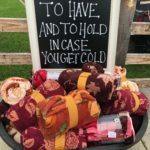 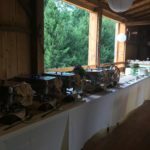 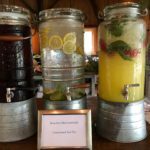 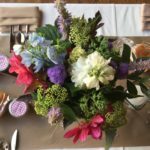 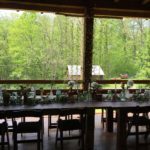 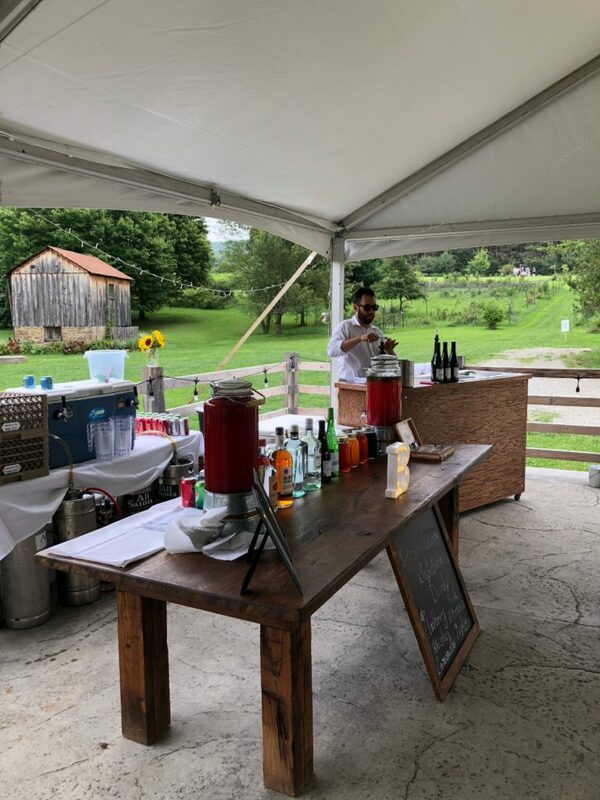 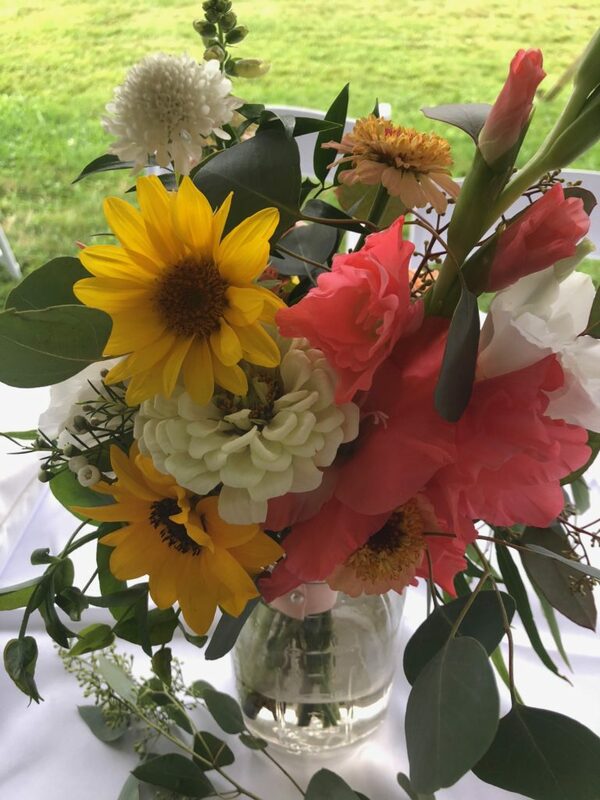 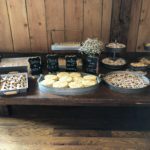 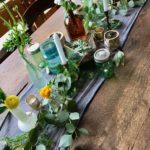 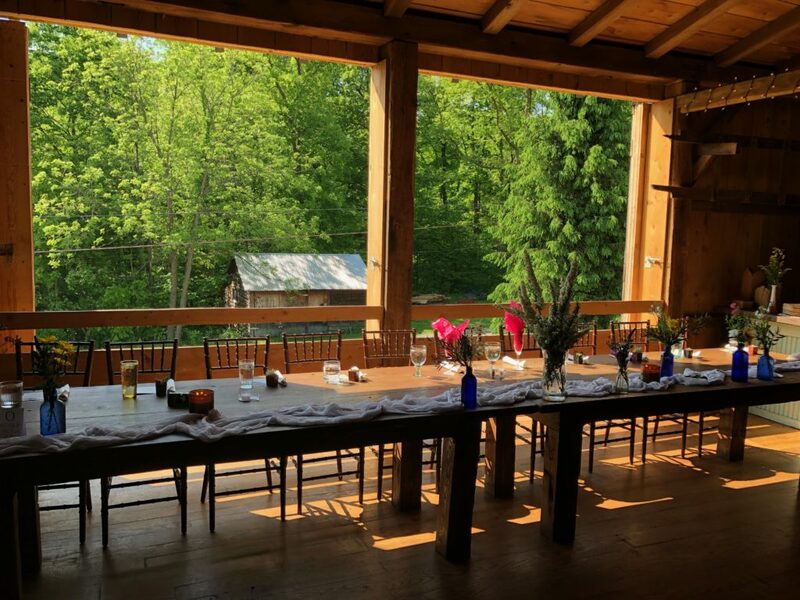 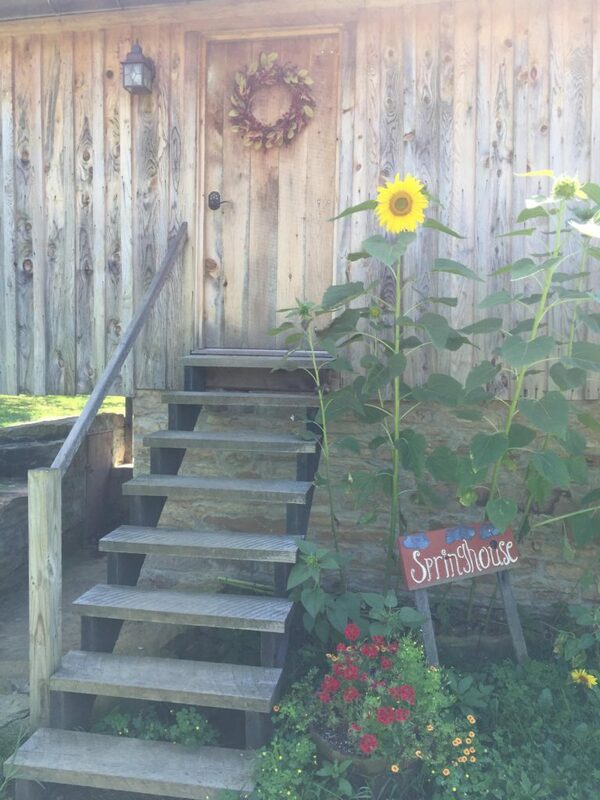 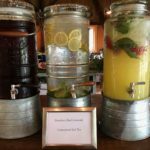 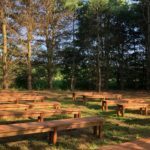 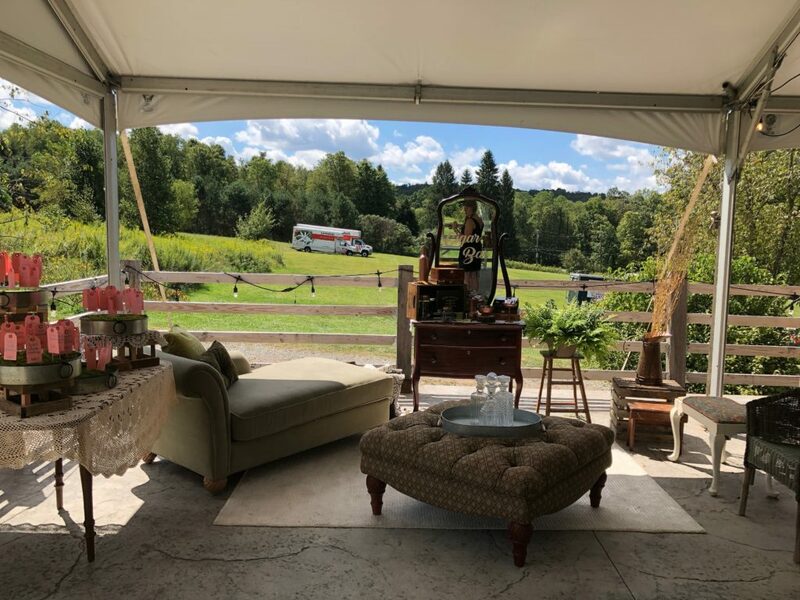 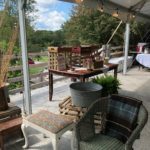 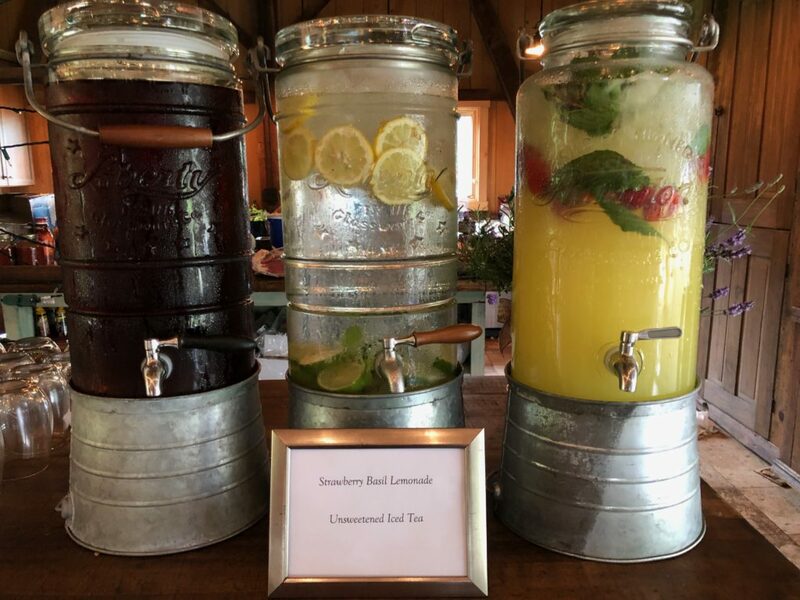 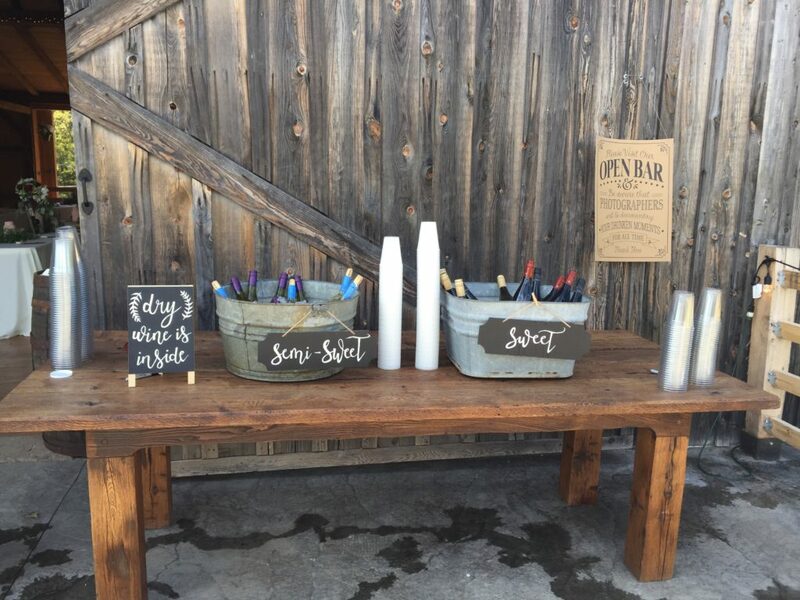 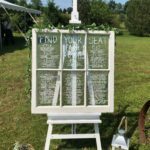 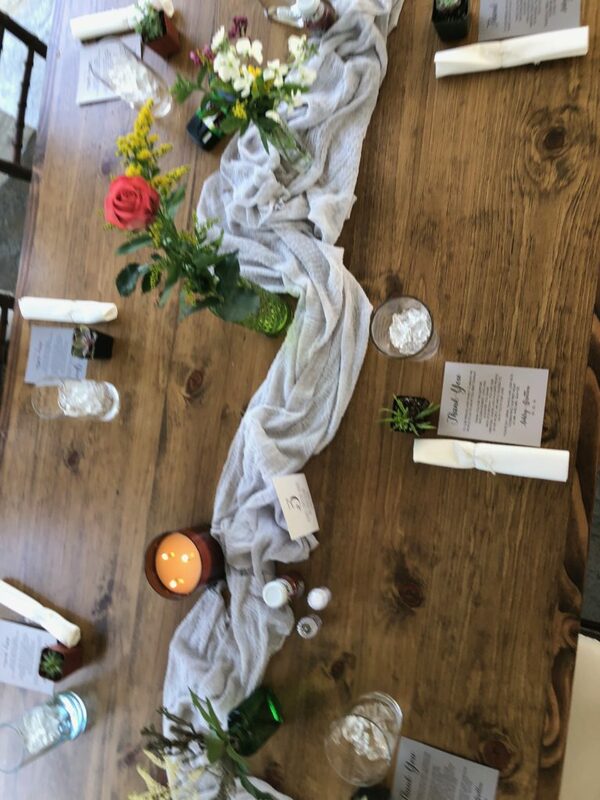 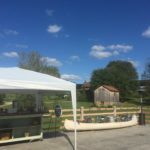 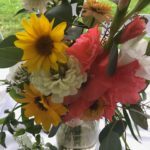 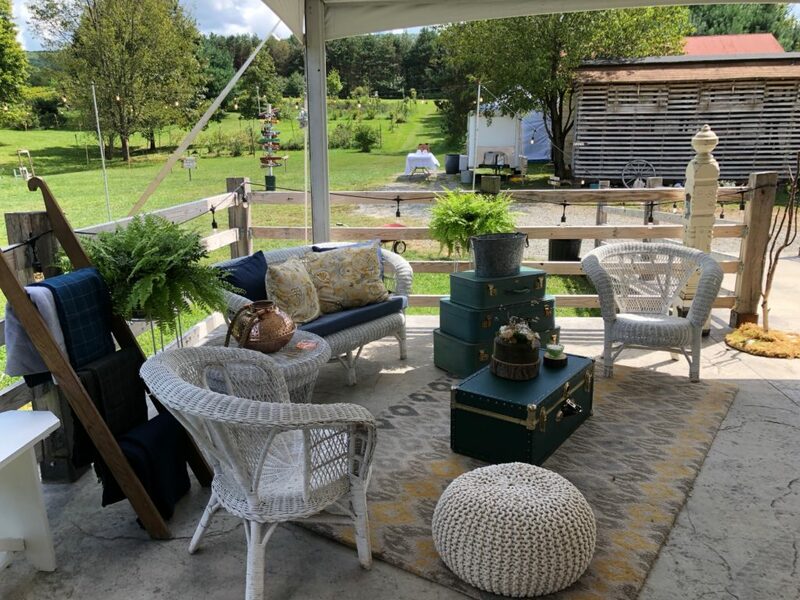 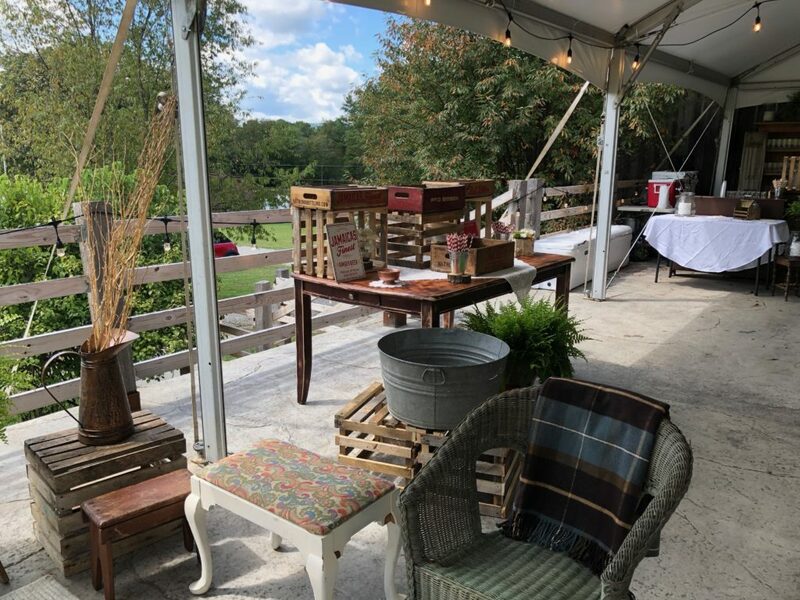 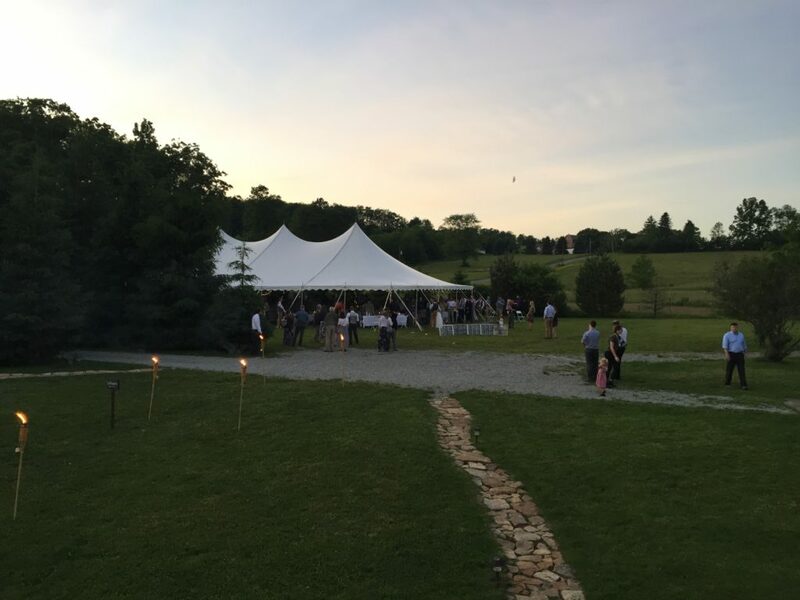 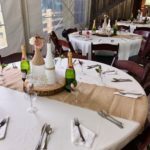 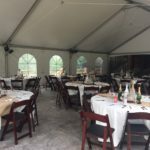 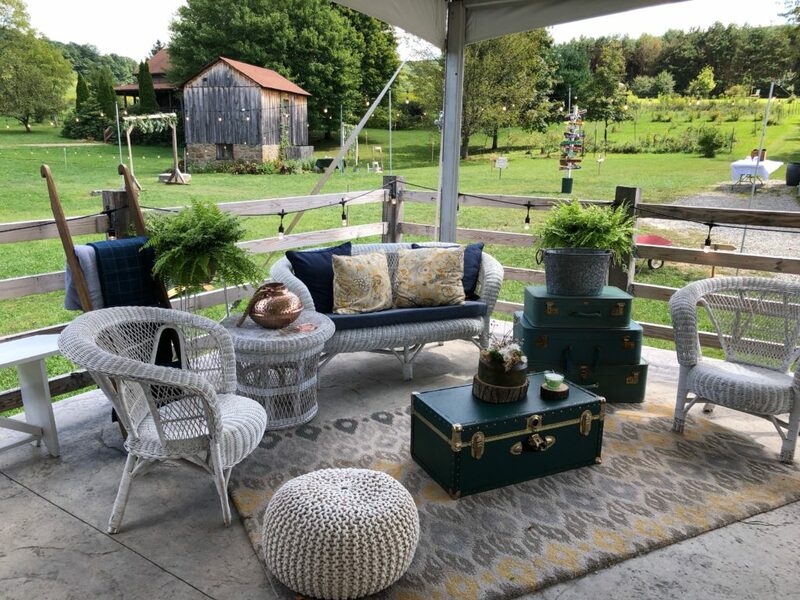 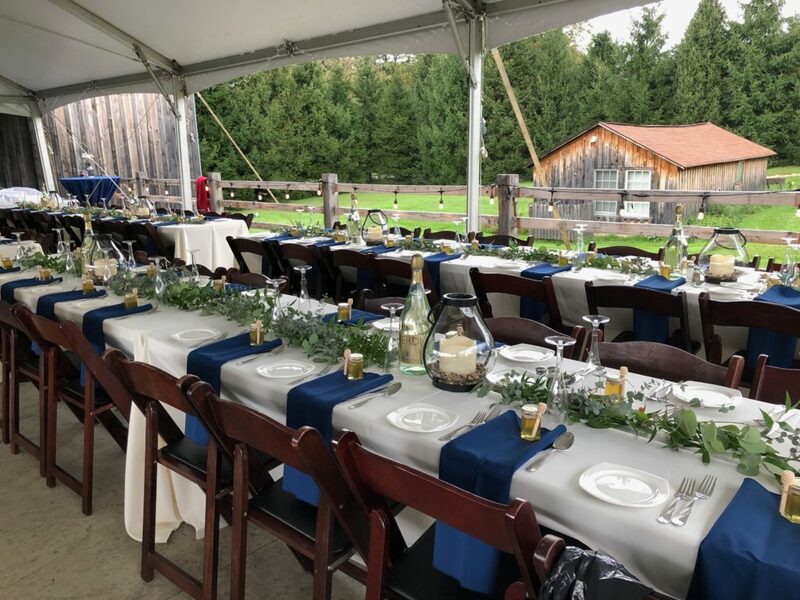 SanaView Farms is the place for your next event, whether it be a wedding or group occasion, corporate wellness retreat or gathering of friends. 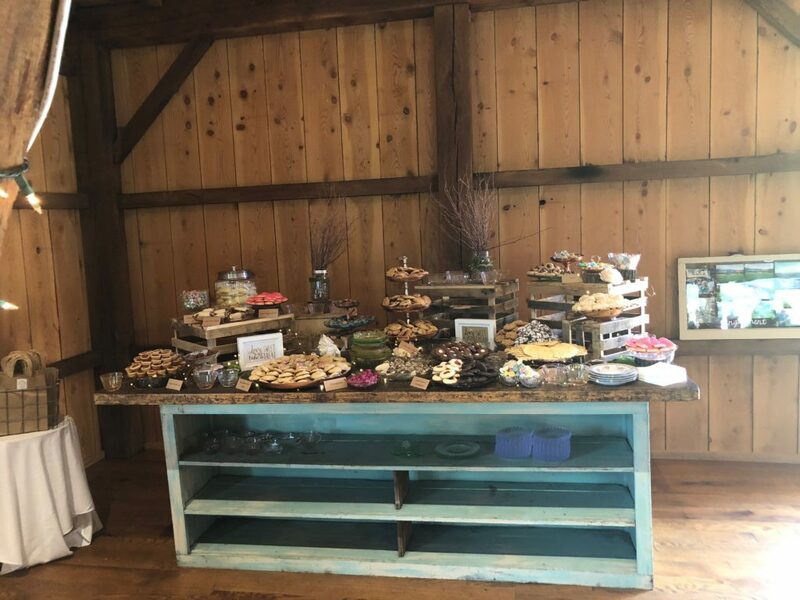 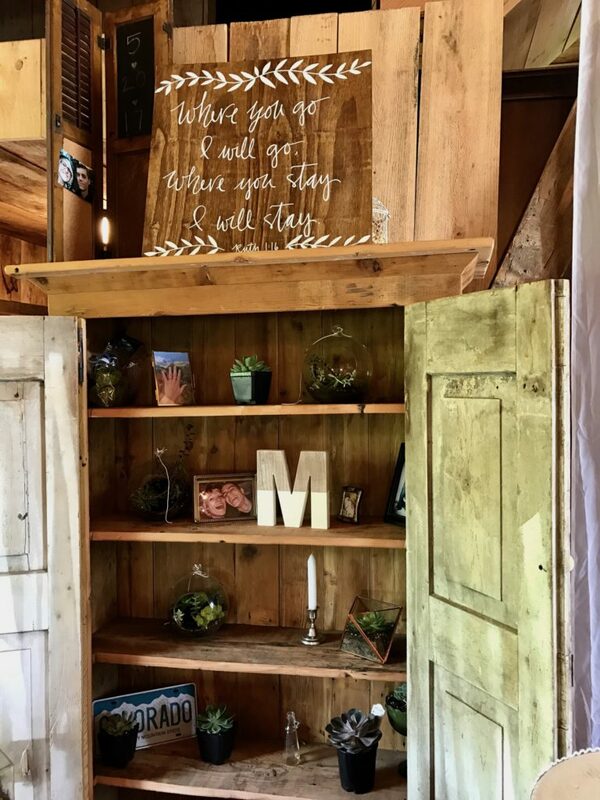 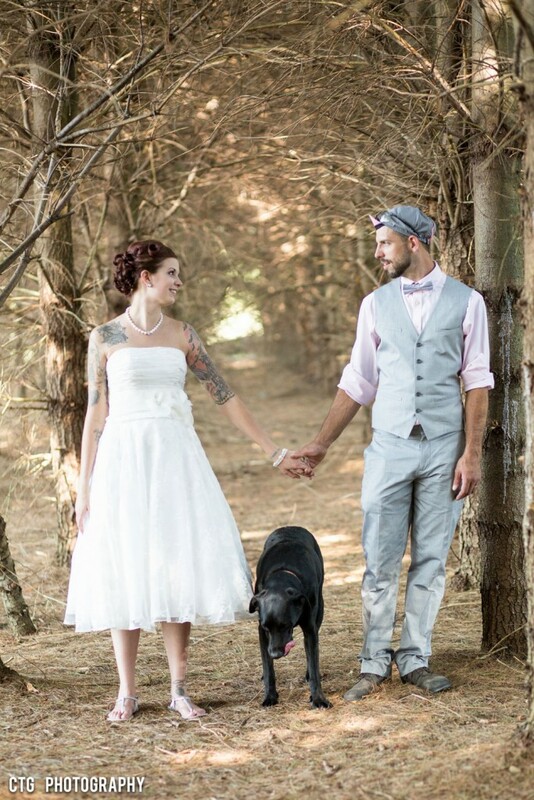 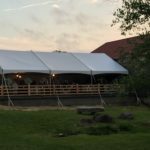 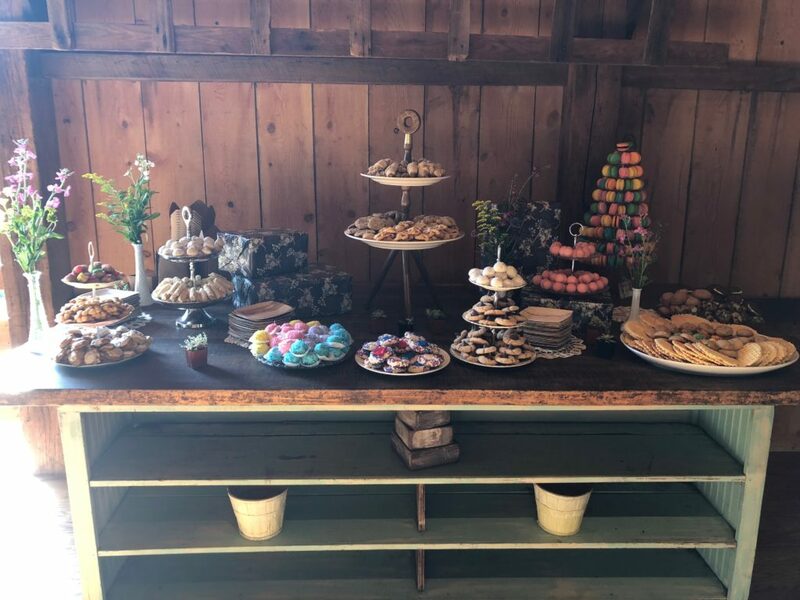 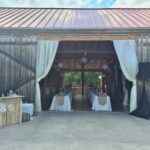 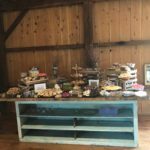 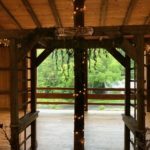 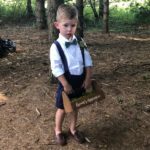 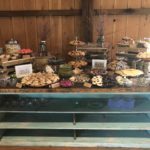 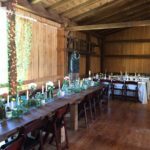 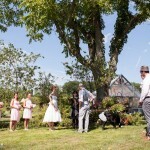 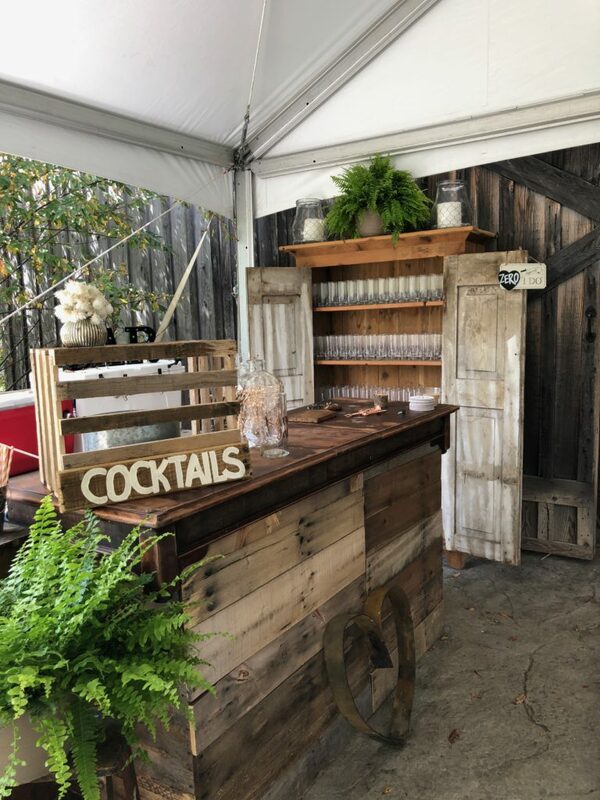 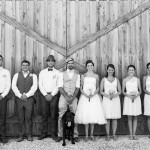 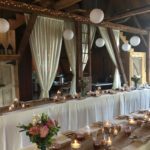 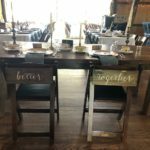 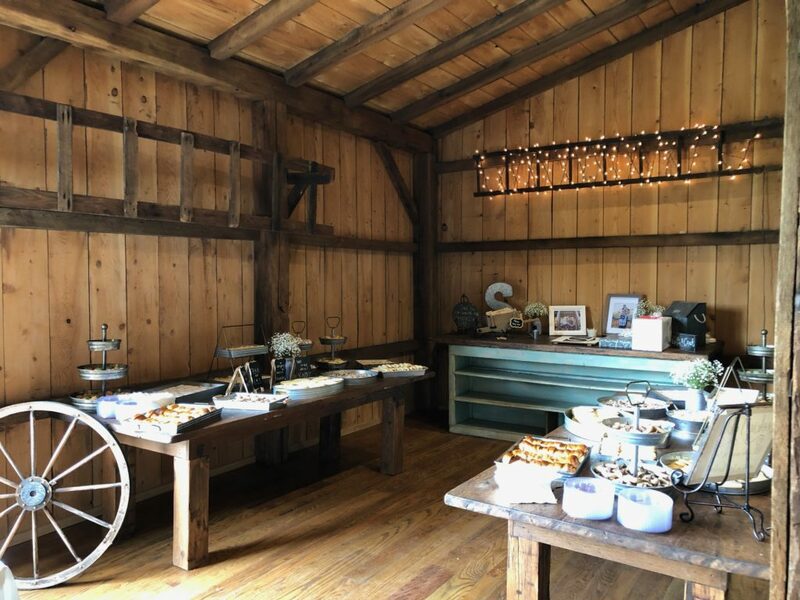 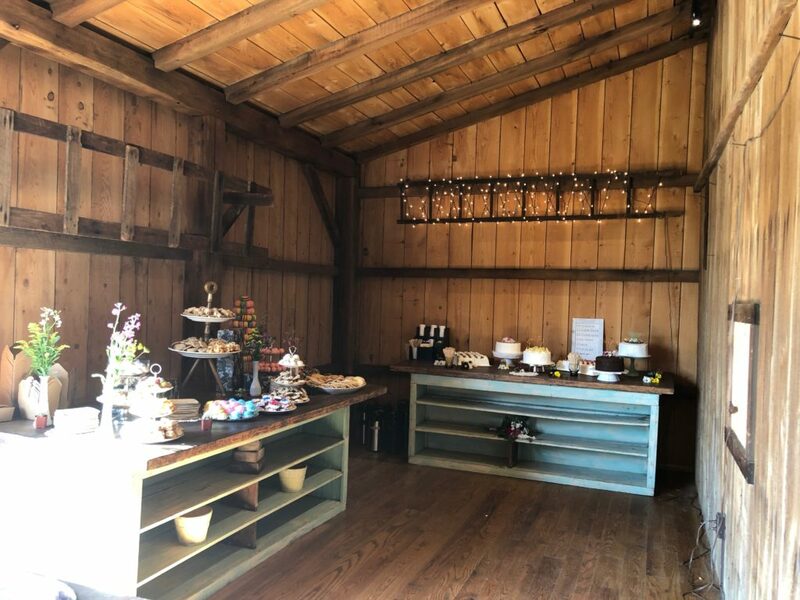 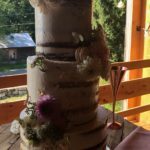 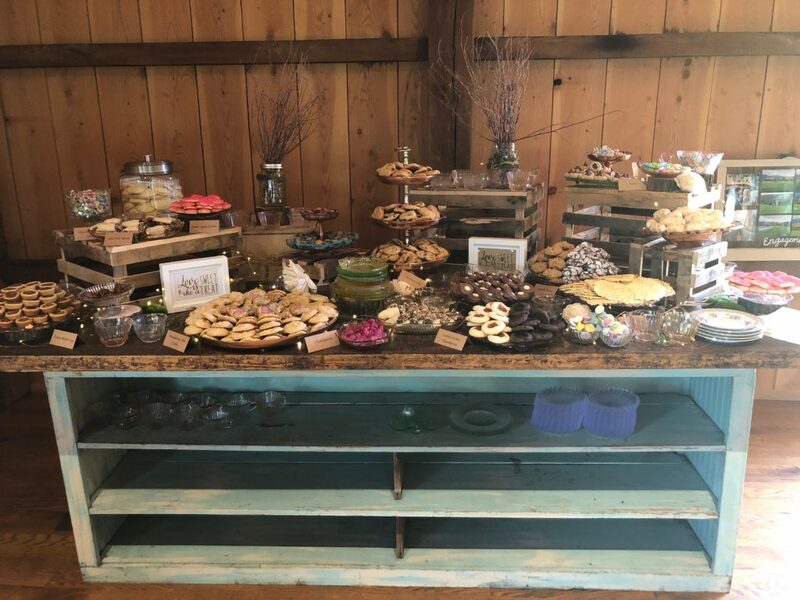 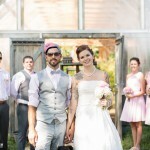 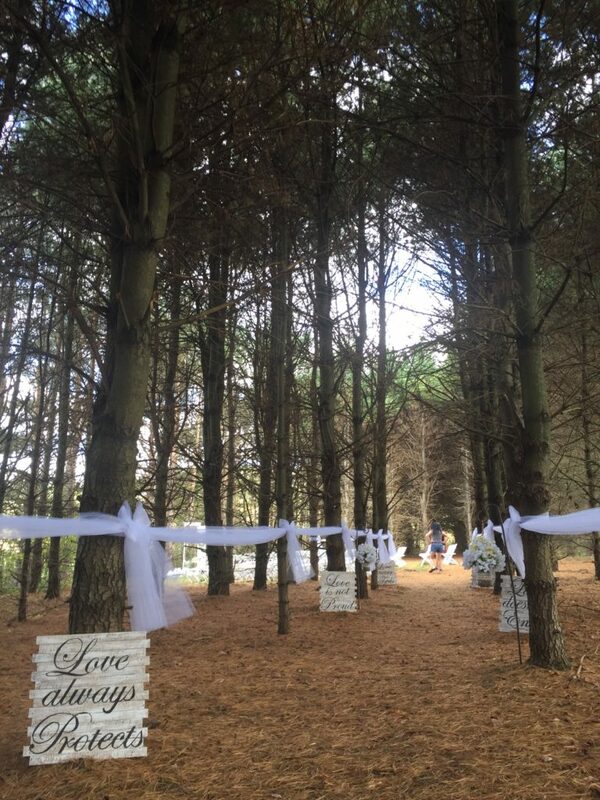 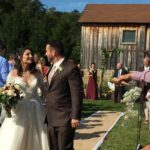 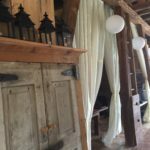 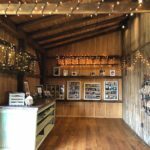 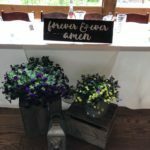 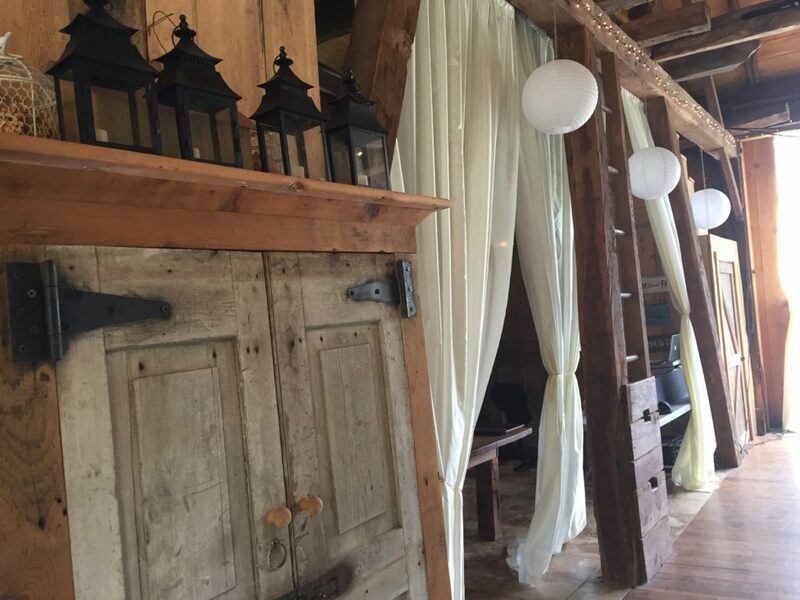 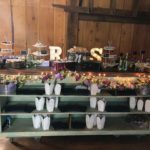 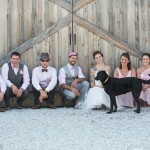 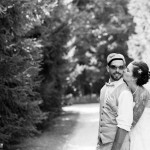 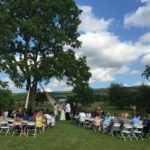 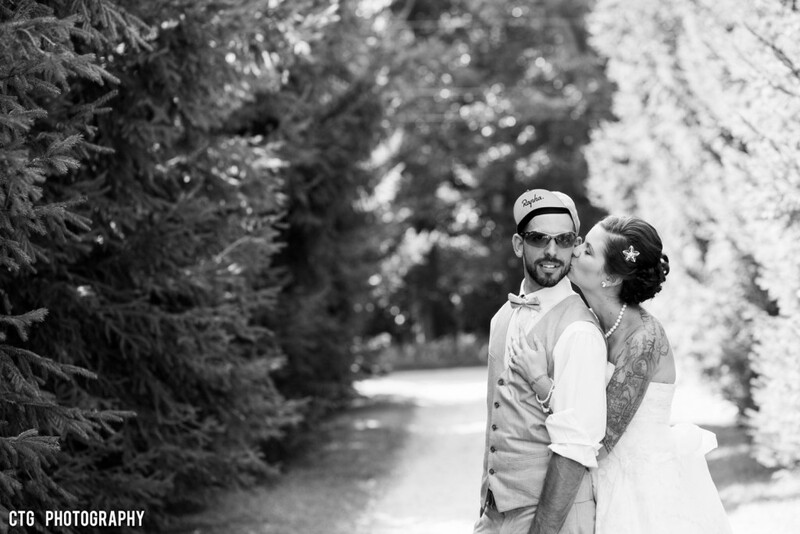 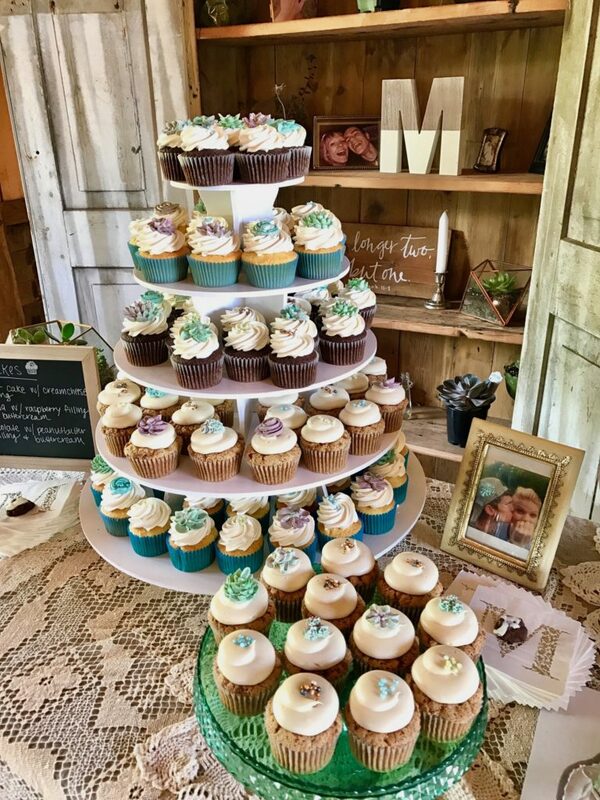 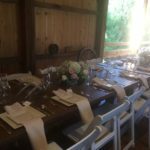 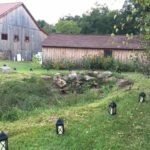 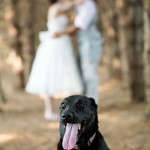 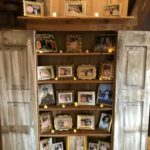 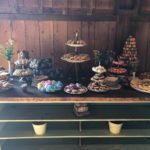 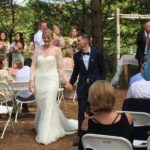 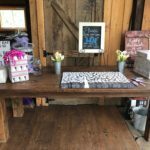 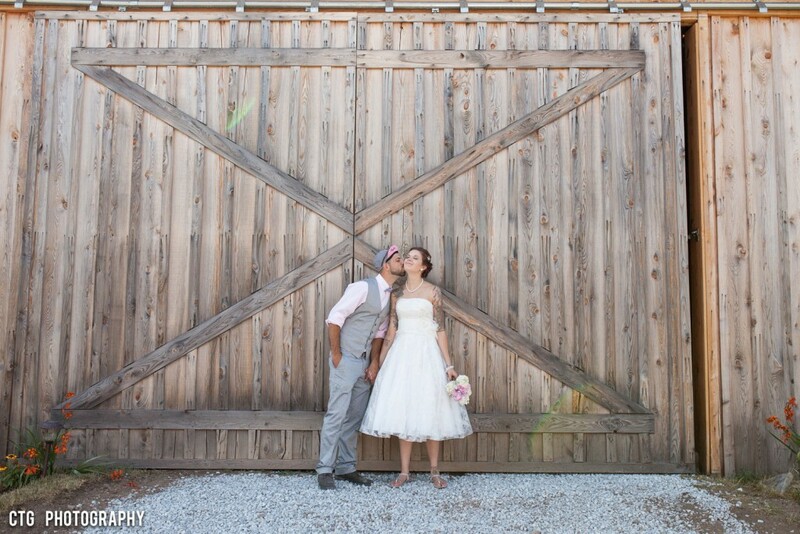 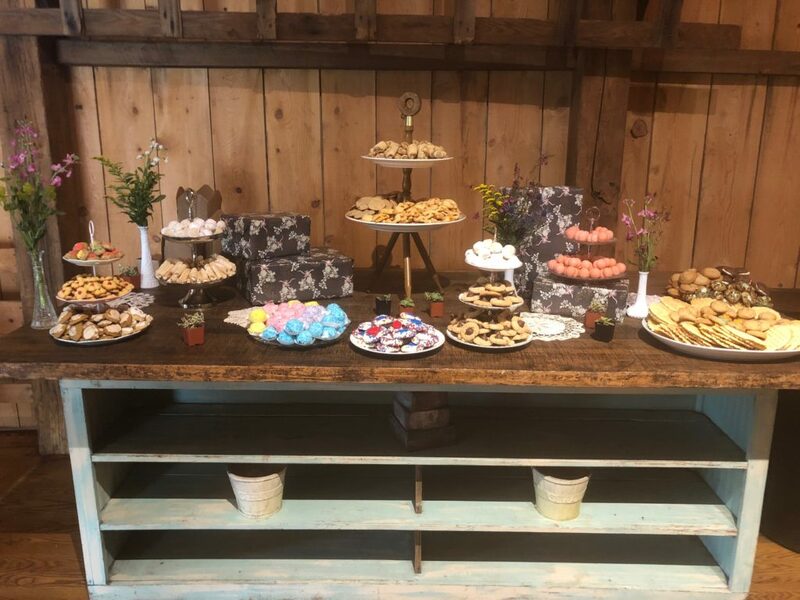 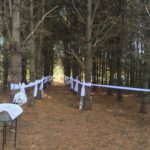 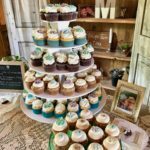 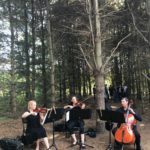 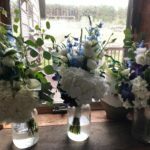 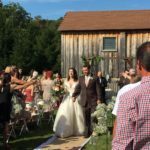 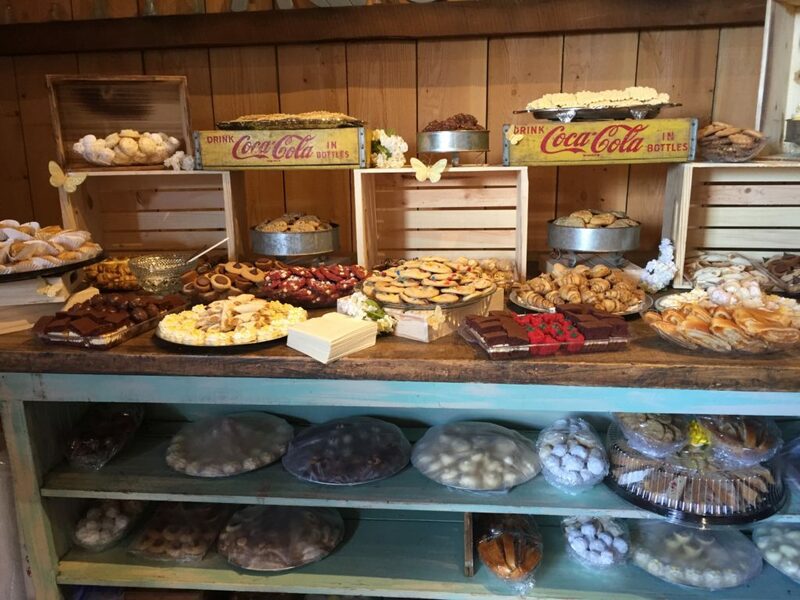 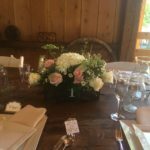 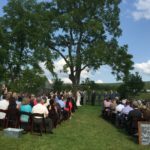 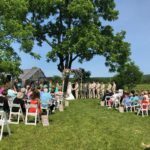 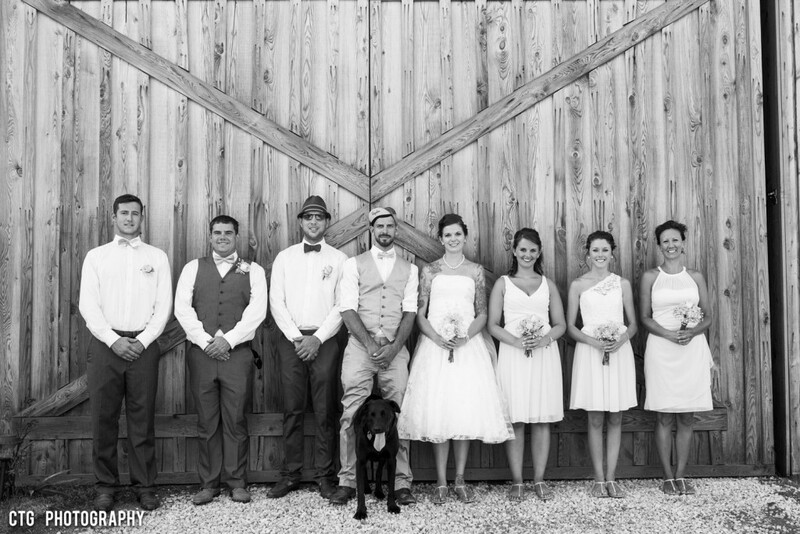 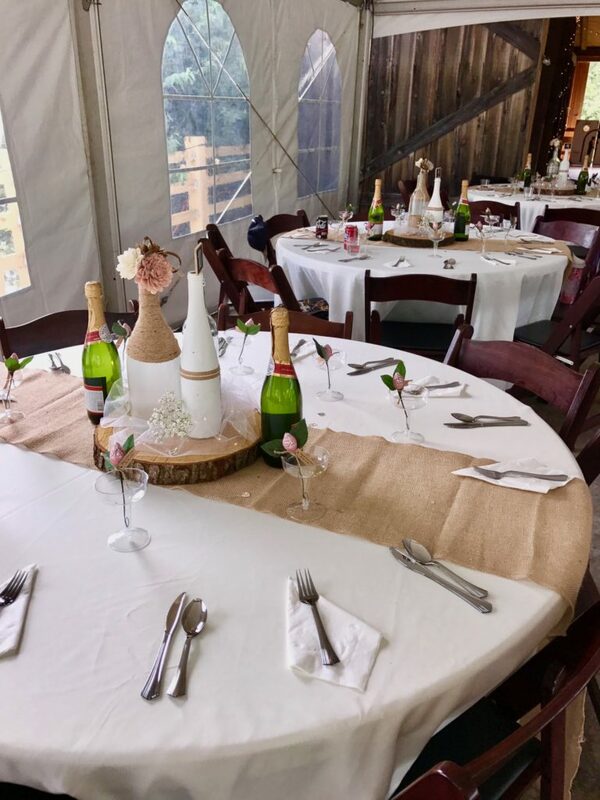 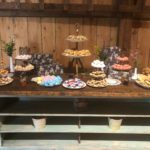 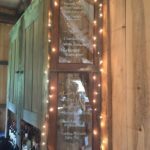 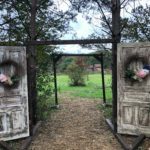 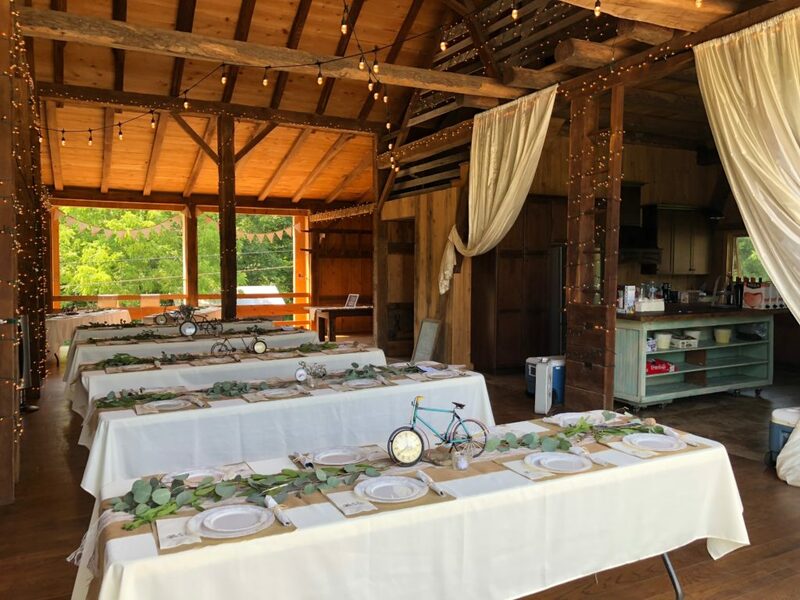 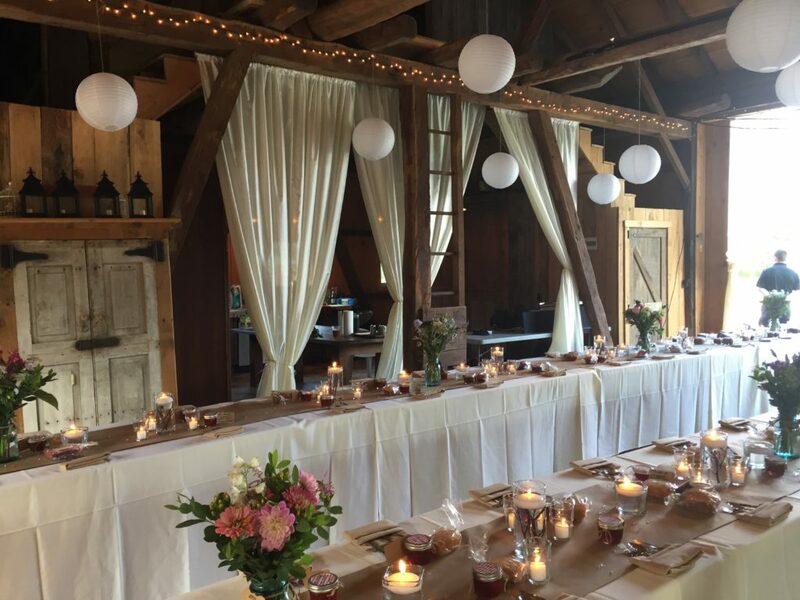 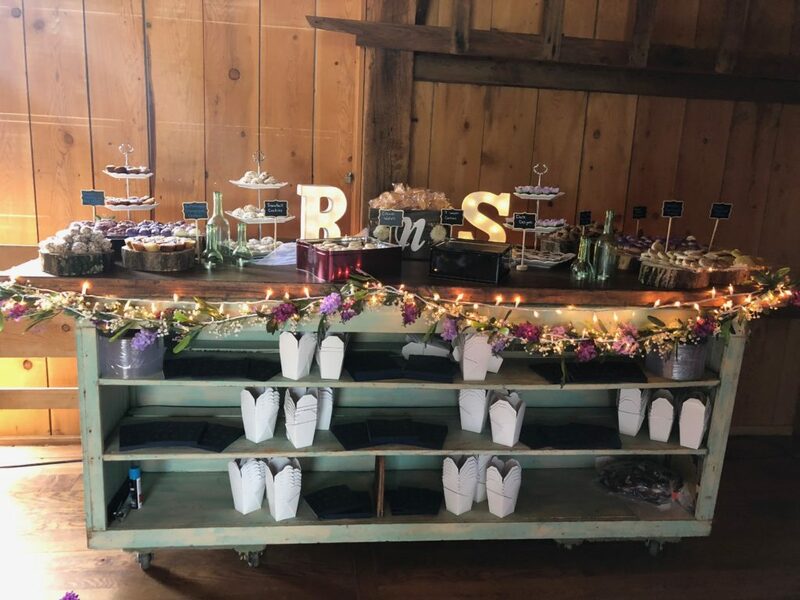 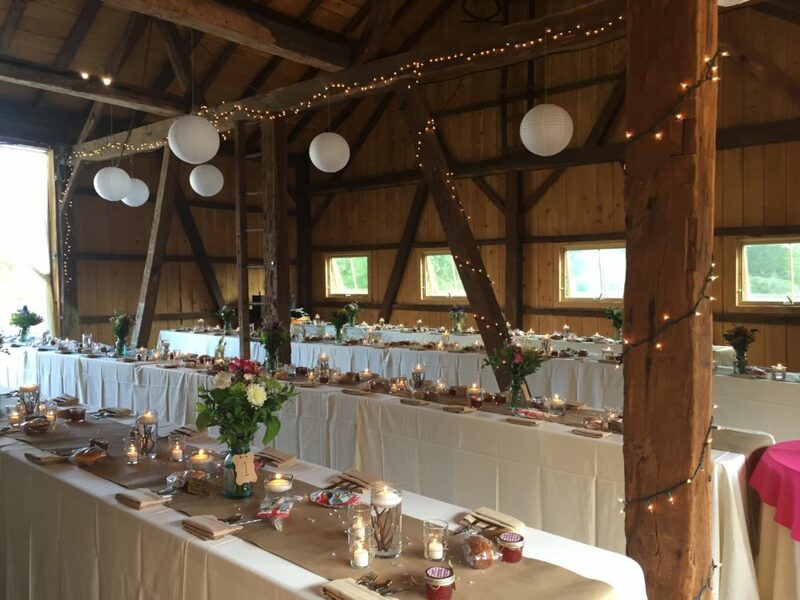 Our restored historic barn, bunkhouse and party/reception field is the perfect setting for a rustic yet elegant occasion surrounded by nature. 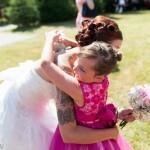 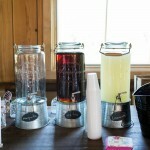 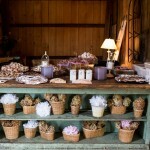 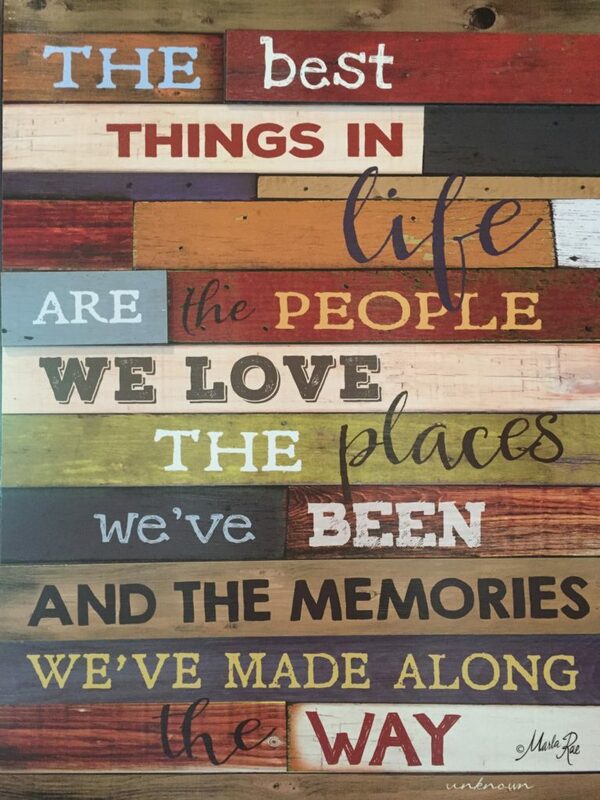 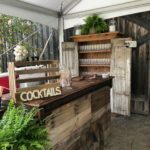 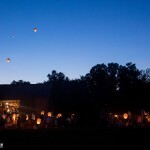 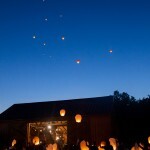 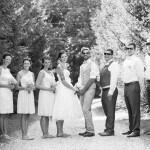 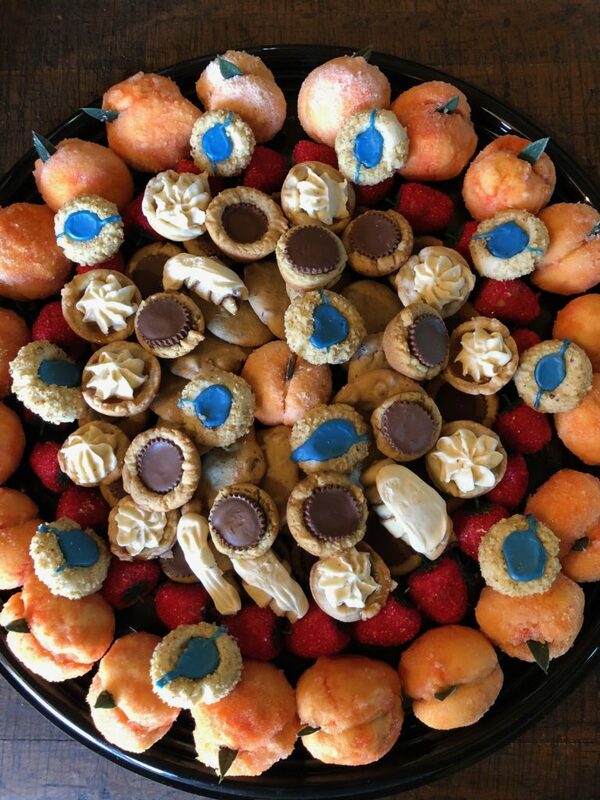 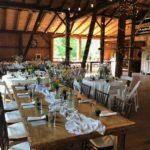 Feel free to explore many incredible options and ideas that meet your needs for your next special event. 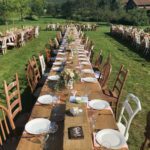 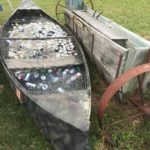 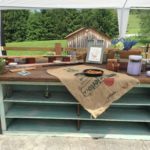 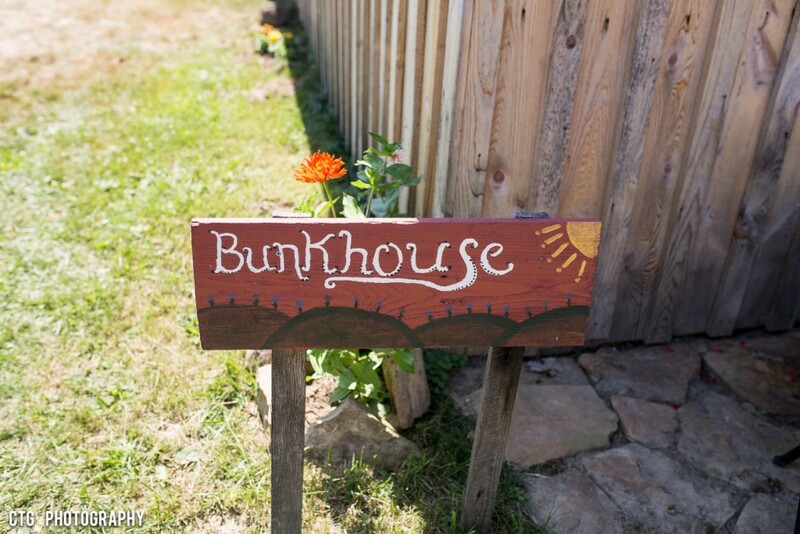 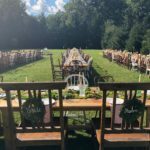 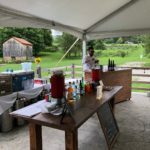 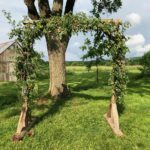 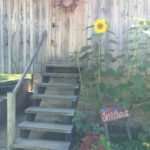 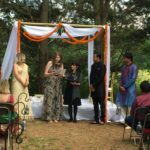 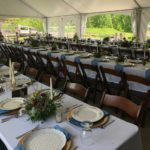 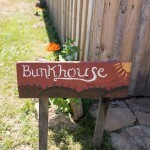 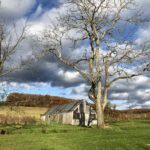 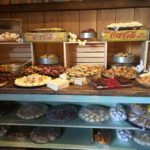 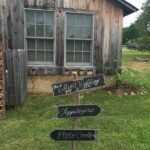 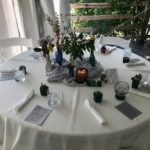 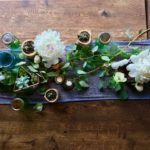 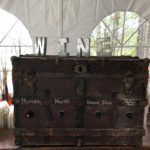 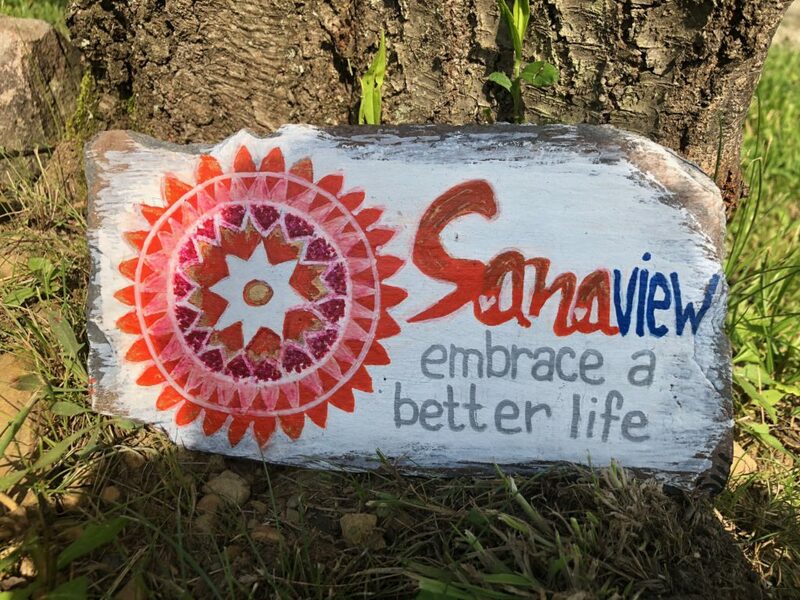 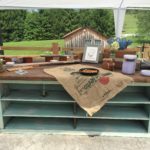 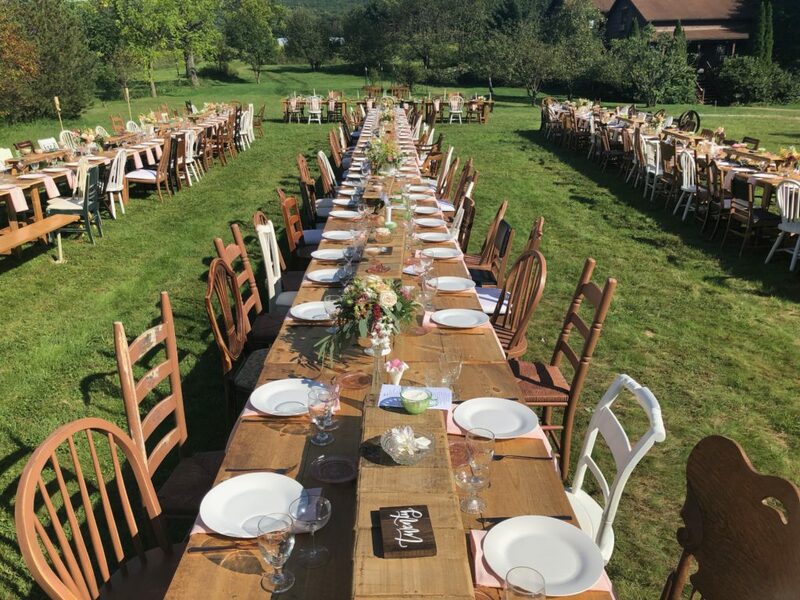 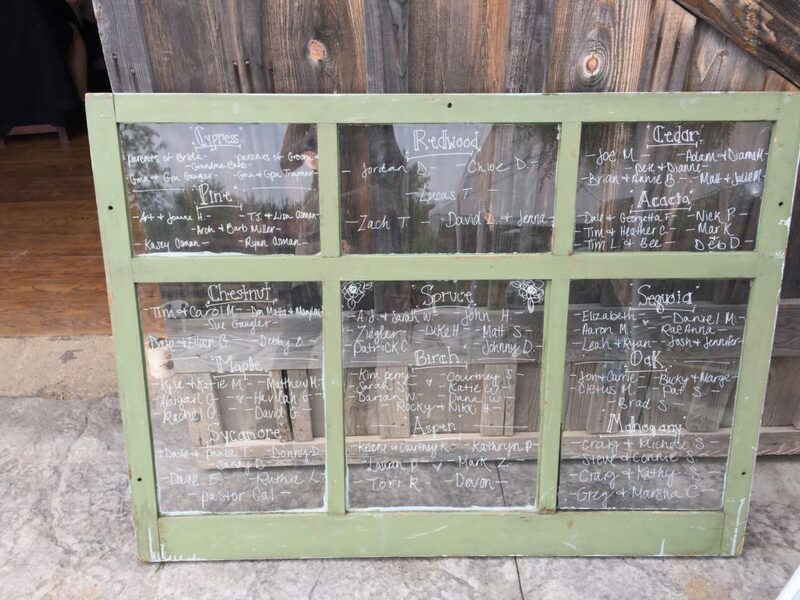 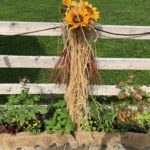 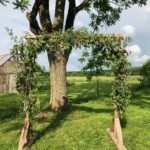 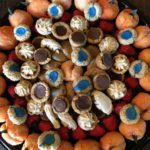 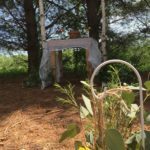 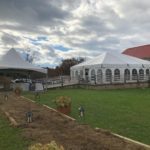 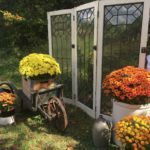 SanaView Farms also hosts many of its own events including farm-to-table dinners, organic gardening and wellness workshops, professional retreats and fundraisers. 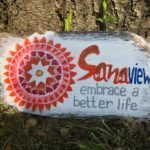 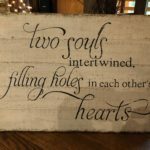 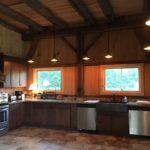 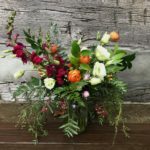 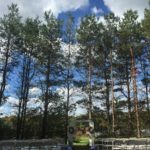 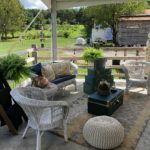 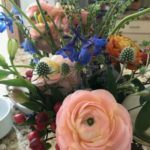 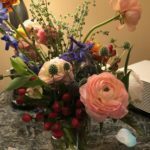 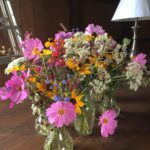 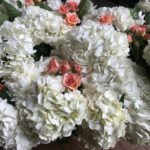 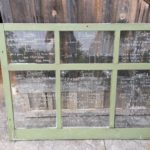 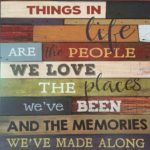 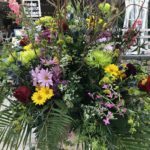 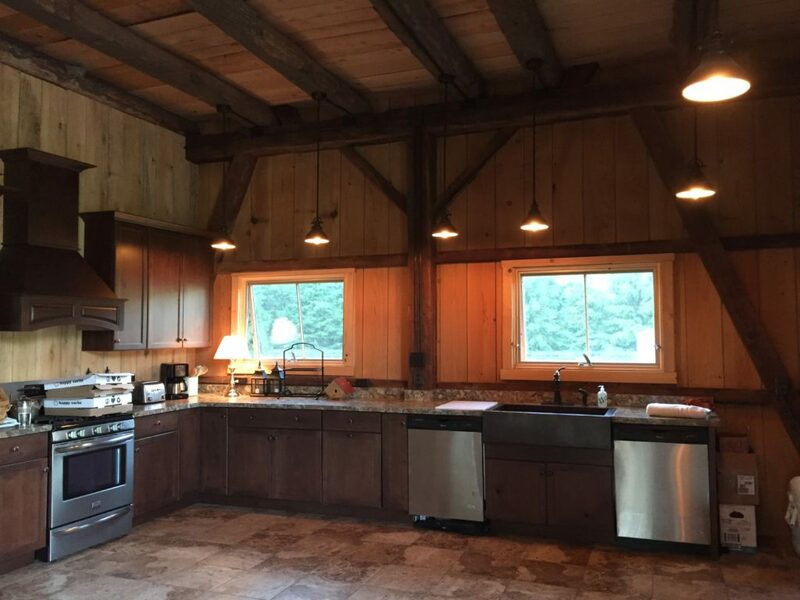 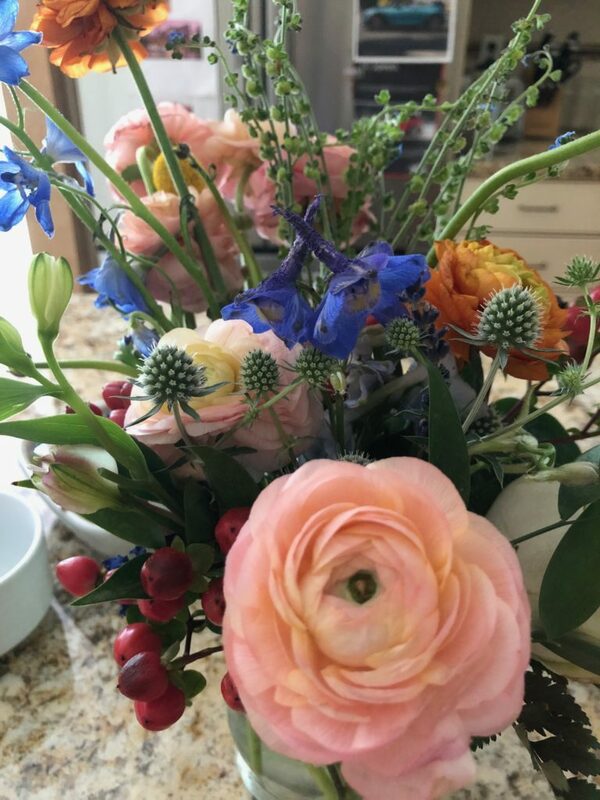 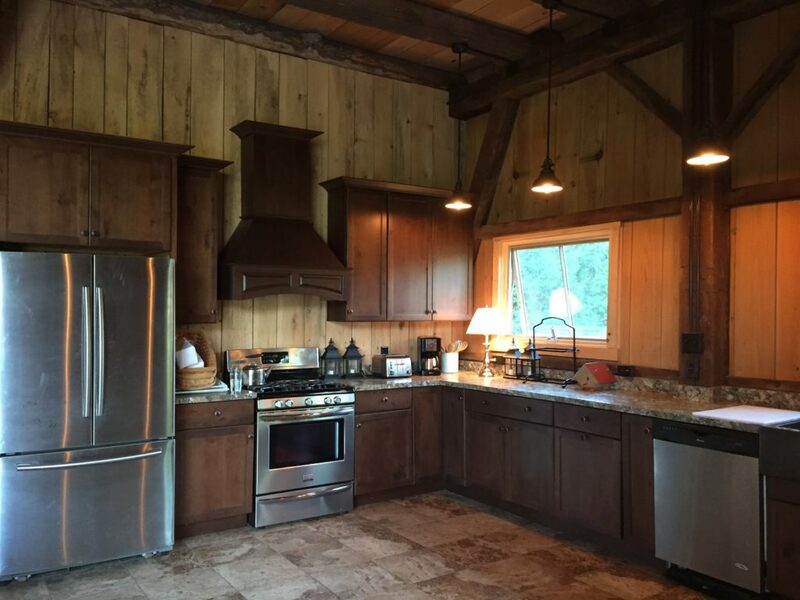 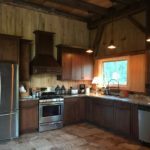 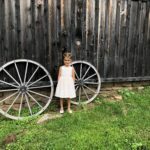 There is so much to learn and do at SanaView Farms and the folks there are eager and willing to share this amazing place with you in a way that you will enjoy. 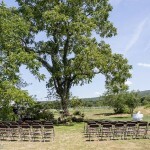 Keep an eye on our web site under EVENTS and in our monthly newsletter and blog for topics that may interest you. 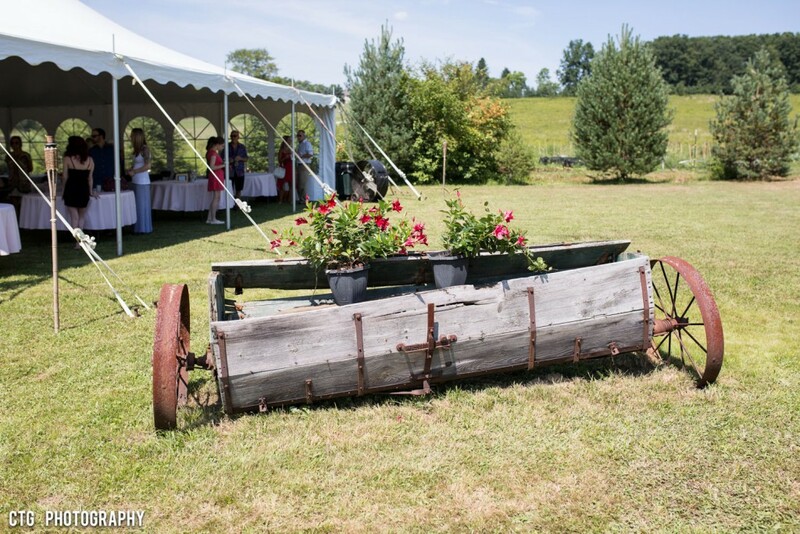 Where Mother Nature abounds and you celebrate life. 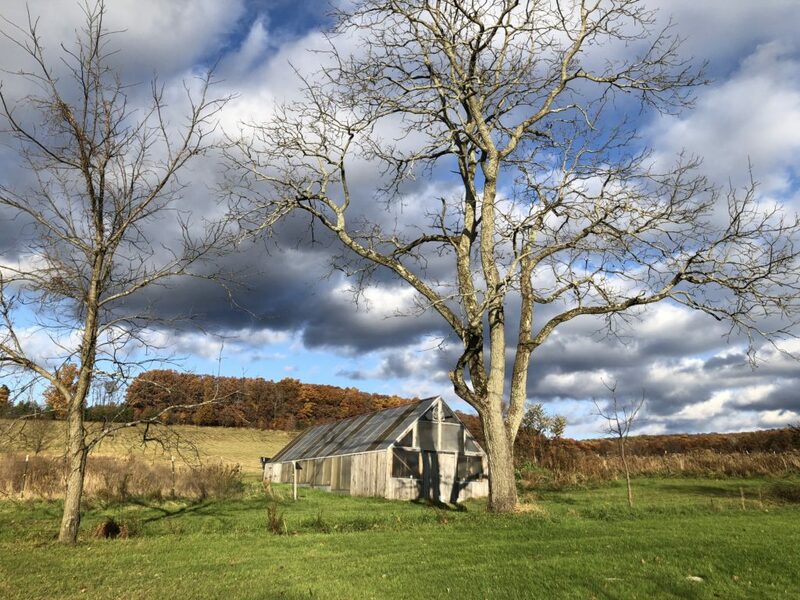 Where green fields reach distant mountains that kiss unending skies. 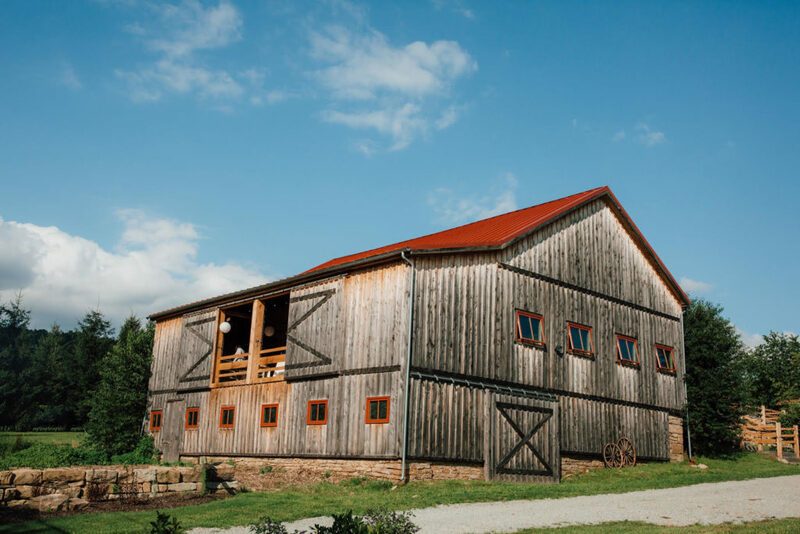 Where historic buildings stand with beauty and grace and where everything is surrounded with love. 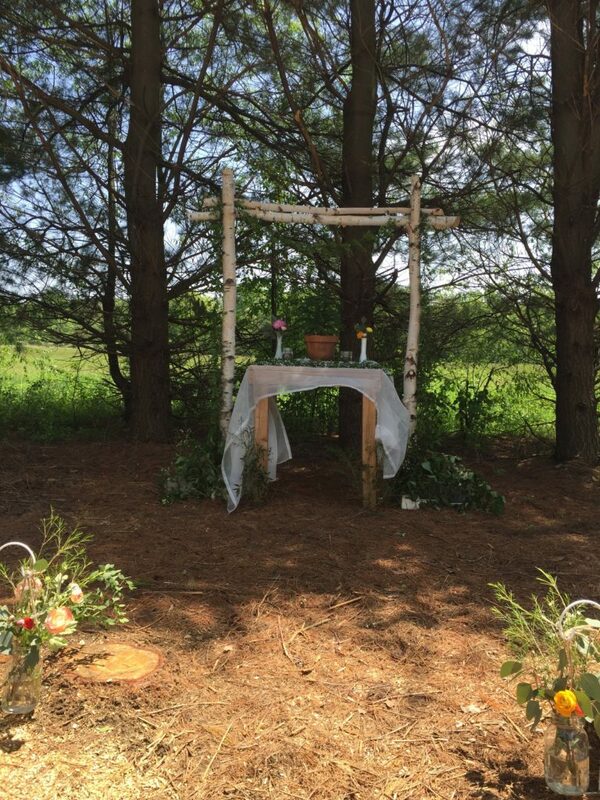 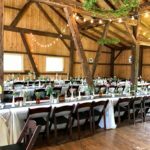 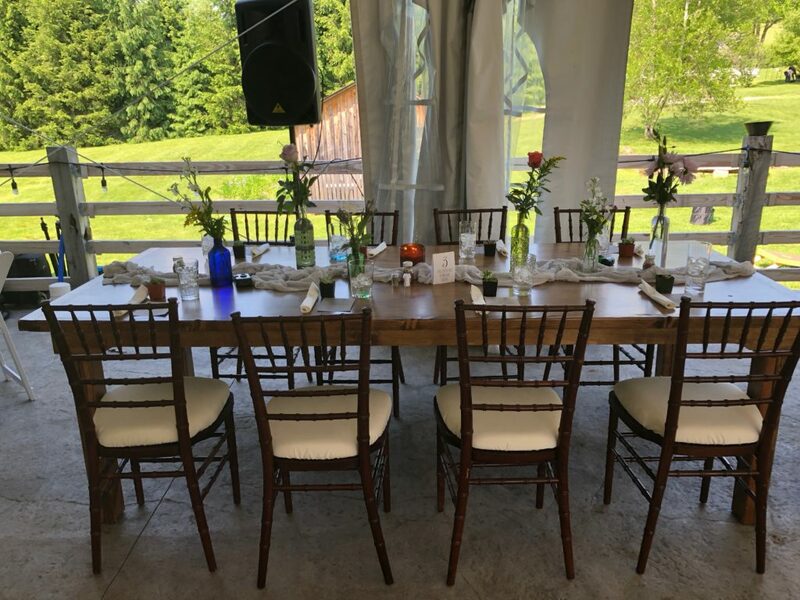 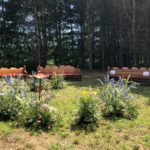 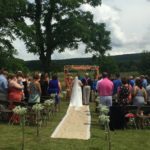 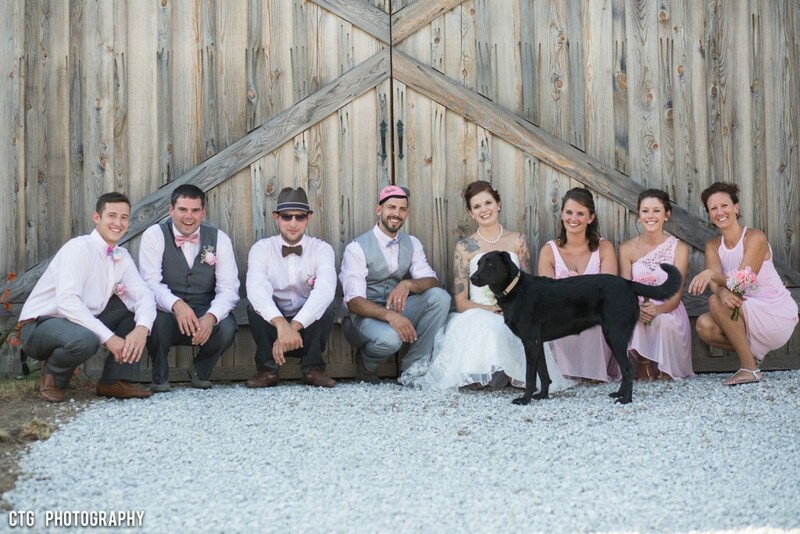 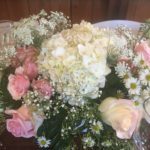 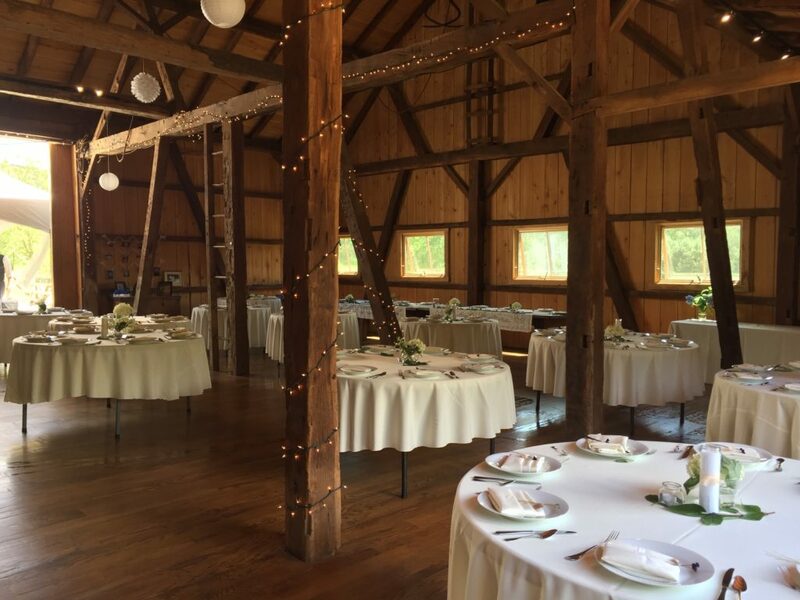 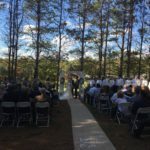 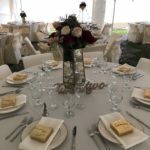 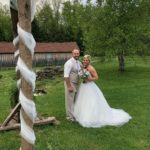 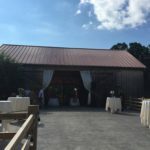 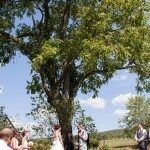 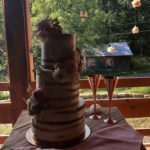 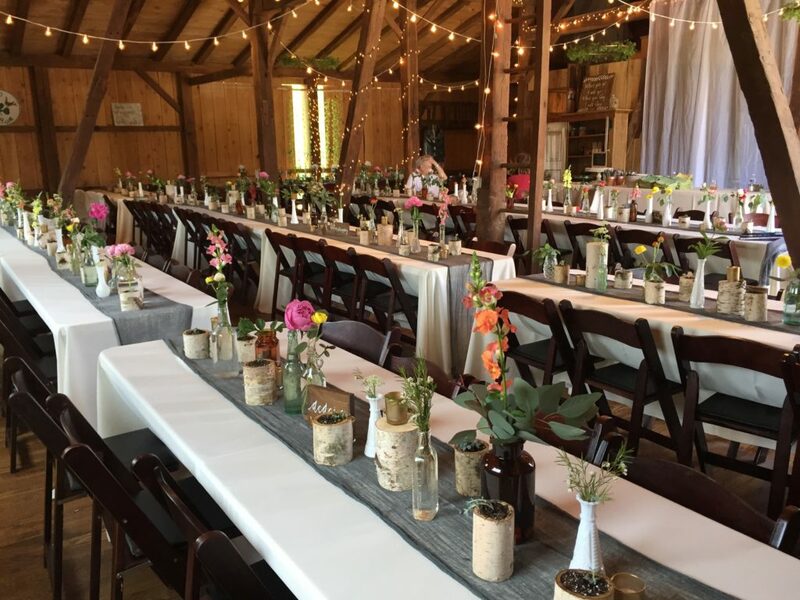 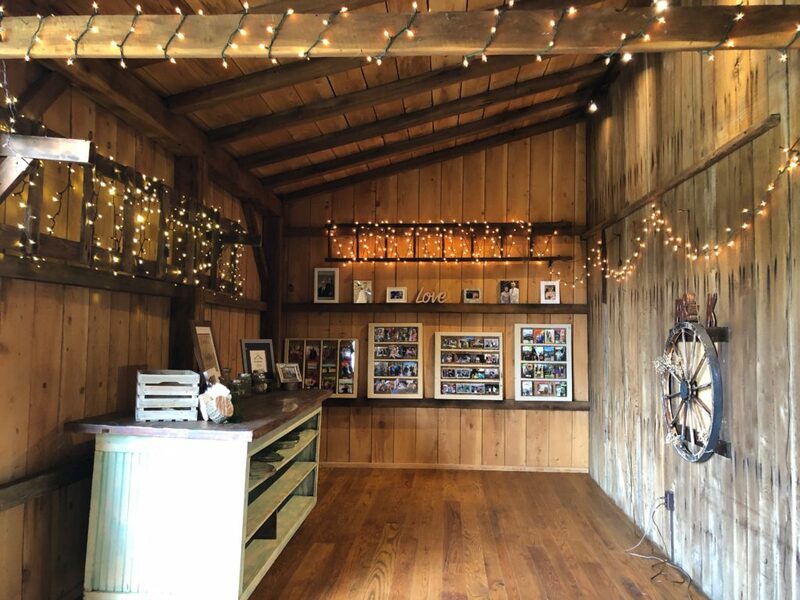 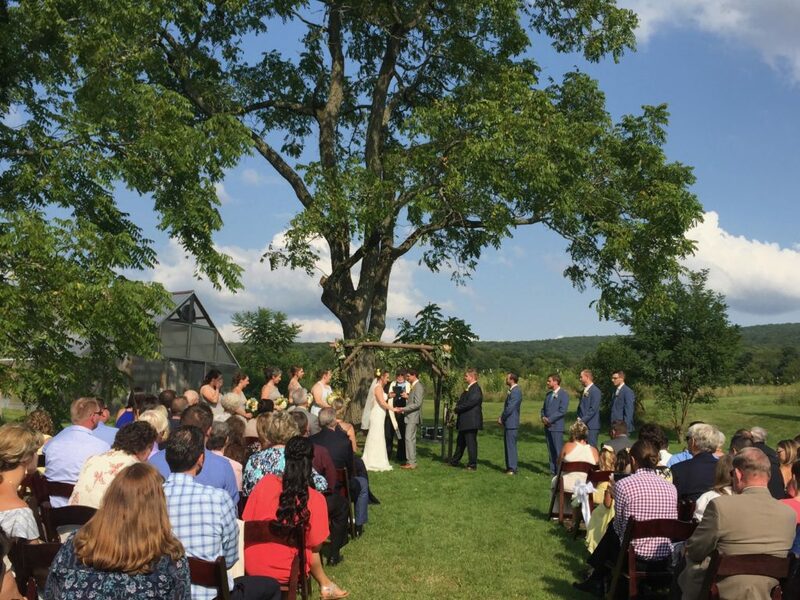 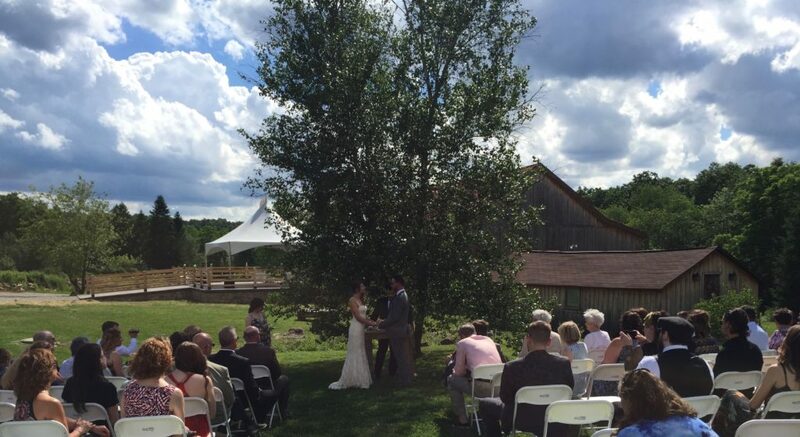 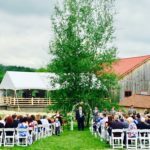 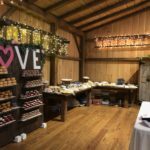 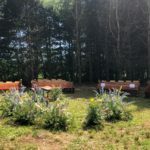 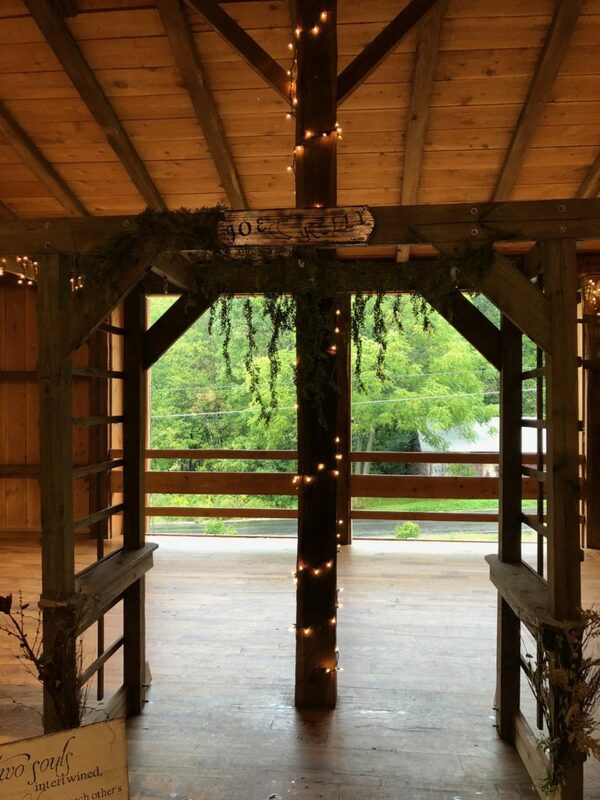 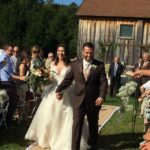 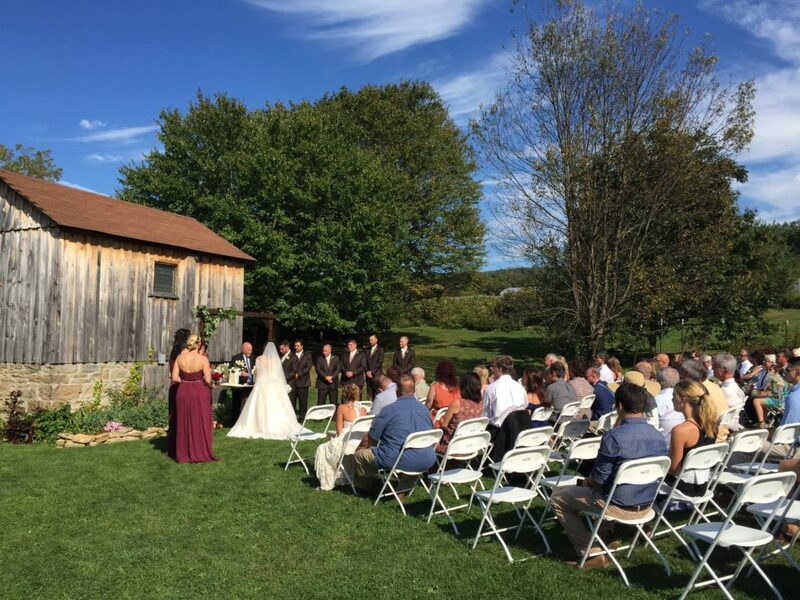 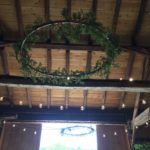 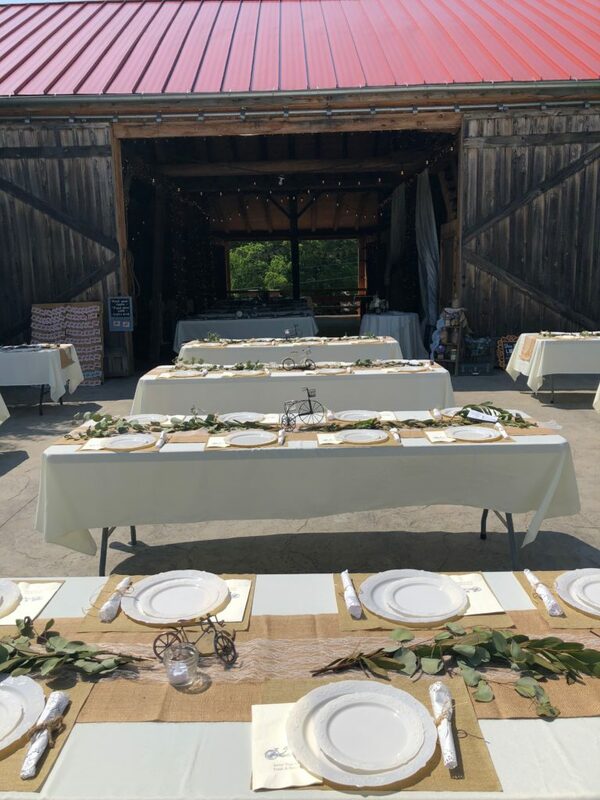 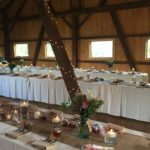 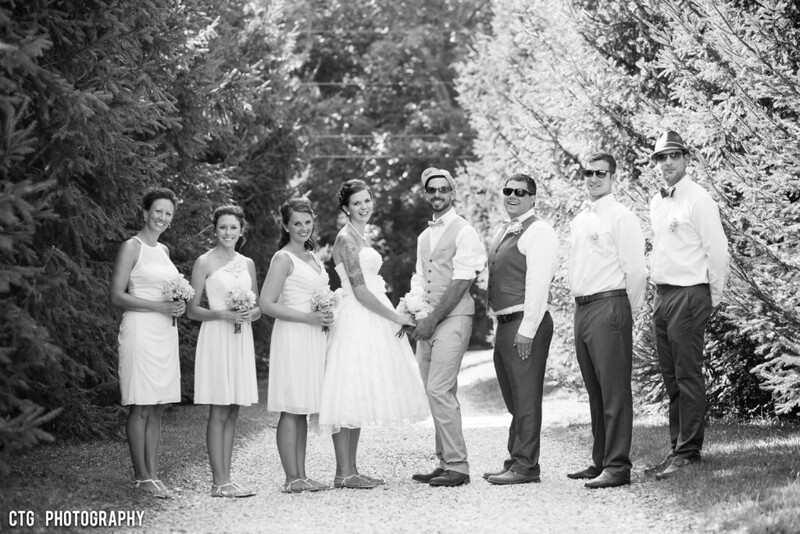 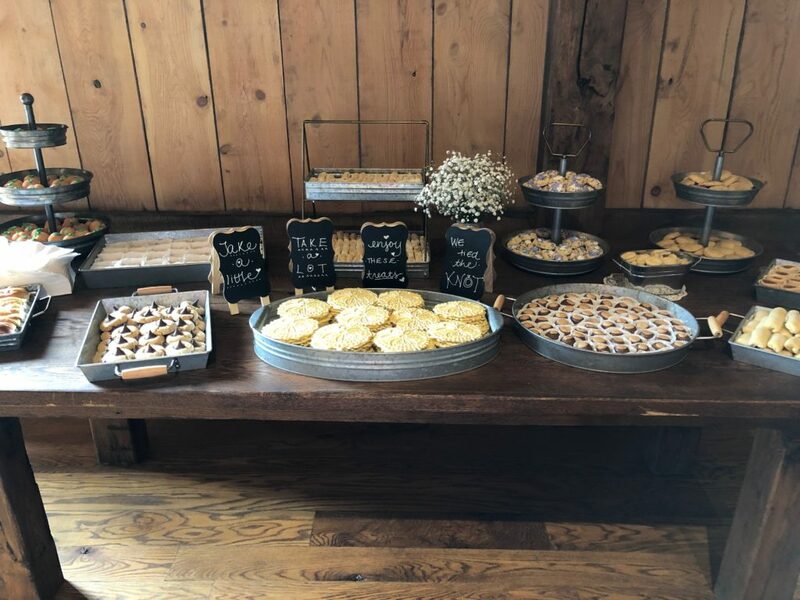 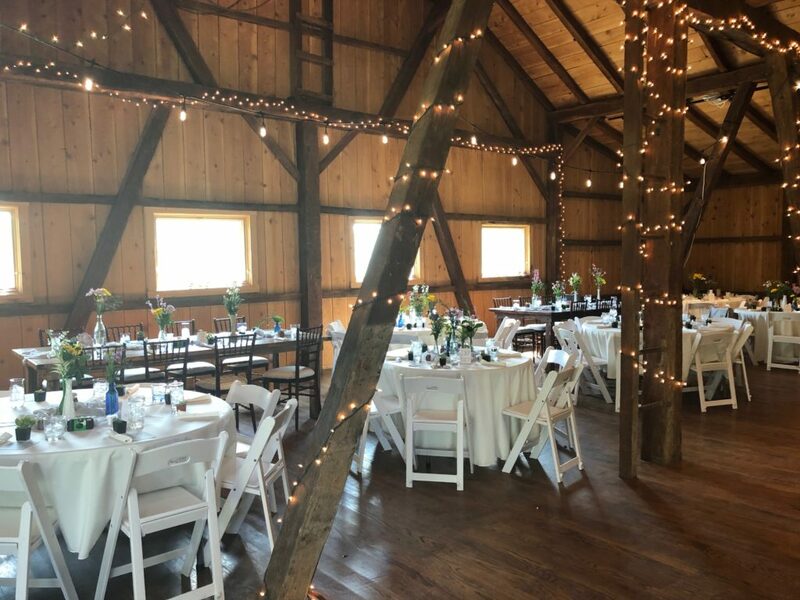 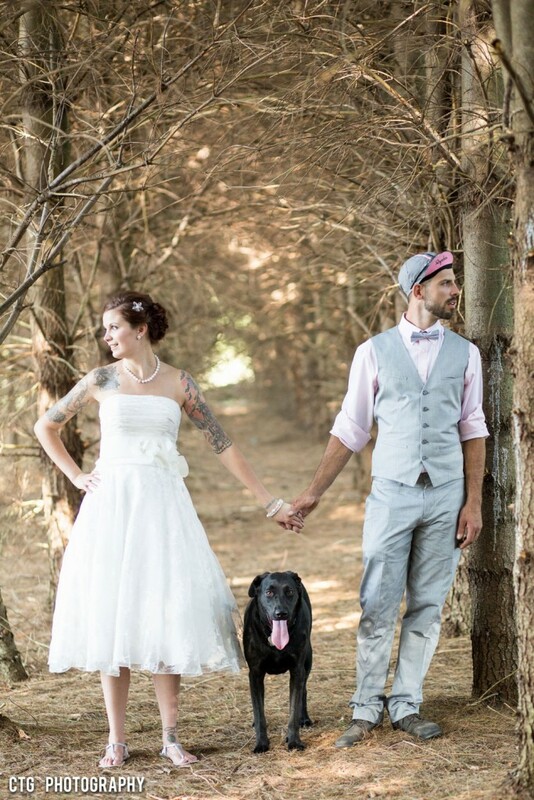 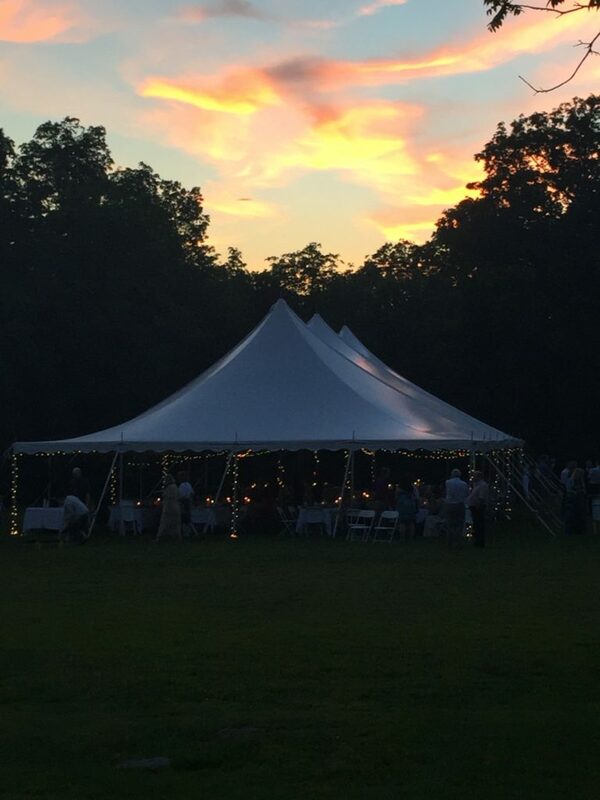 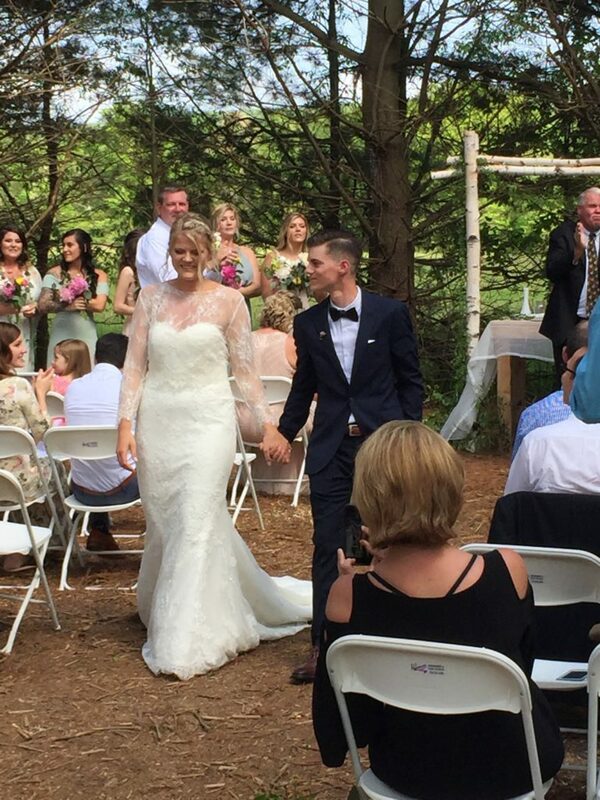 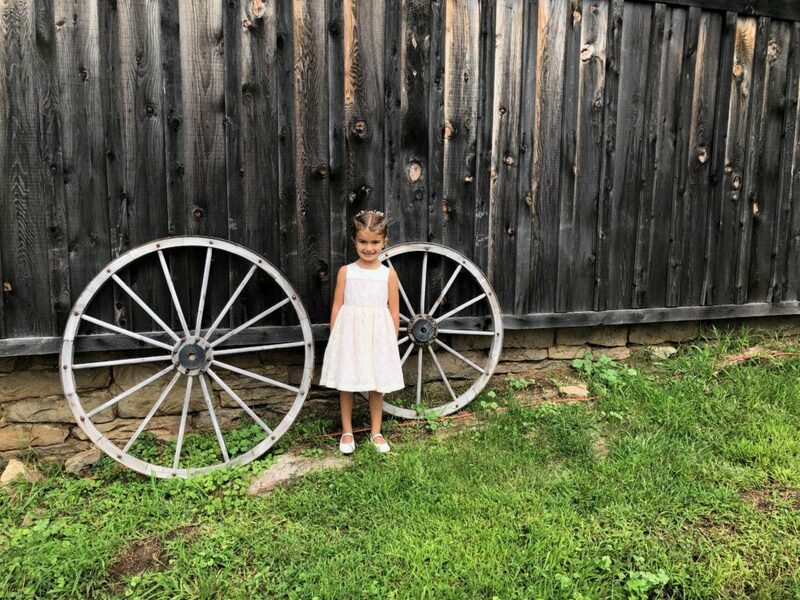 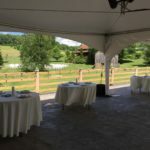 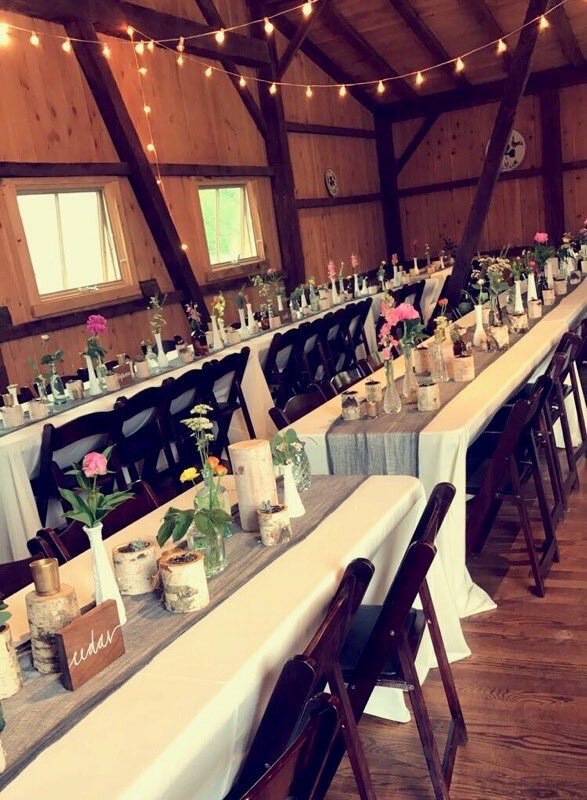 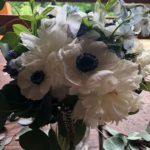 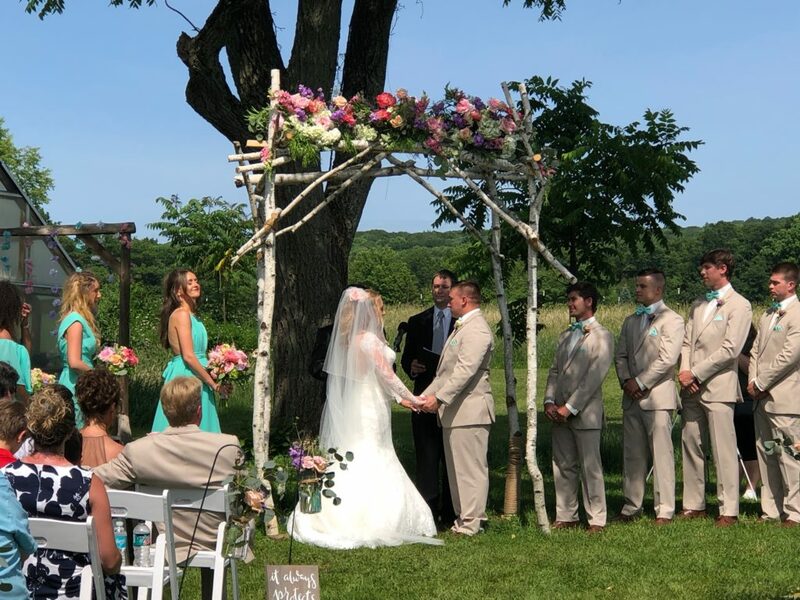 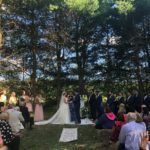 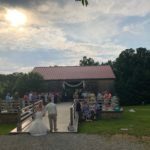 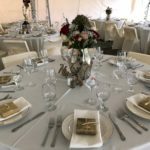 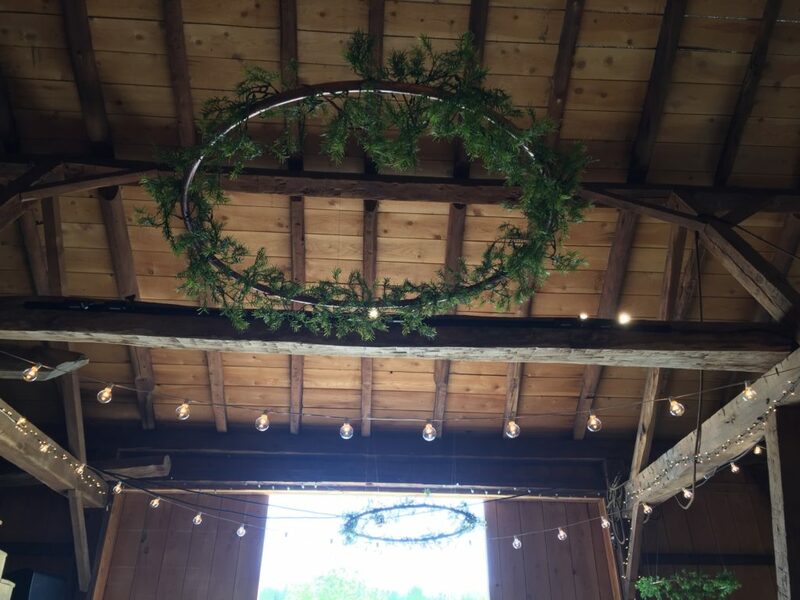 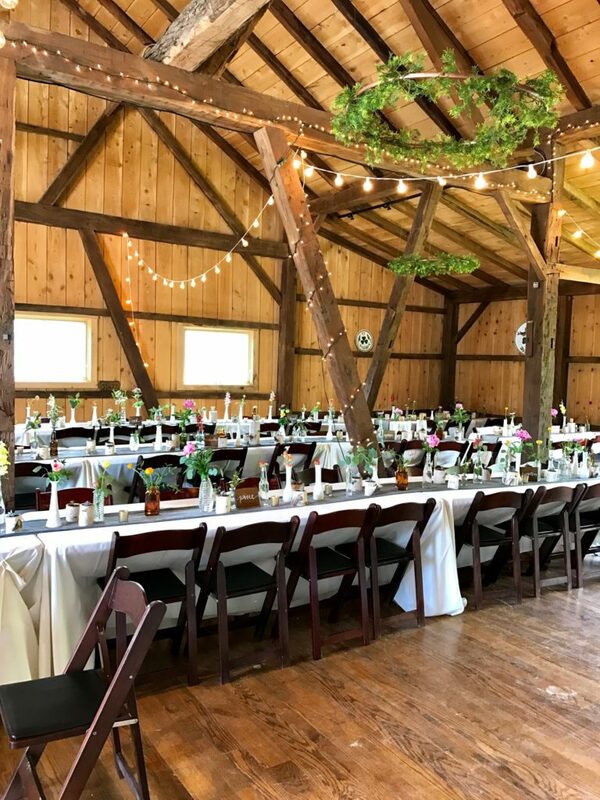 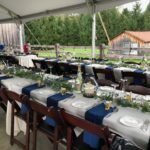 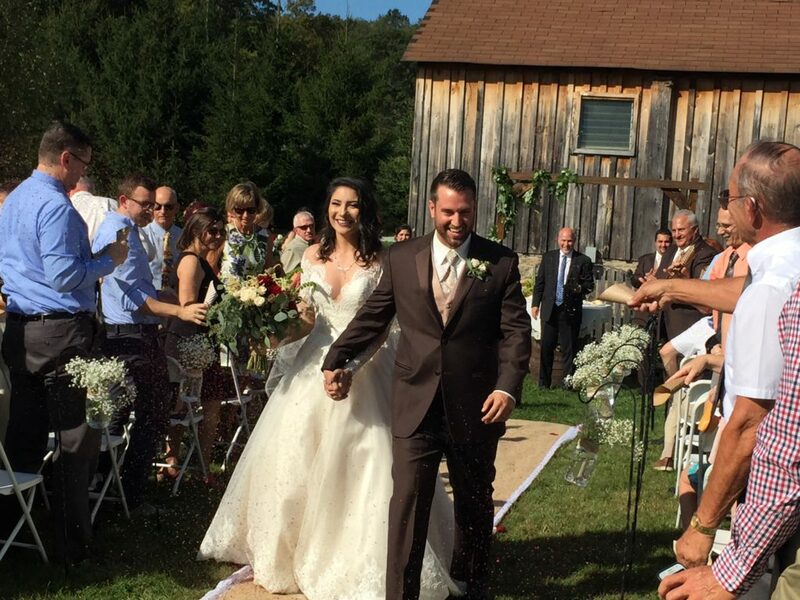 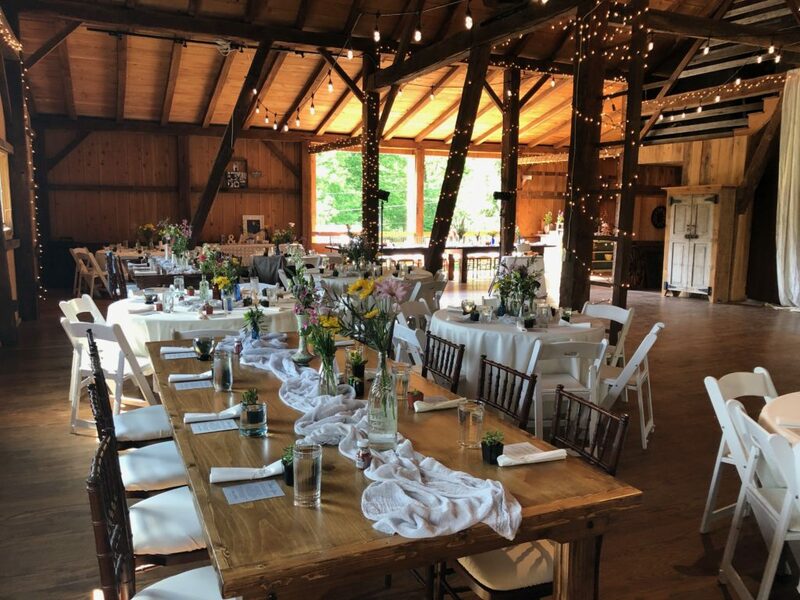 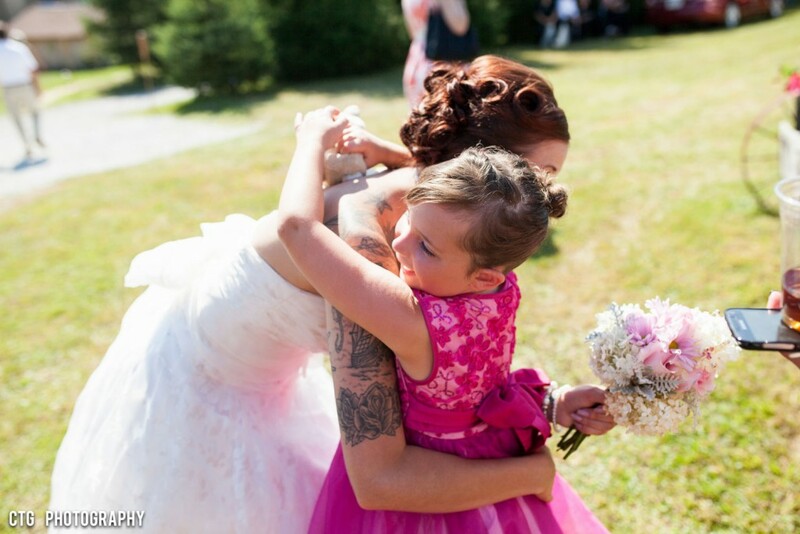 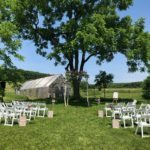 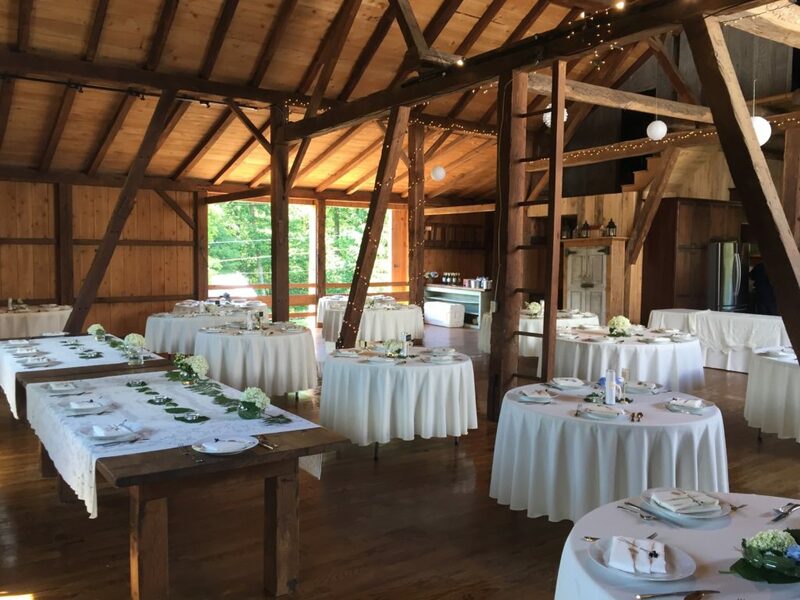 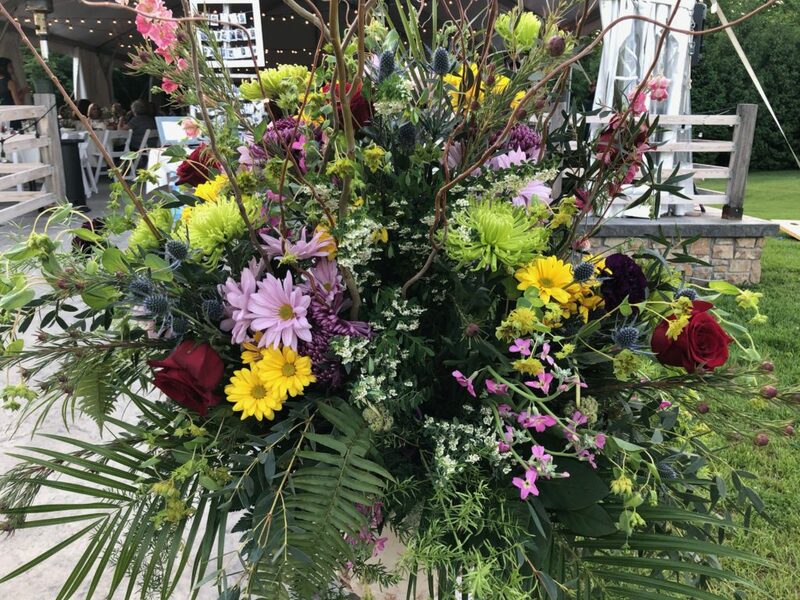 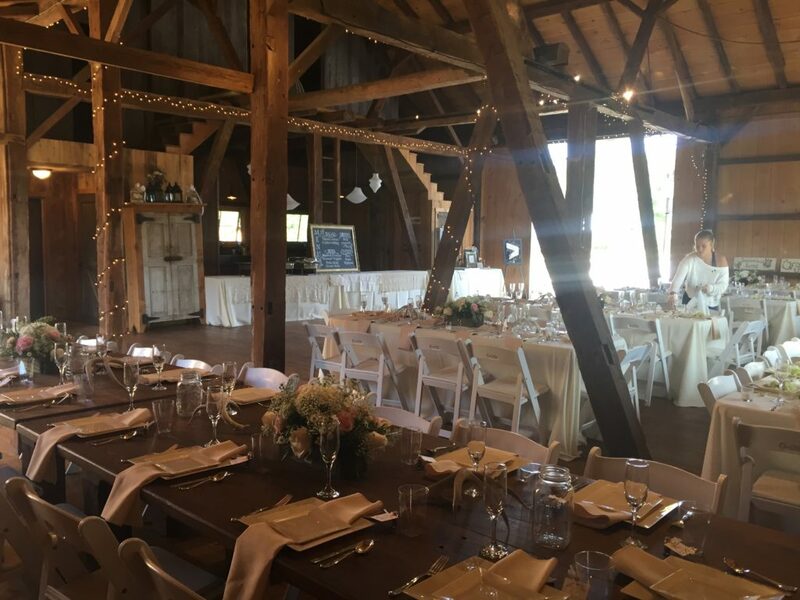 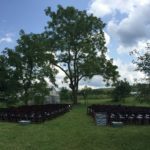 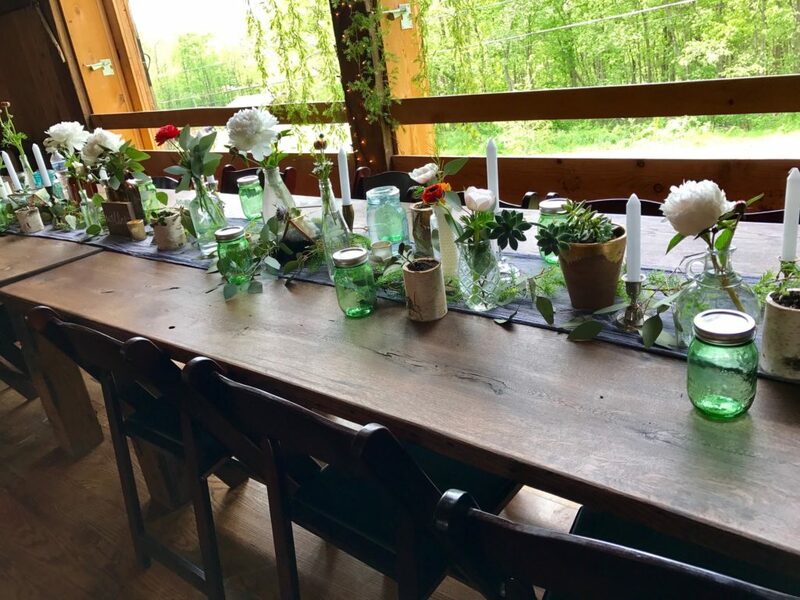 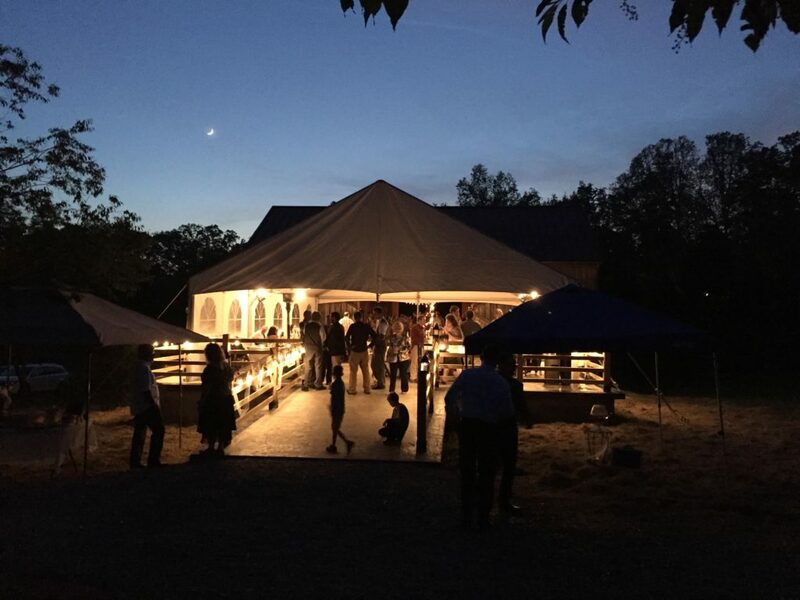 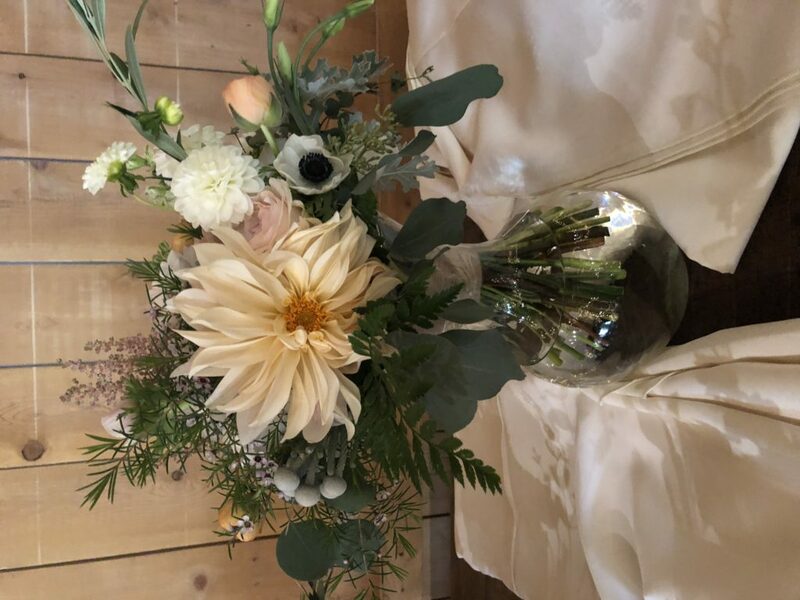 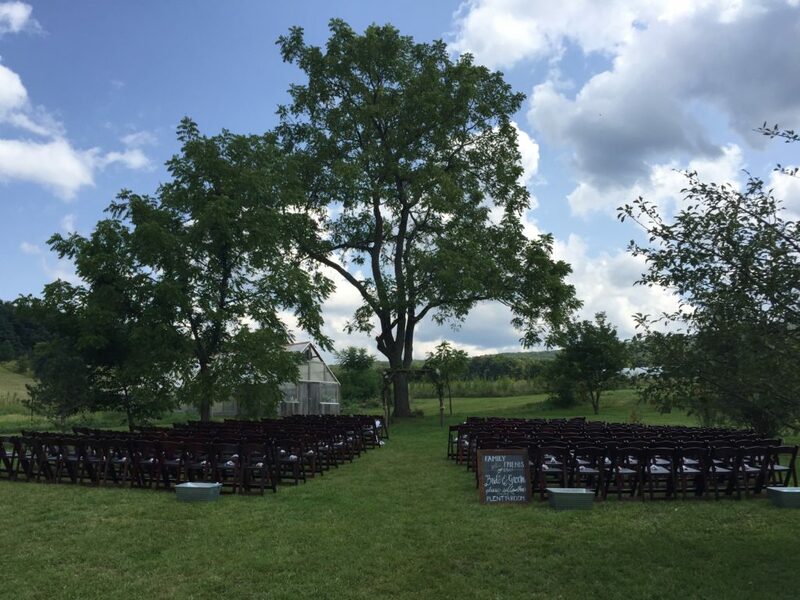 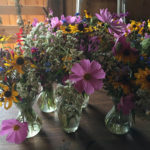 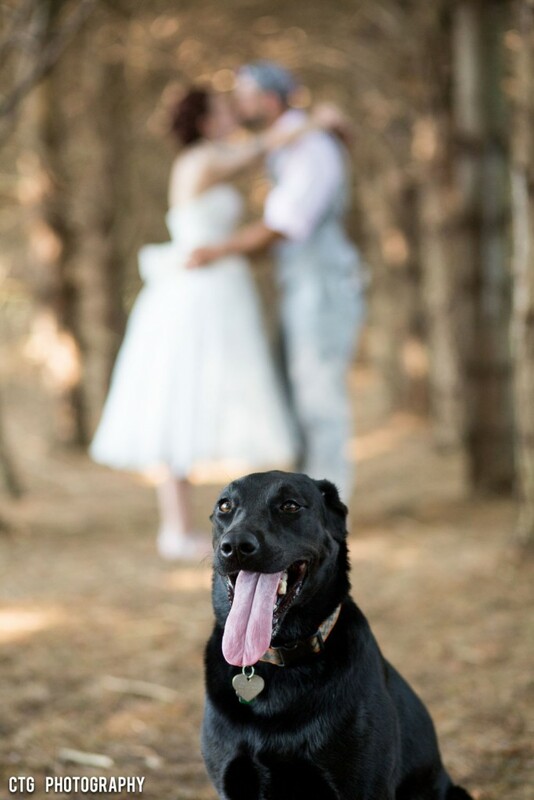 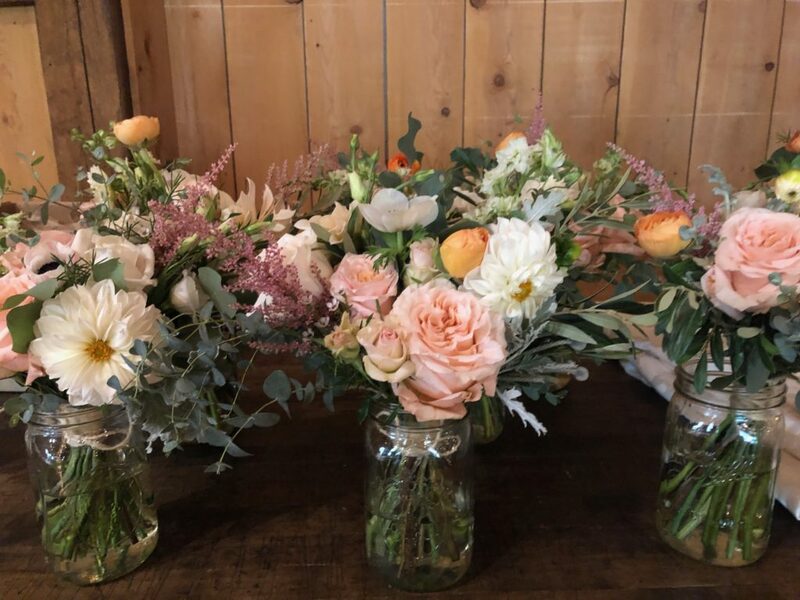 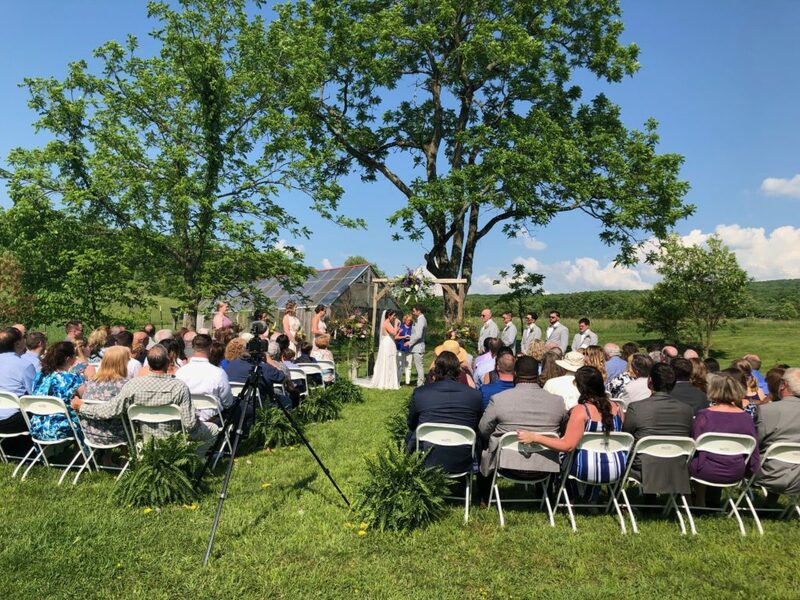 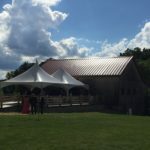 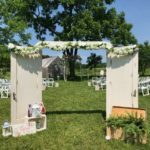 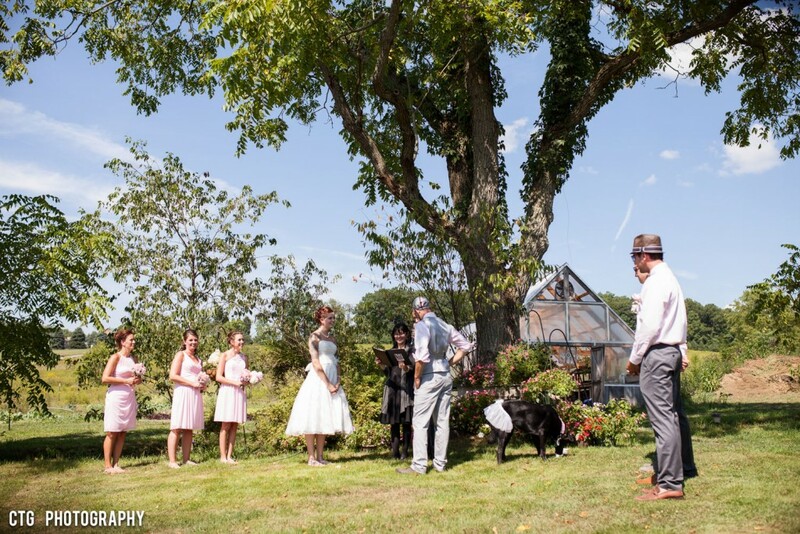 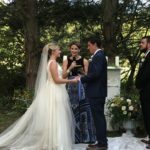 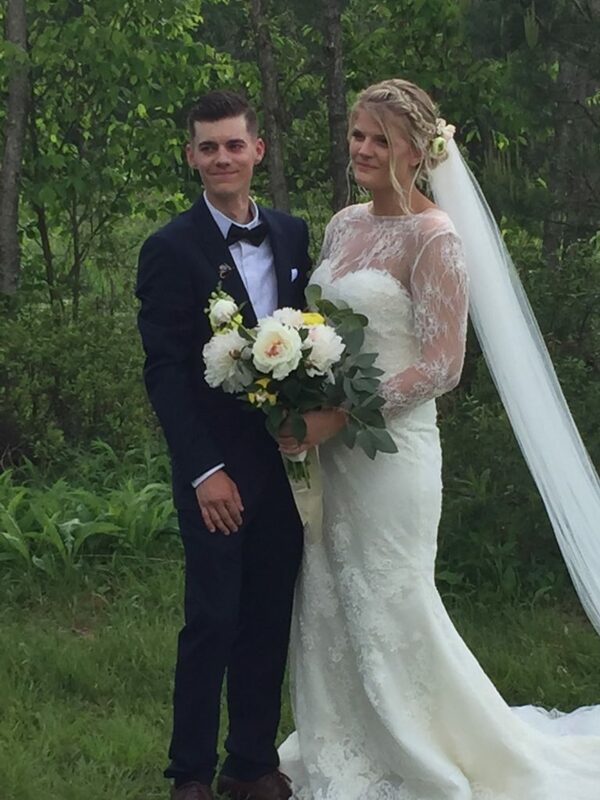 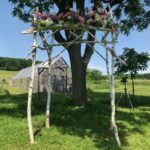 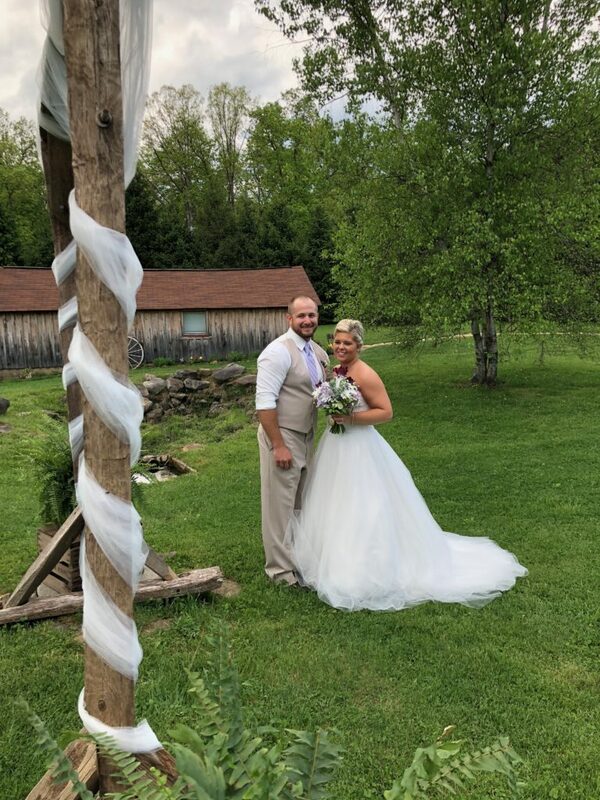 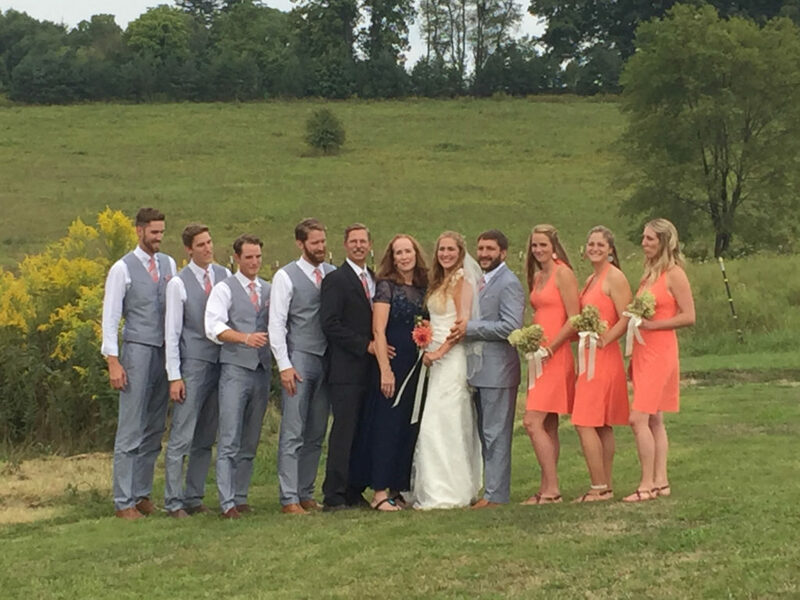 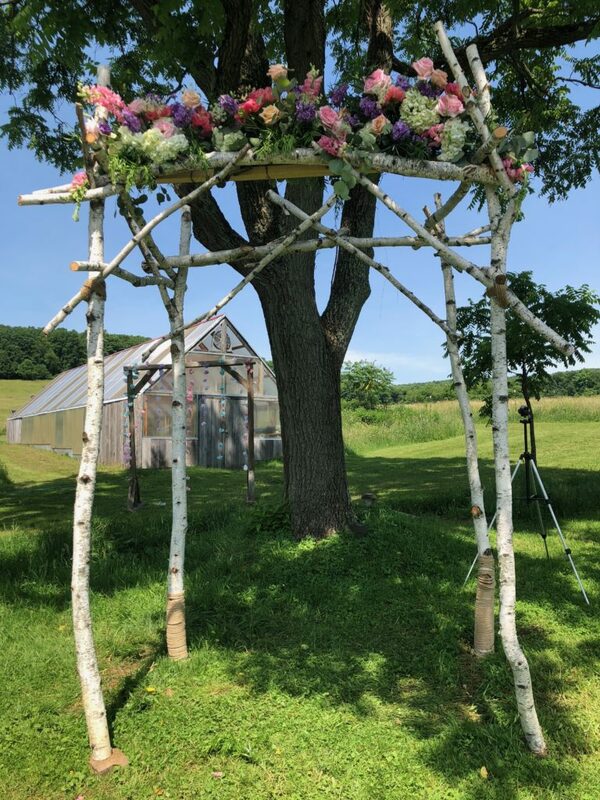 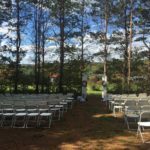 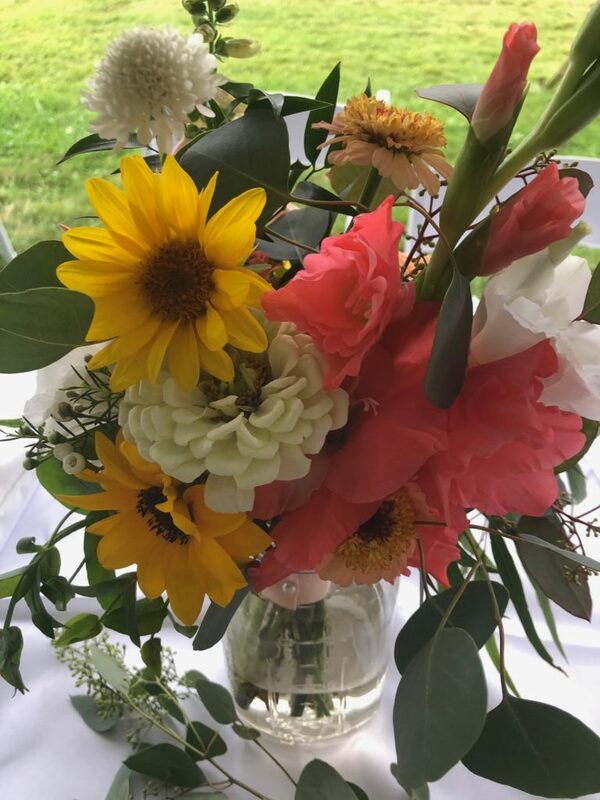 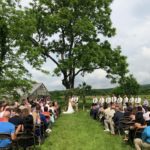 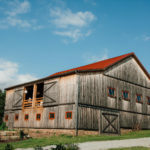 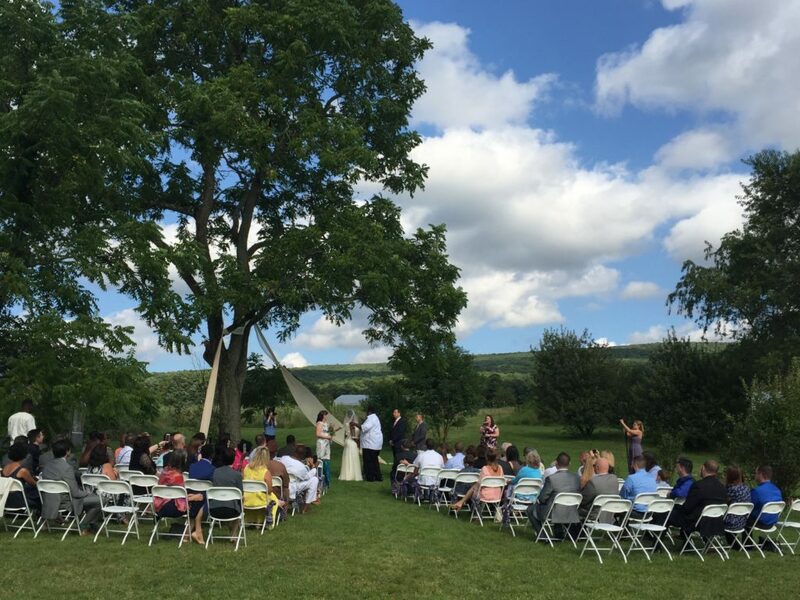 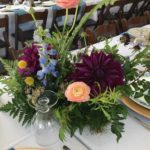 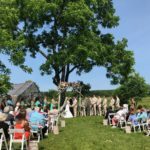 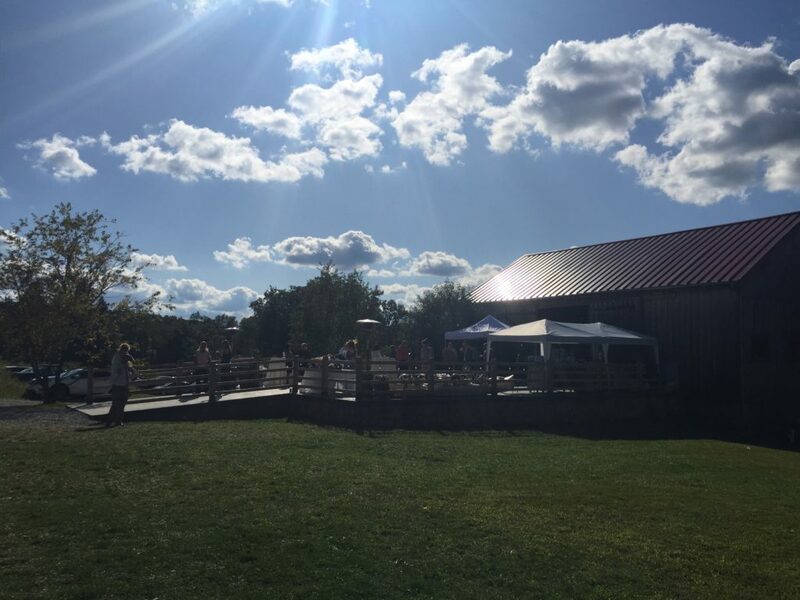 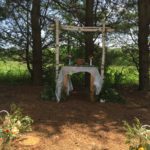 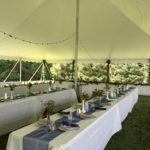 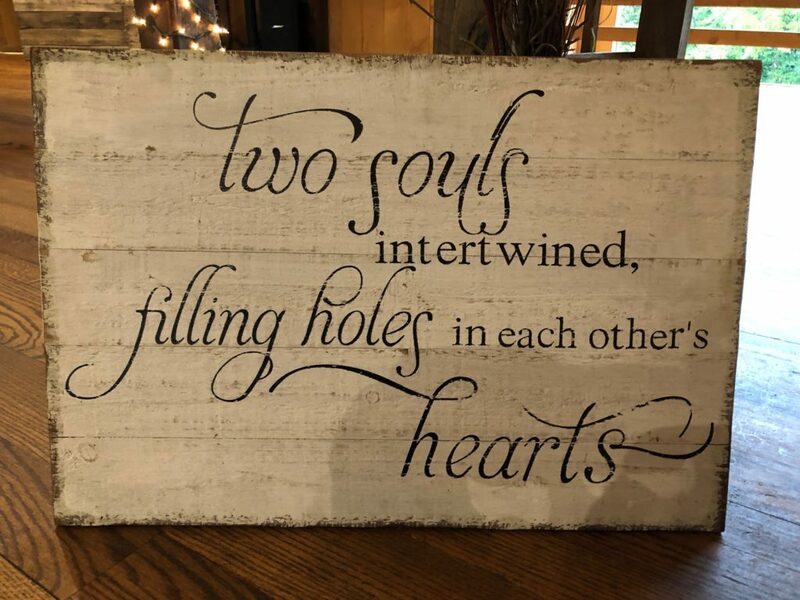 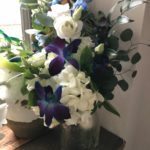 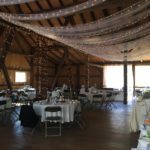 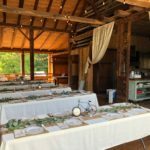 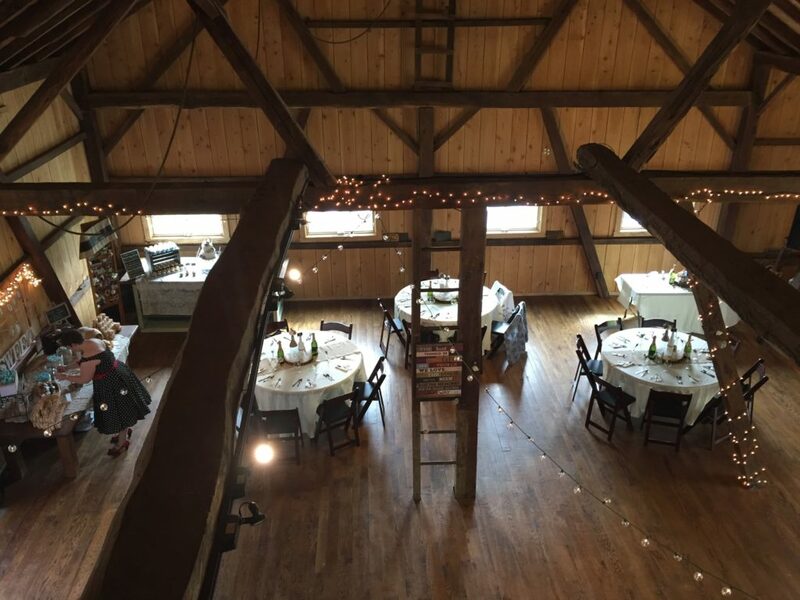 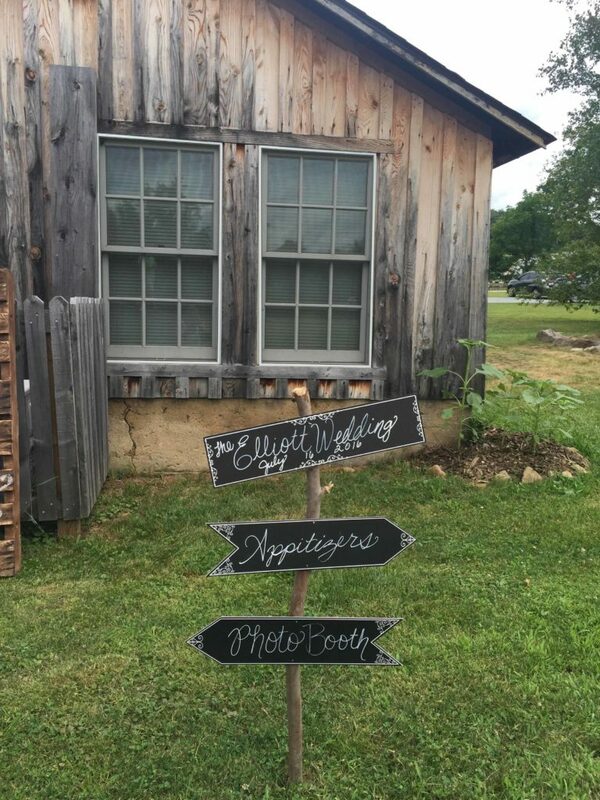 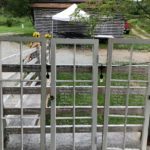 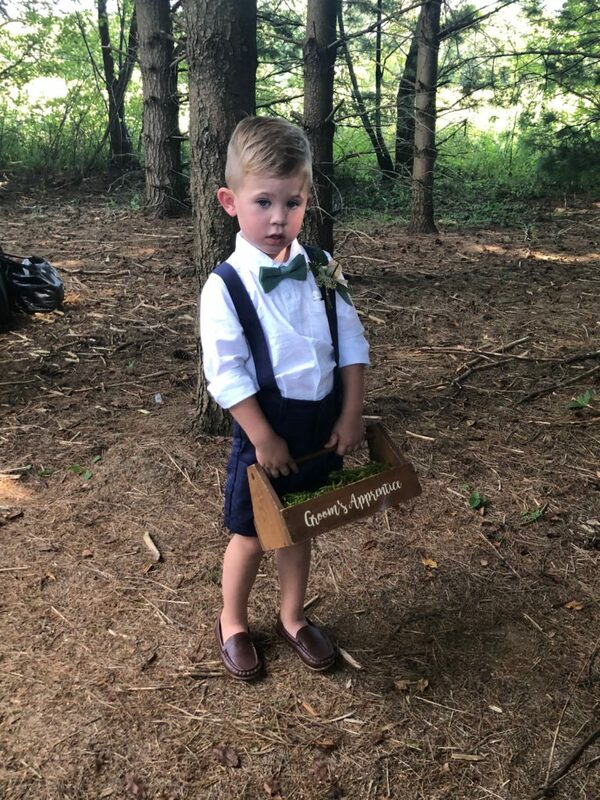 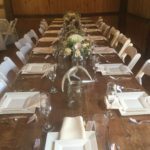 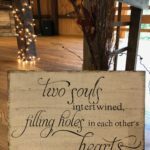 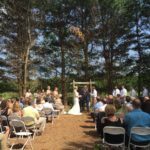 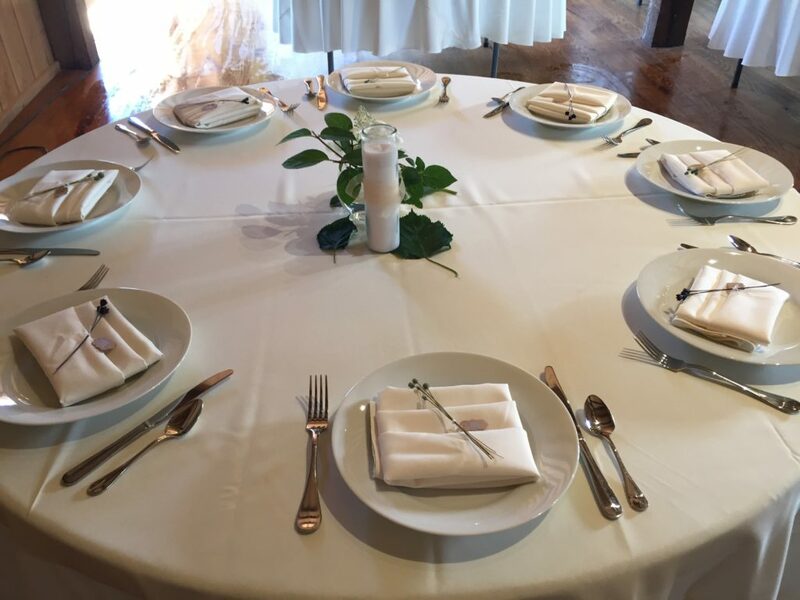 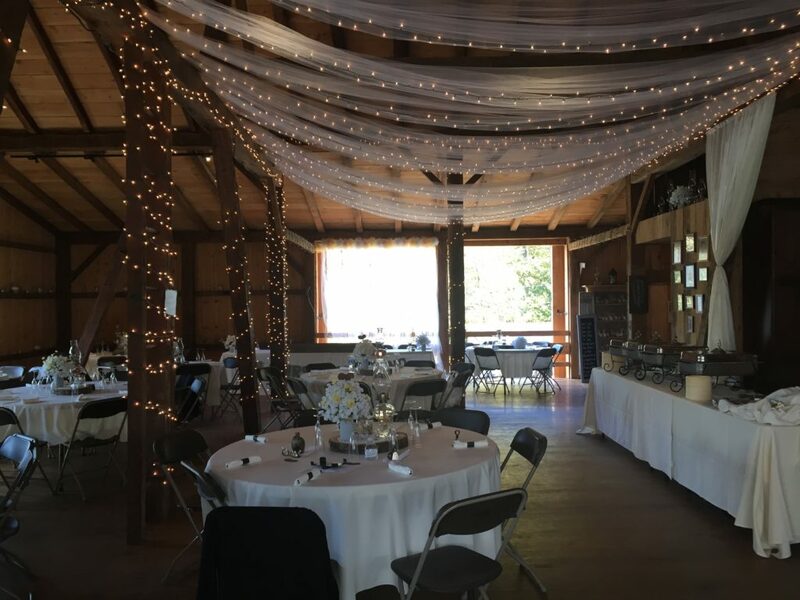 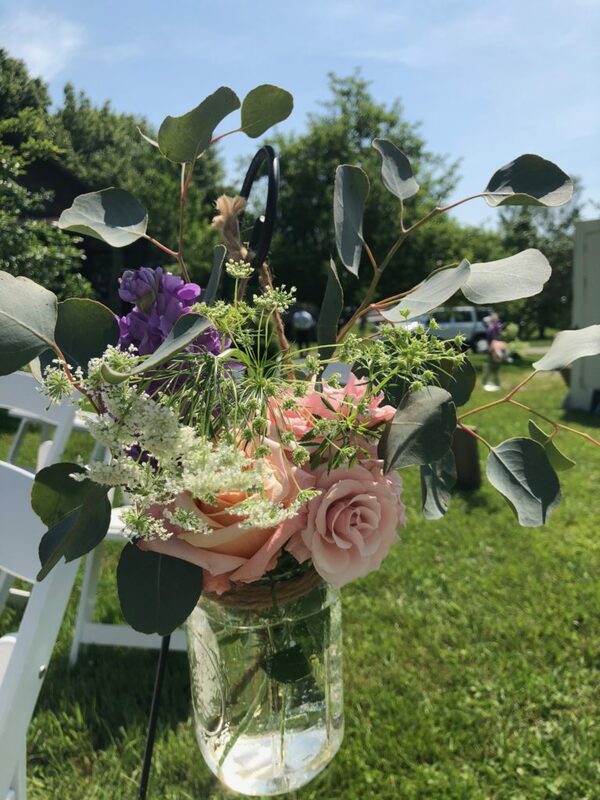 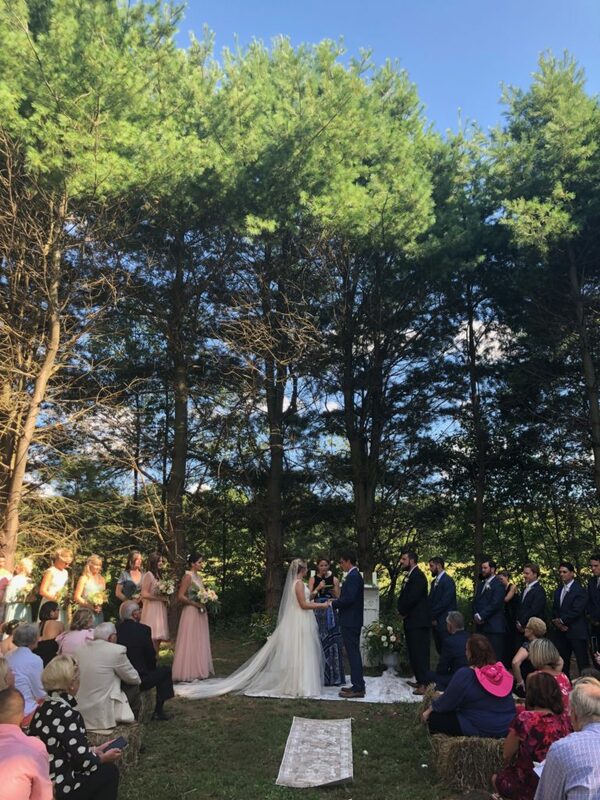 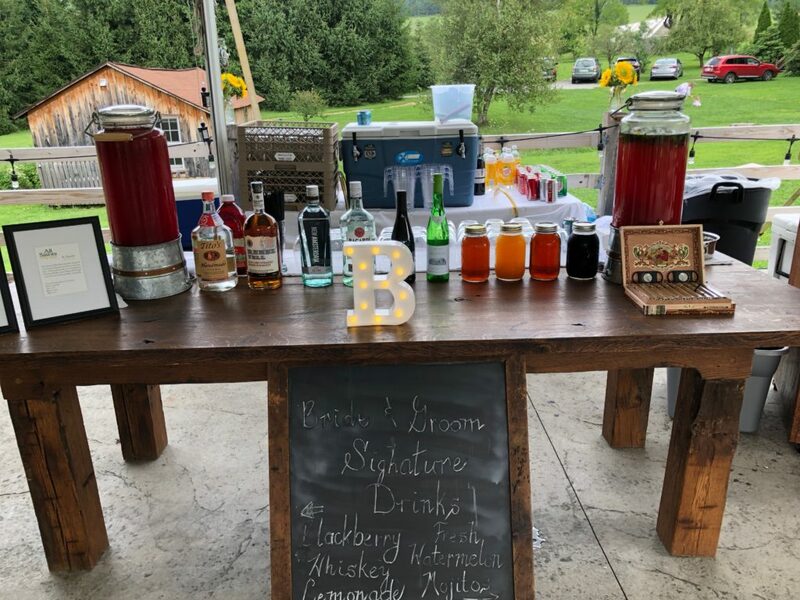 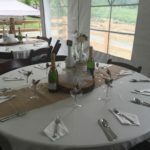 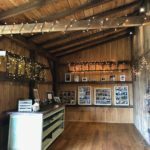 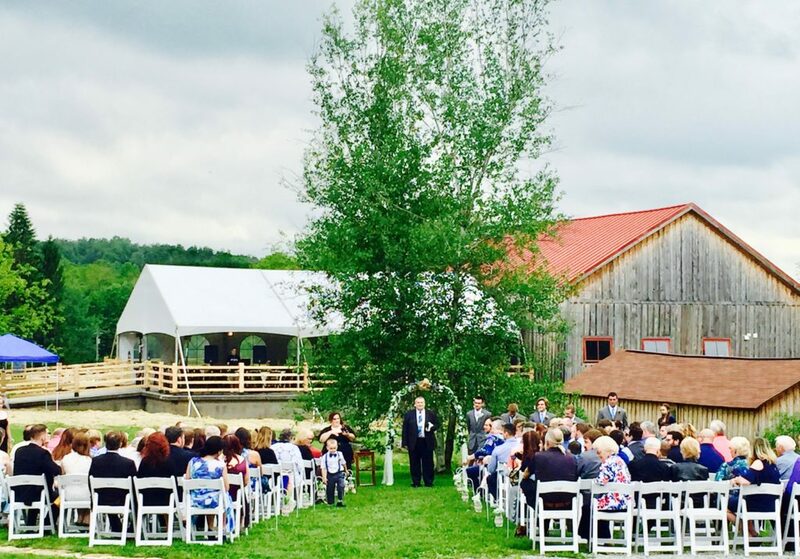 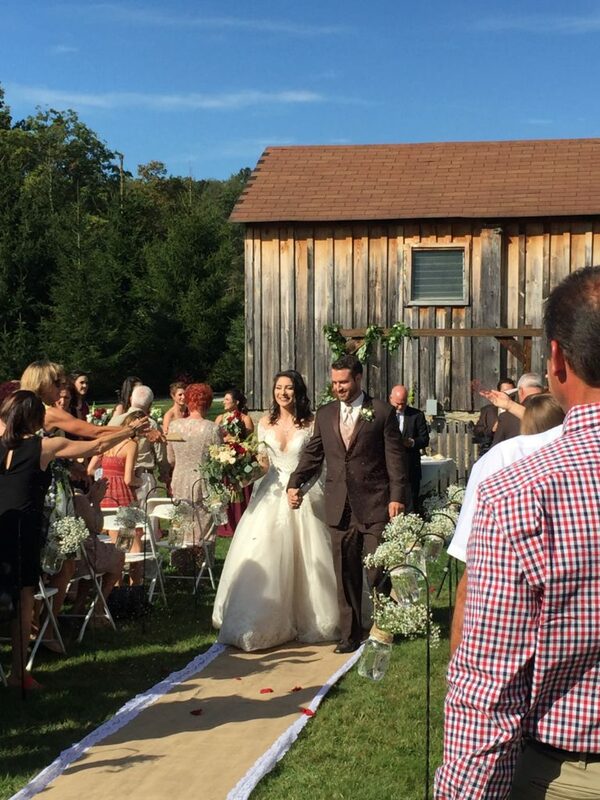 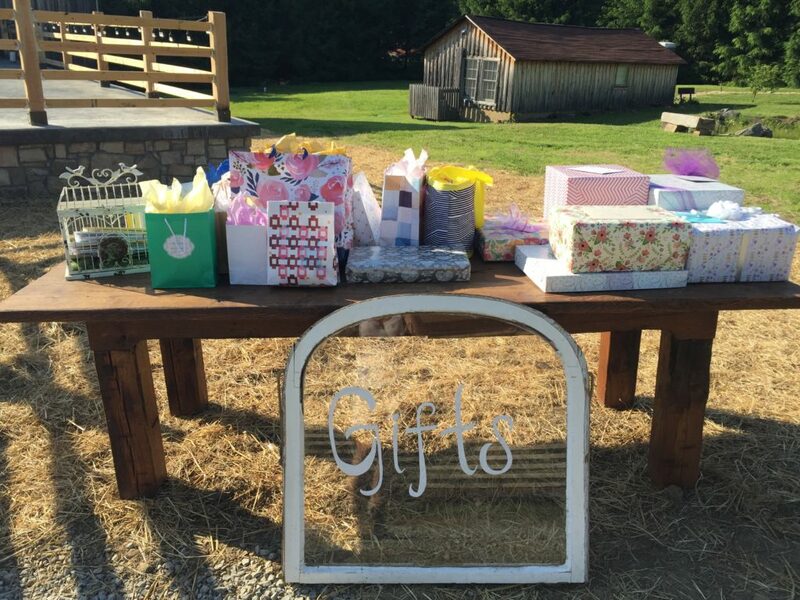 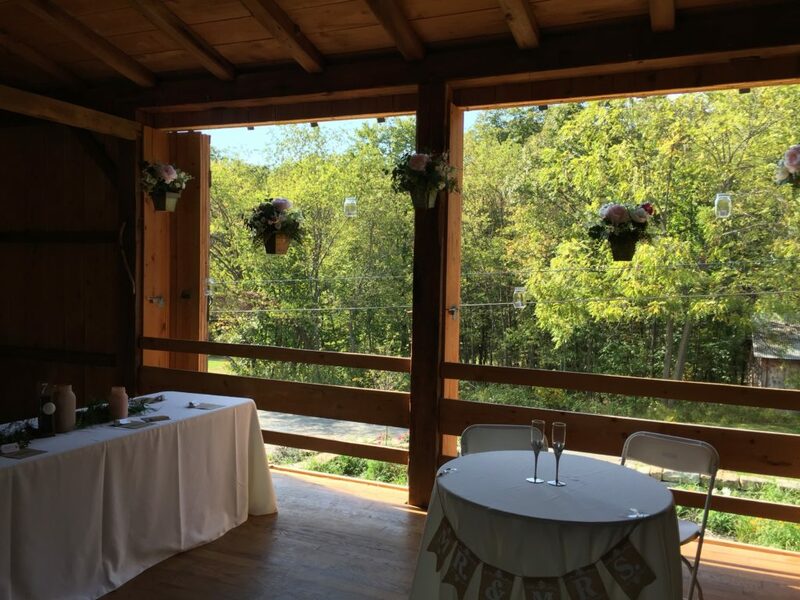 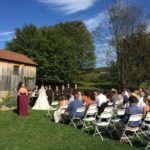 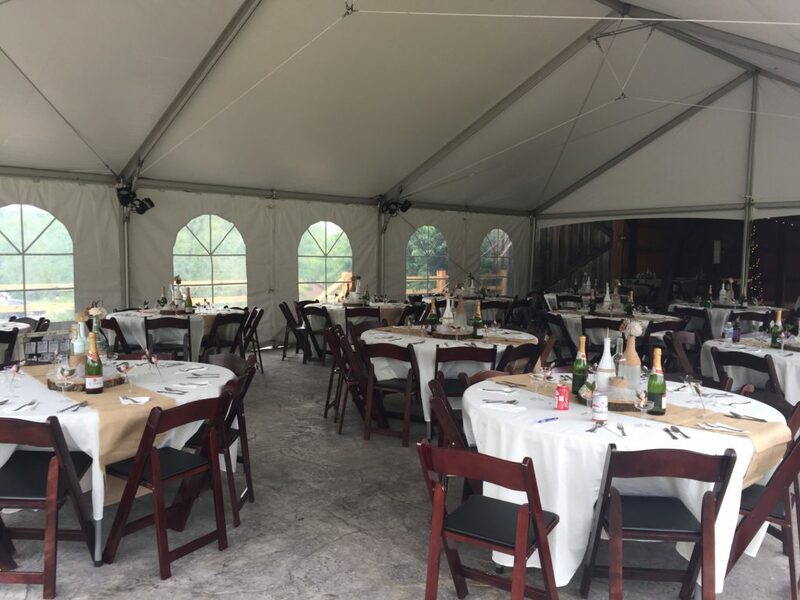 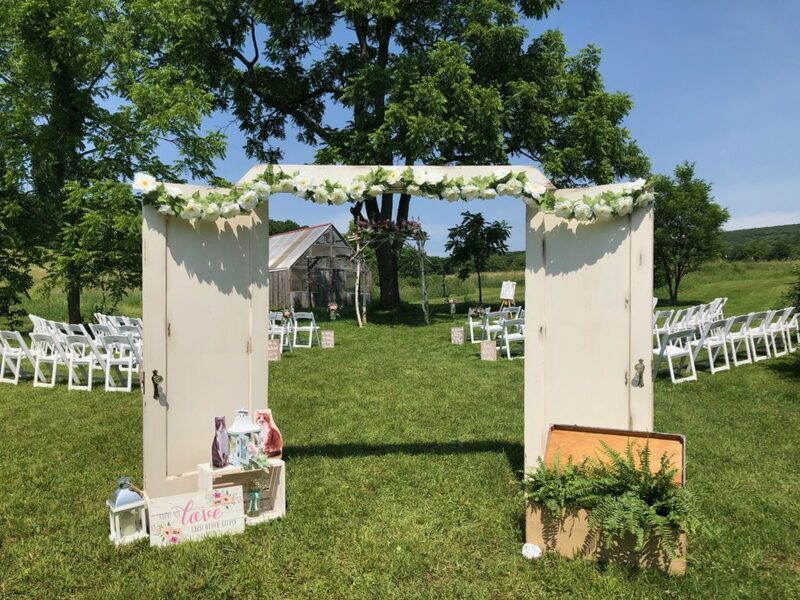 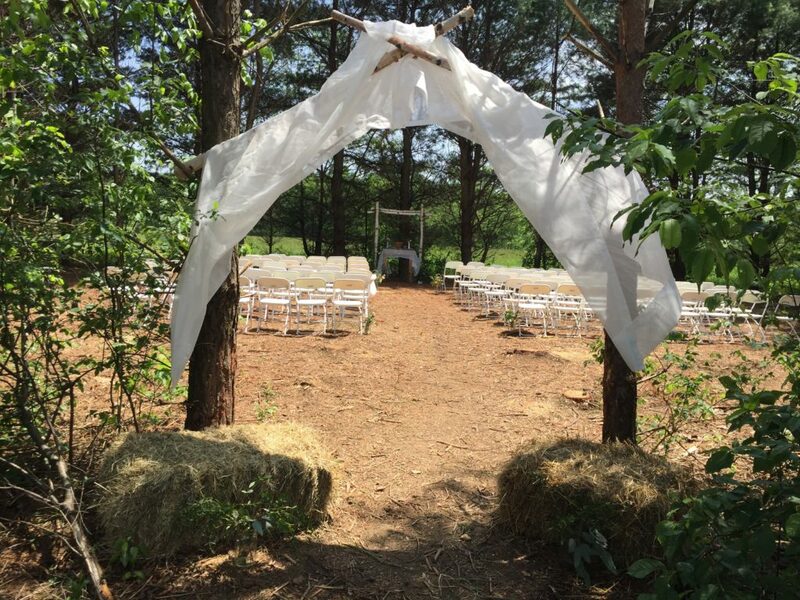 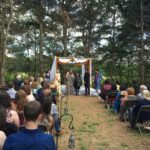 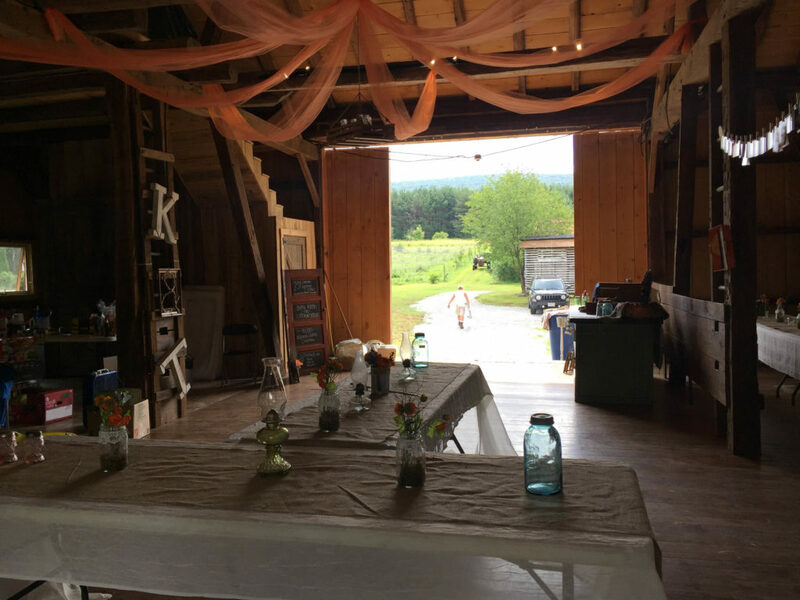 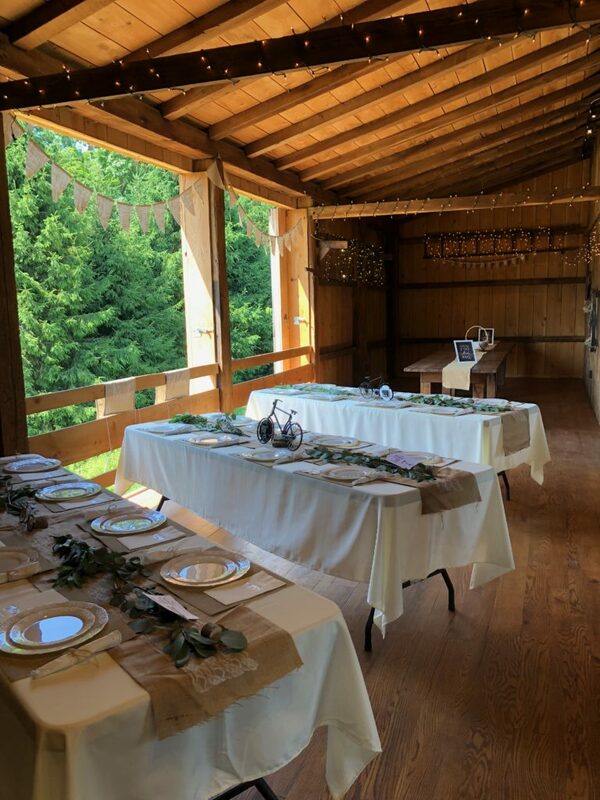 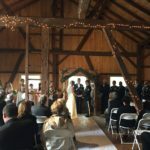 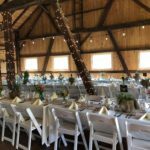 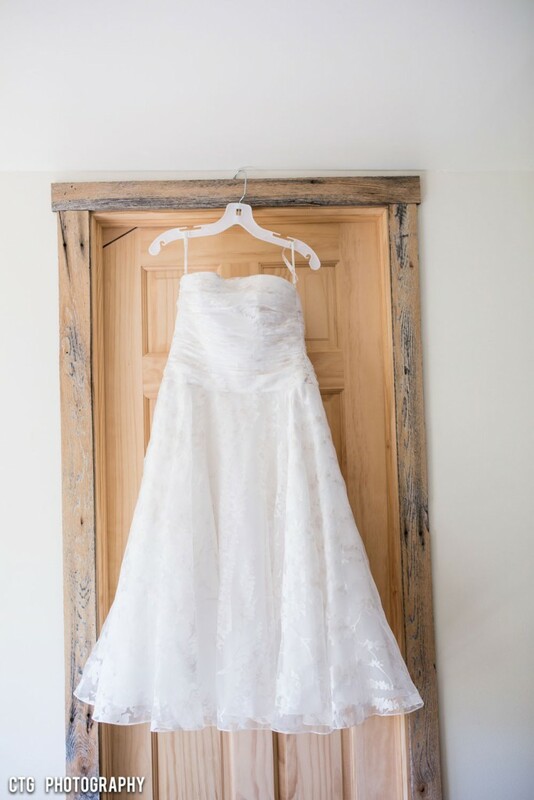 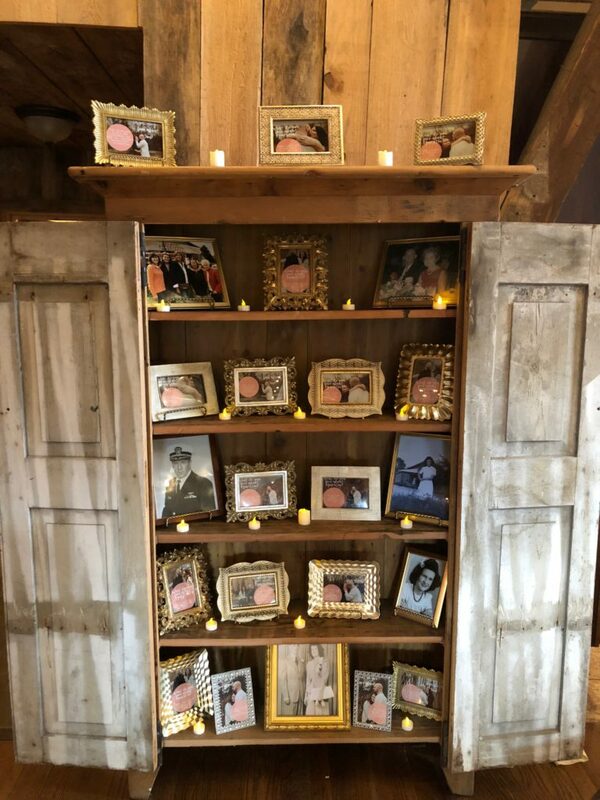 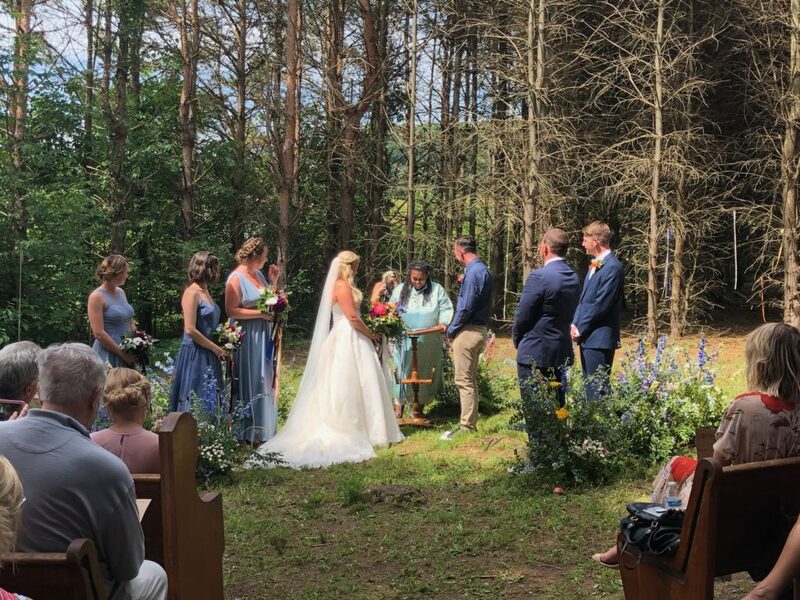 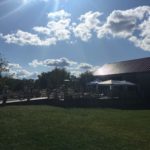 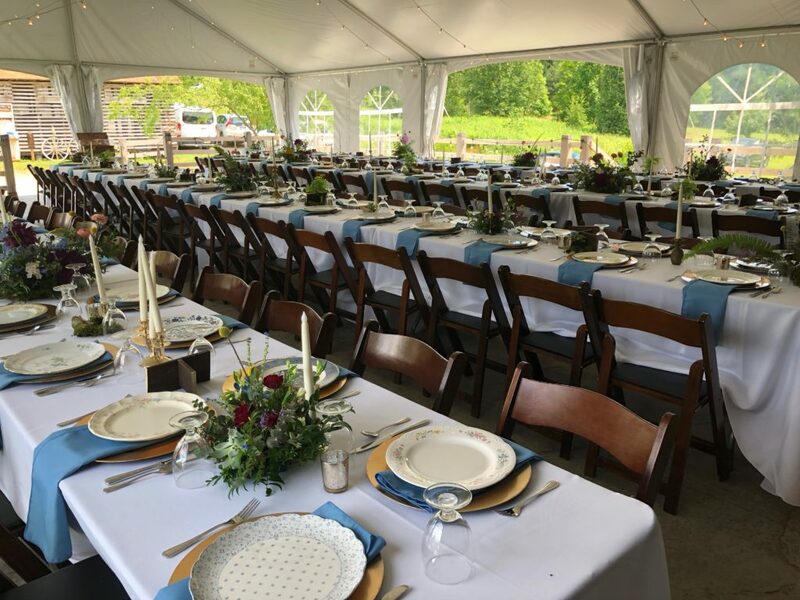 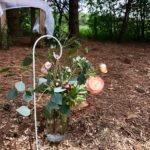 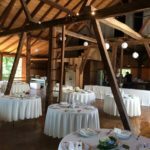 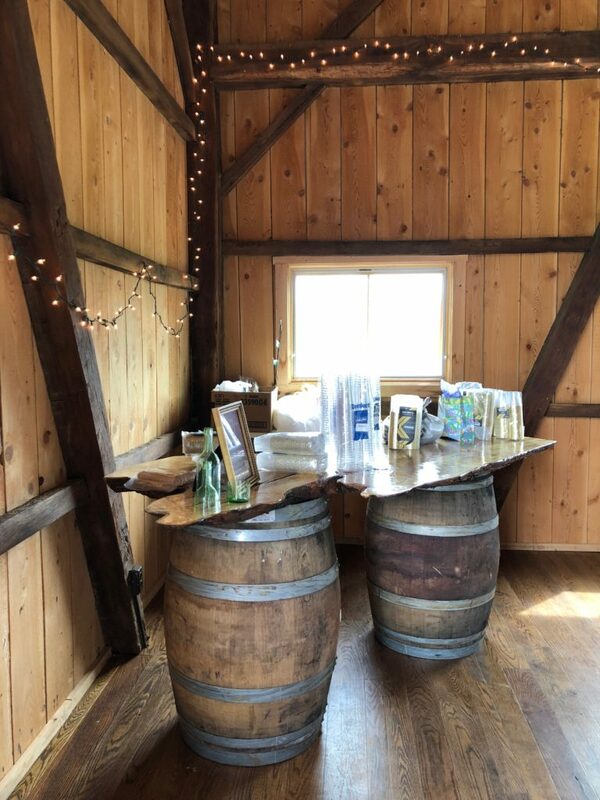 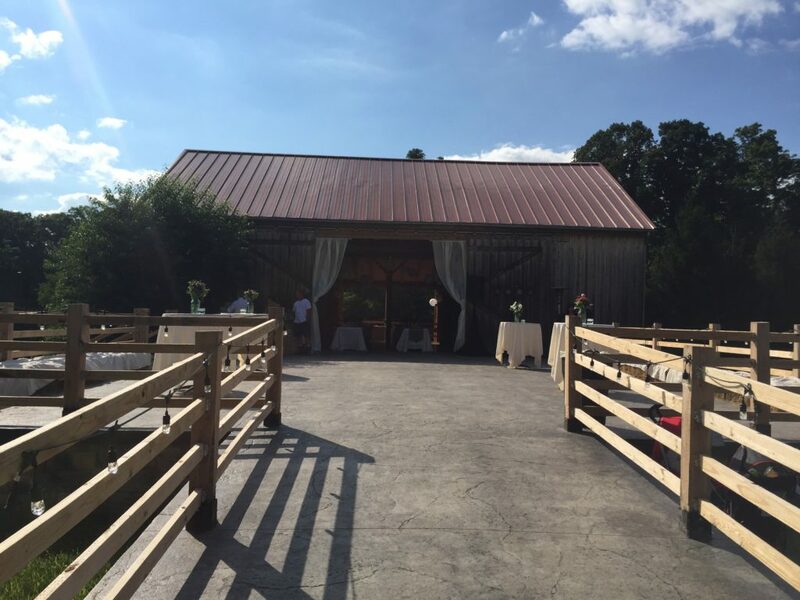 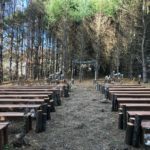 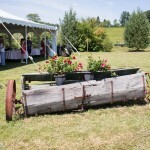 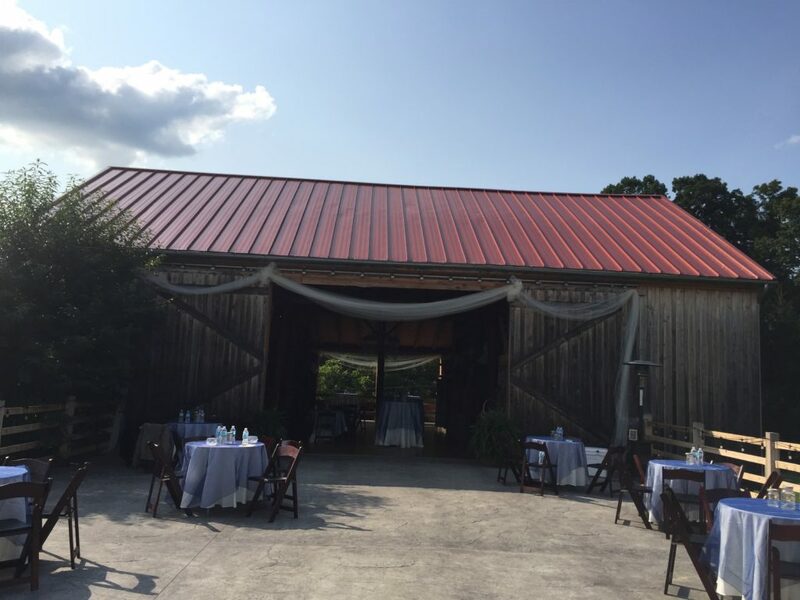 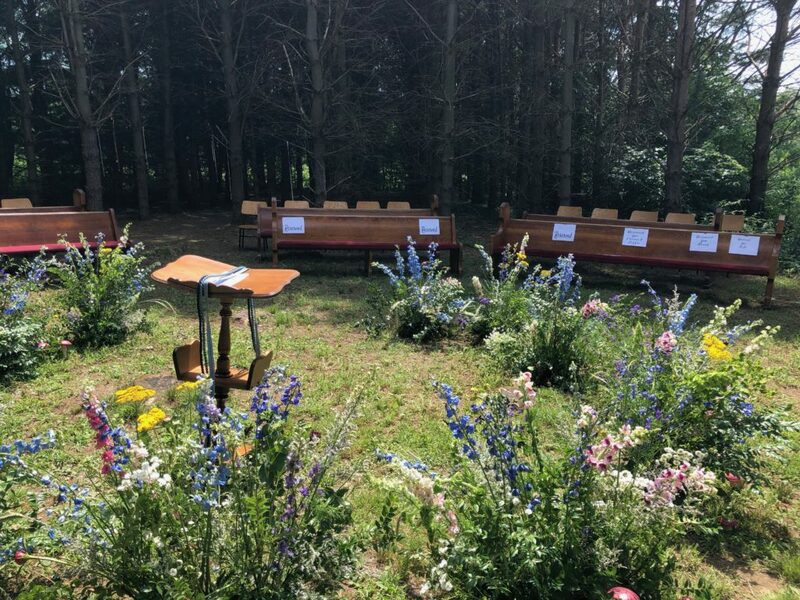 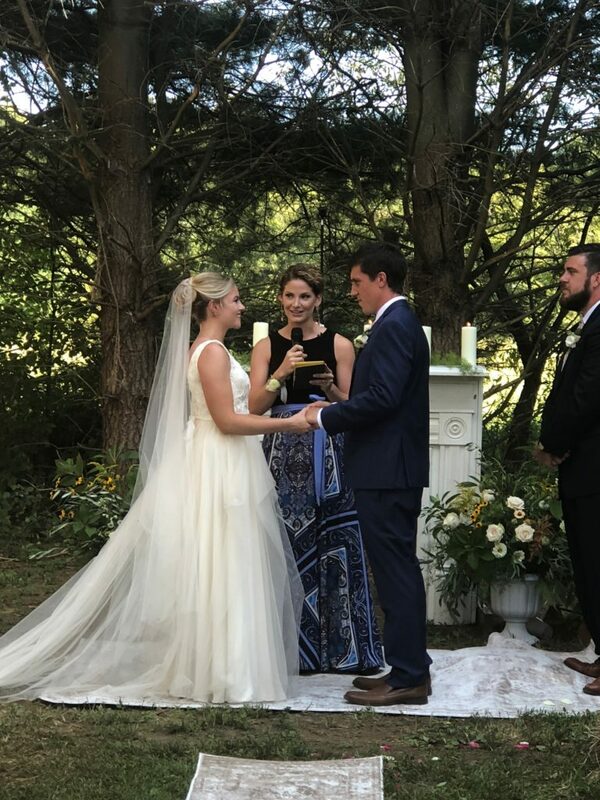 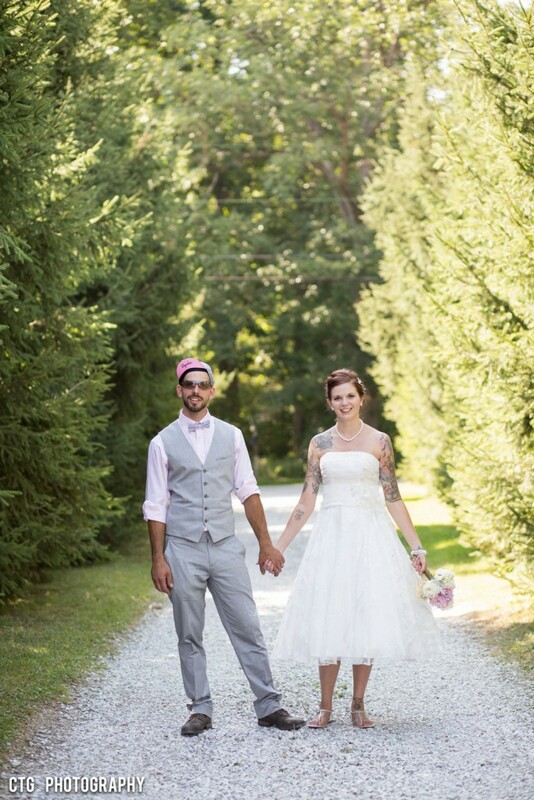 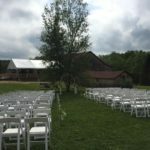 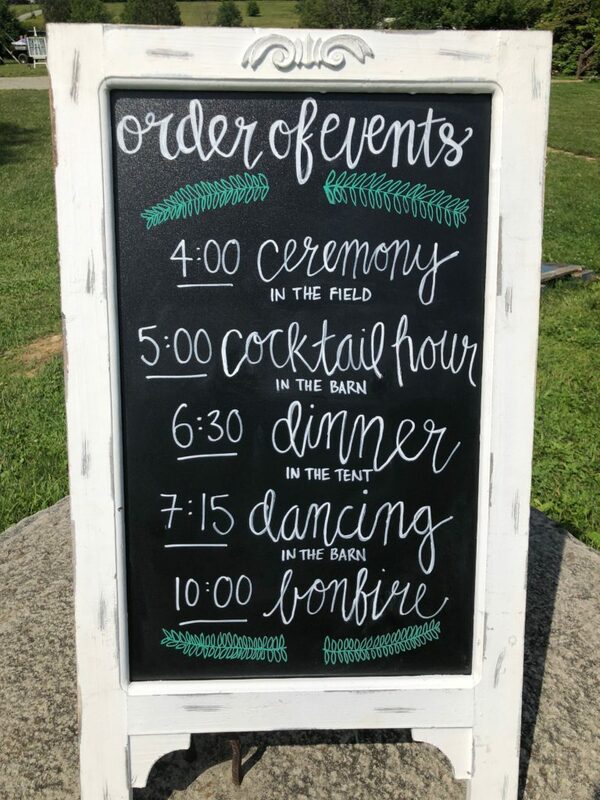 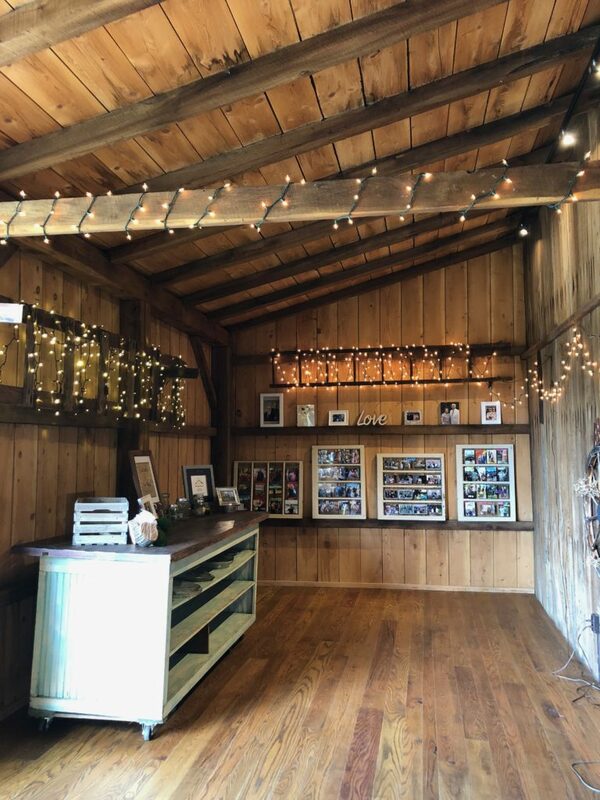 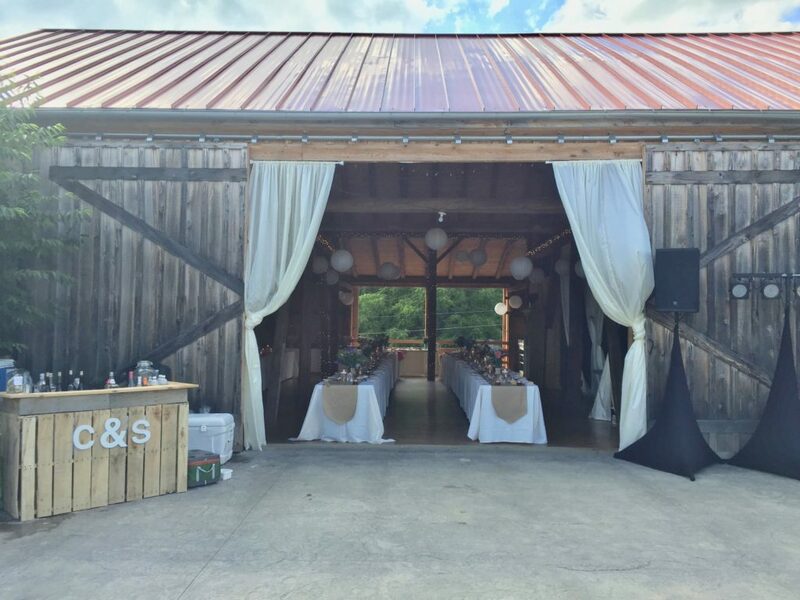 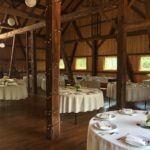 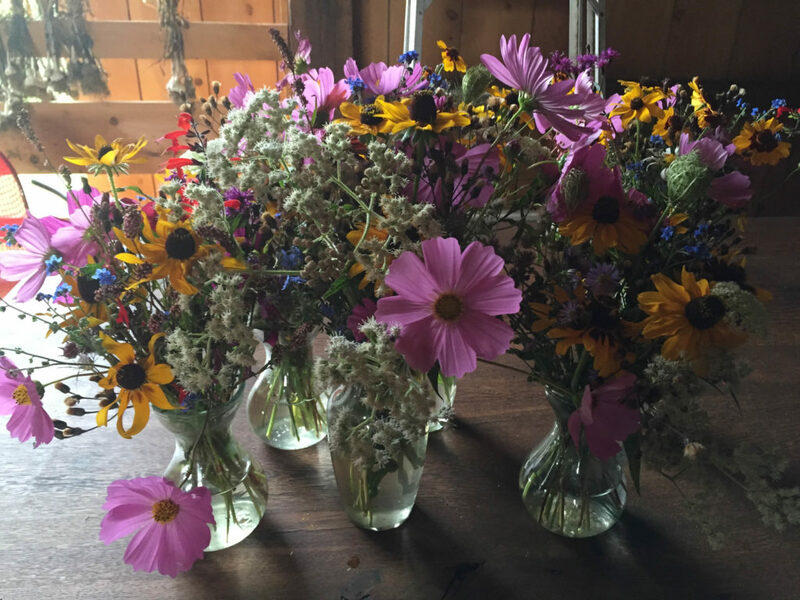 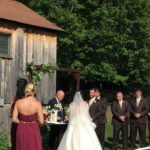 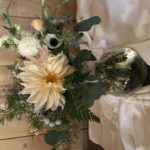 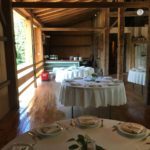 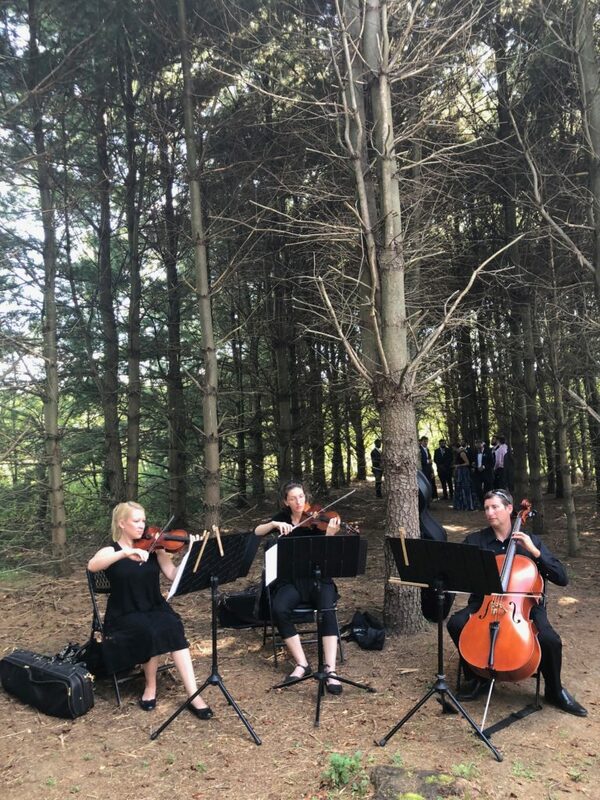 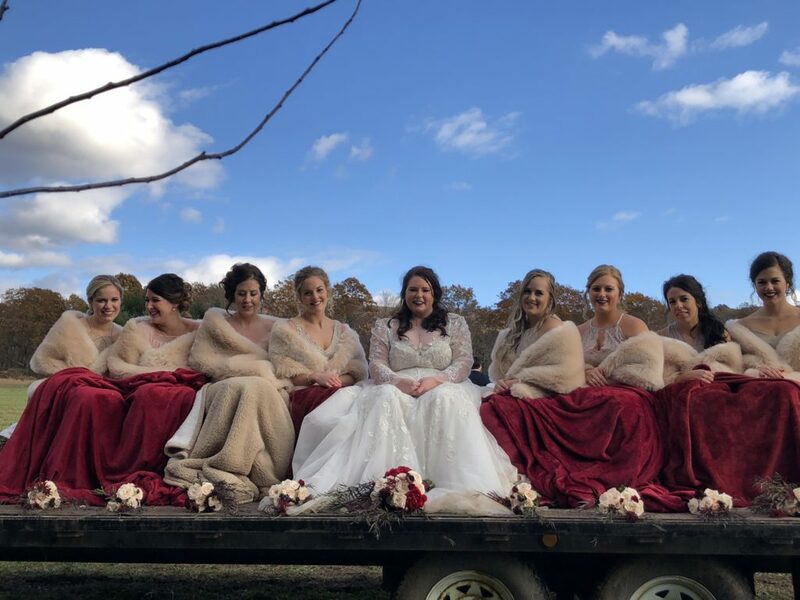 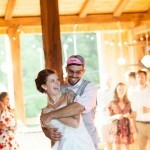 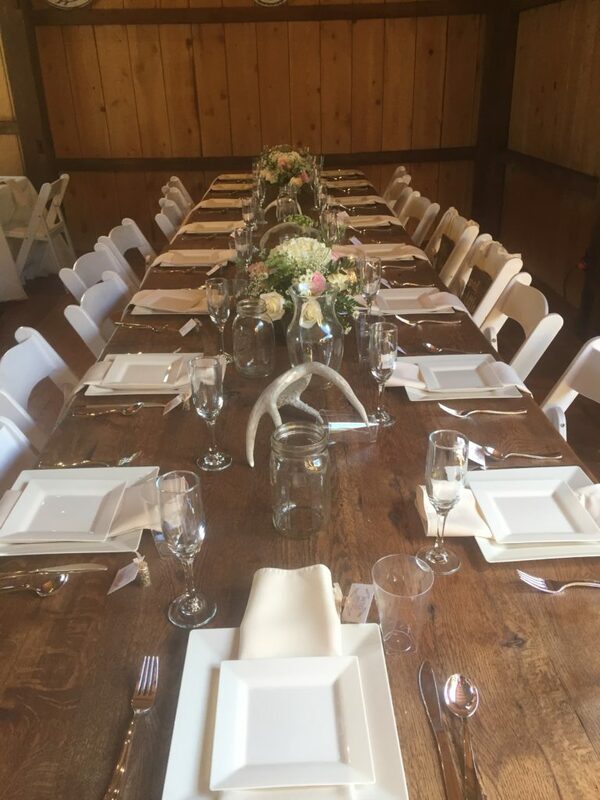 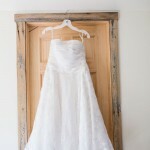 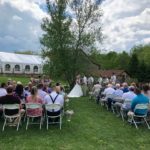 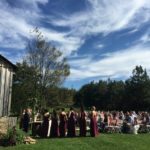 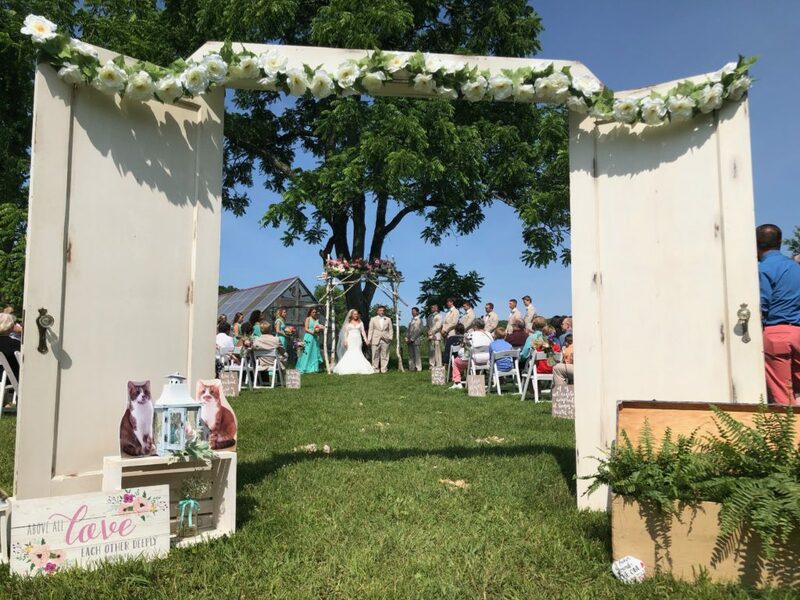 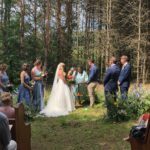 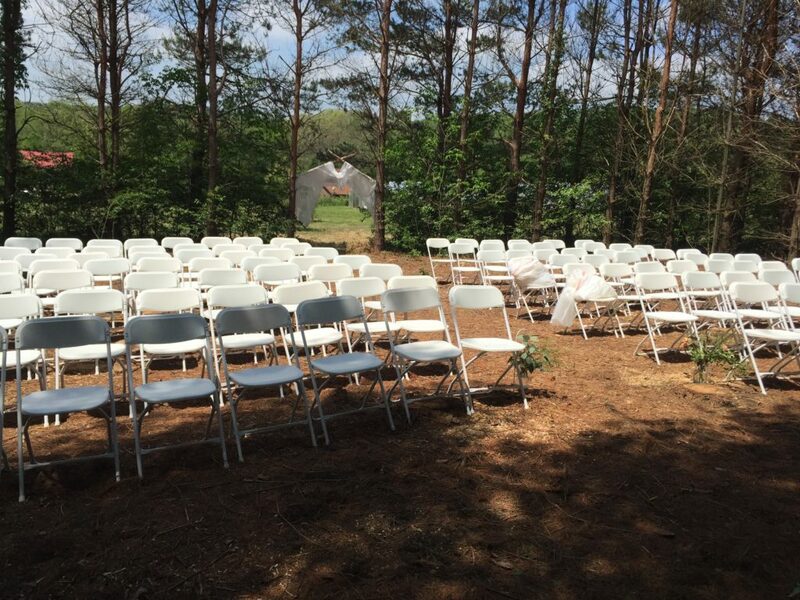 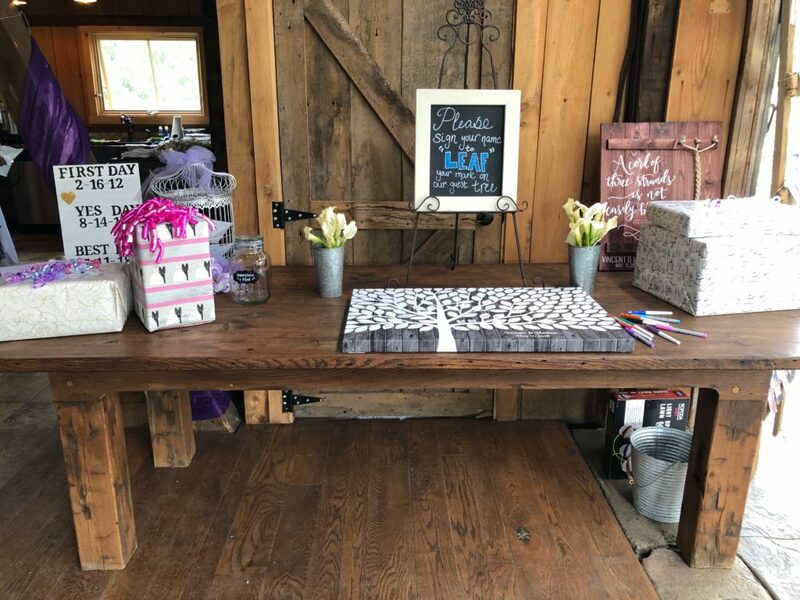 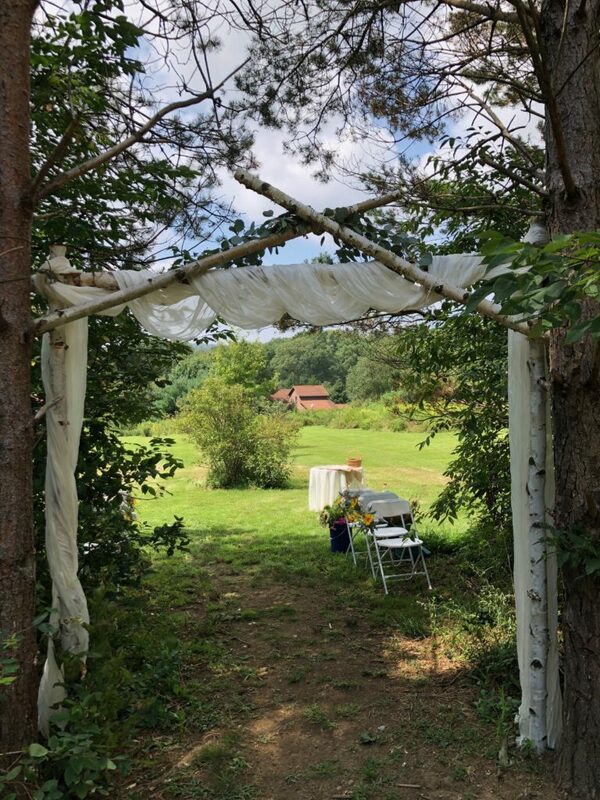 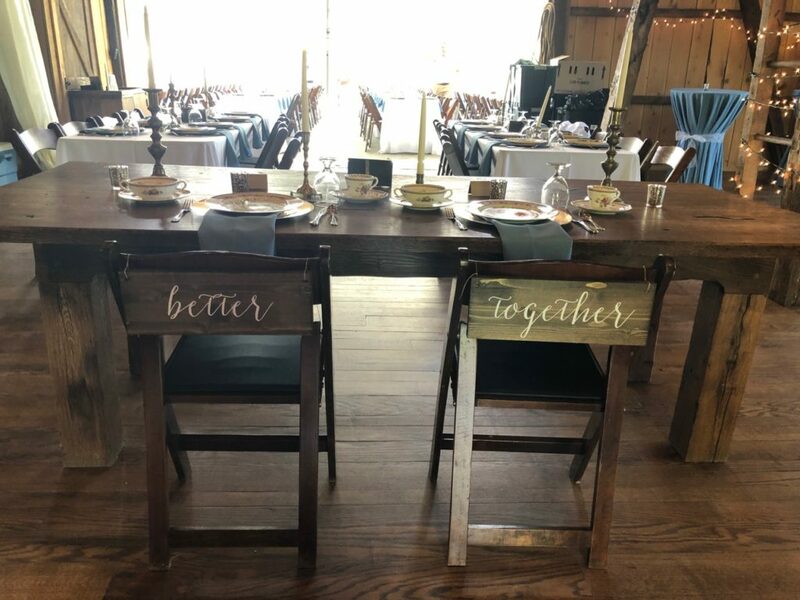 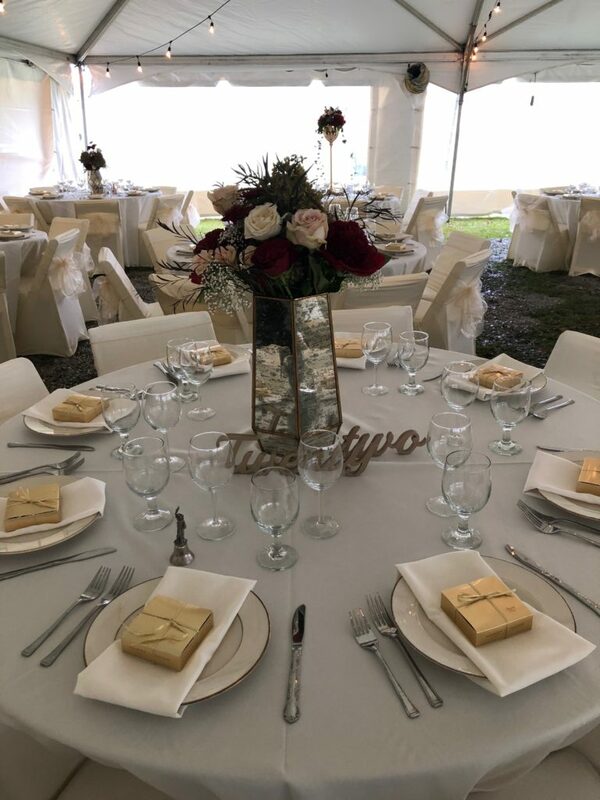 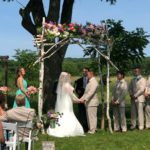 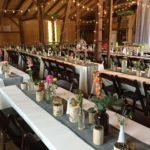 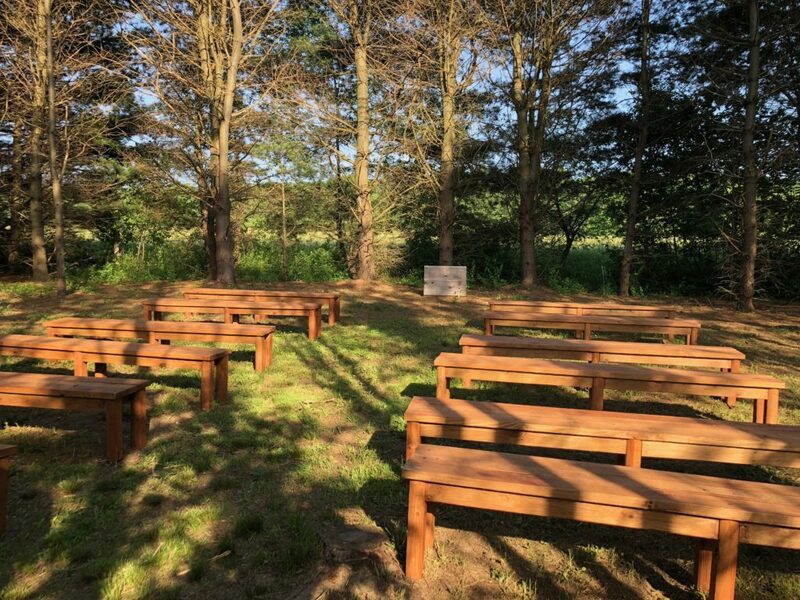 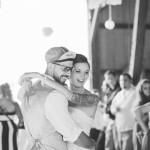 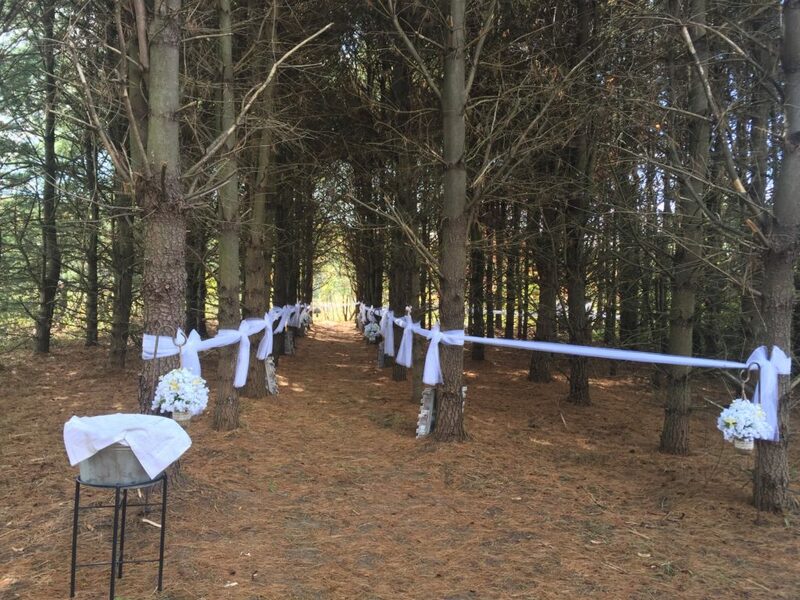 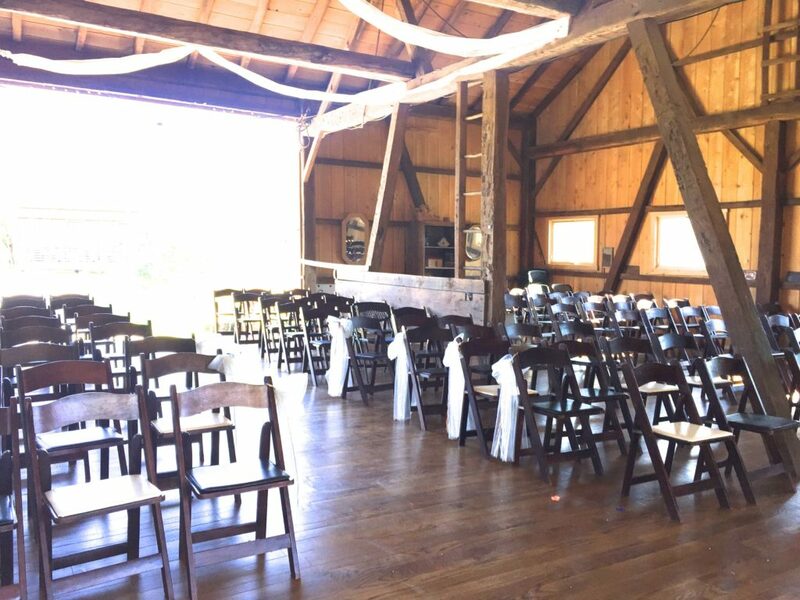 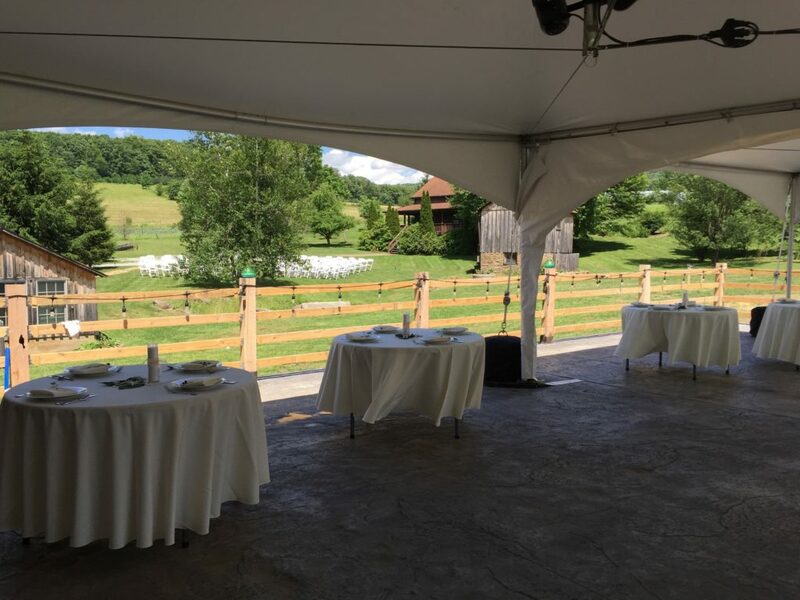 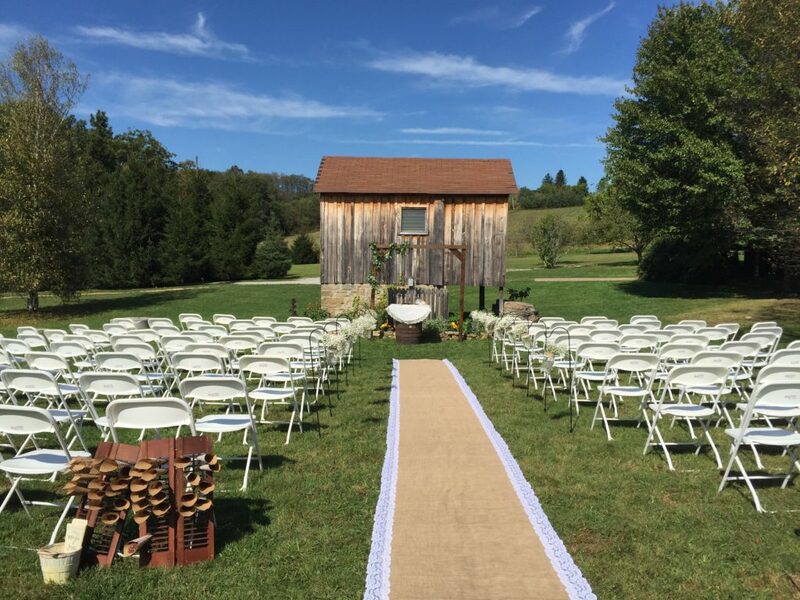 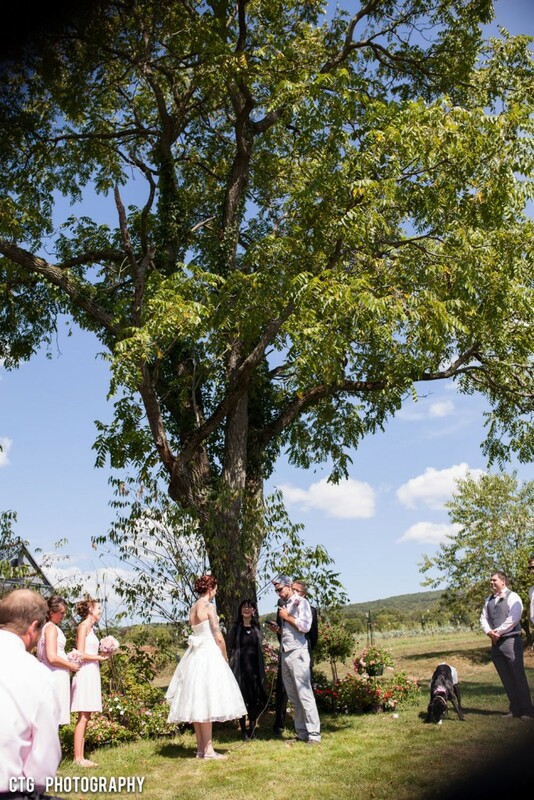 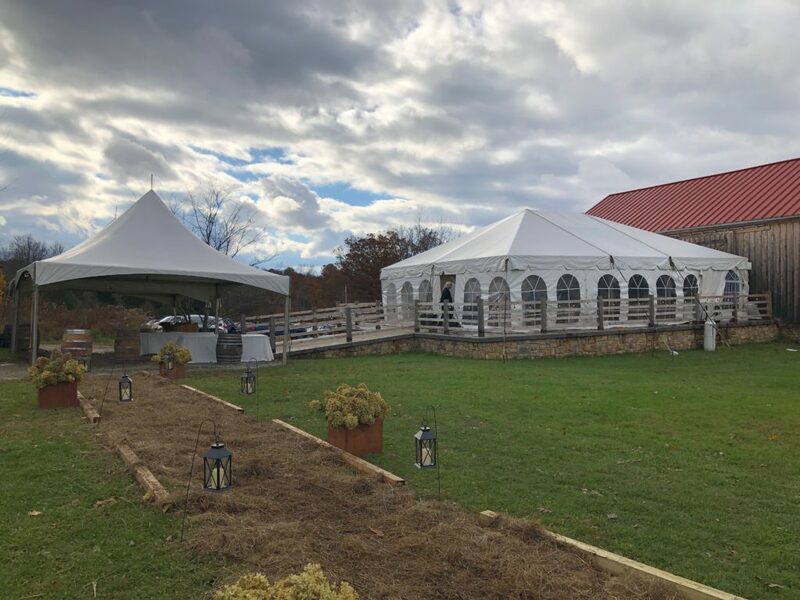 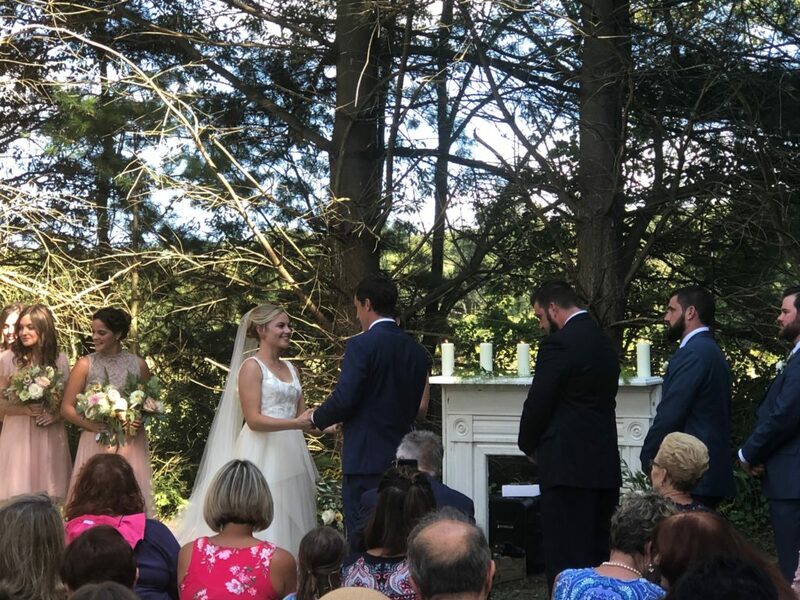 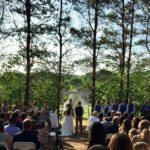 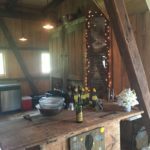 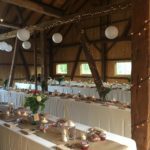 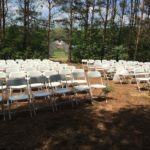 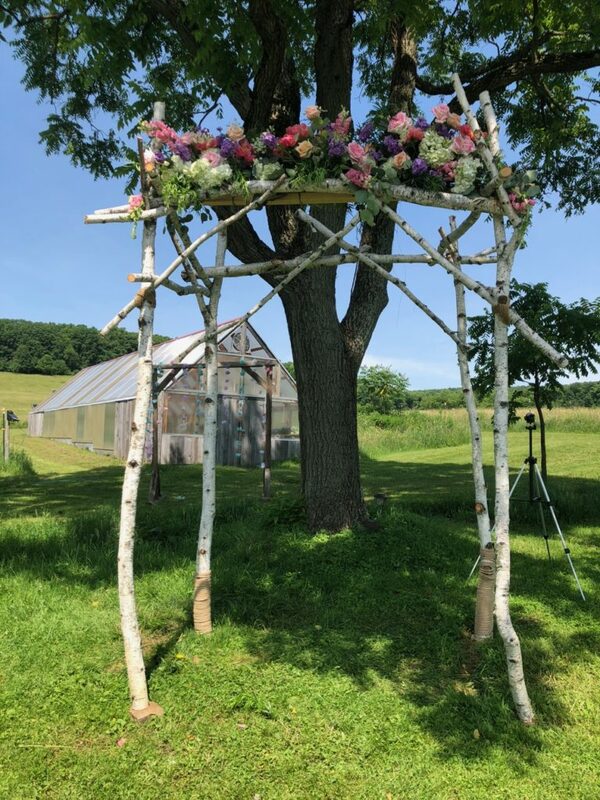 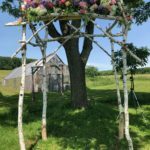 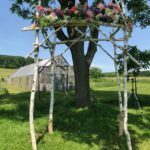 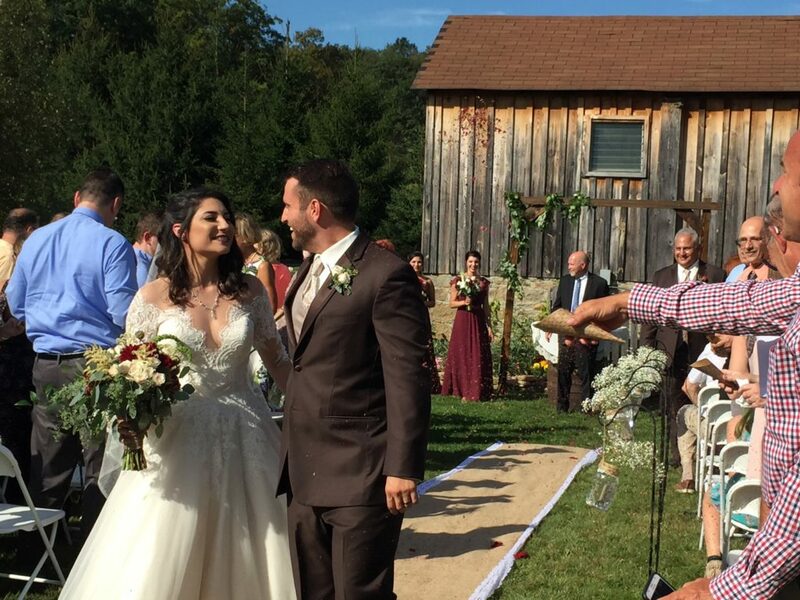 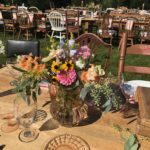 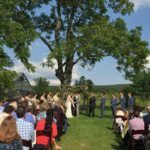 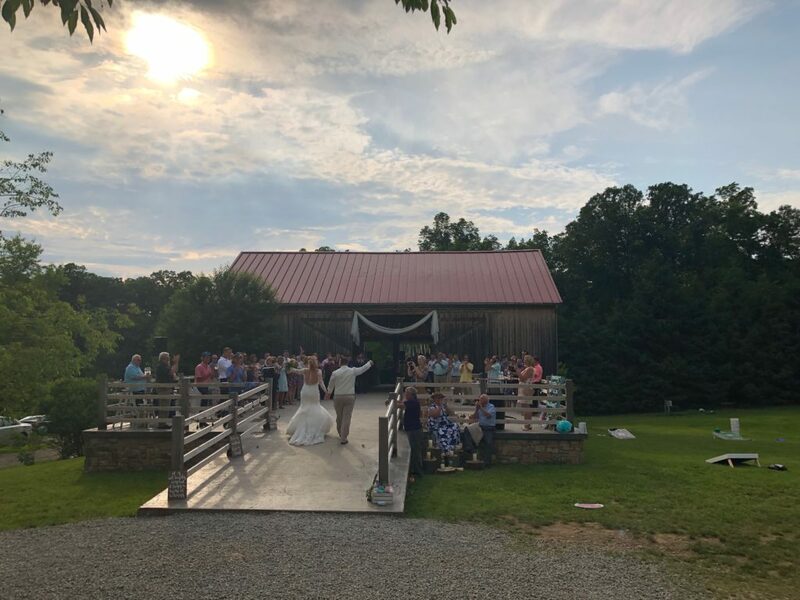 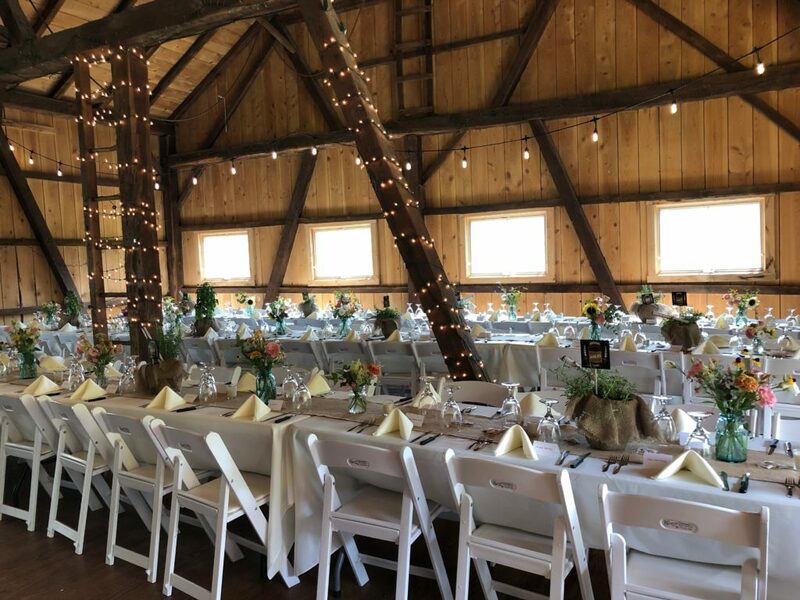 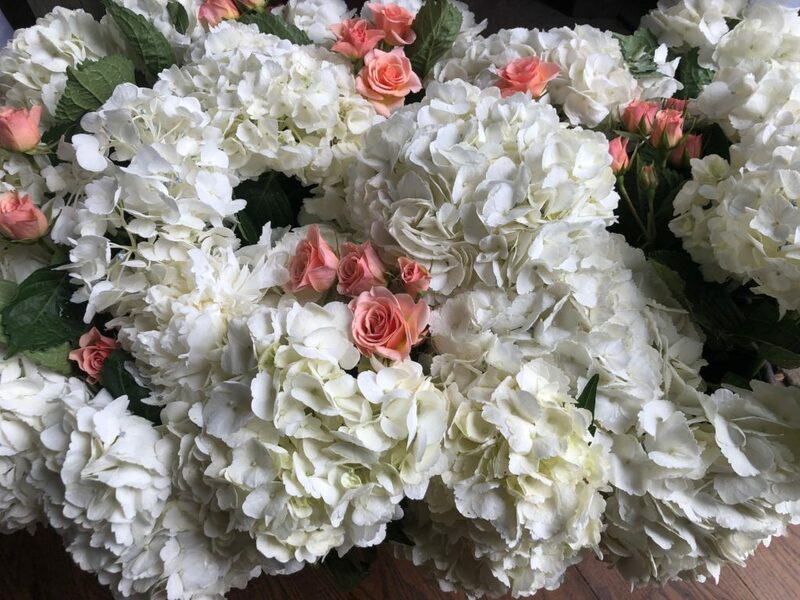 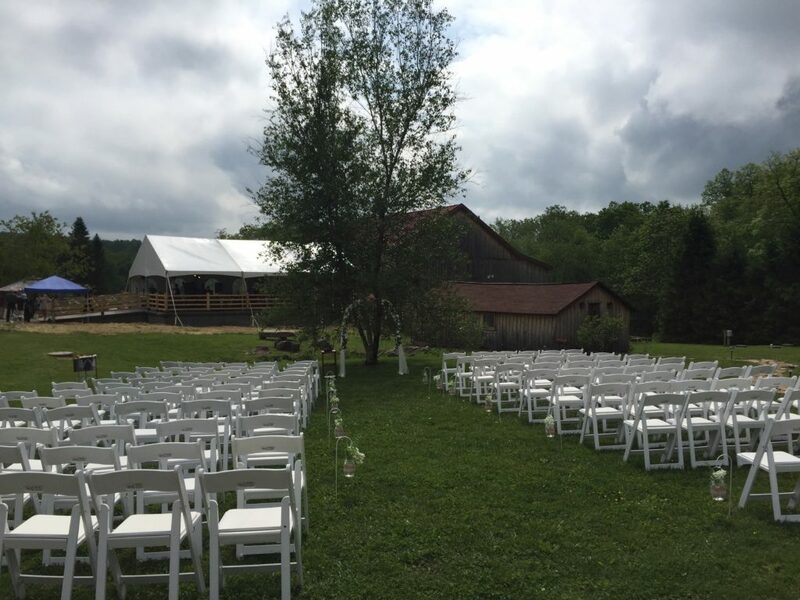 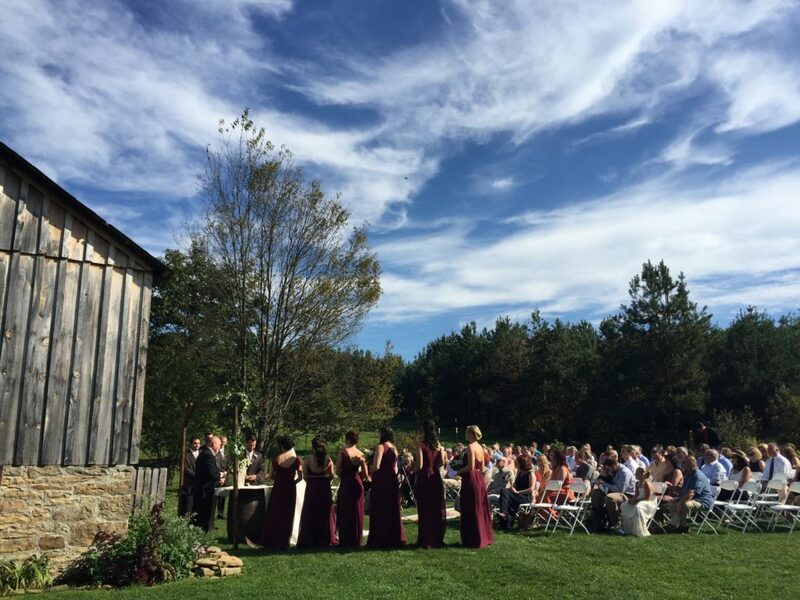 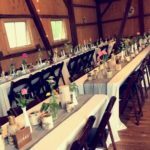 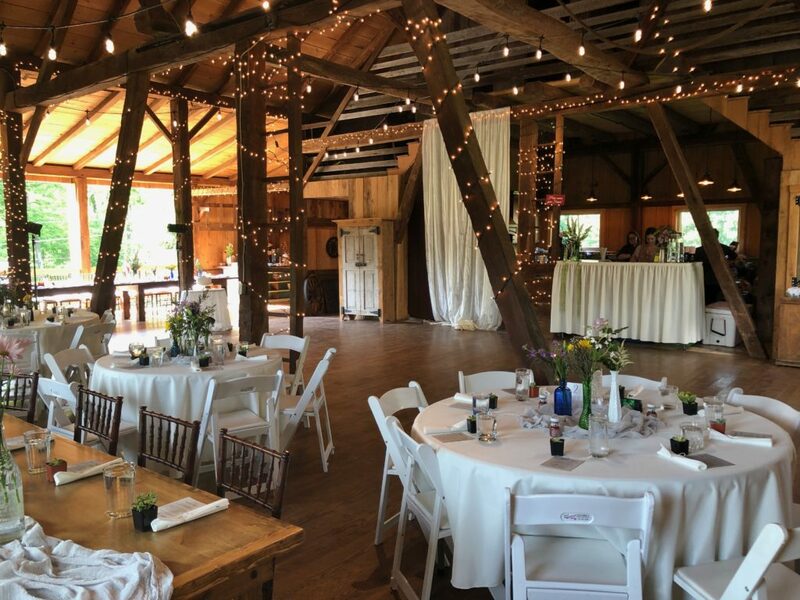 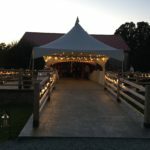 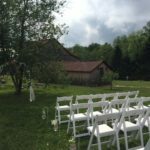 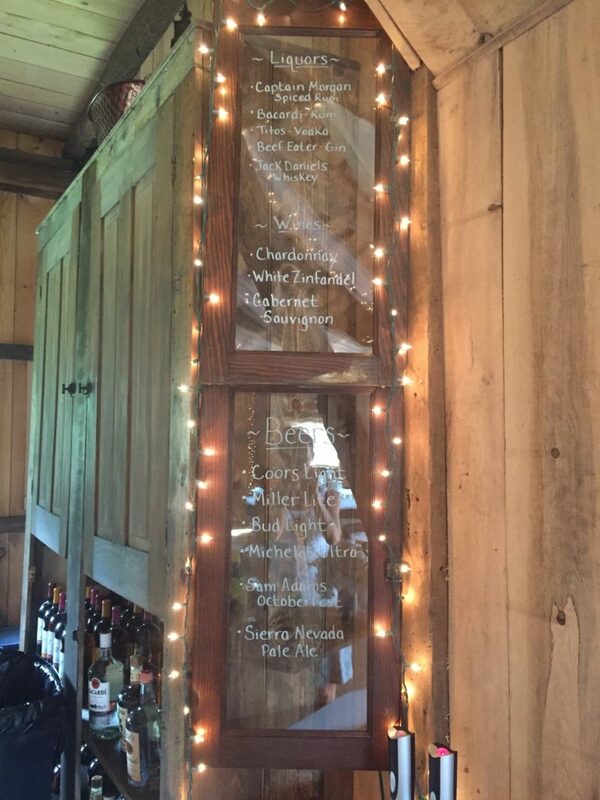 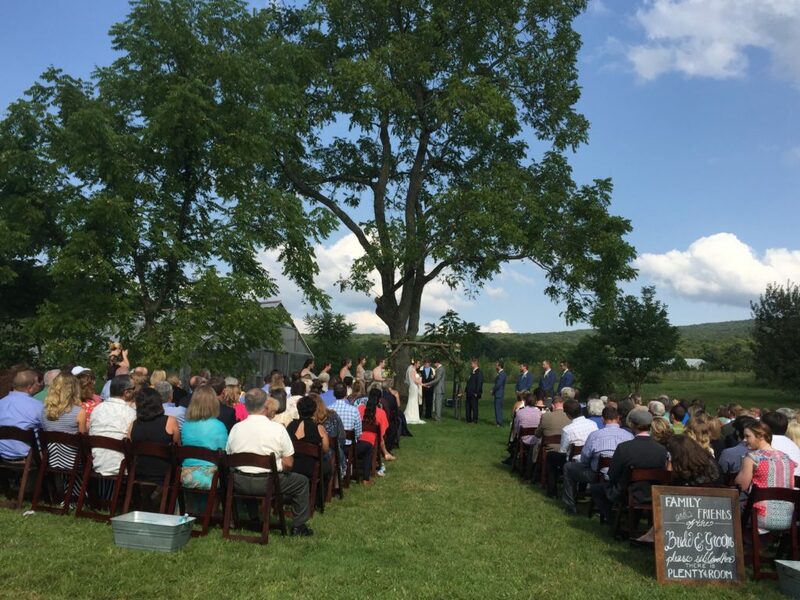 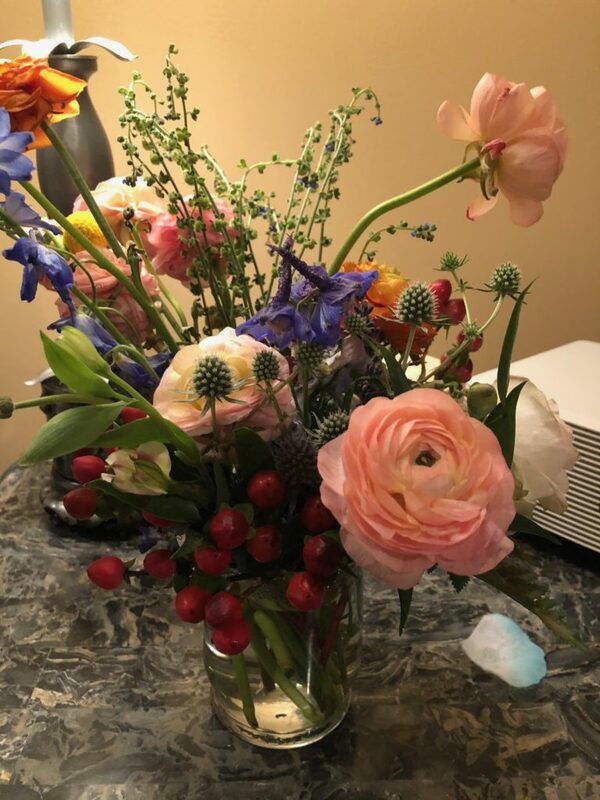 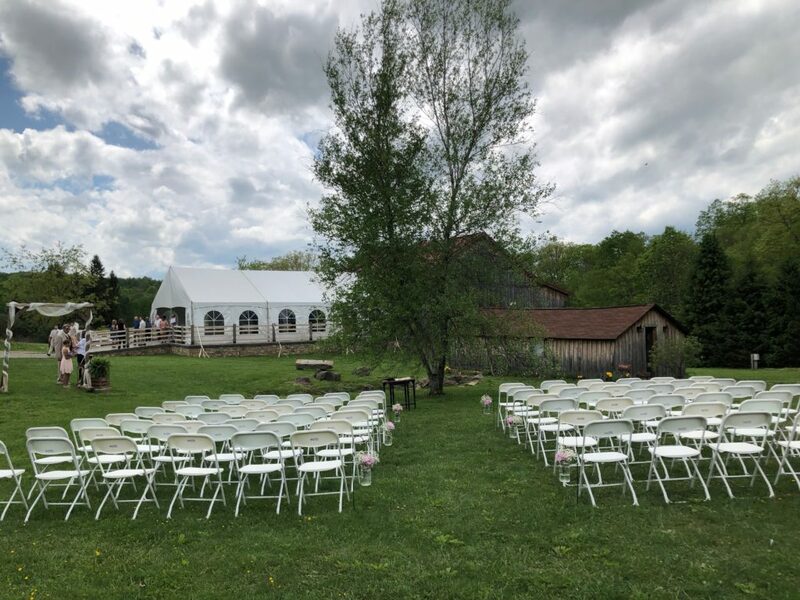 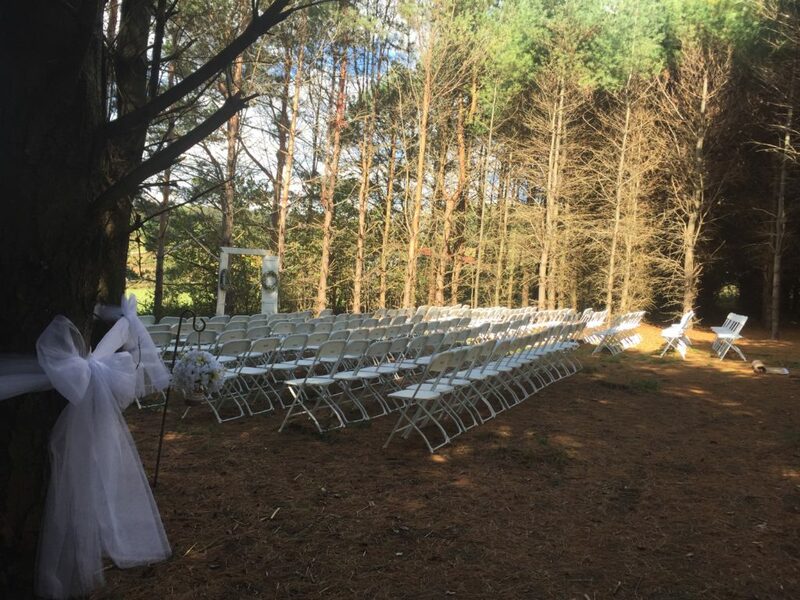 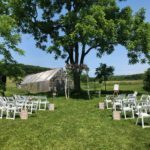 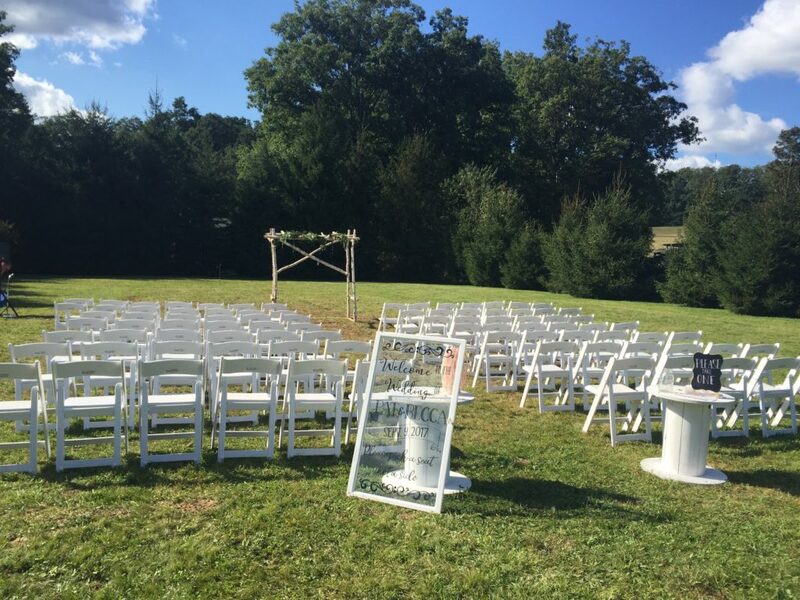 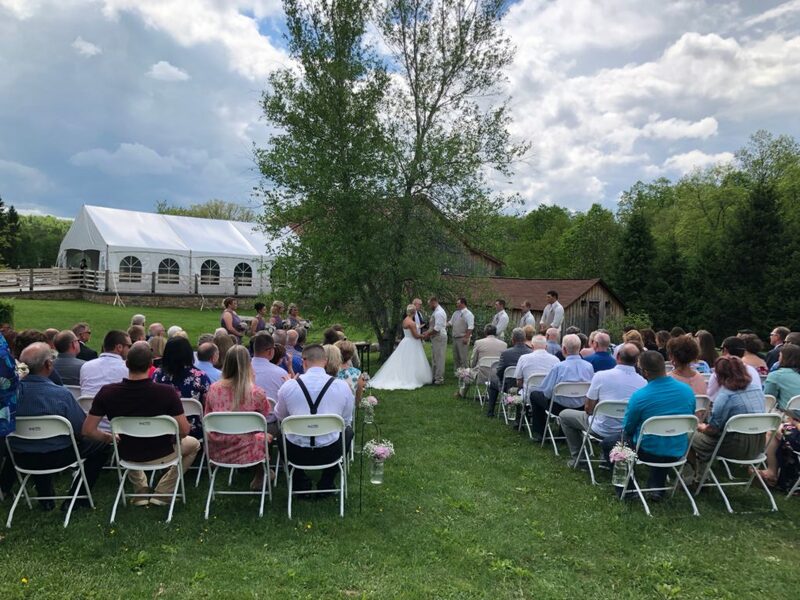 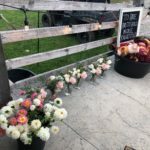 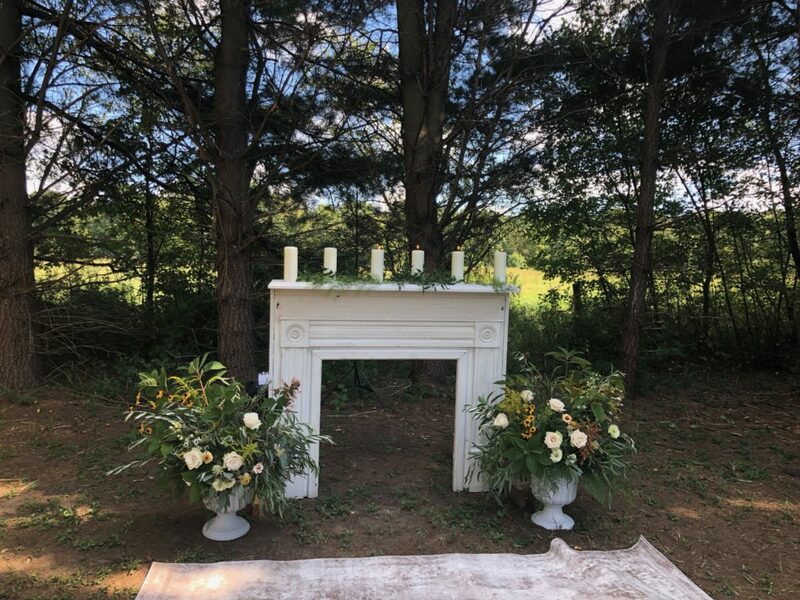 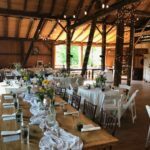 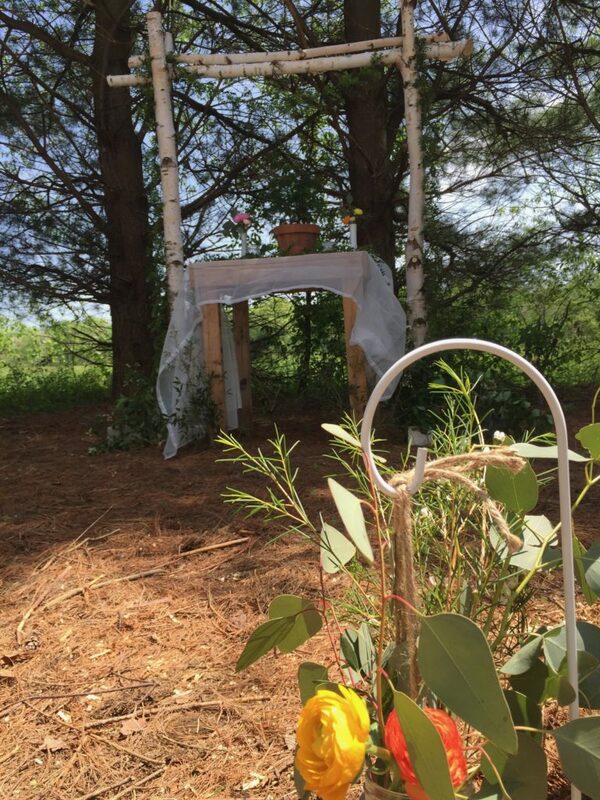 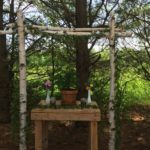 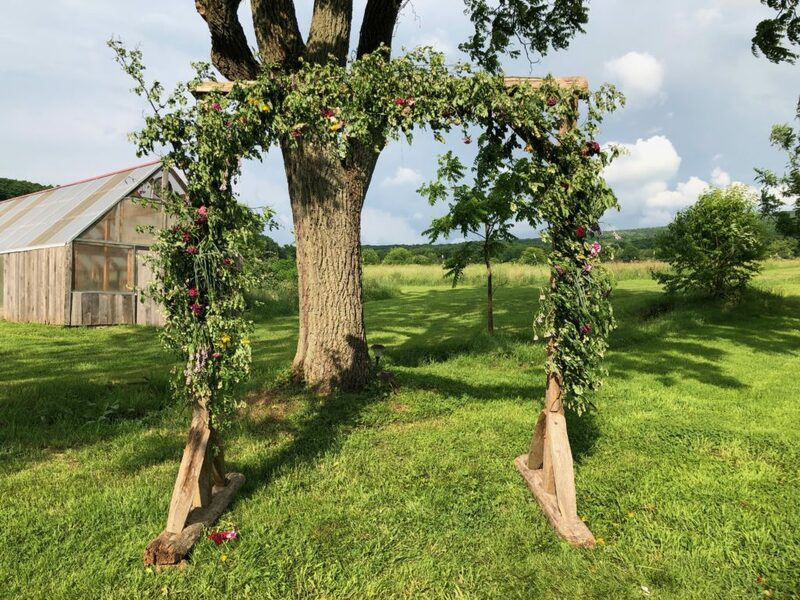 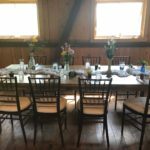 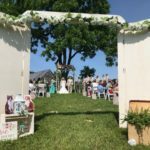 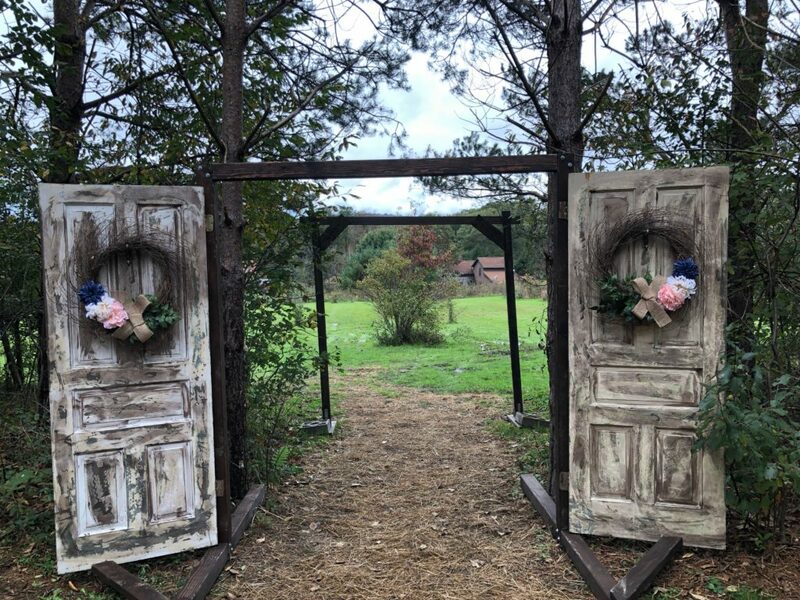 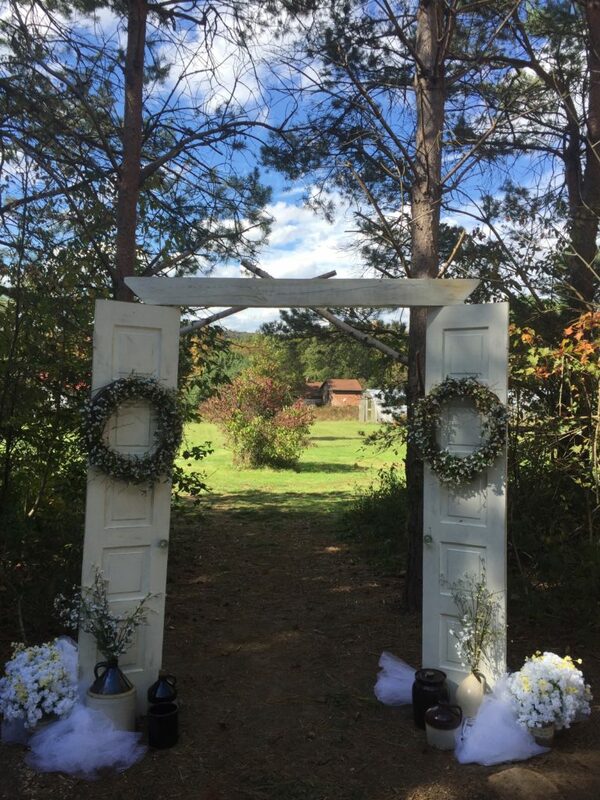 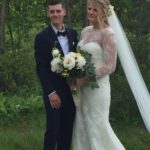 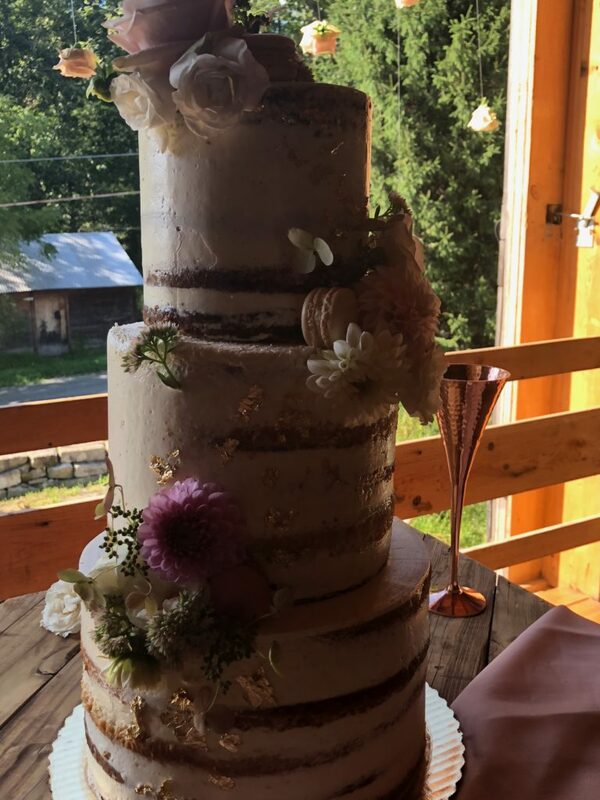 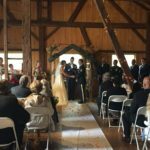 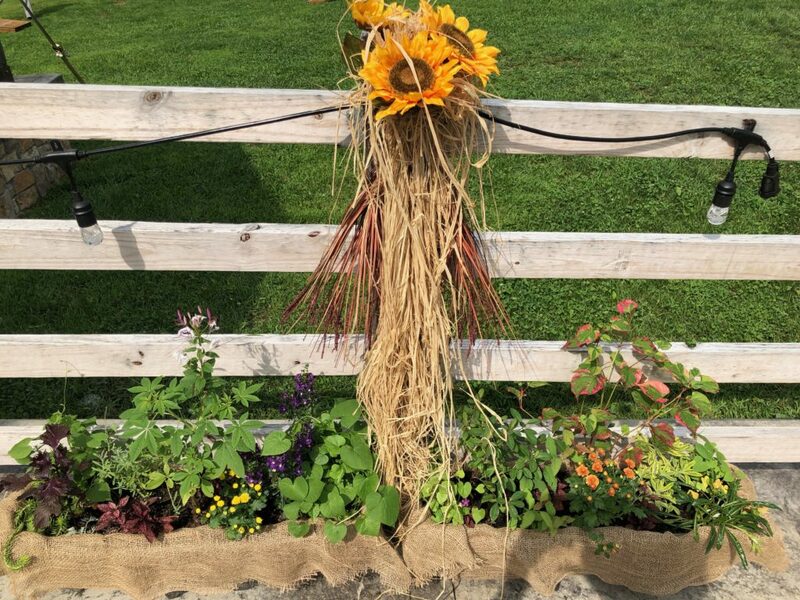 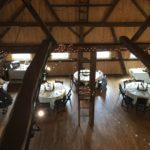 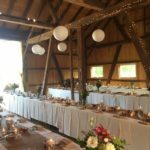 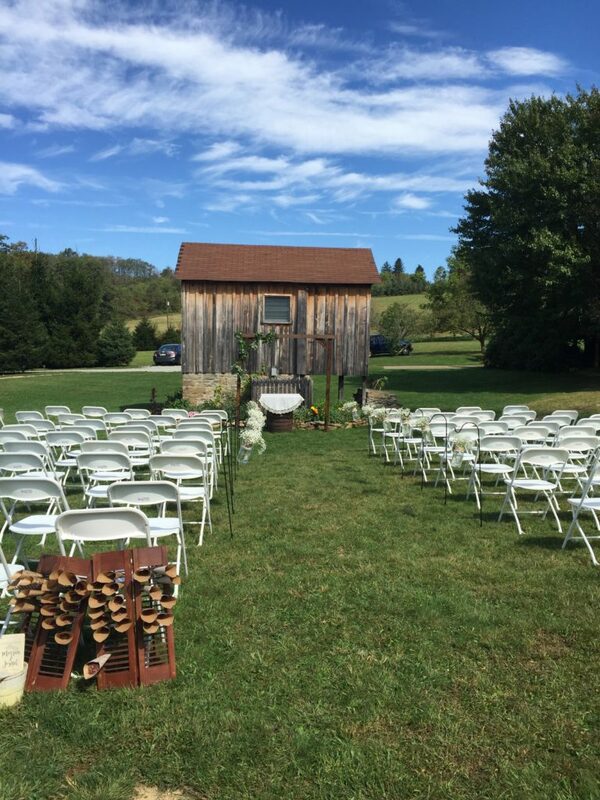 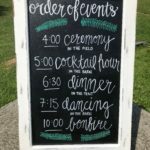 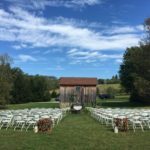 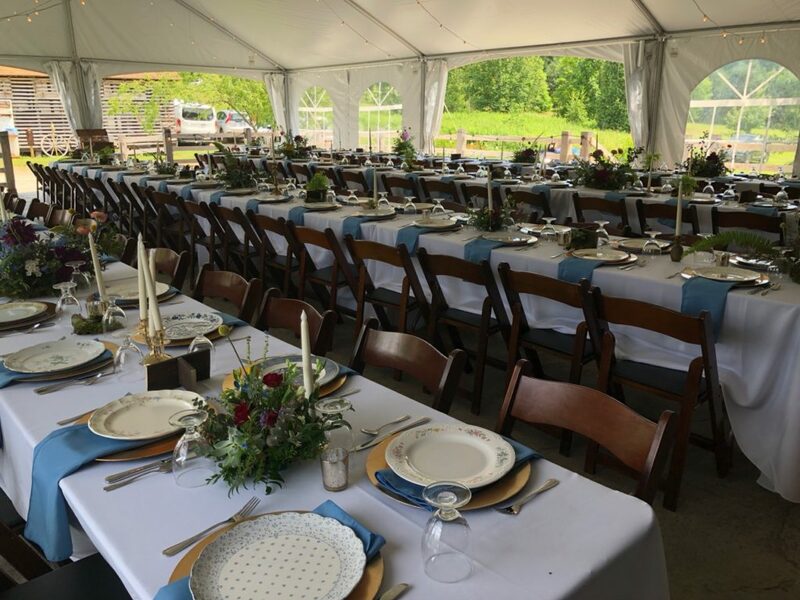 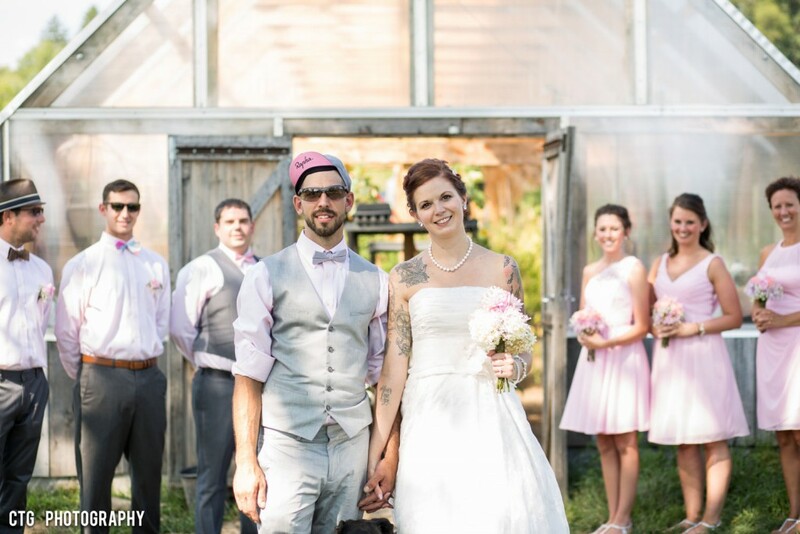 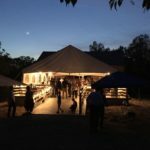 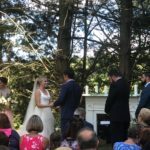 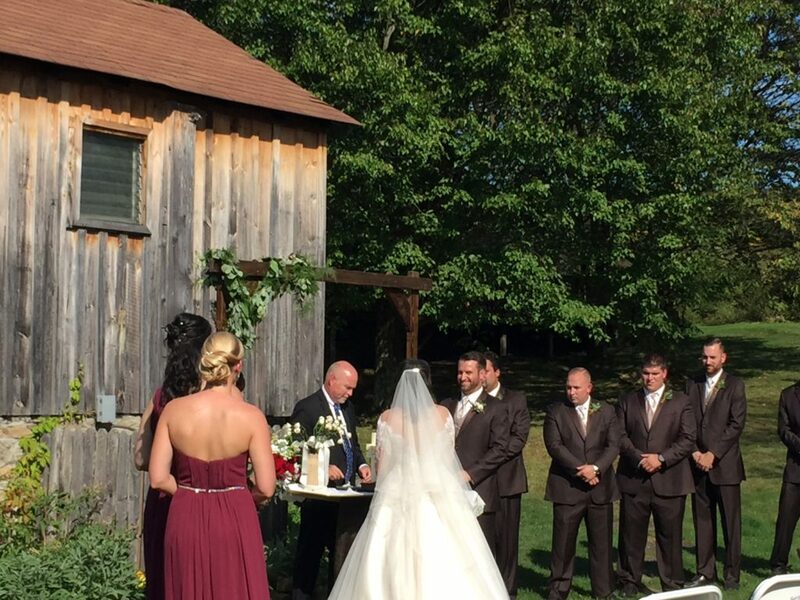 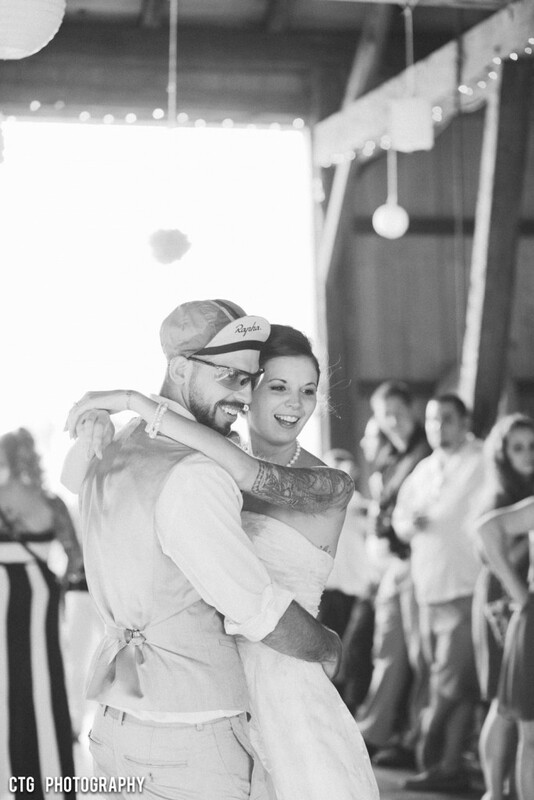 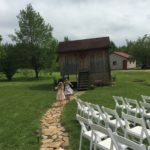 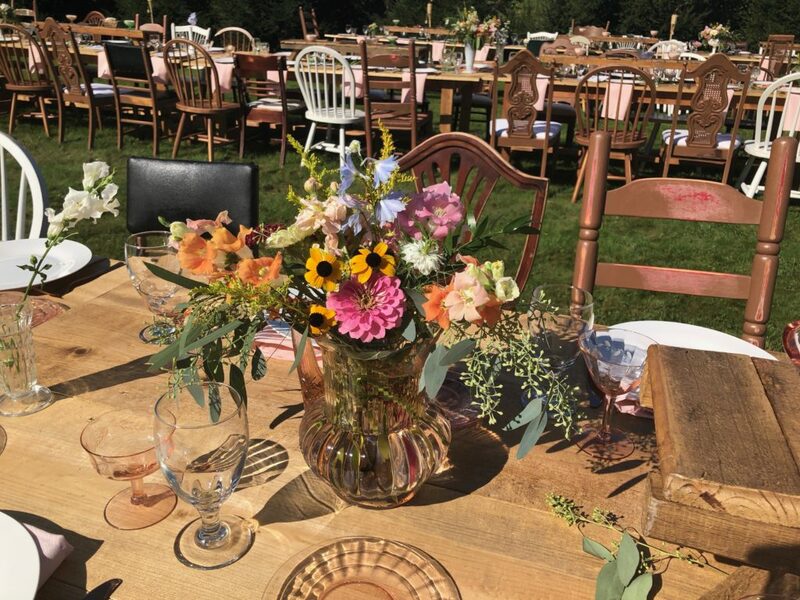 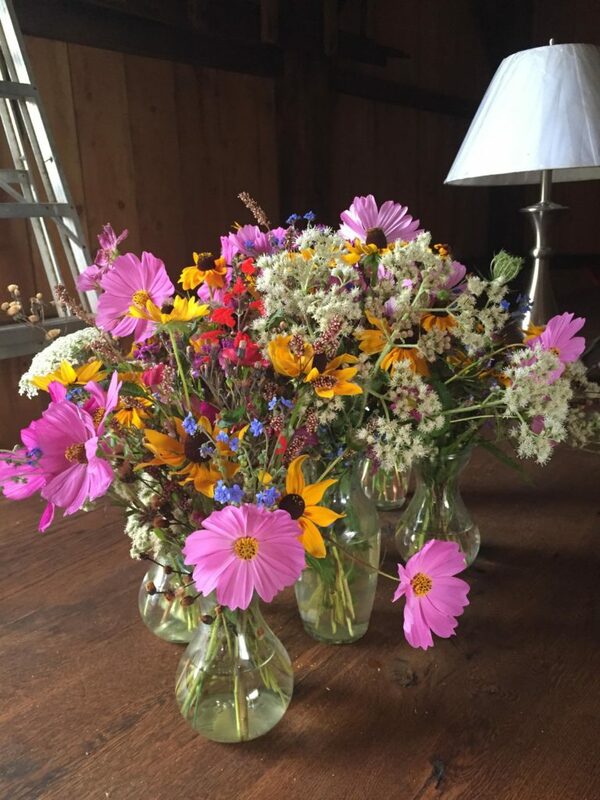 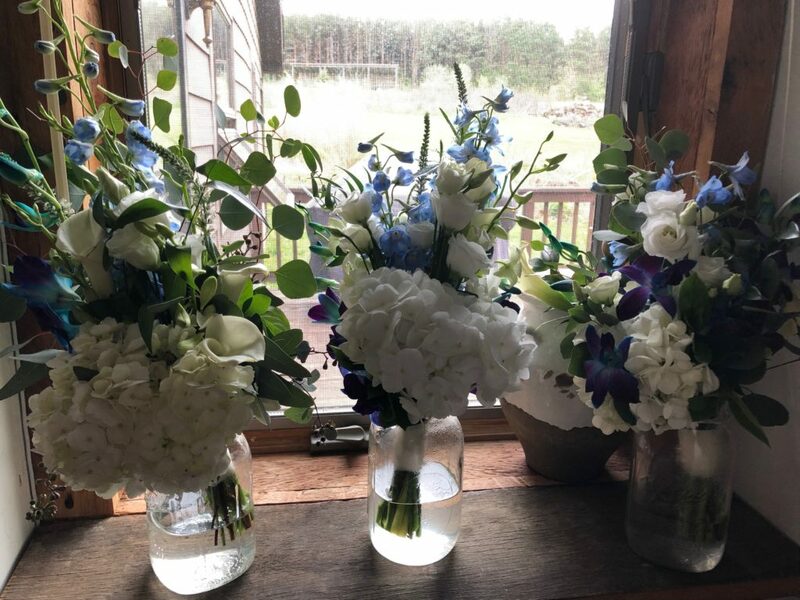 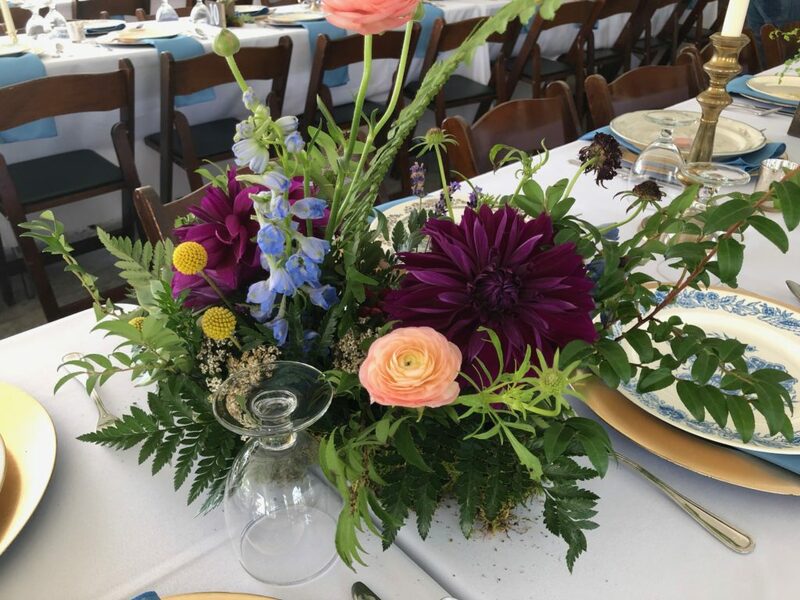 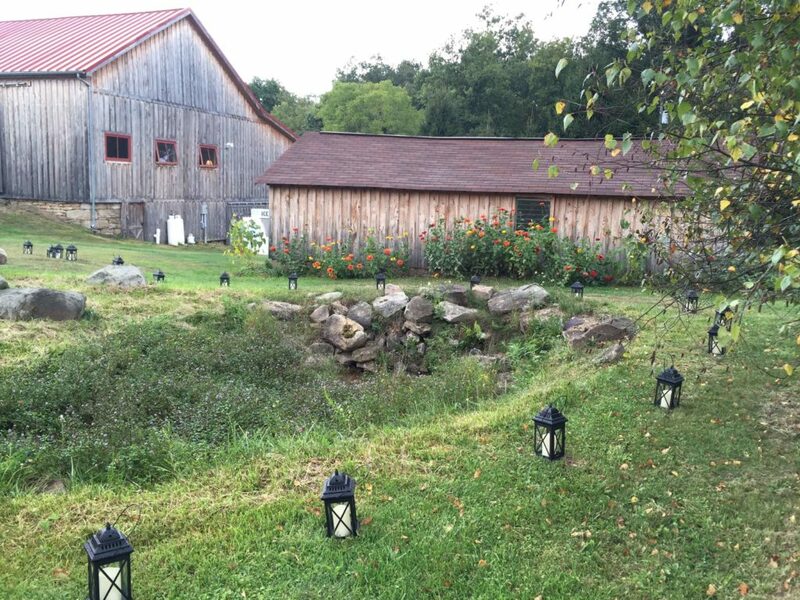 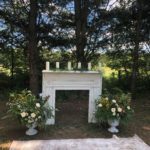 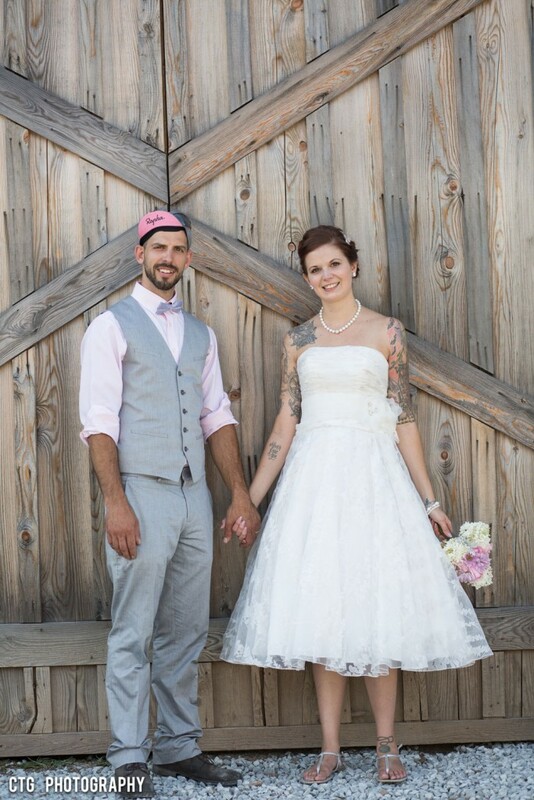 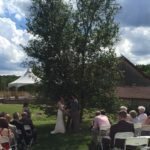 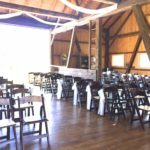 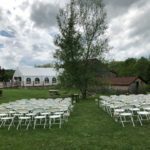 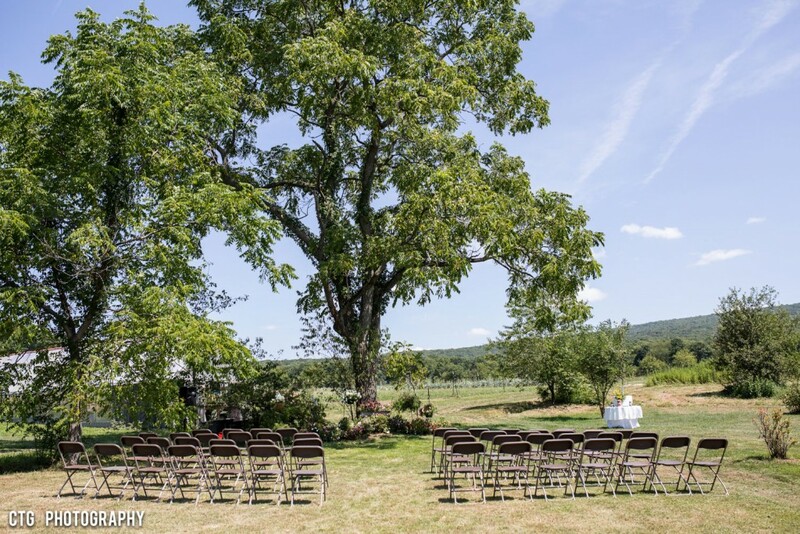 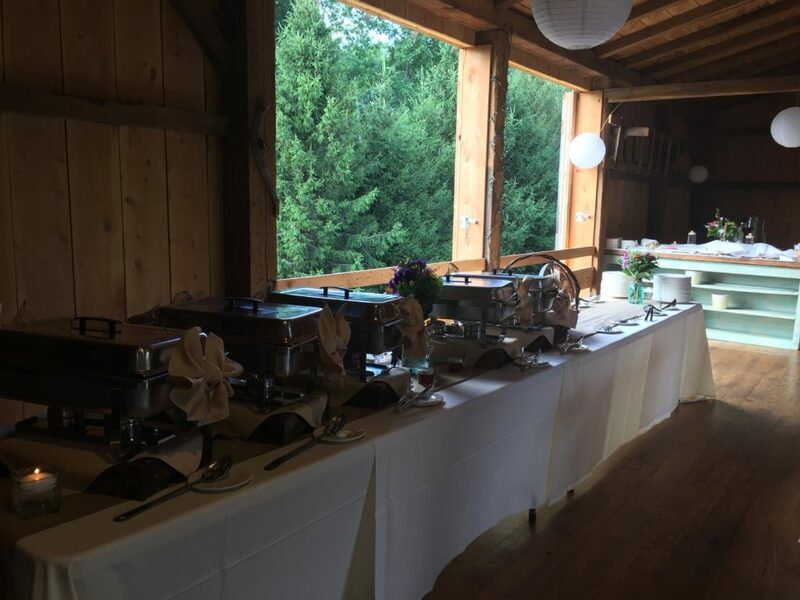 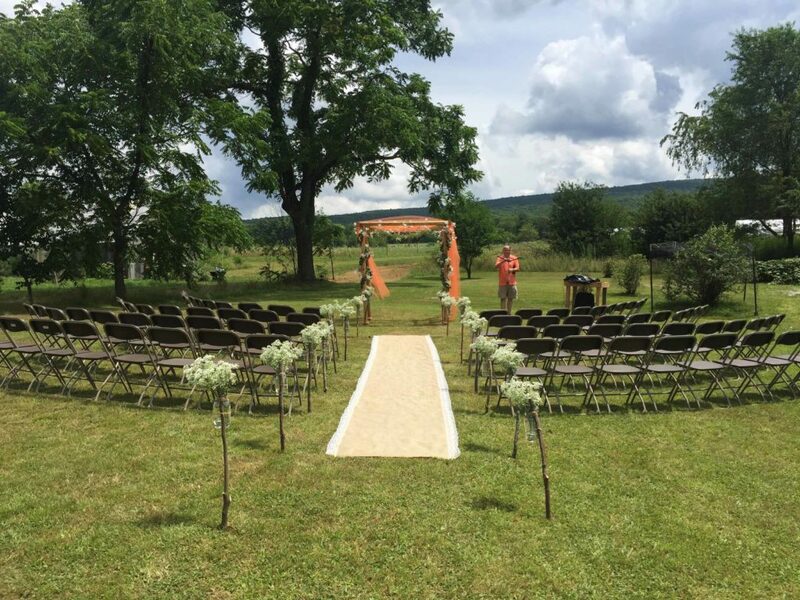 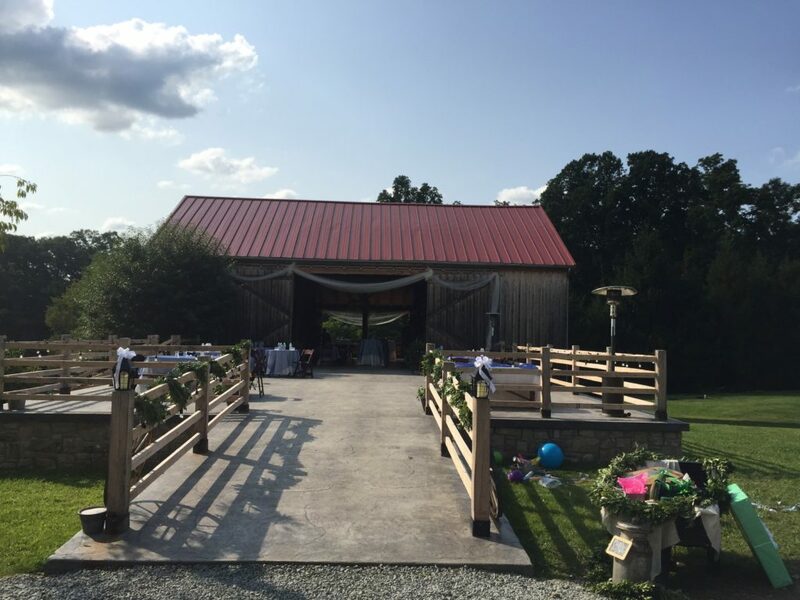 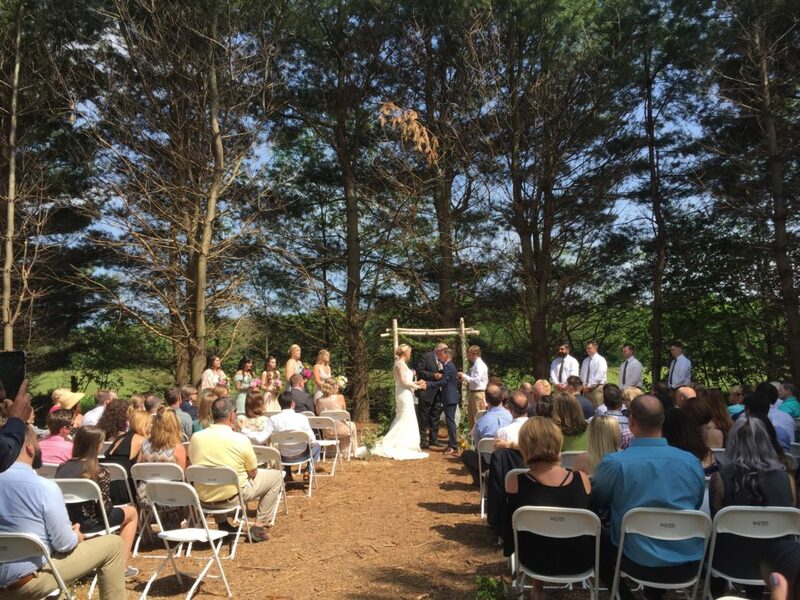 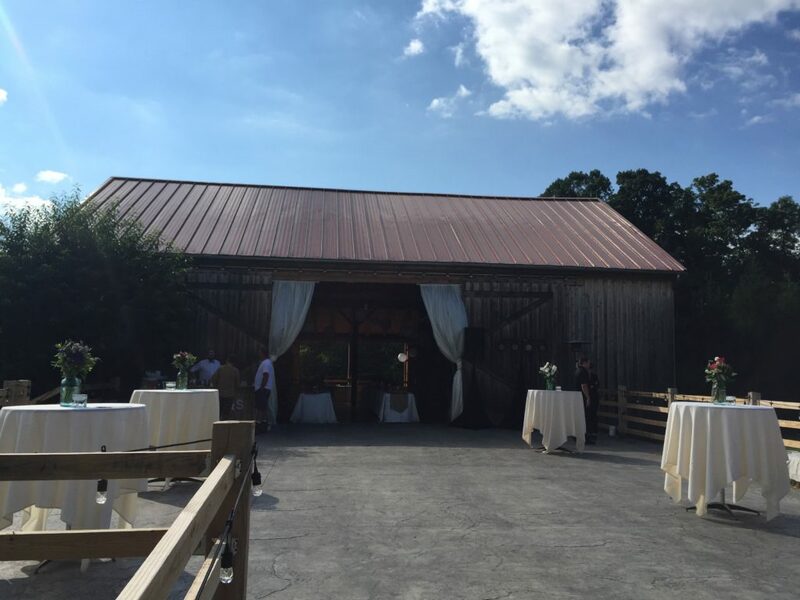 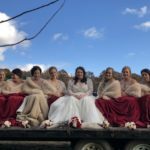 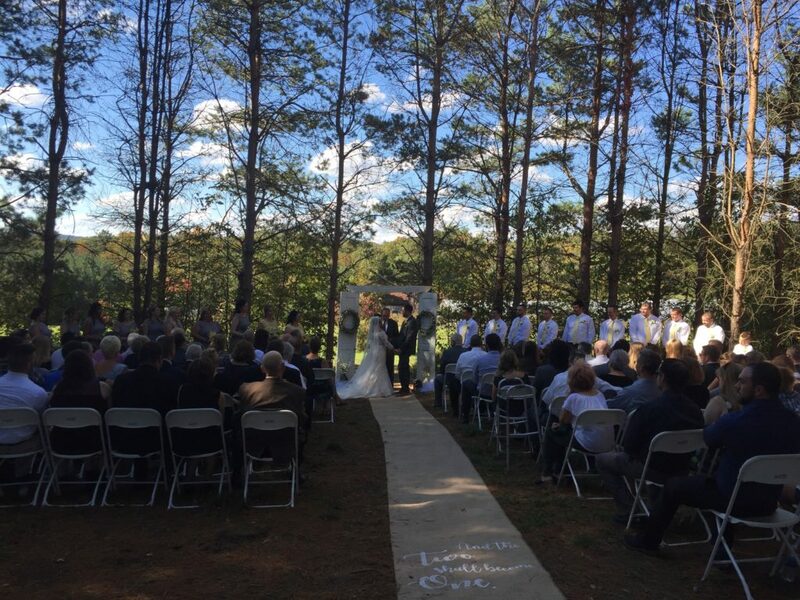 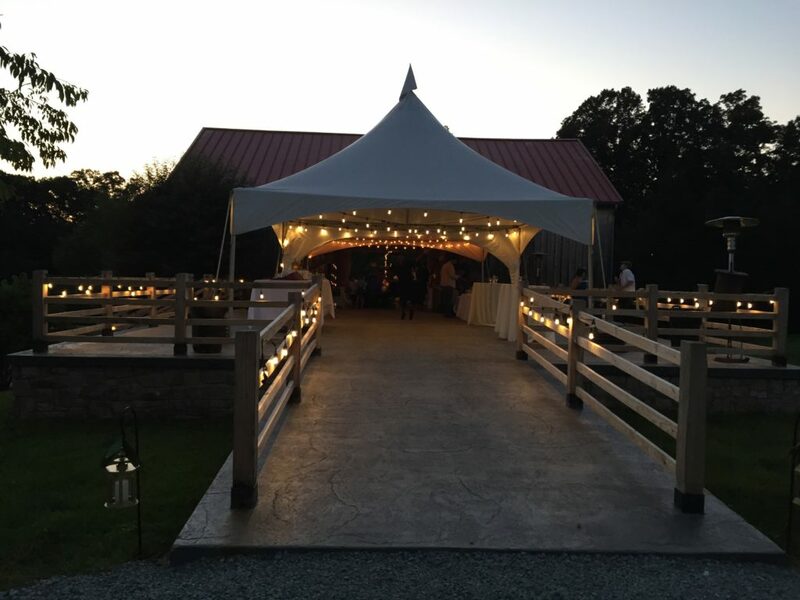 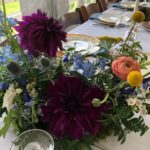 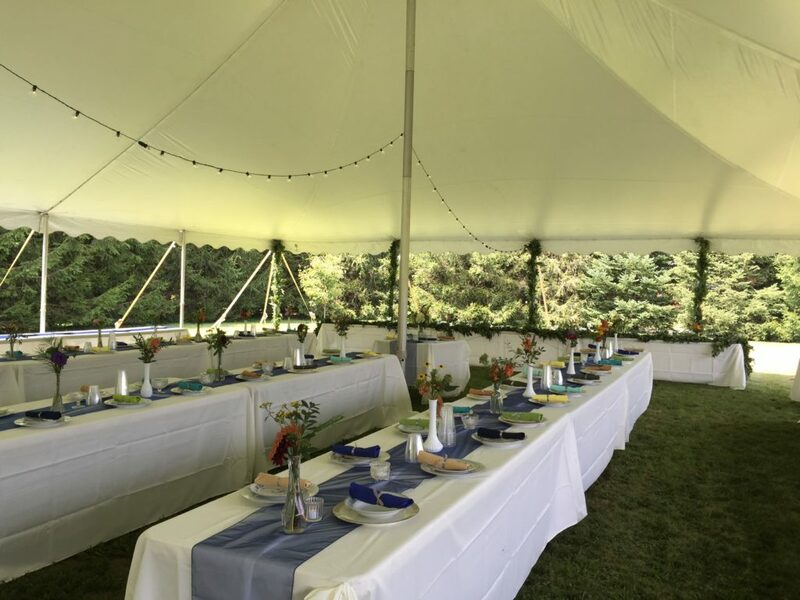 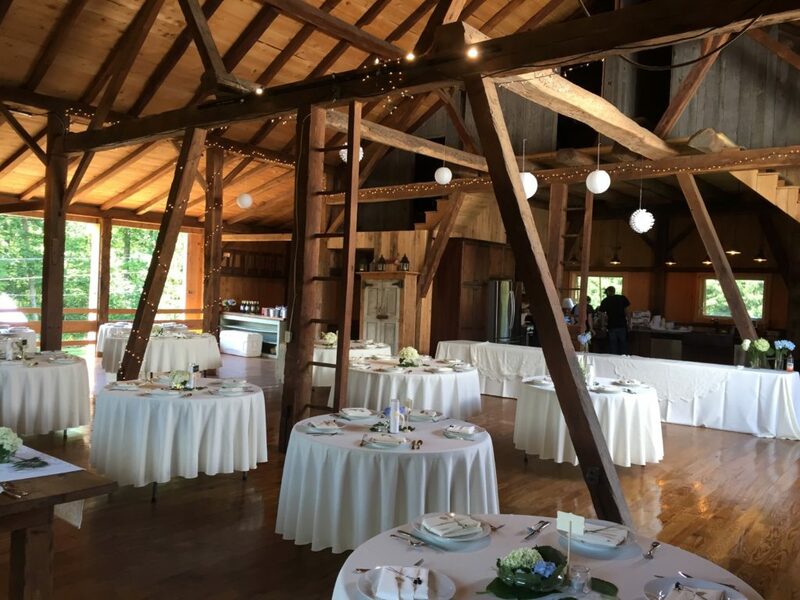 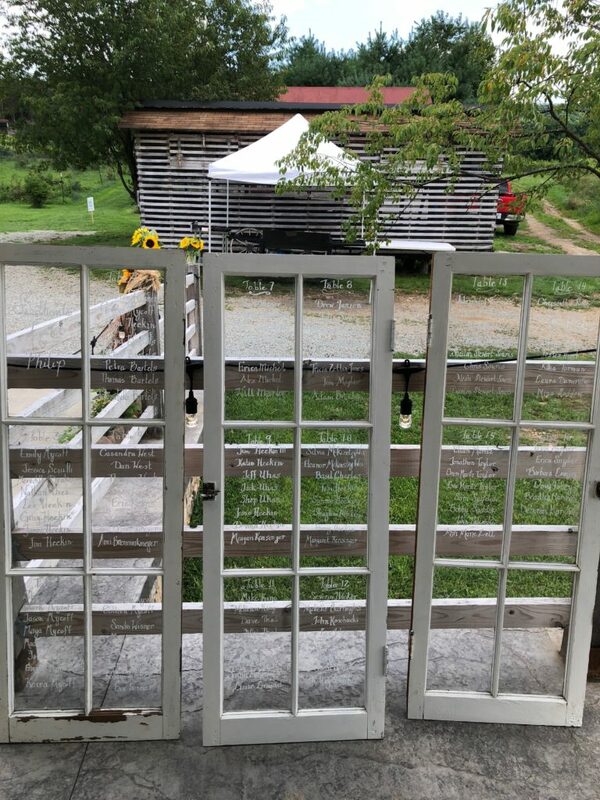 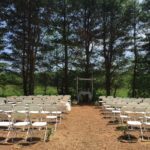 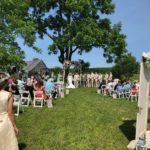 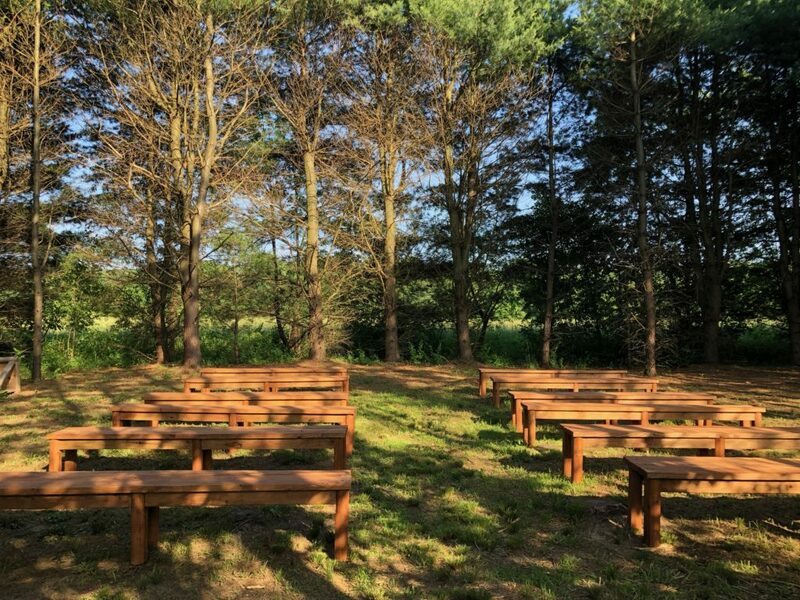 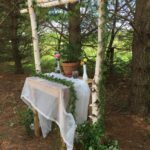 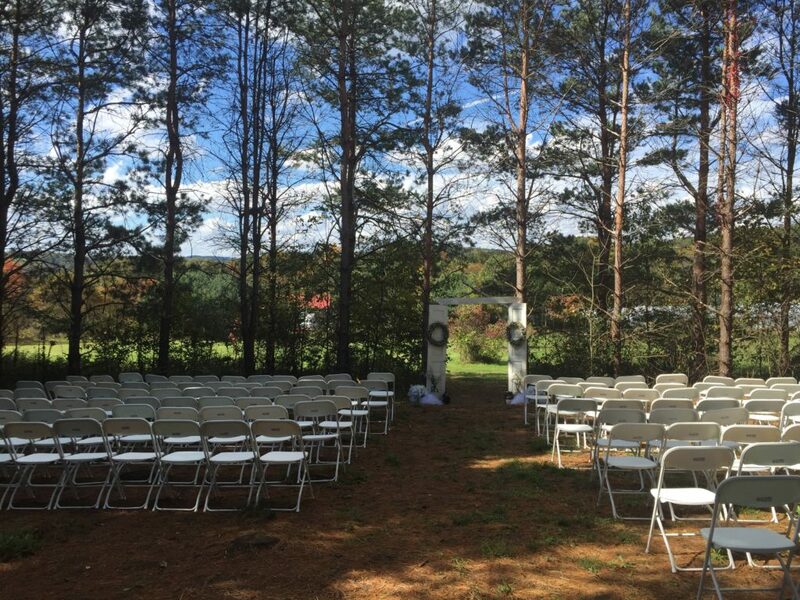 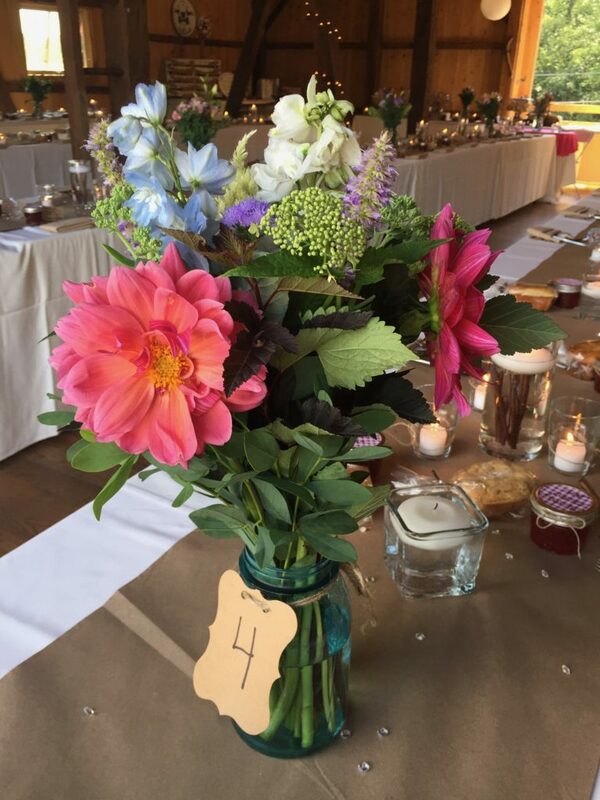 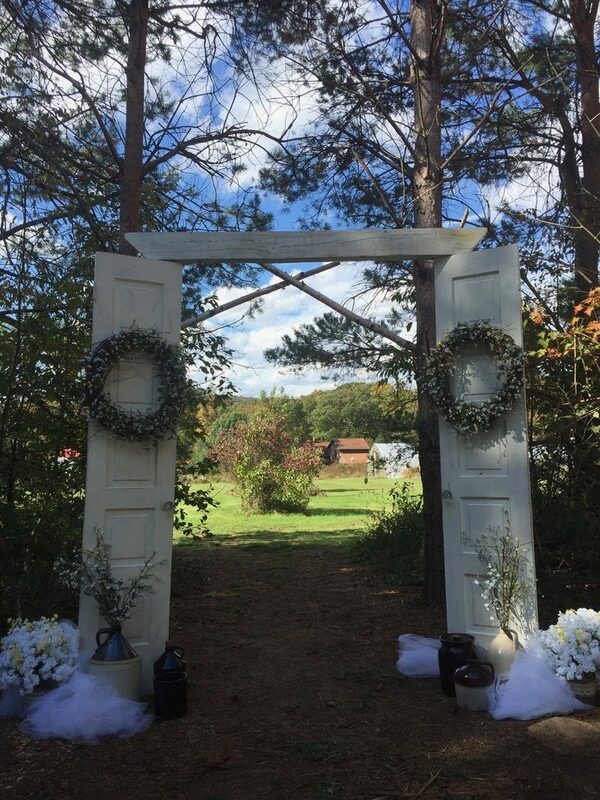 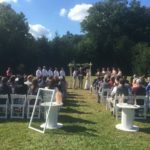 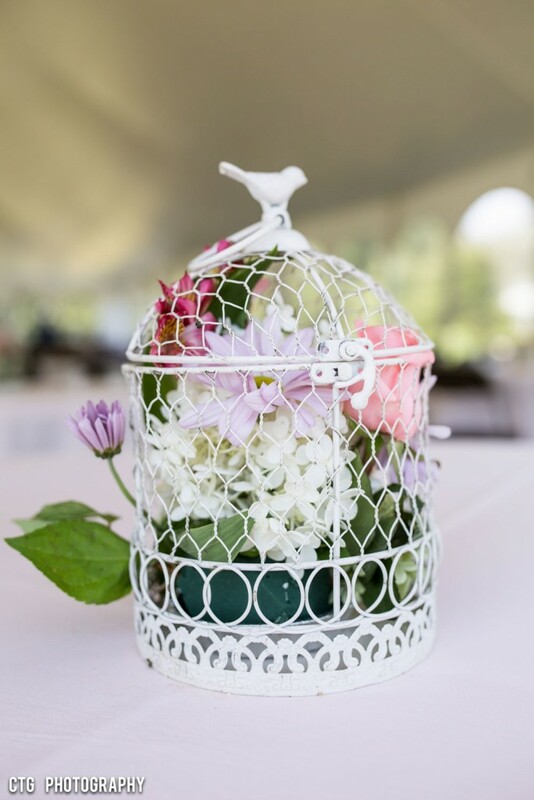 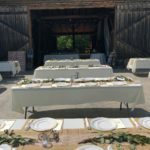 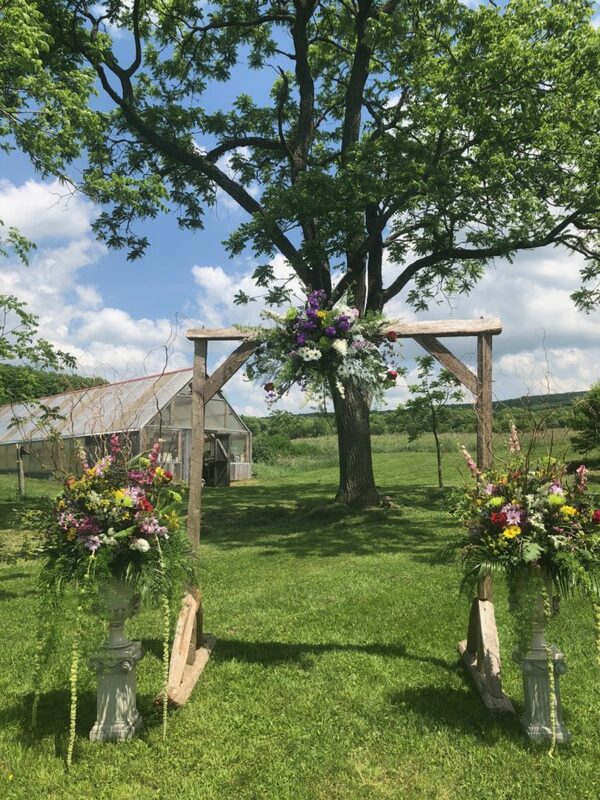 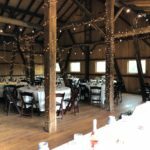 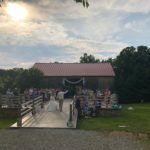 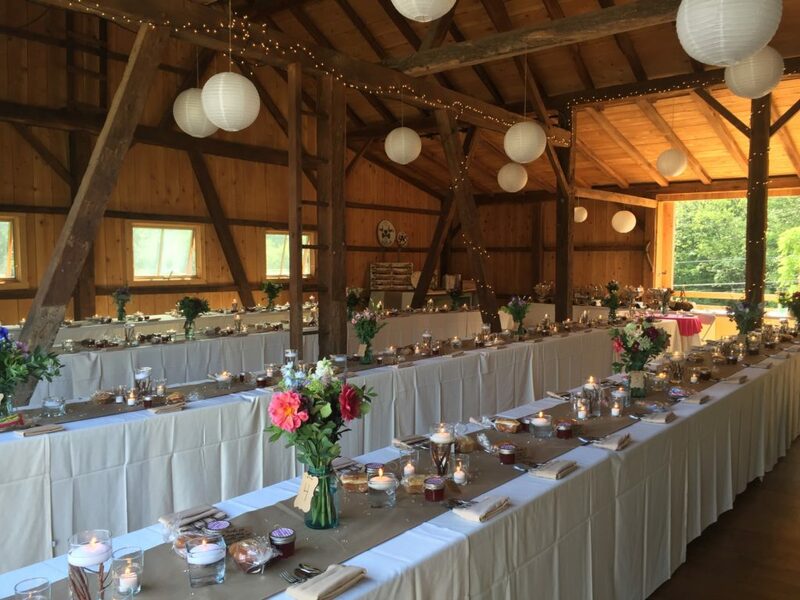 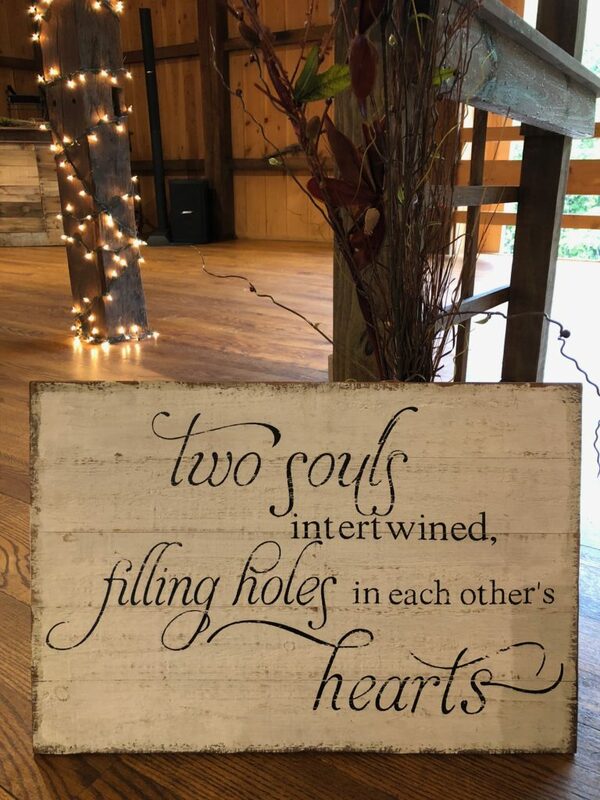 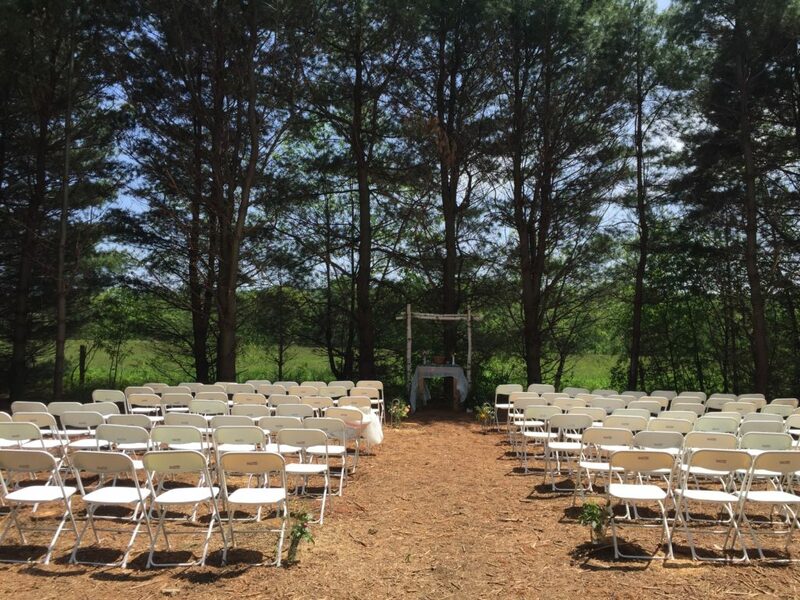 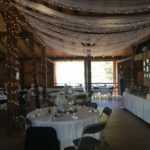 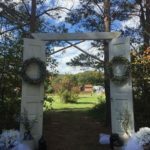 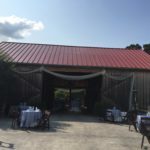 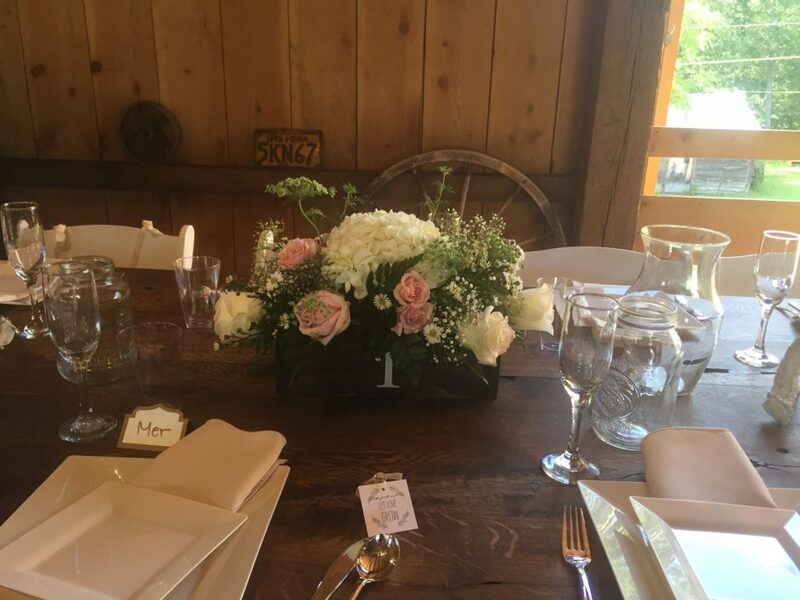 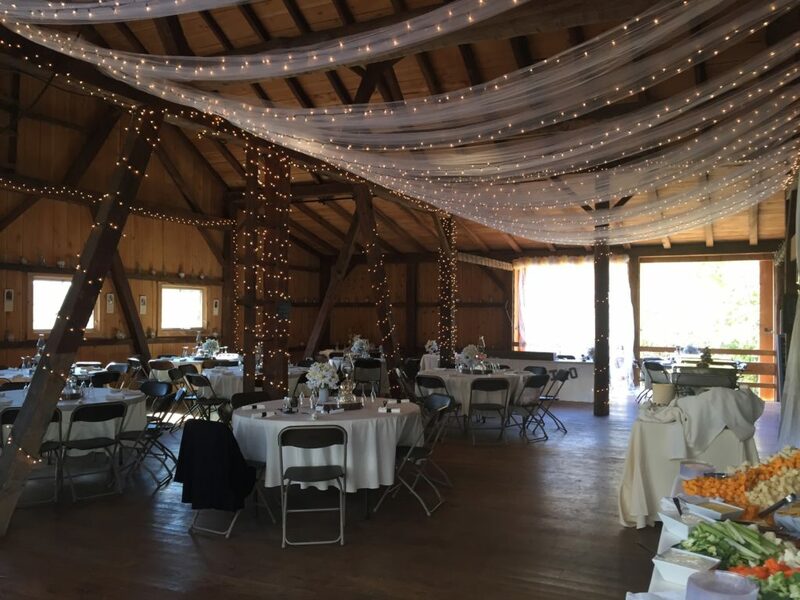 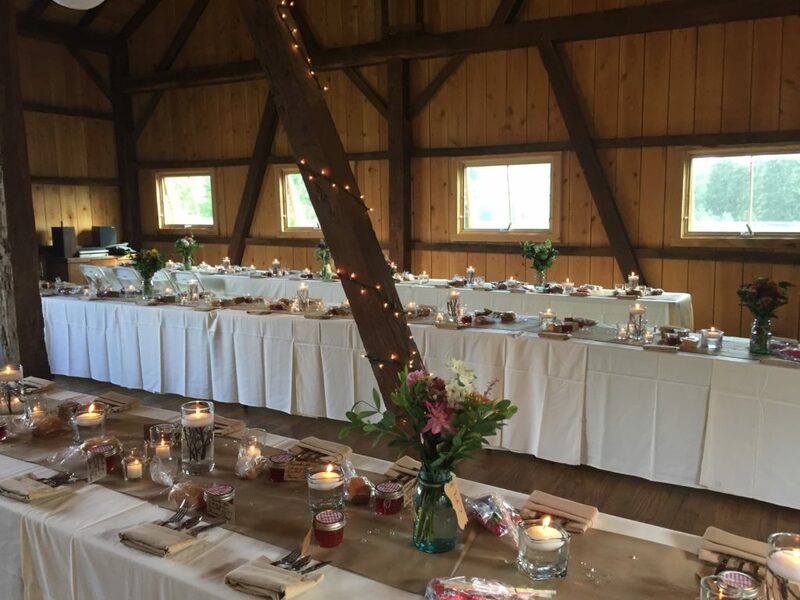 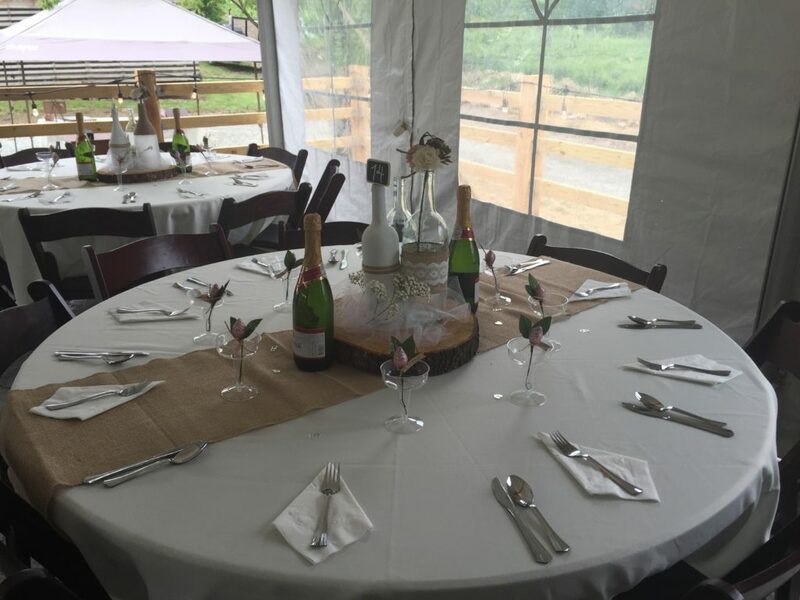 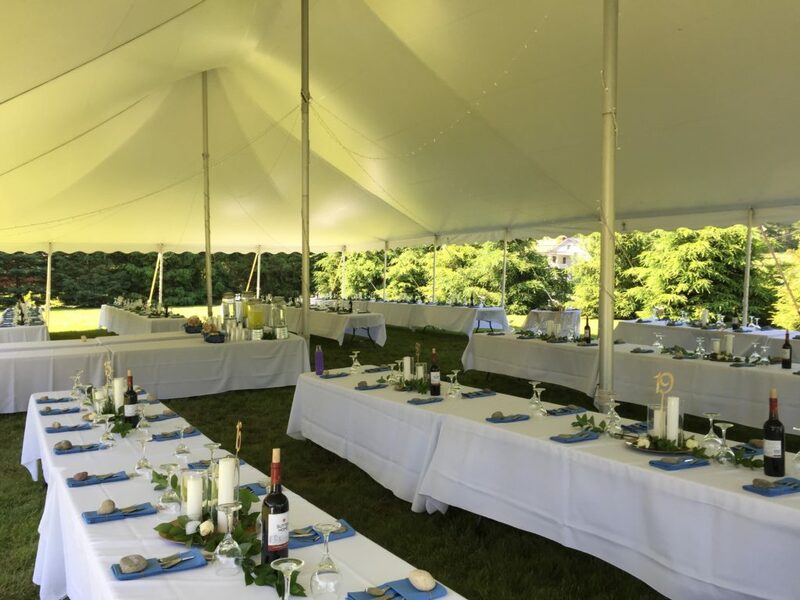 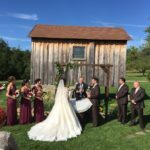 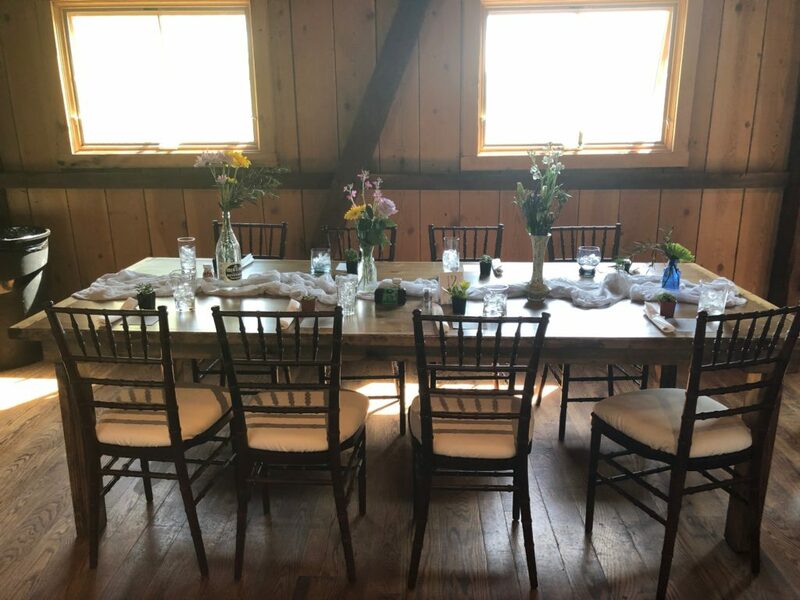 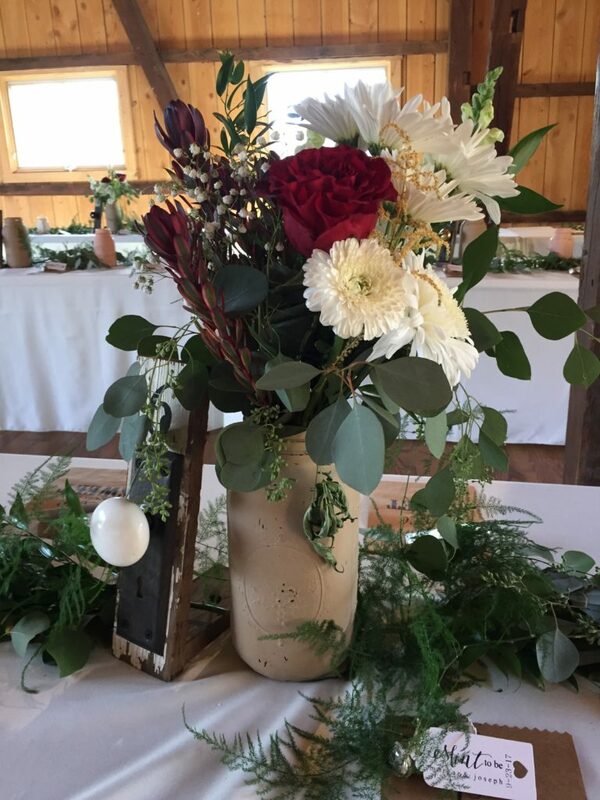 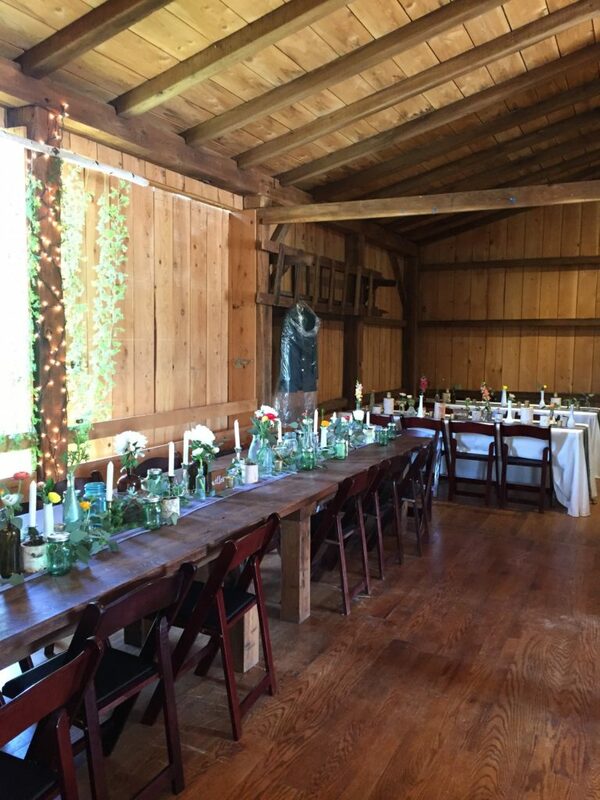 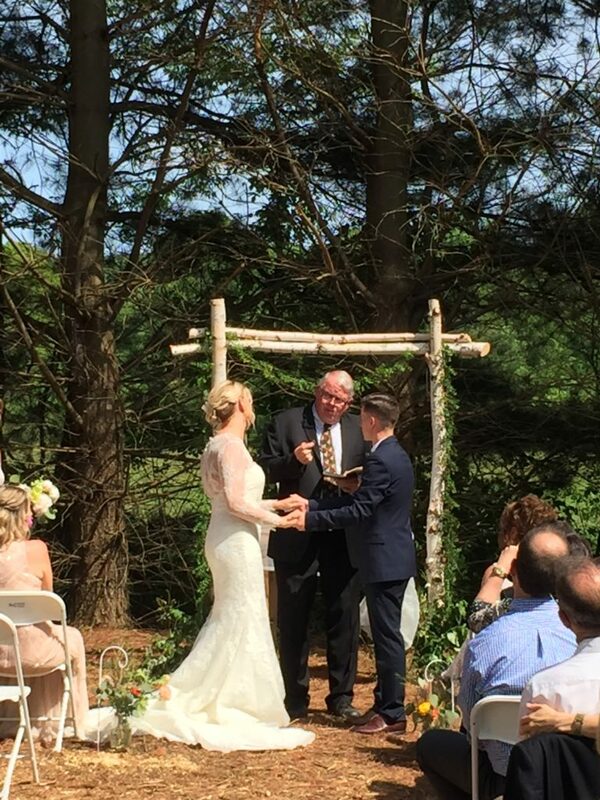 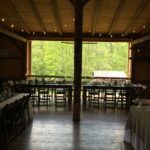 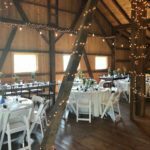 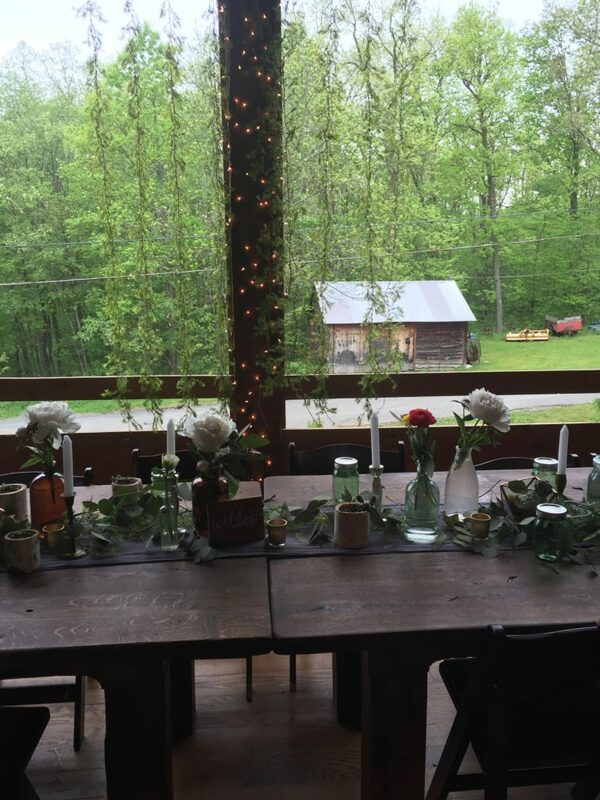 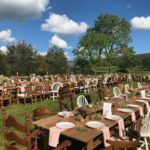 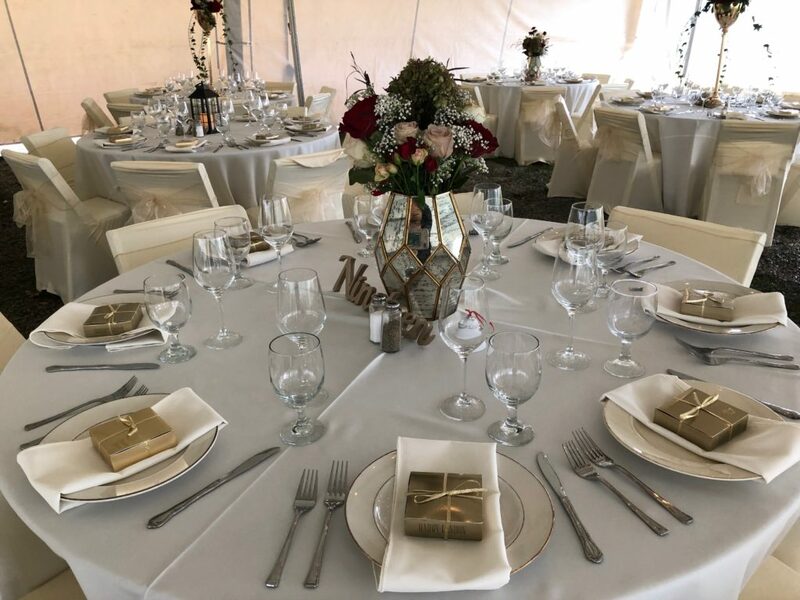 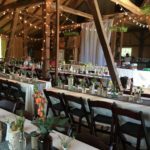 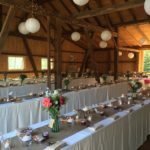 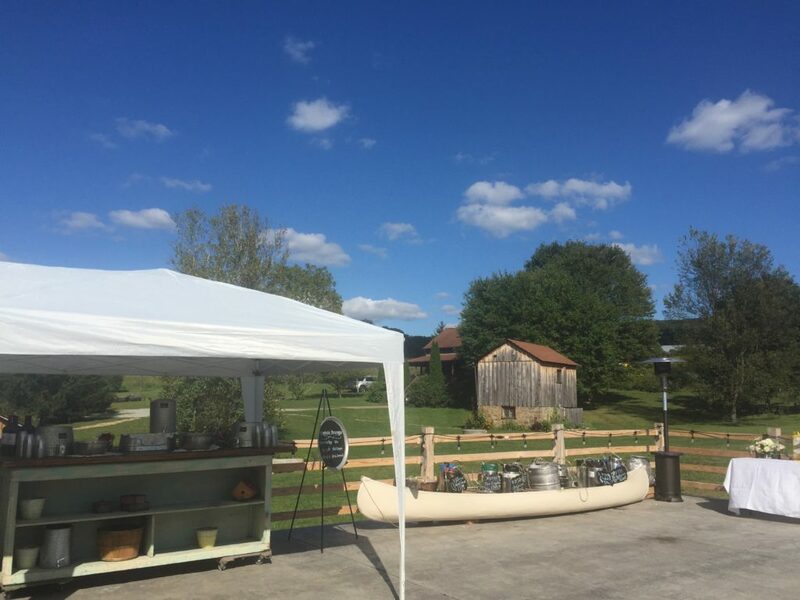 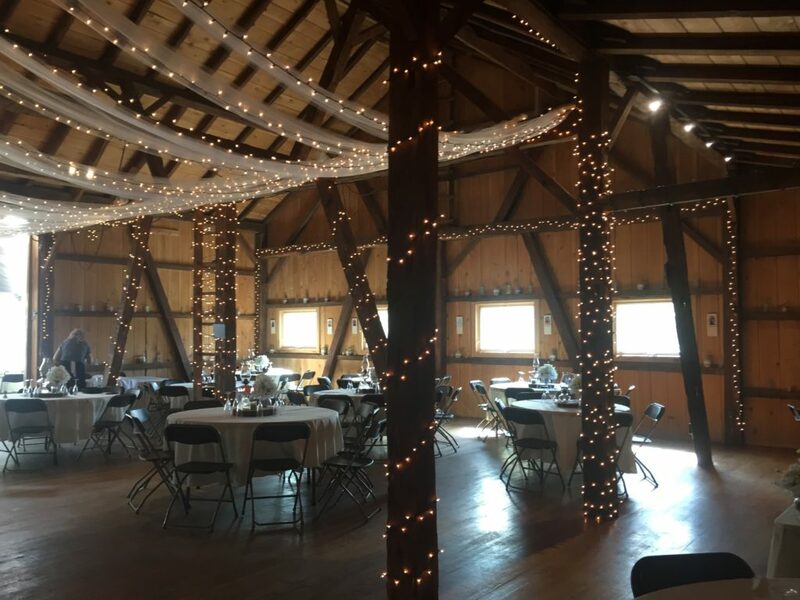 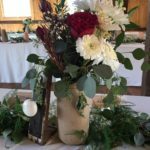 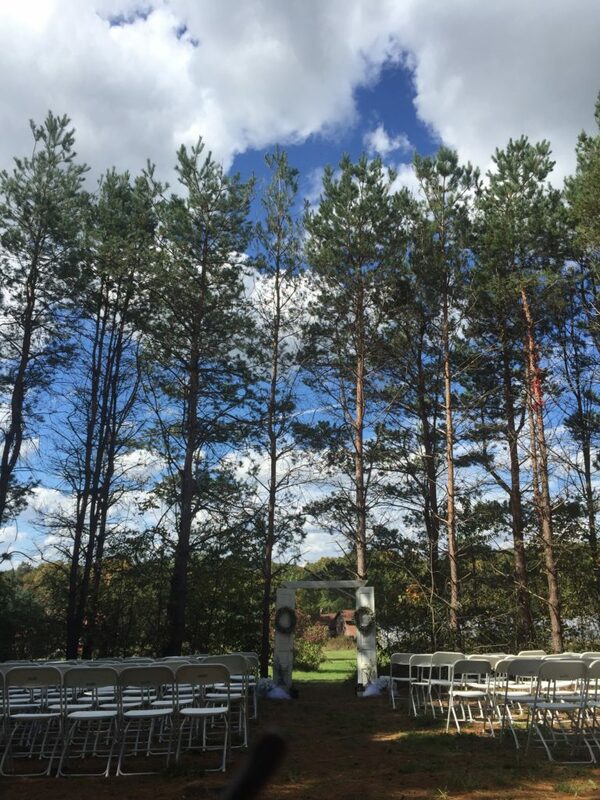 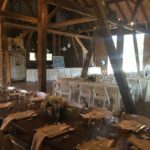 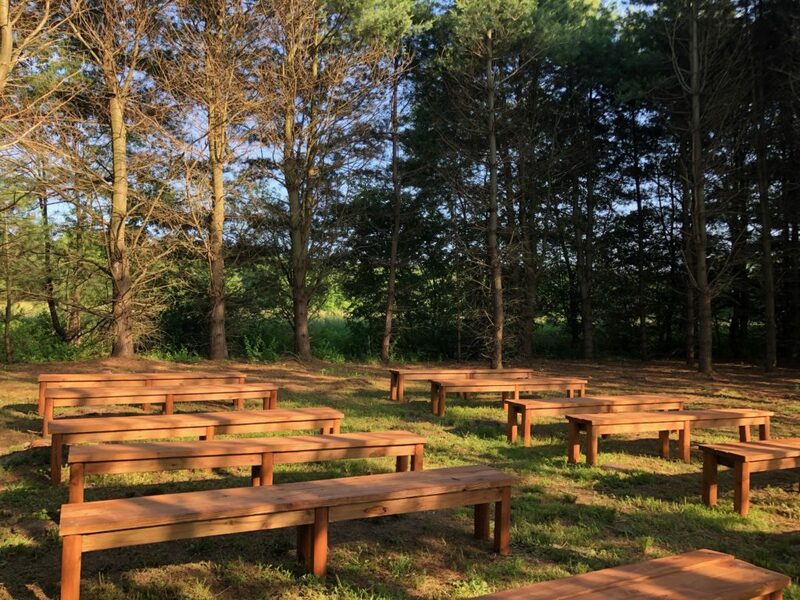 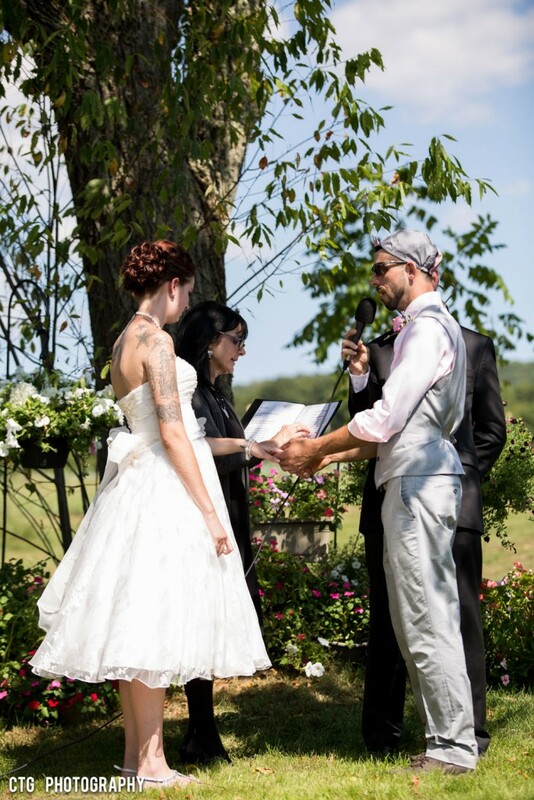 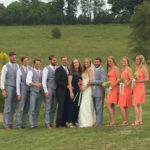 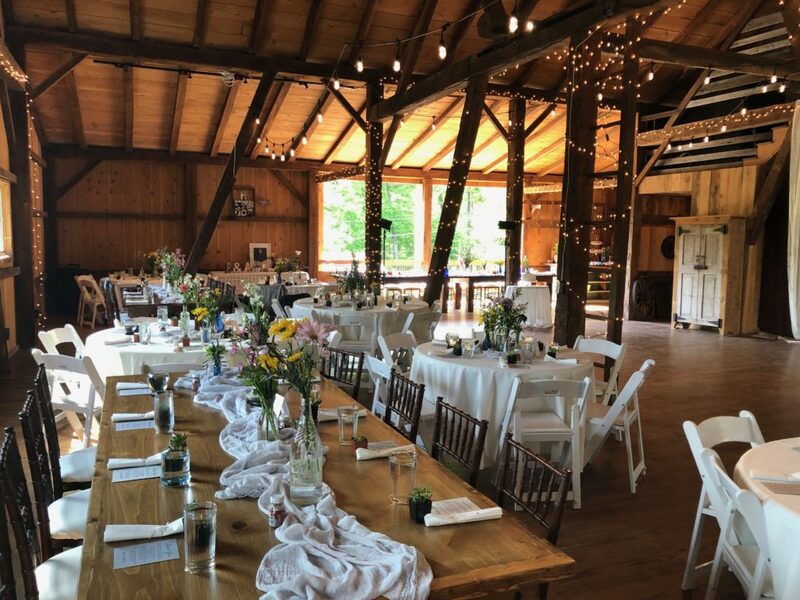 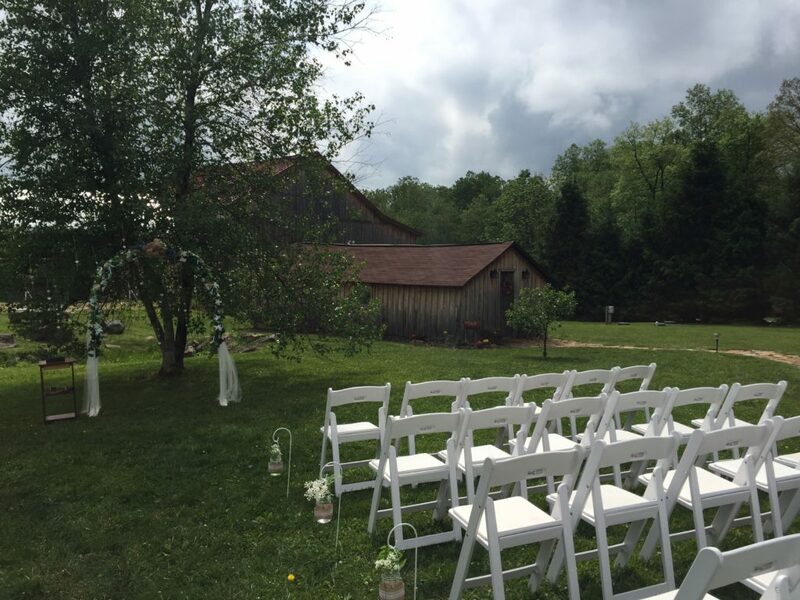 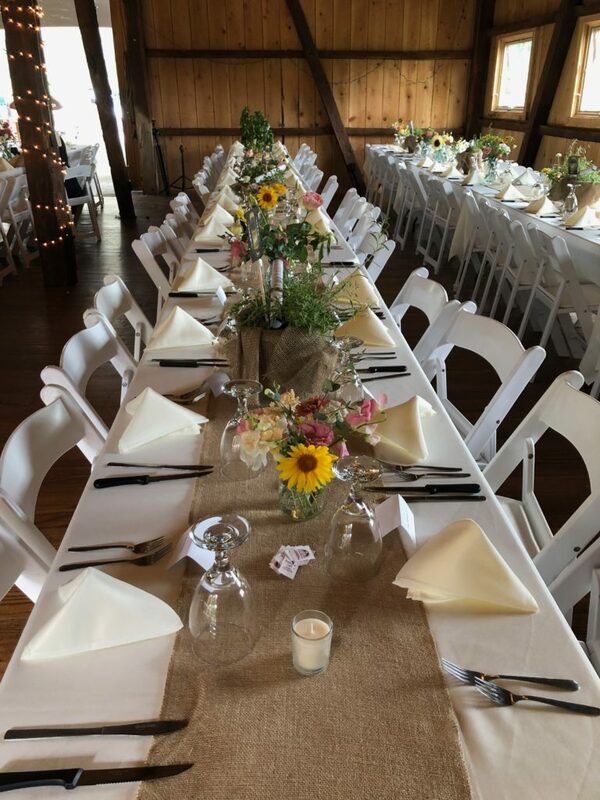 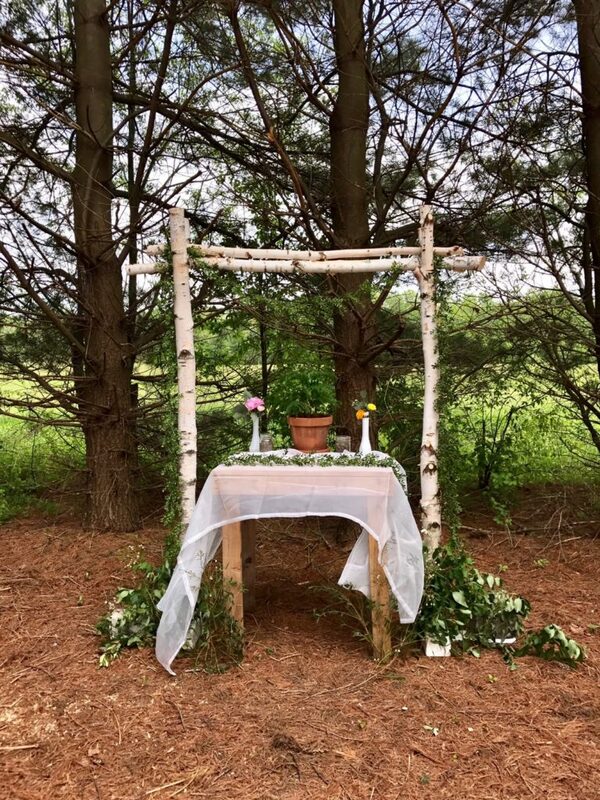 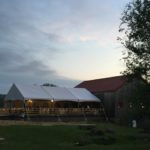 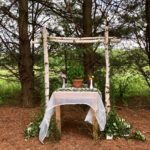 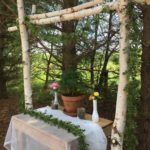 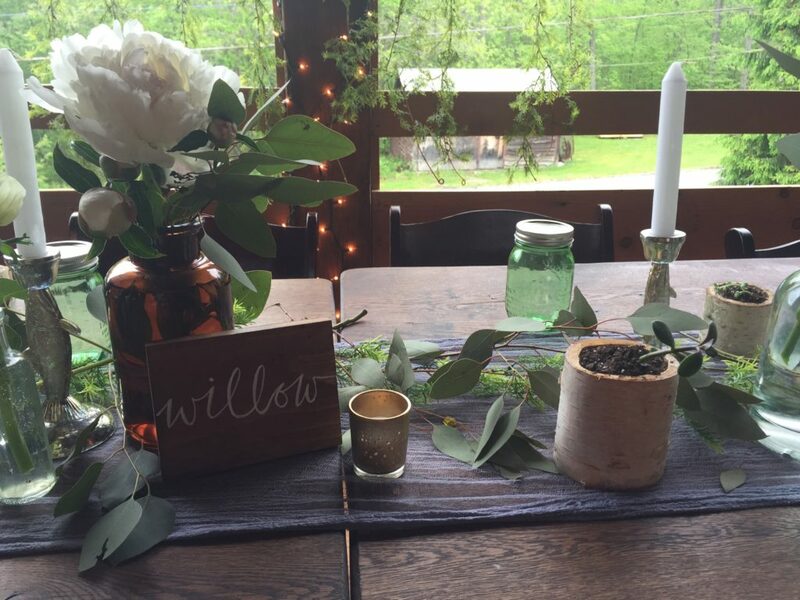 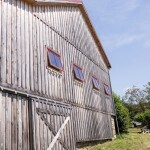 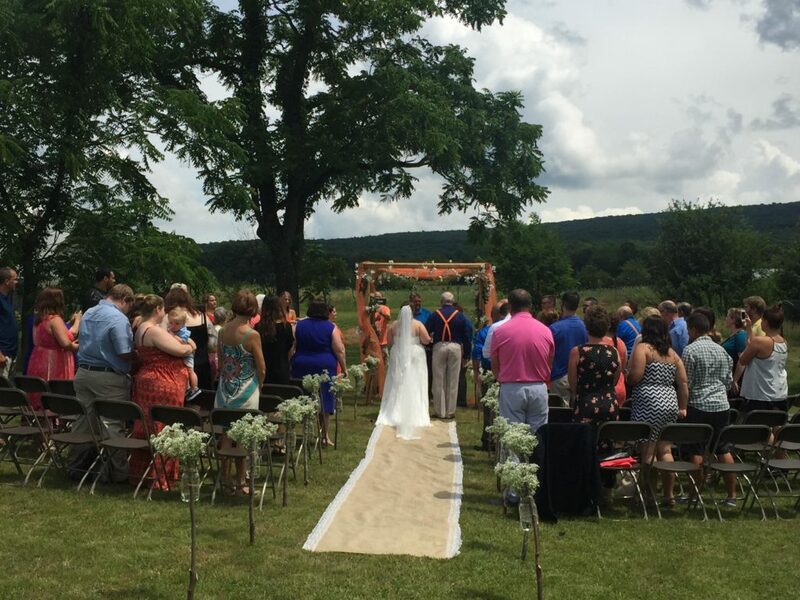 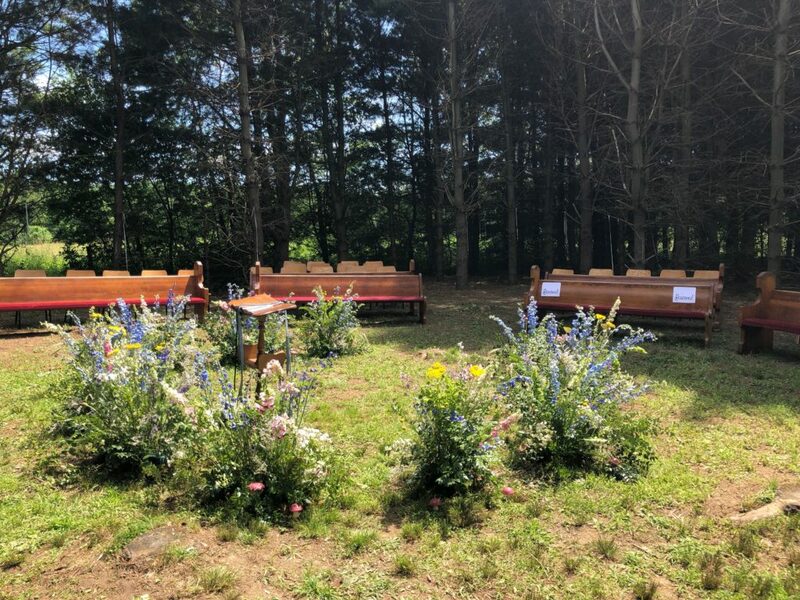 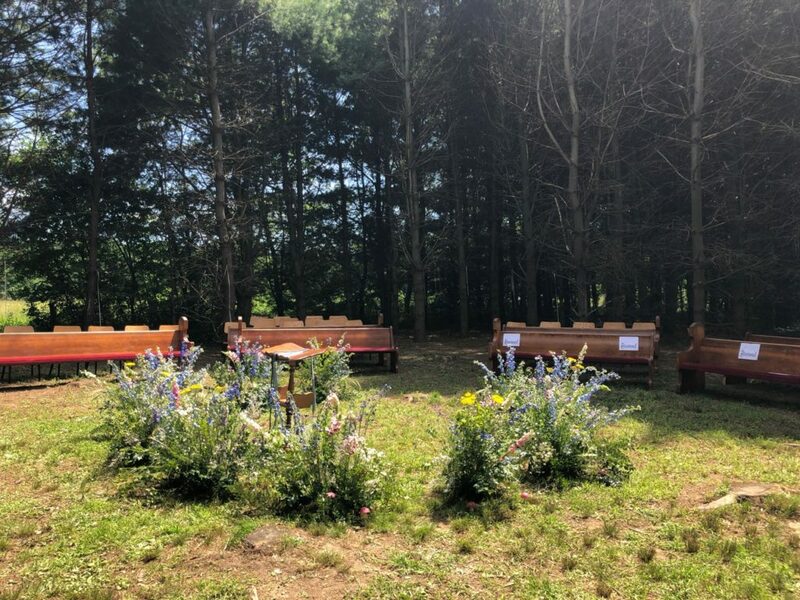 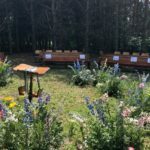 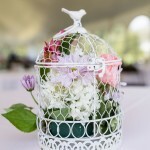 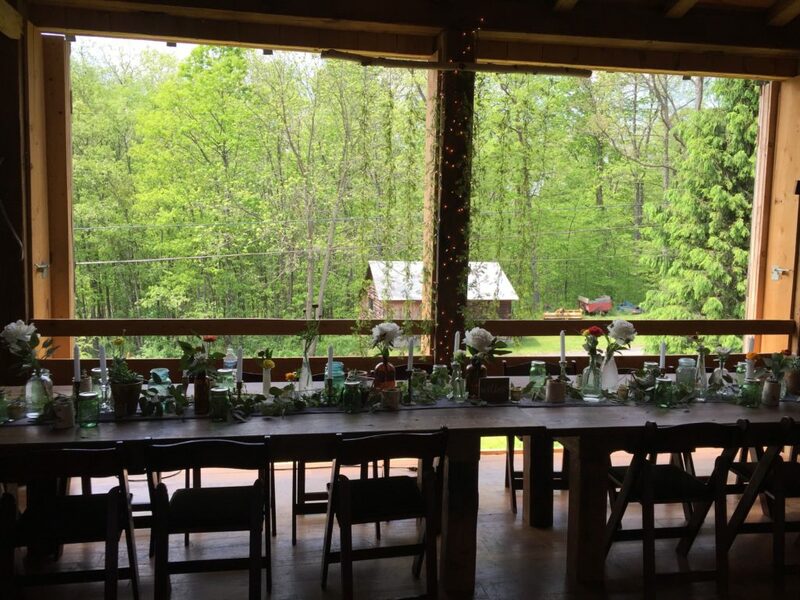 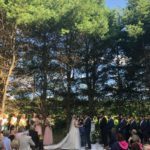 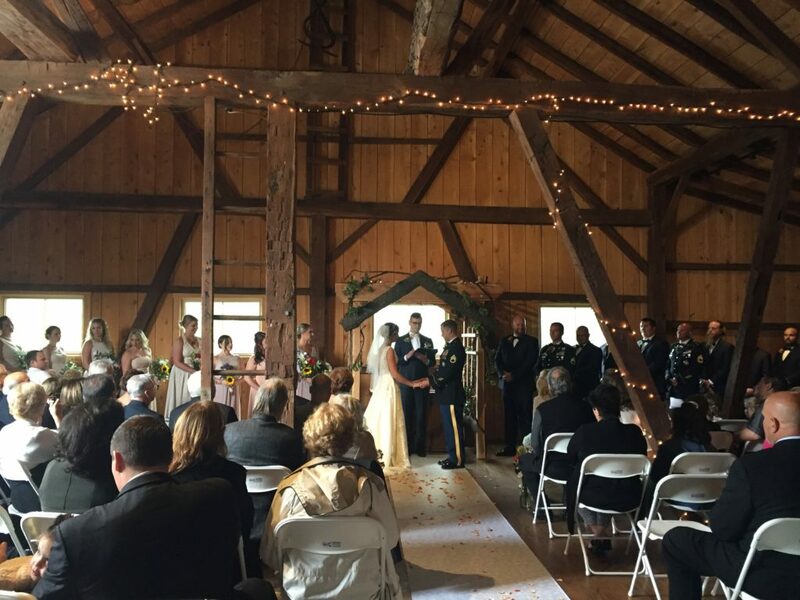 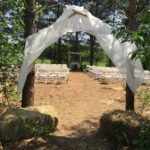 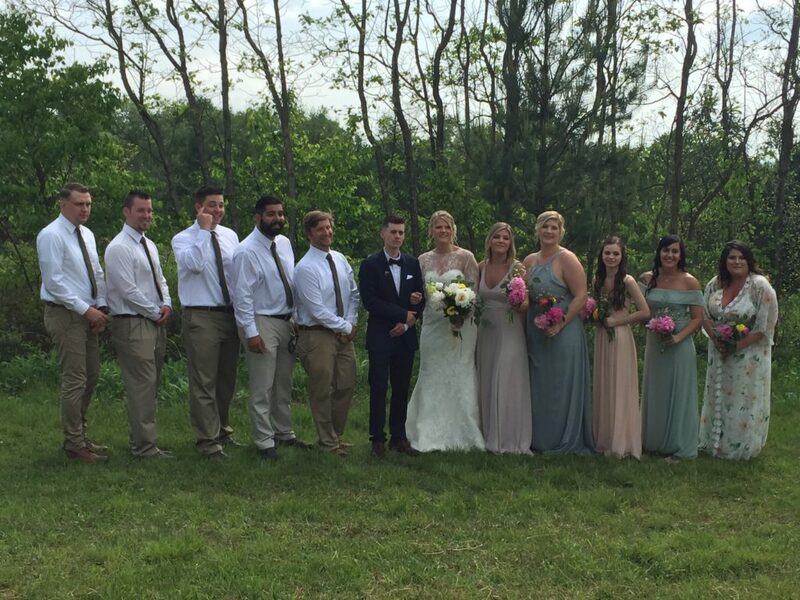 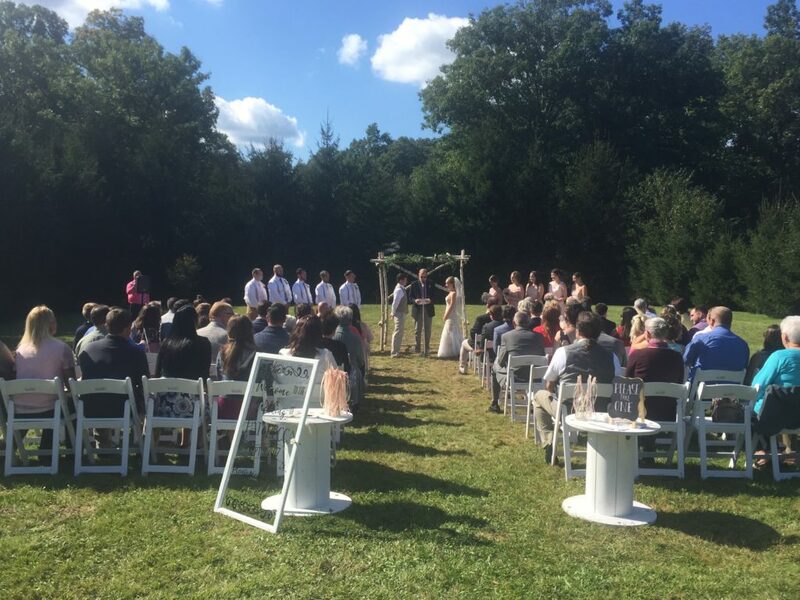 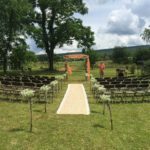 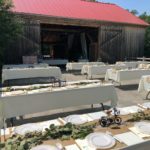 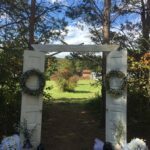 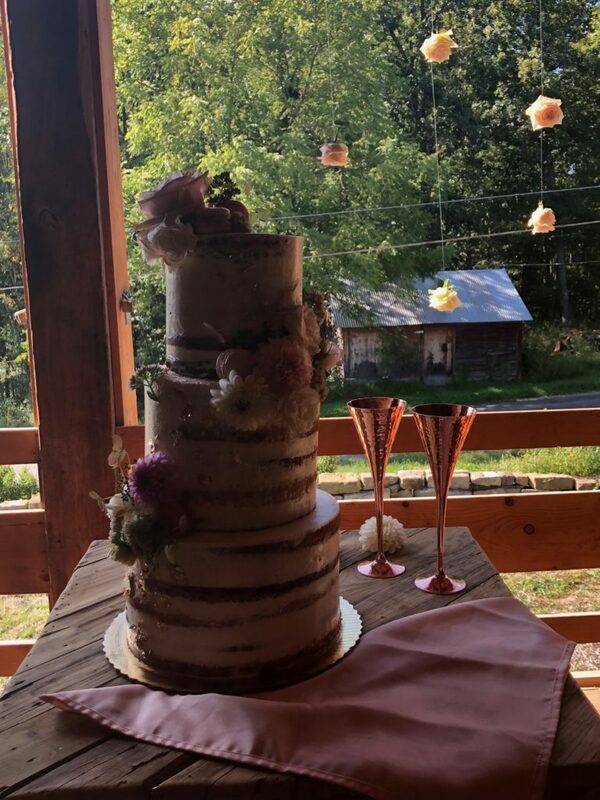 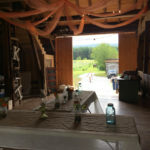 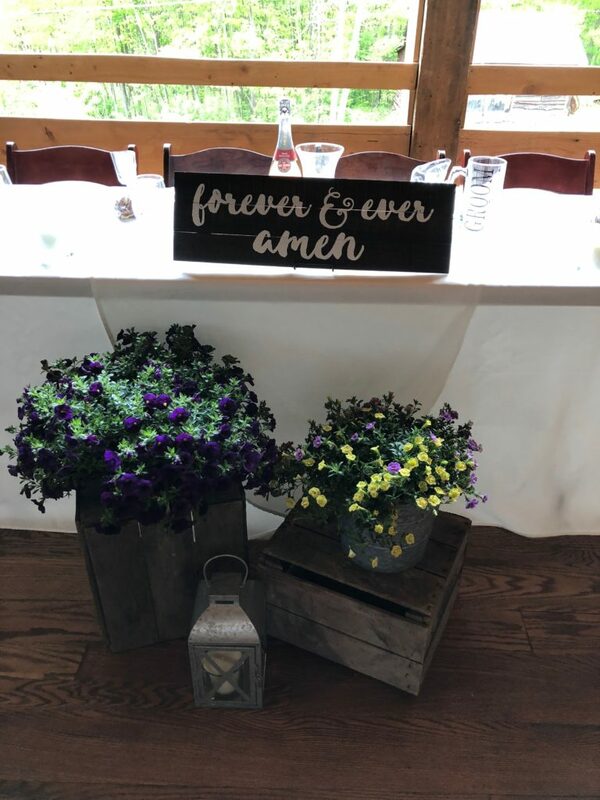 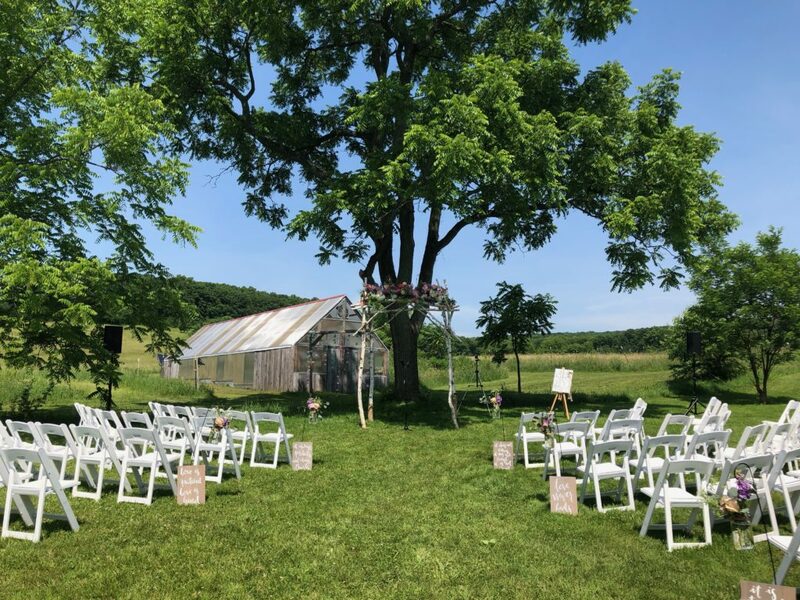 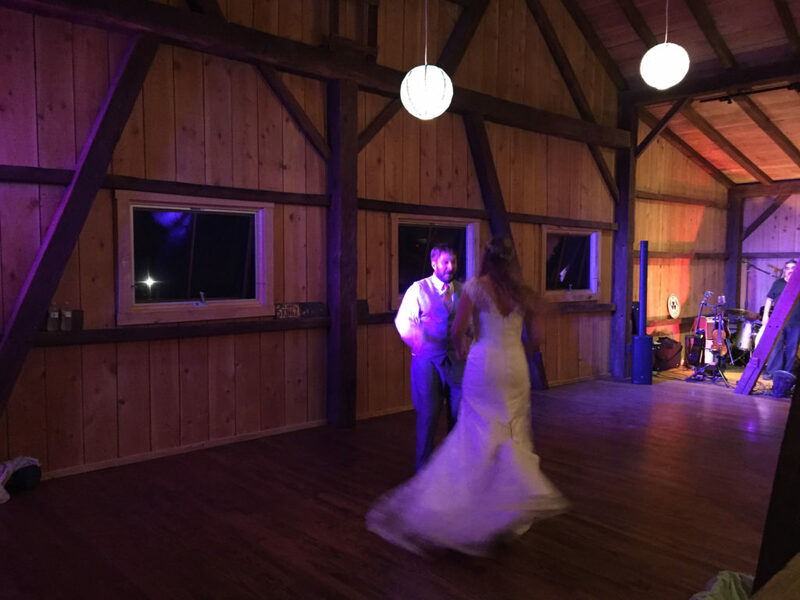 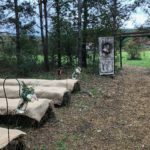 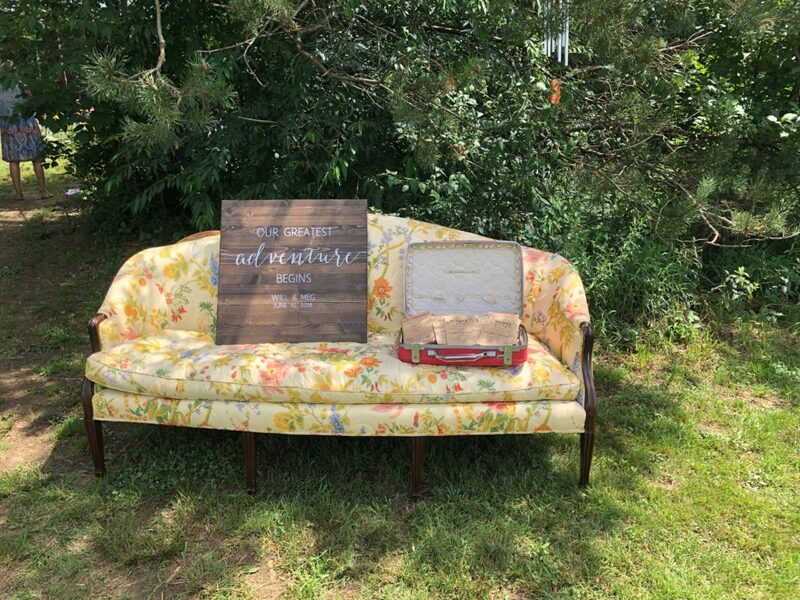 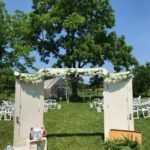 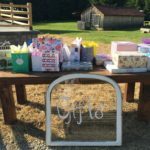 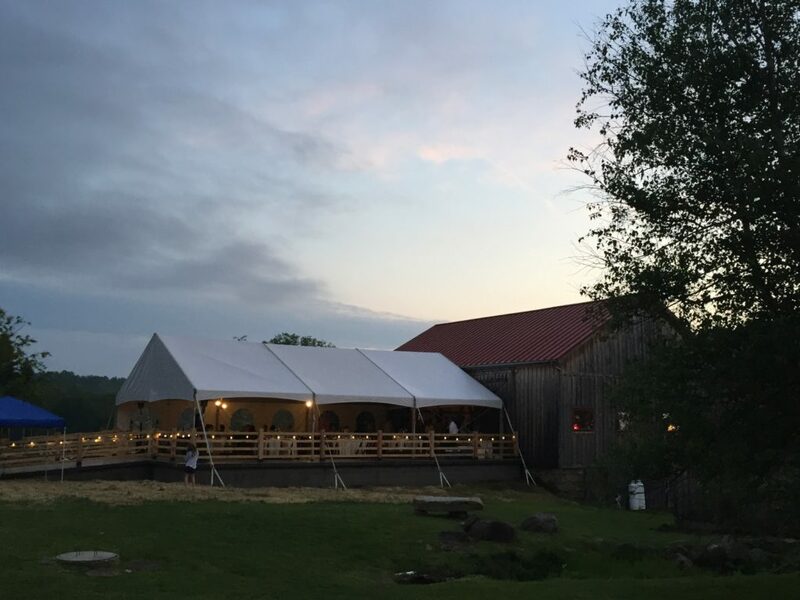 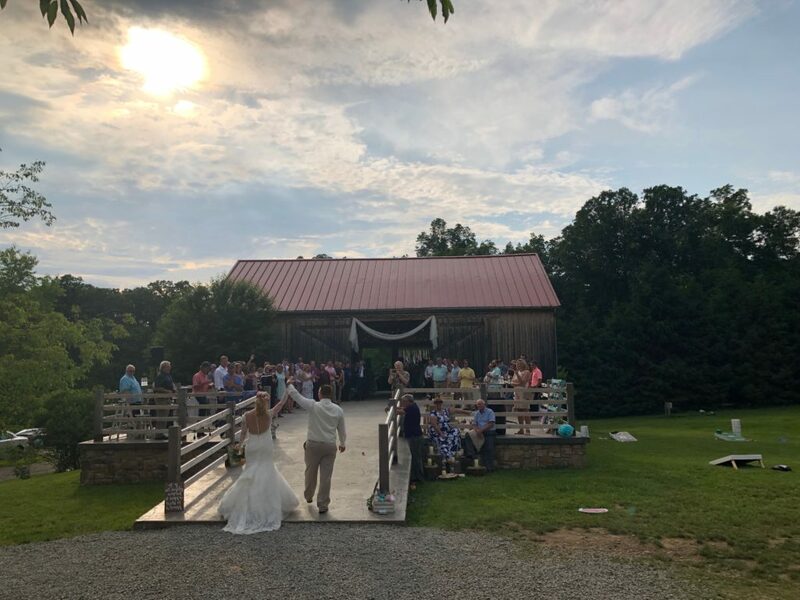 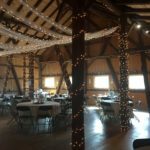 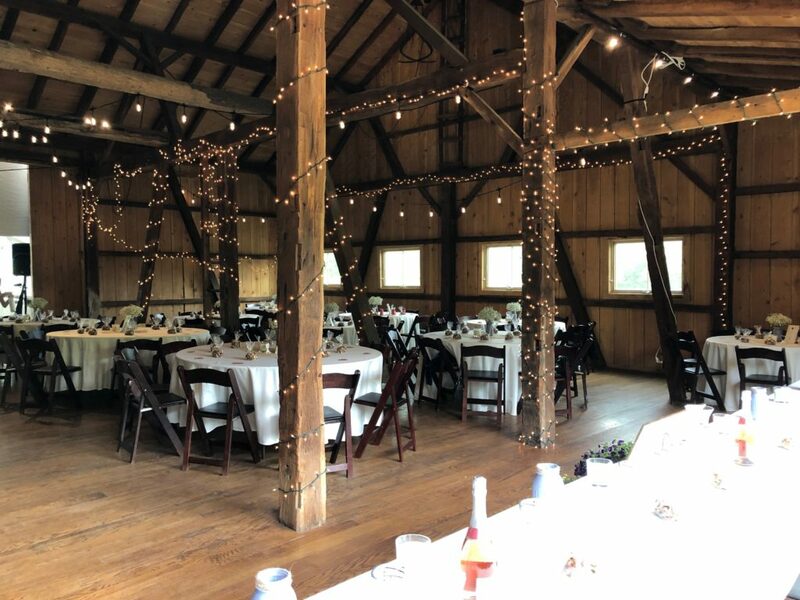 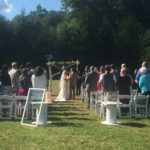 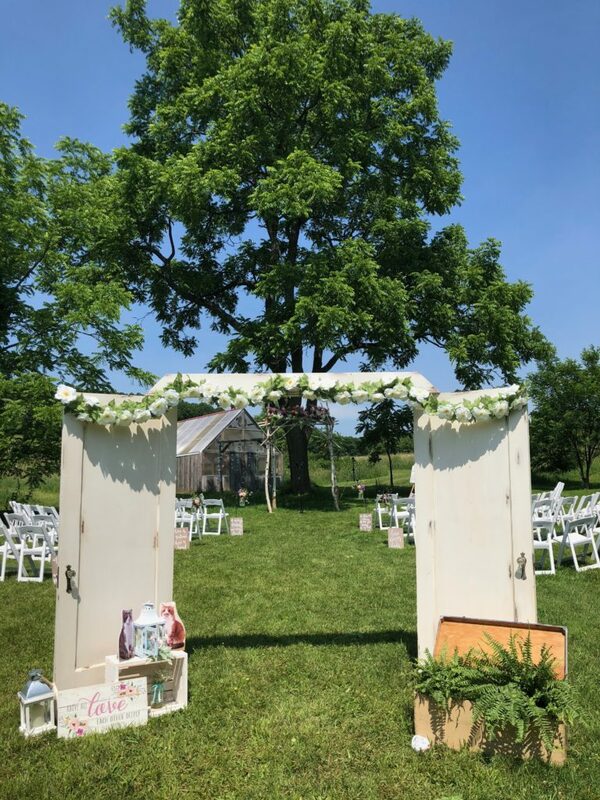 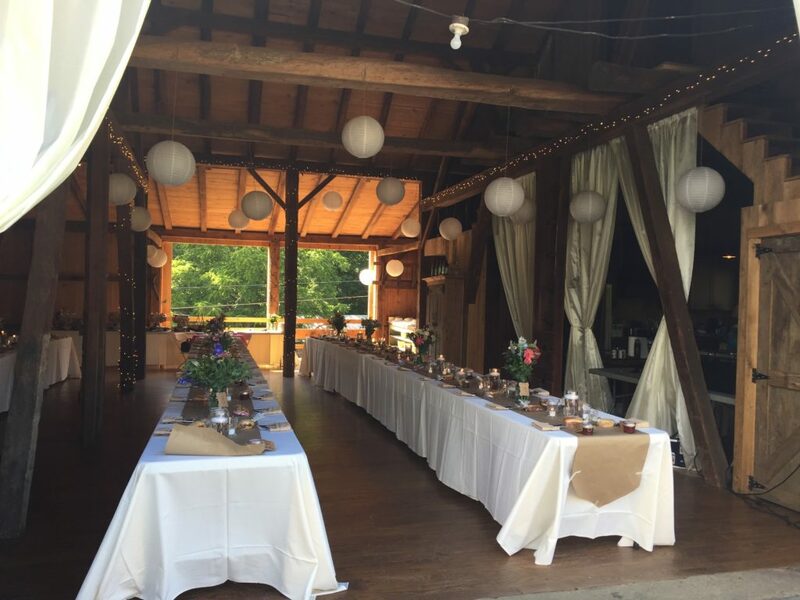 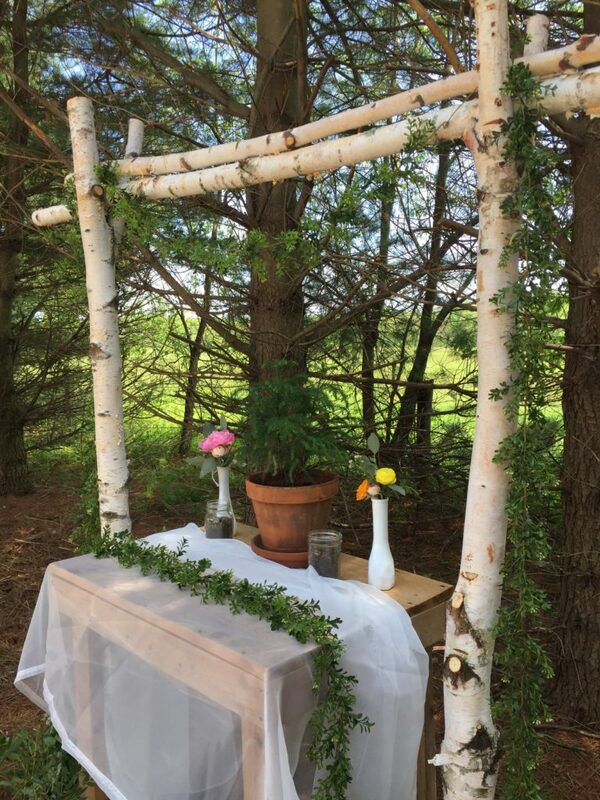 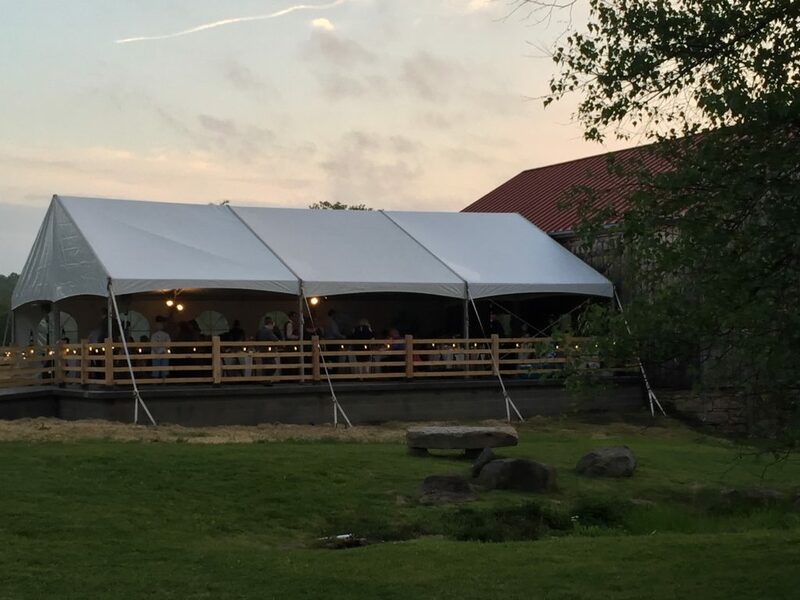 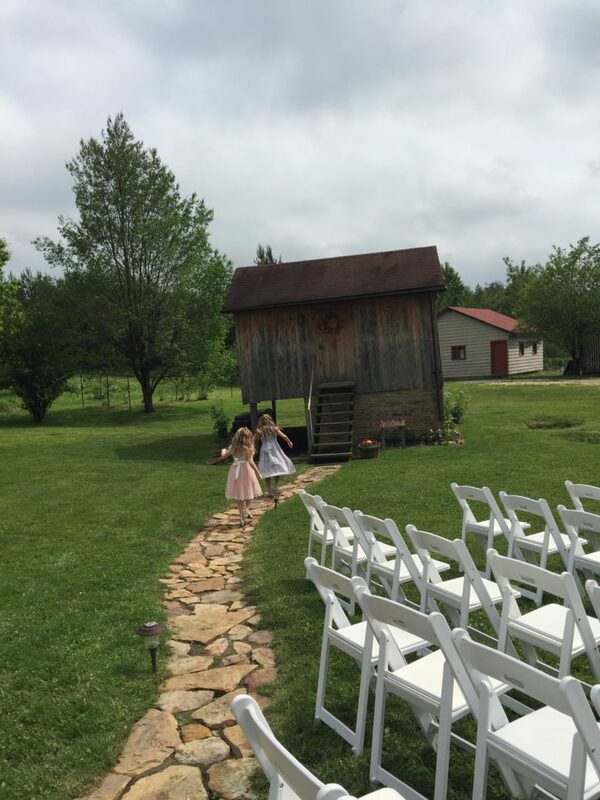 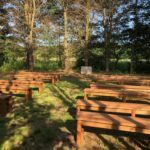 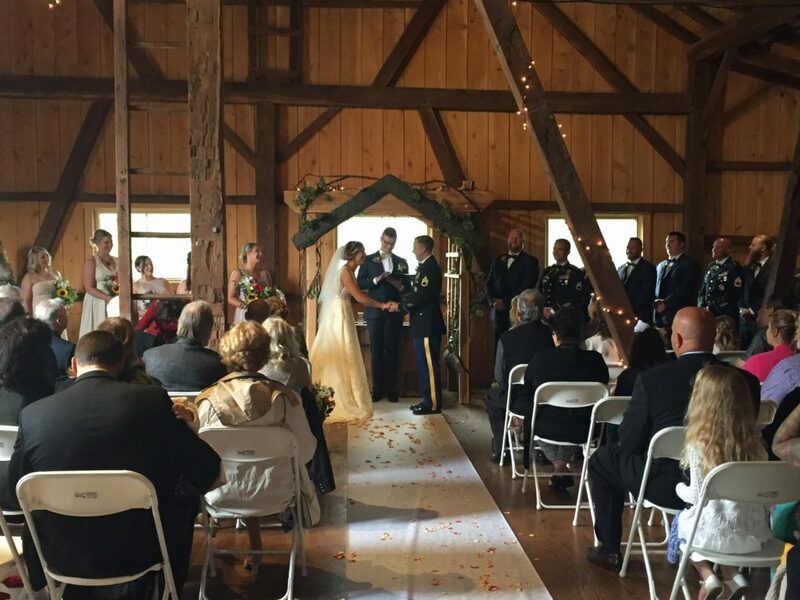 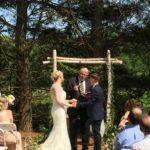 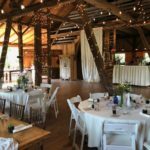 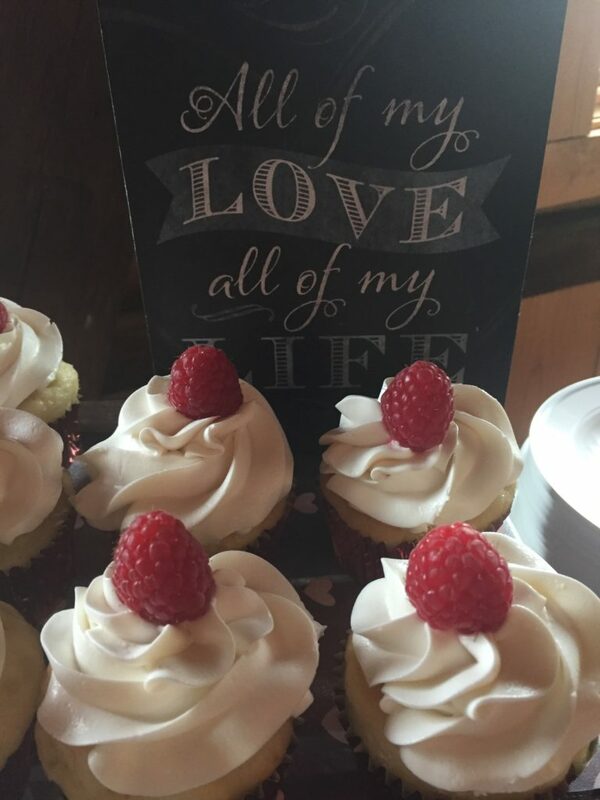 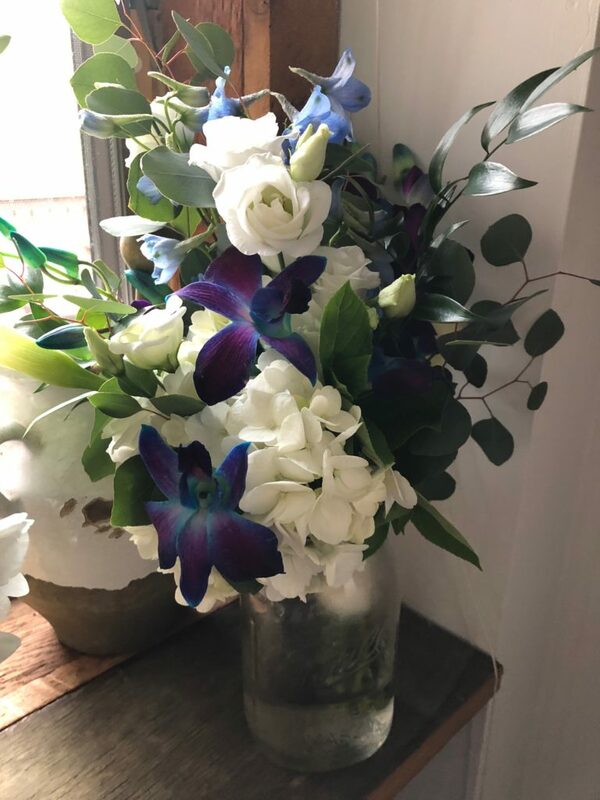 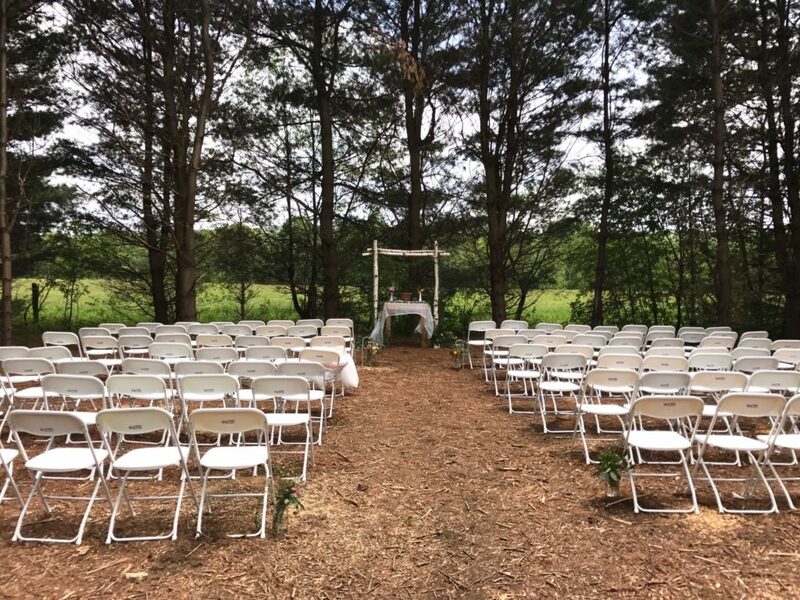 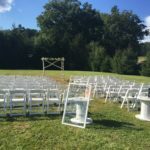 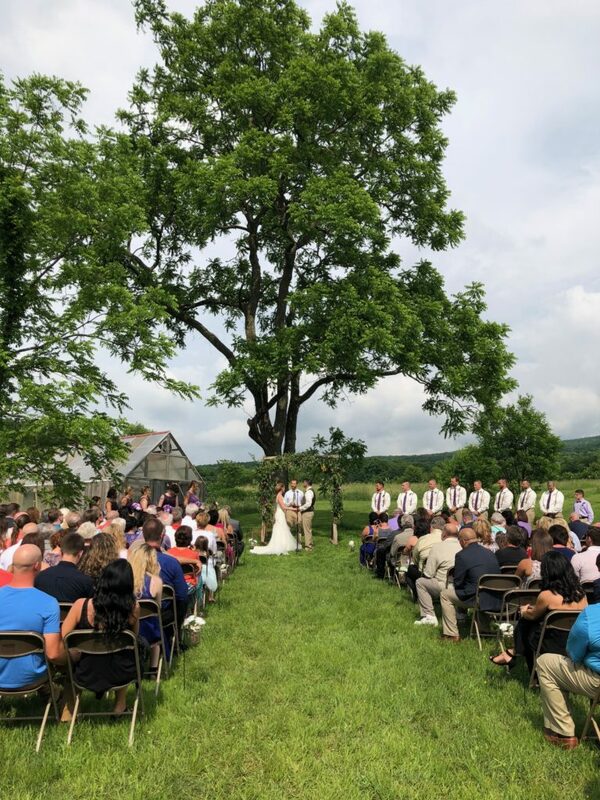 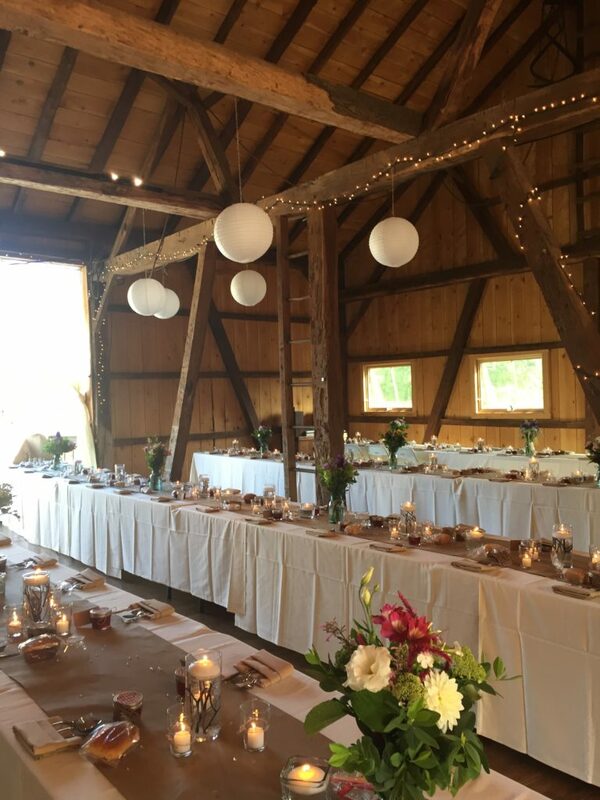 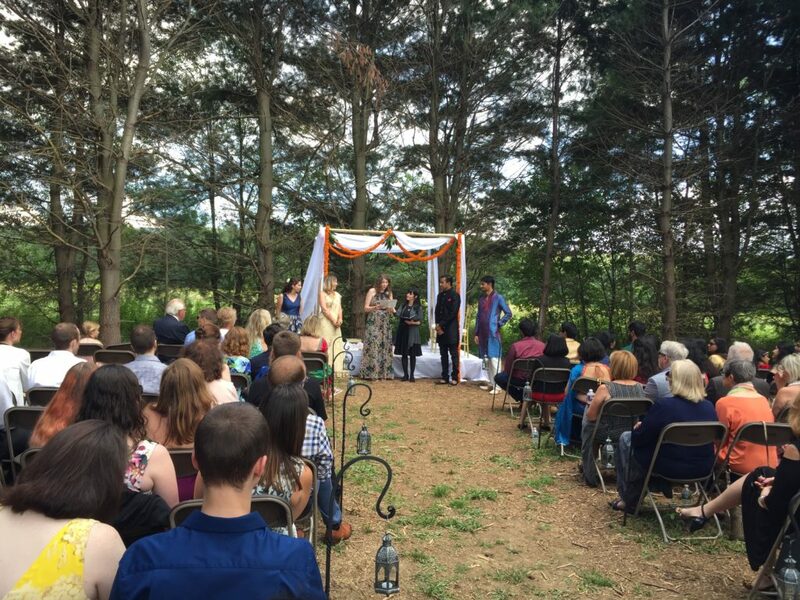 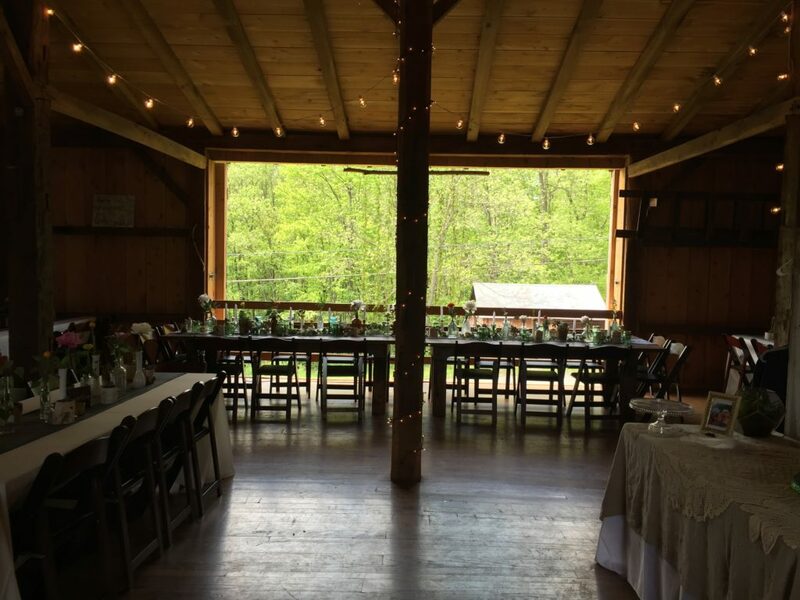 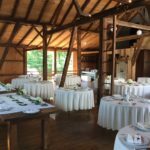 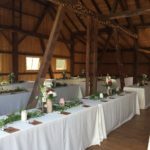 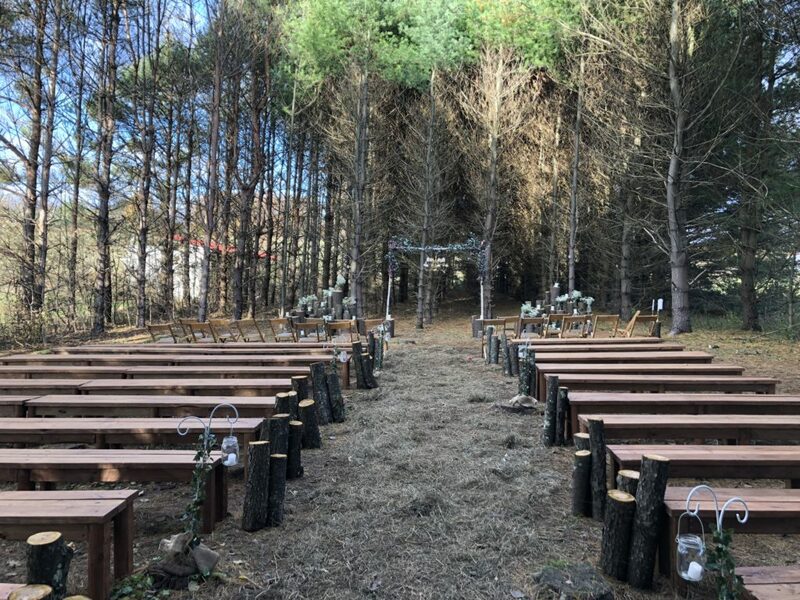 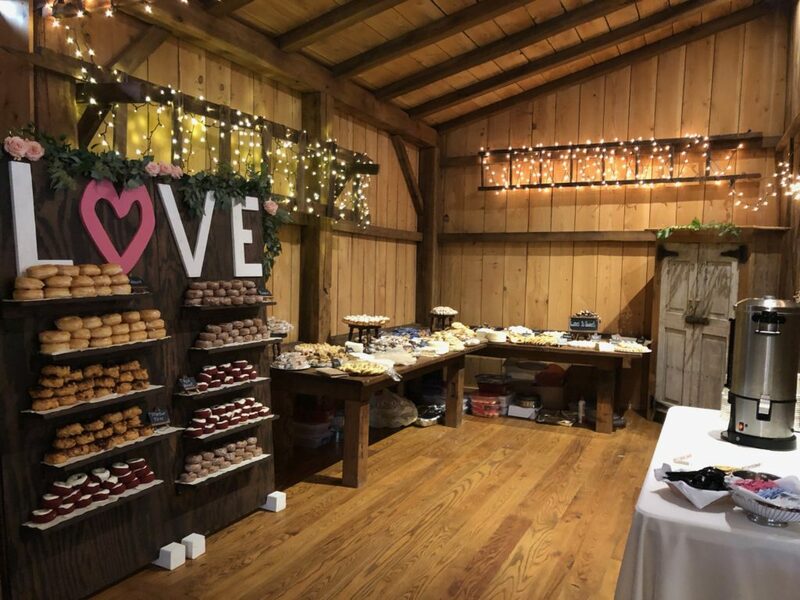 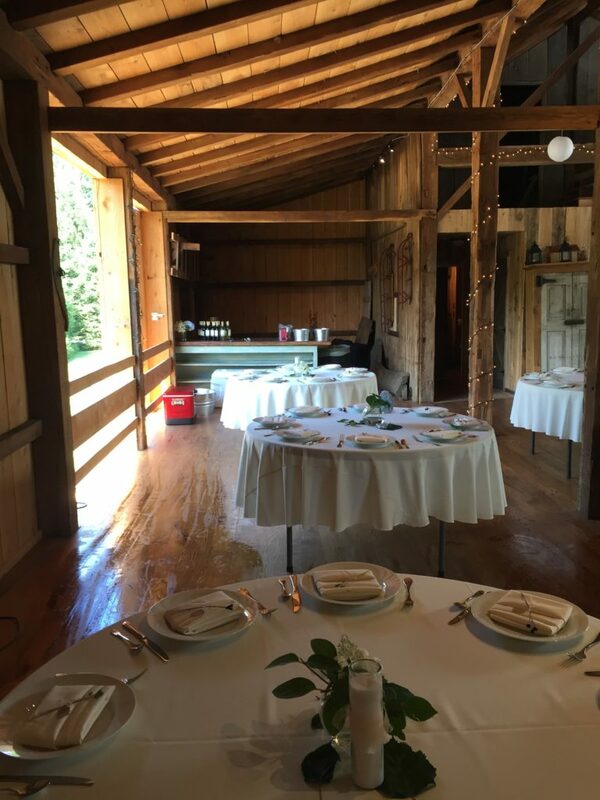 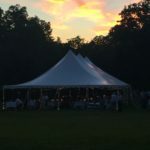 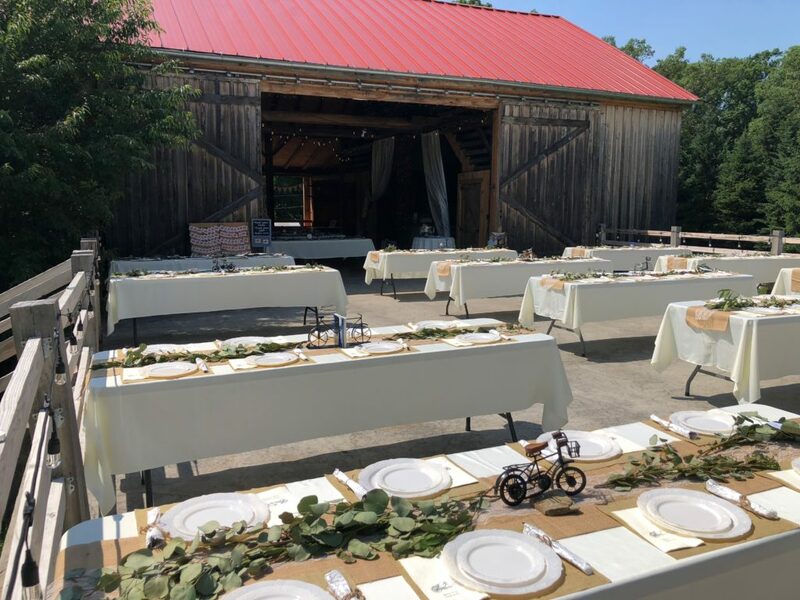 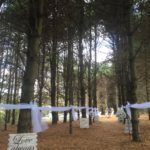 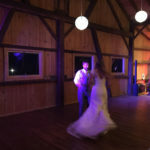 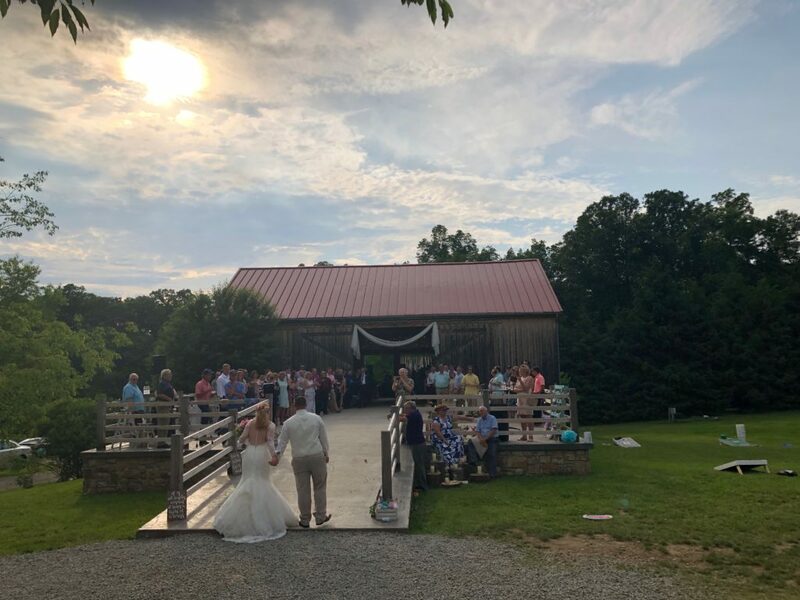 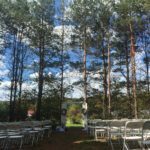 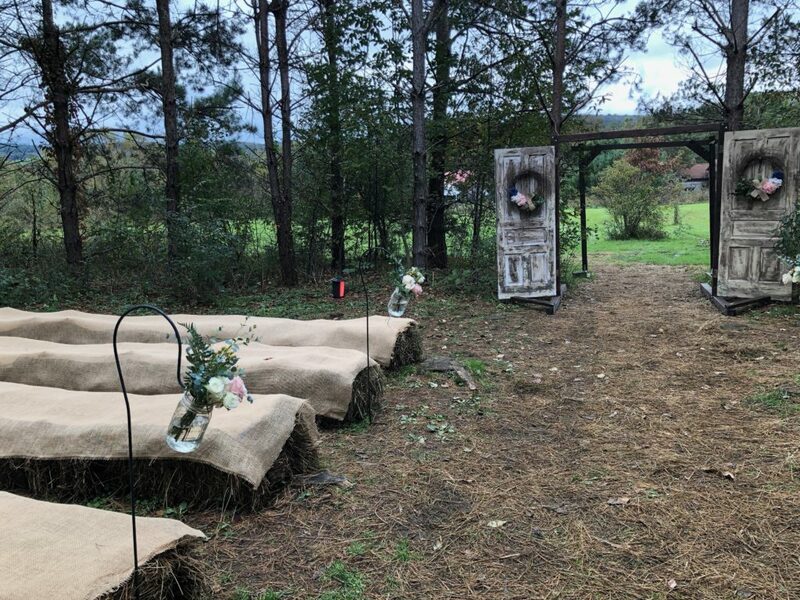 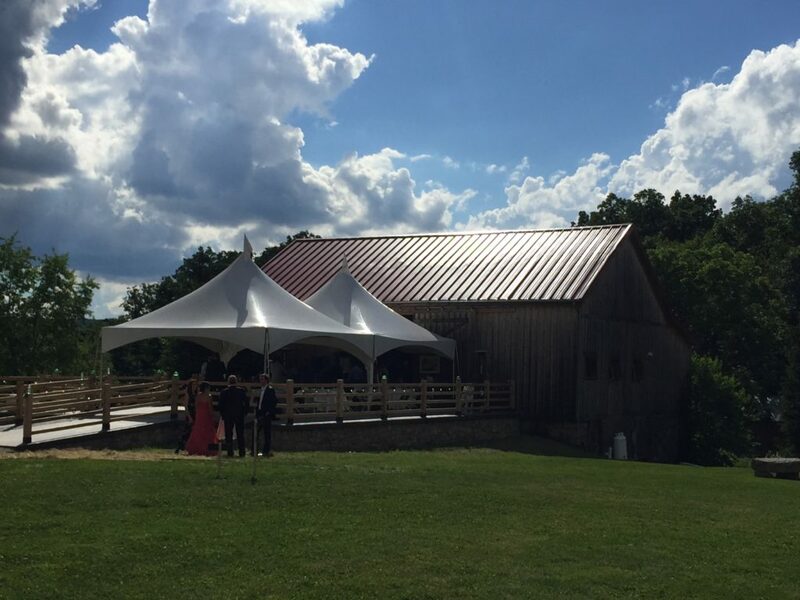 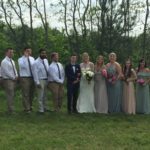 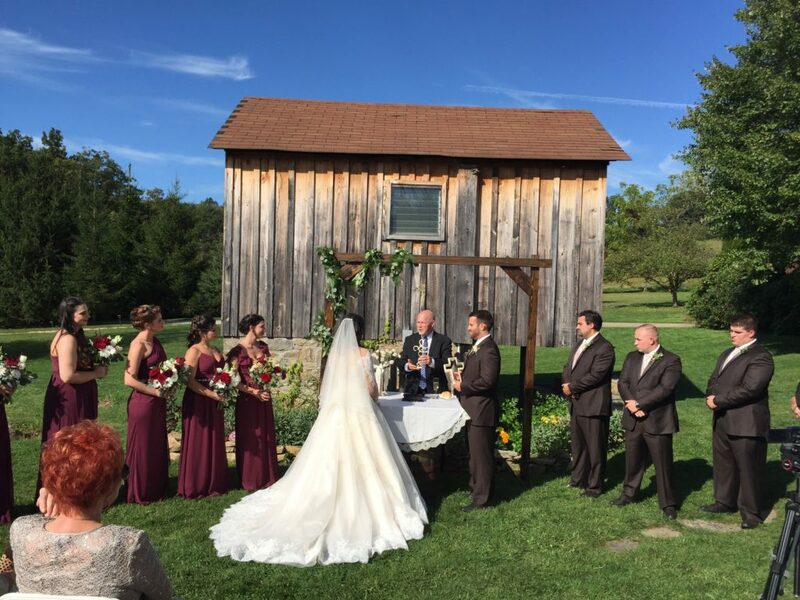 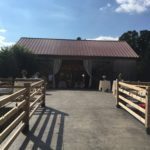 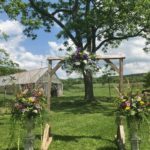 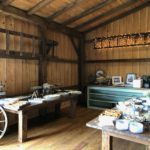 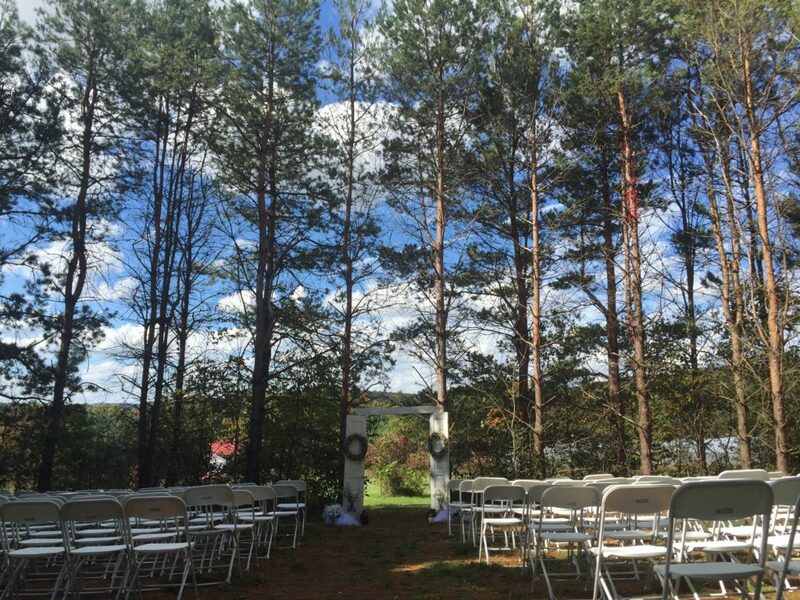 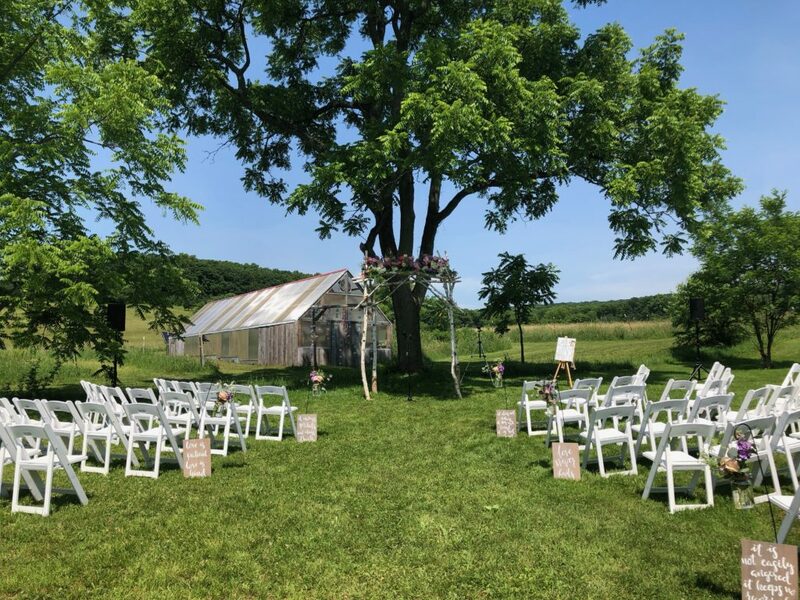 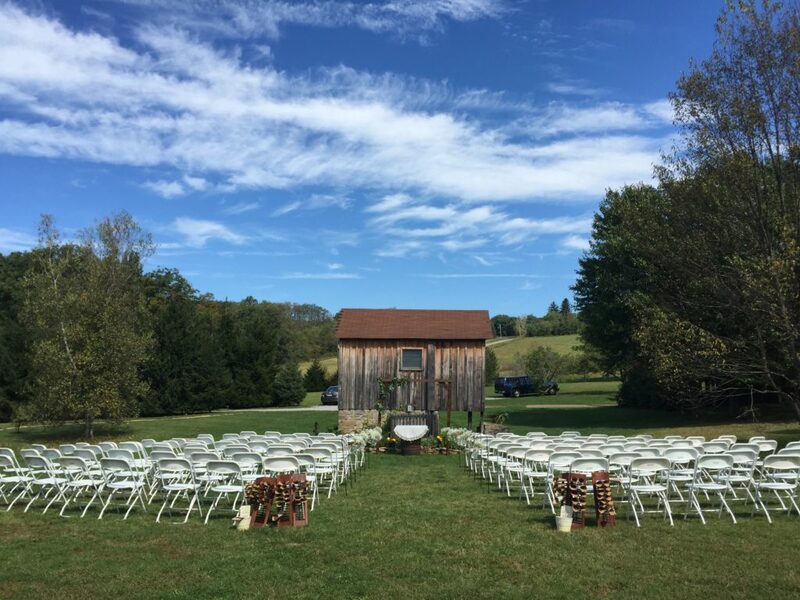 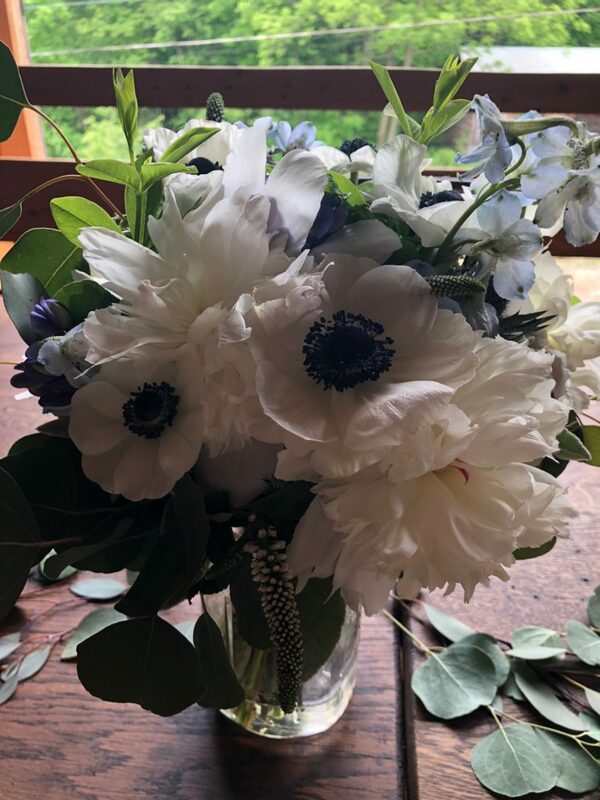 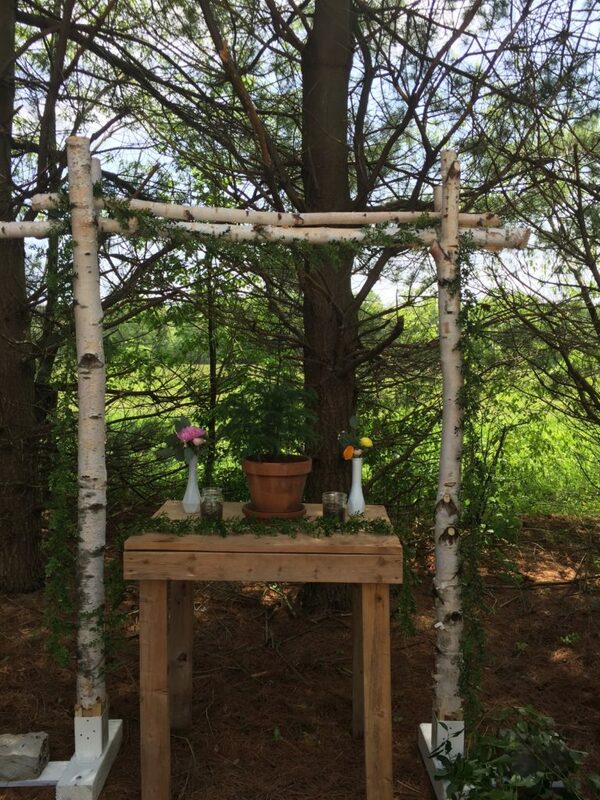 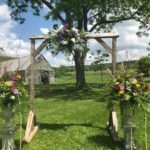 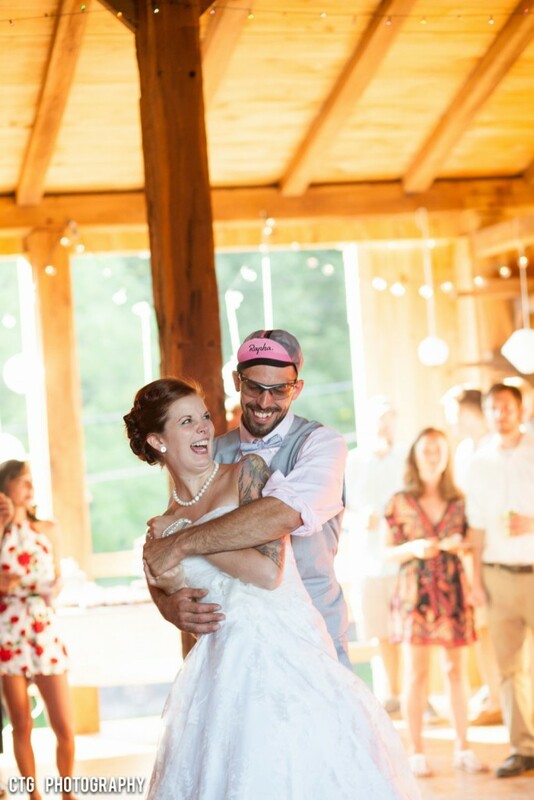 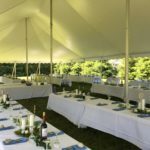 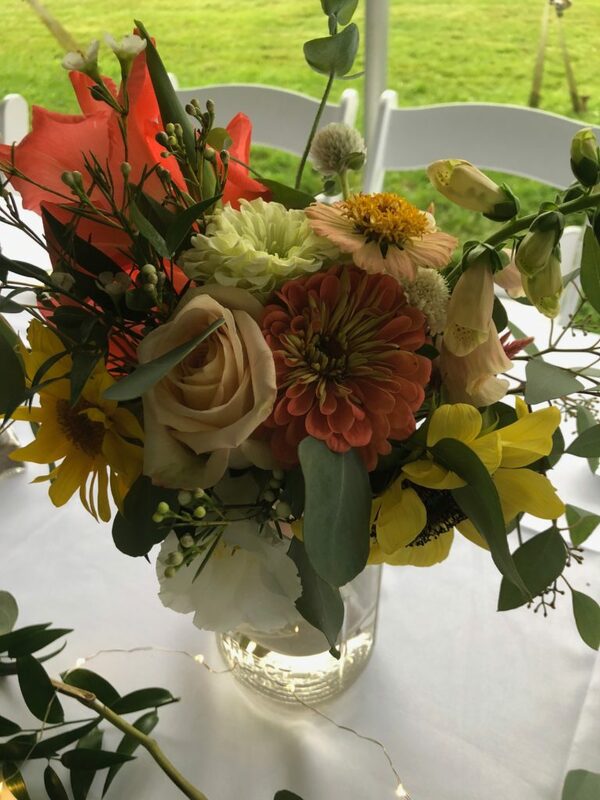 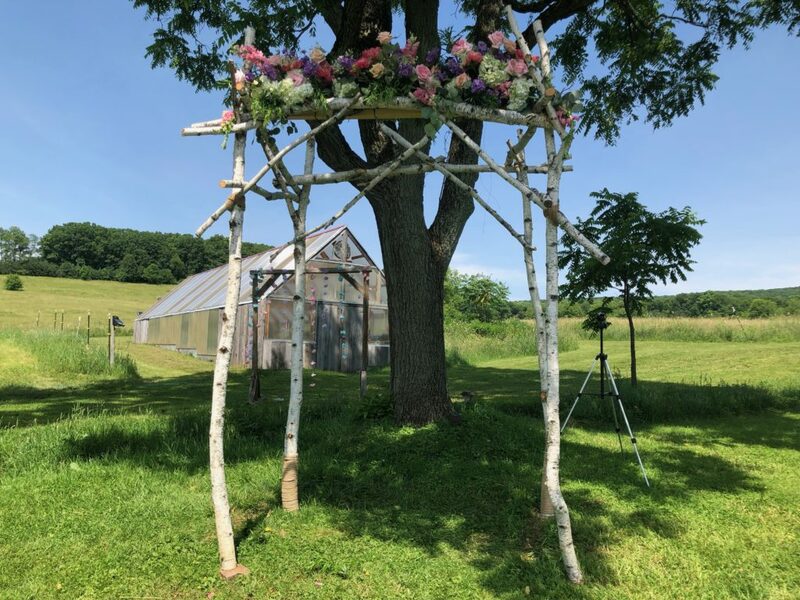 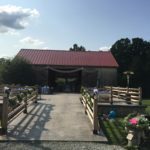 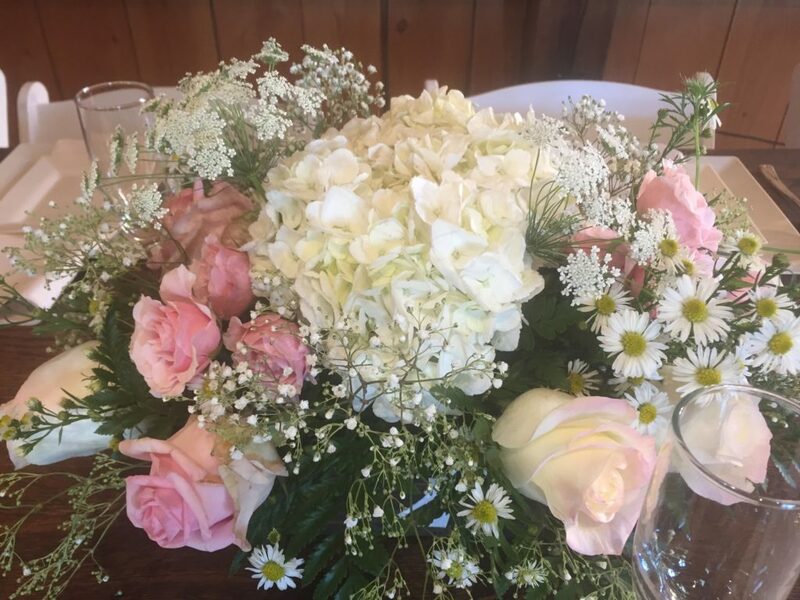 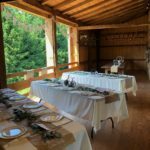 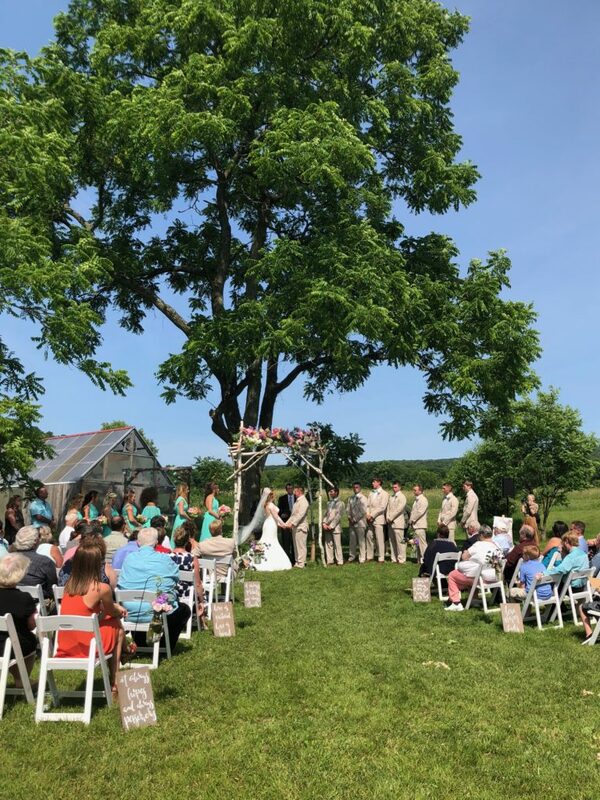 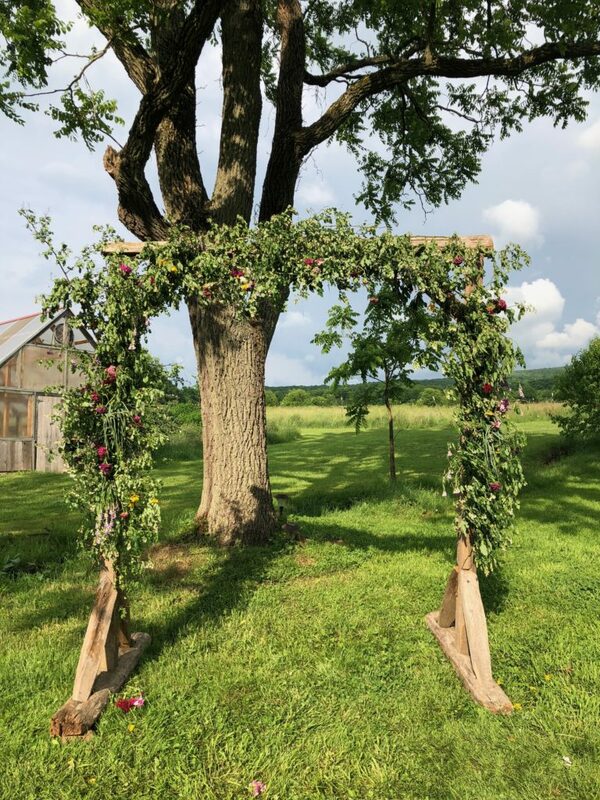 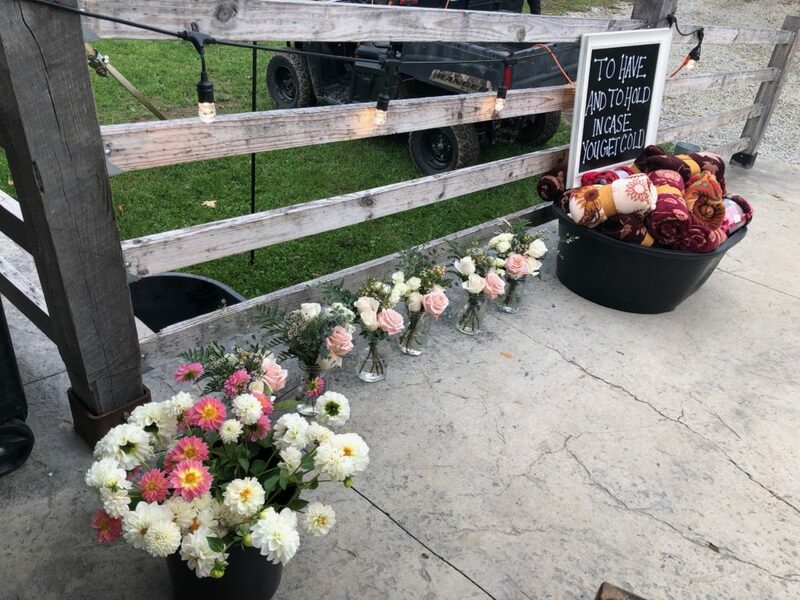 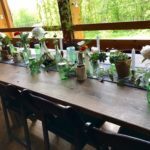 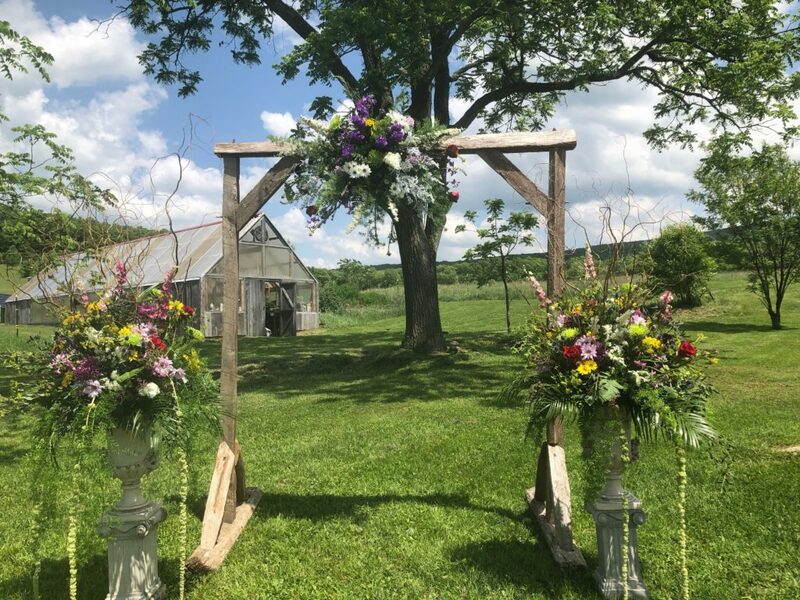 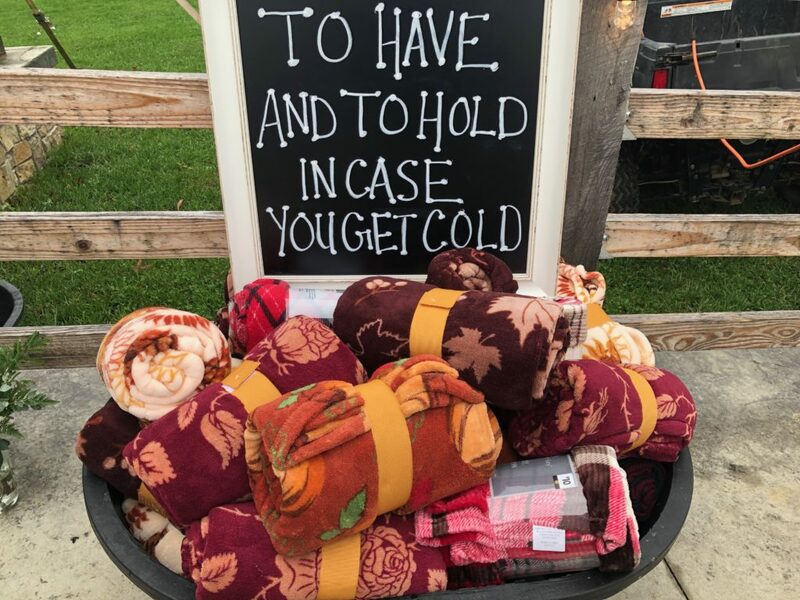 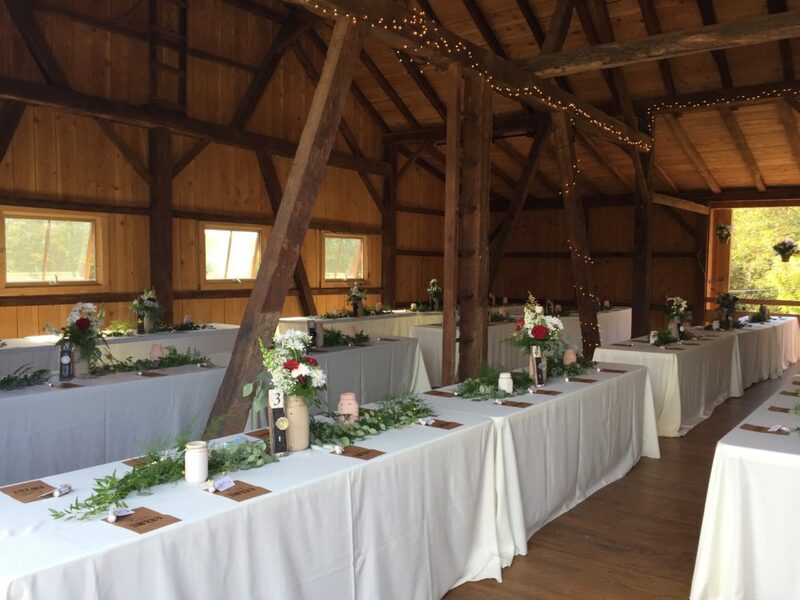 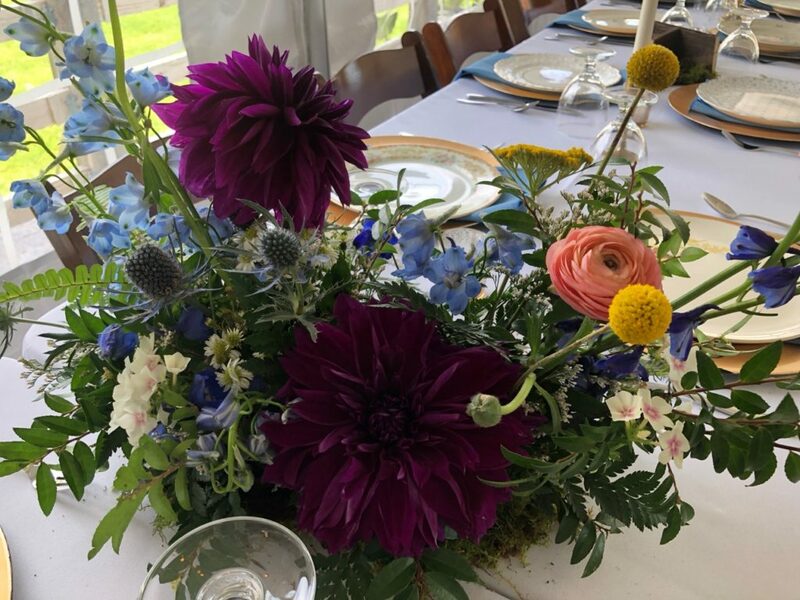 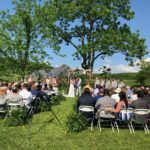 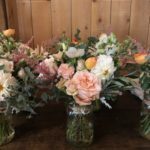 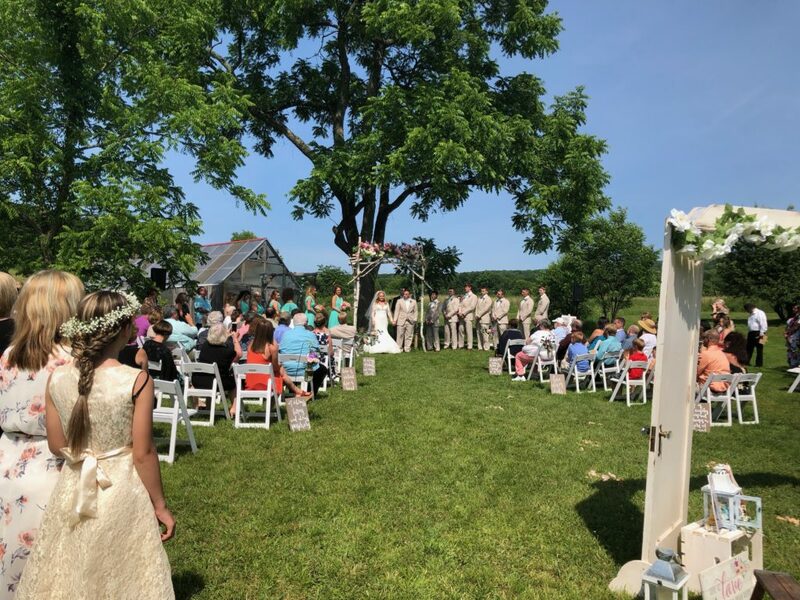 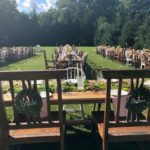 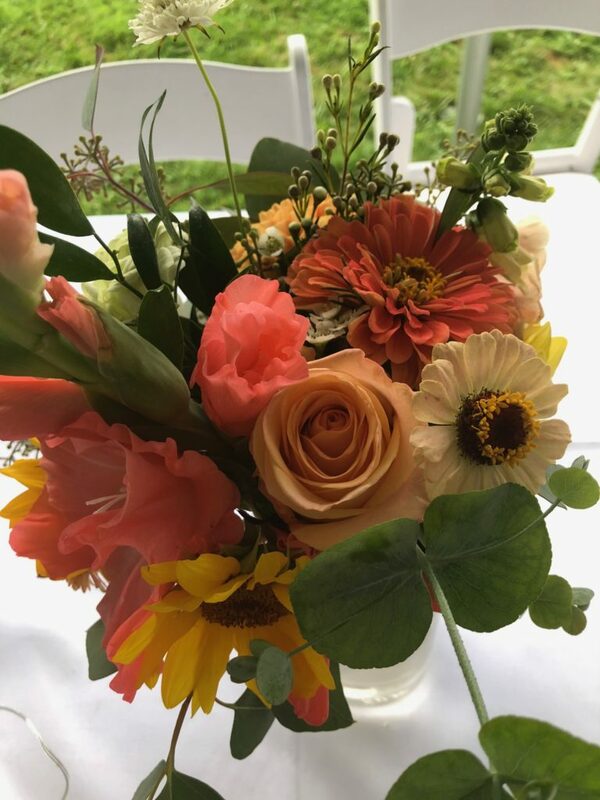 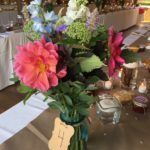 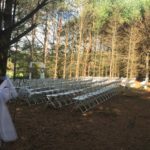 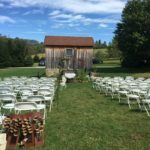 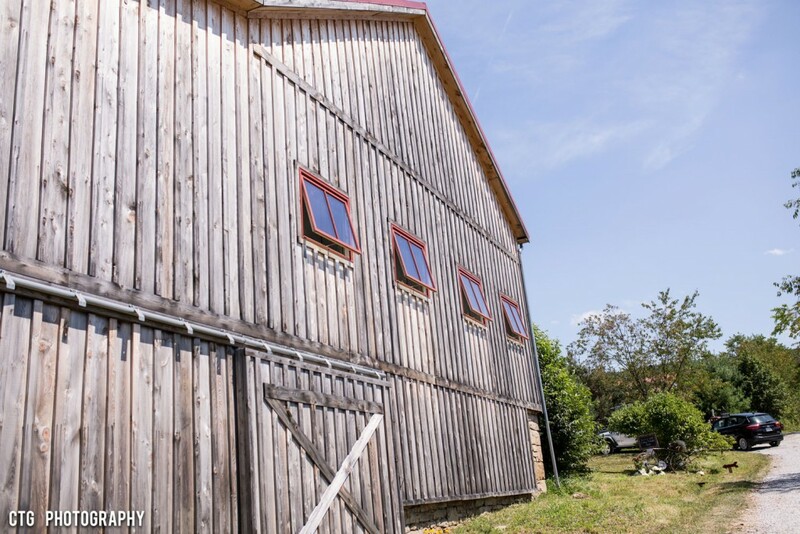 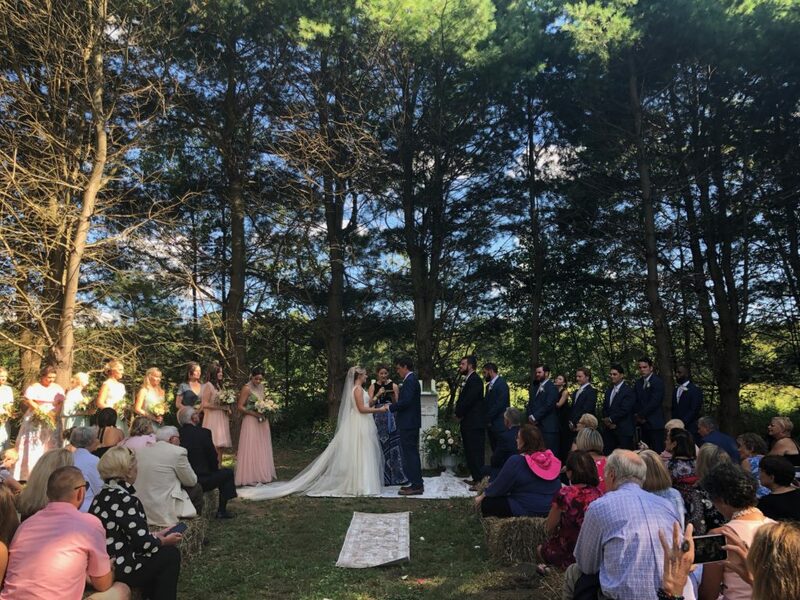 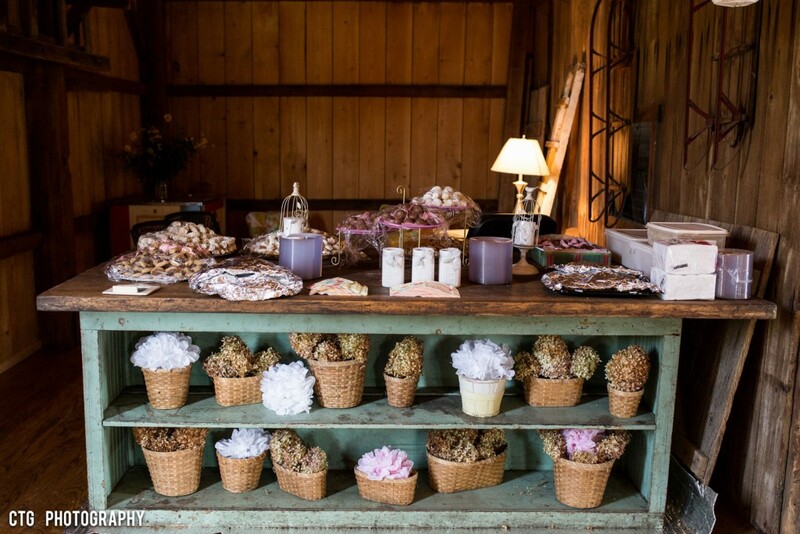 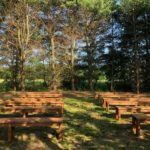 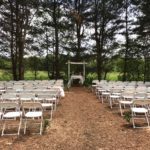 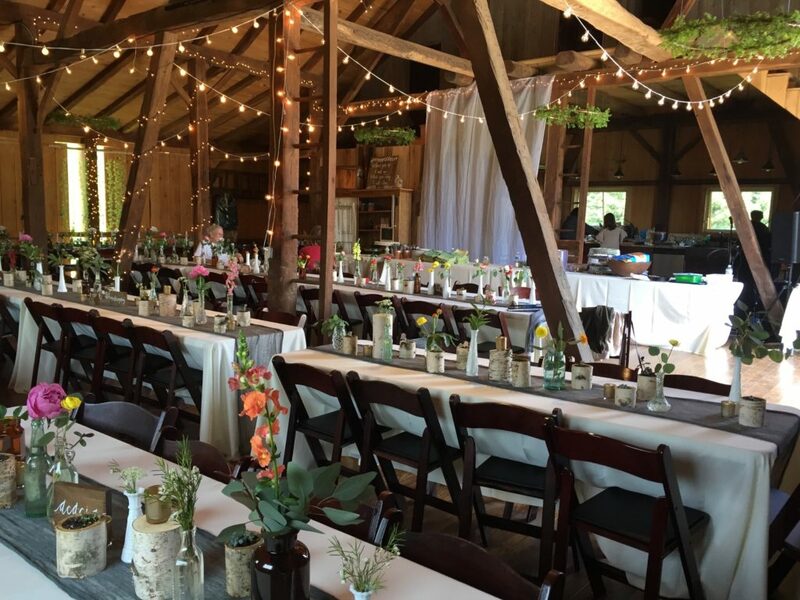 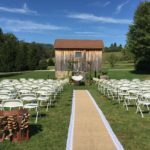 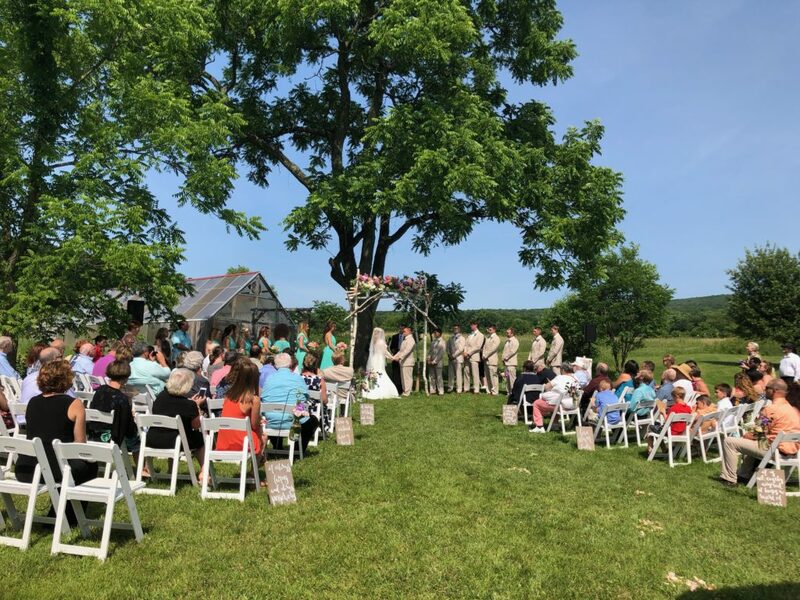 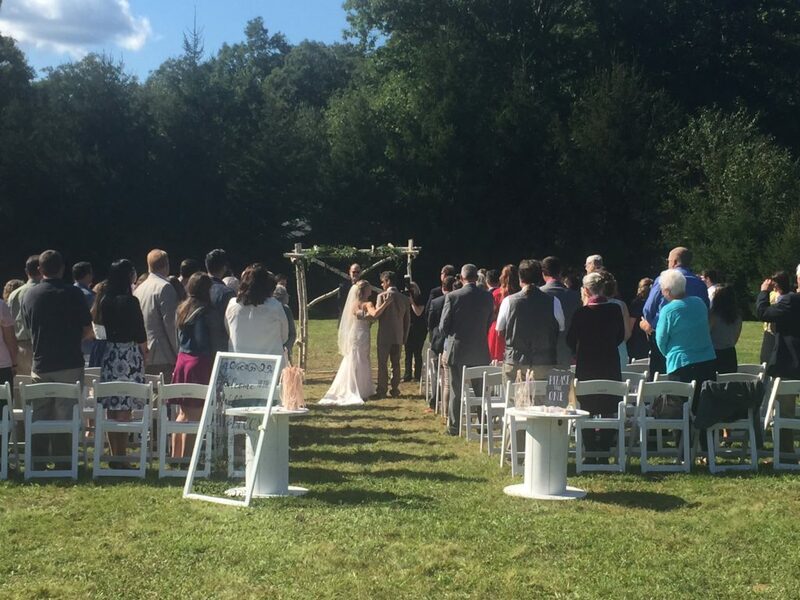 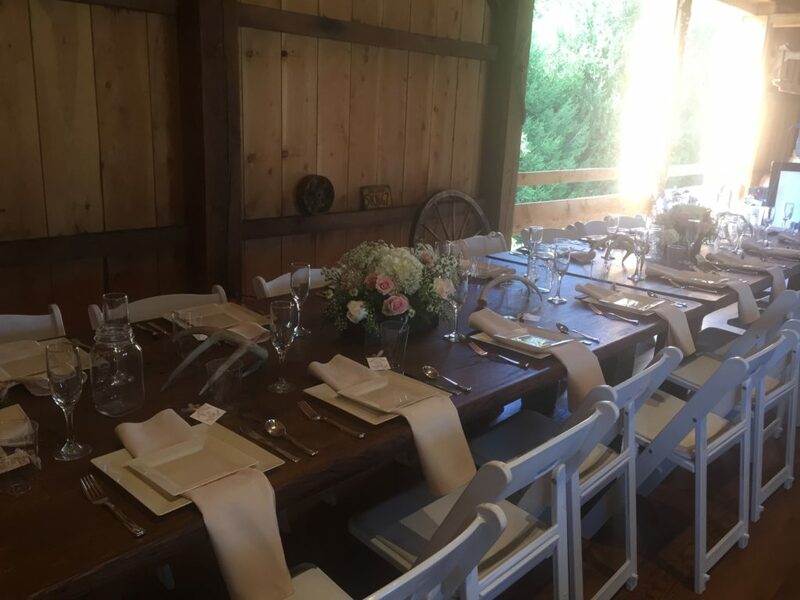 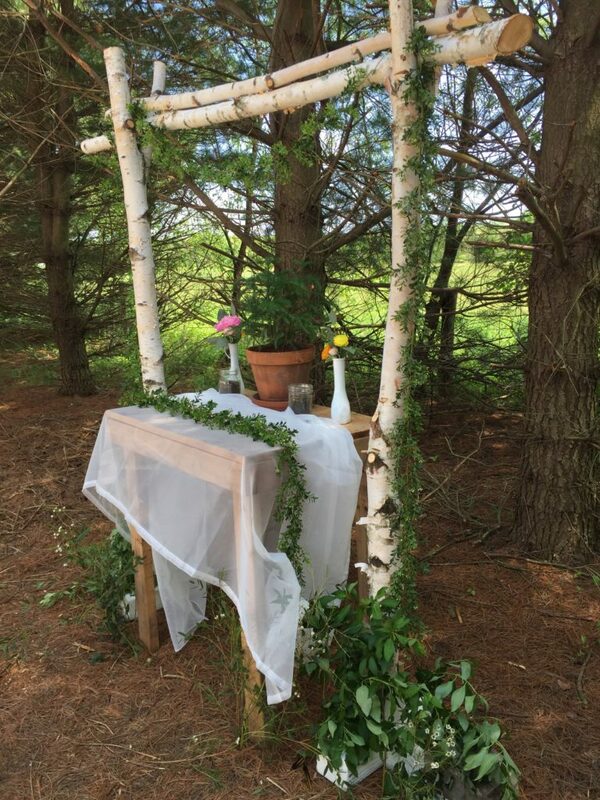 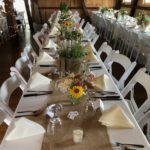 Contact us to discuss pricing and availability to either rent the entire farm for the whole weekend, including overnight accommodations or renting the barn or ceremony site just for one day.